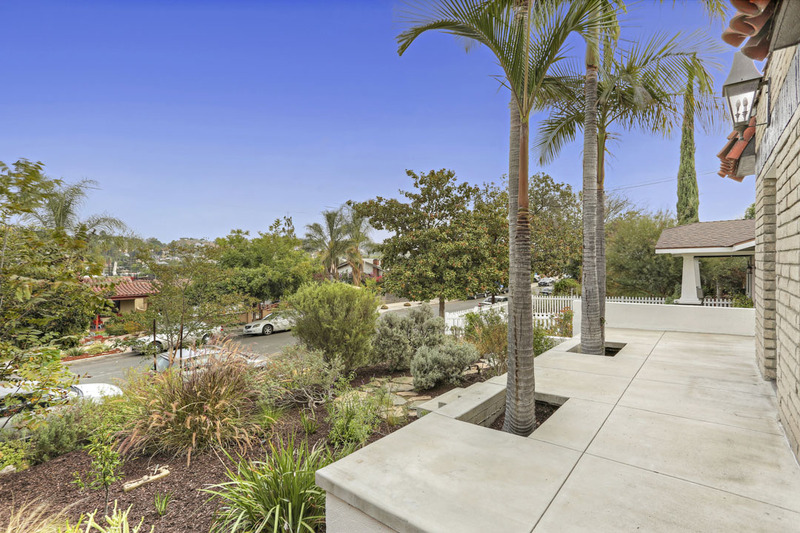 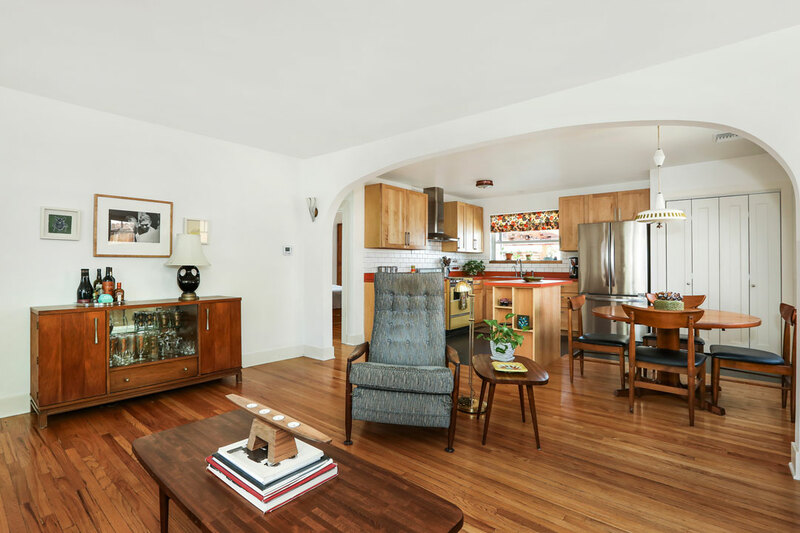 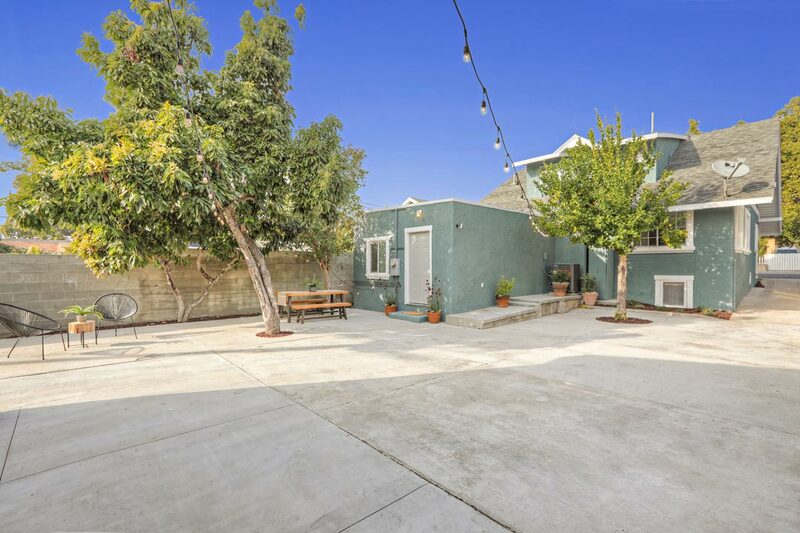 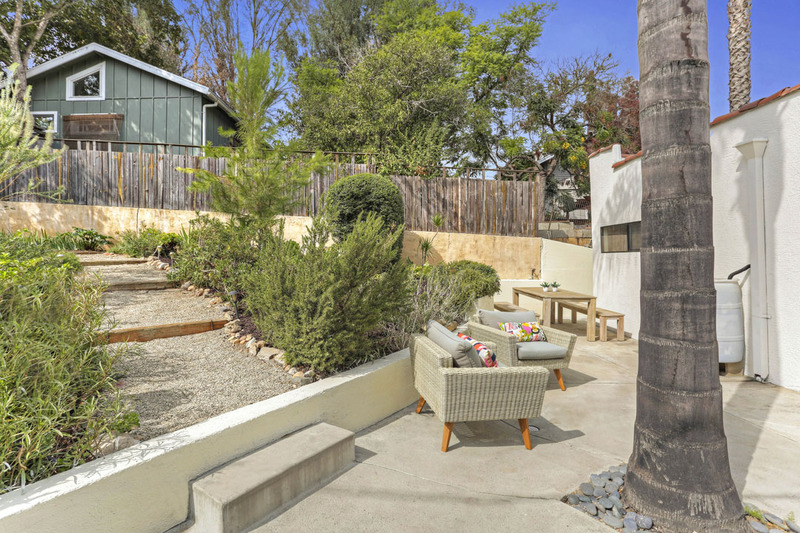 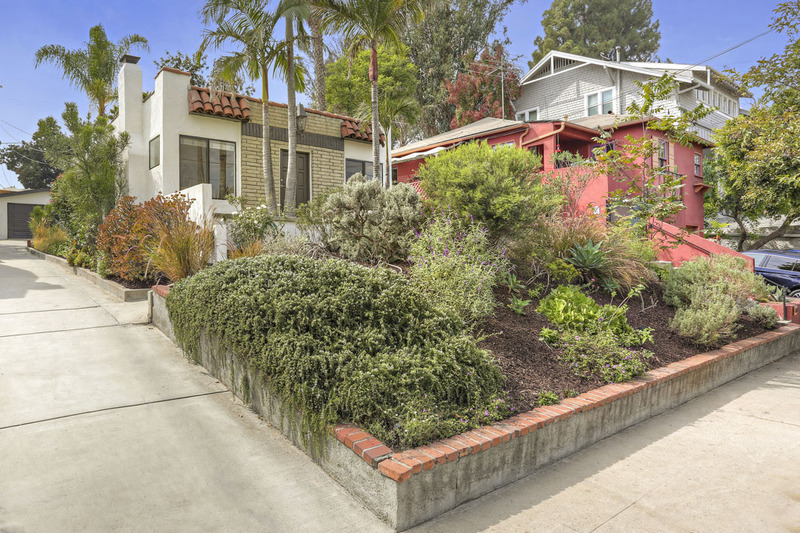 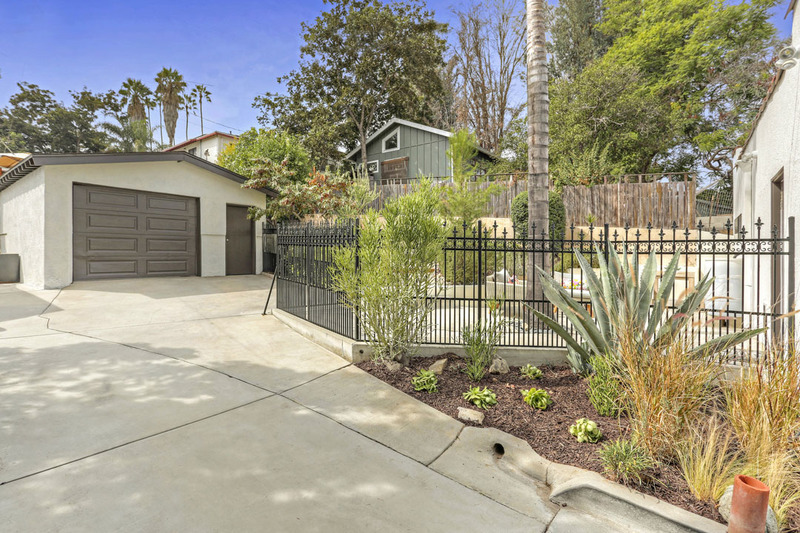 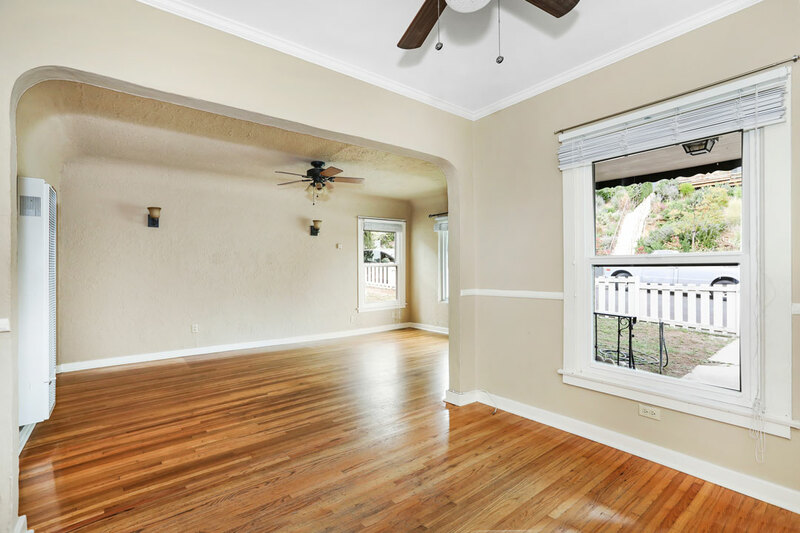 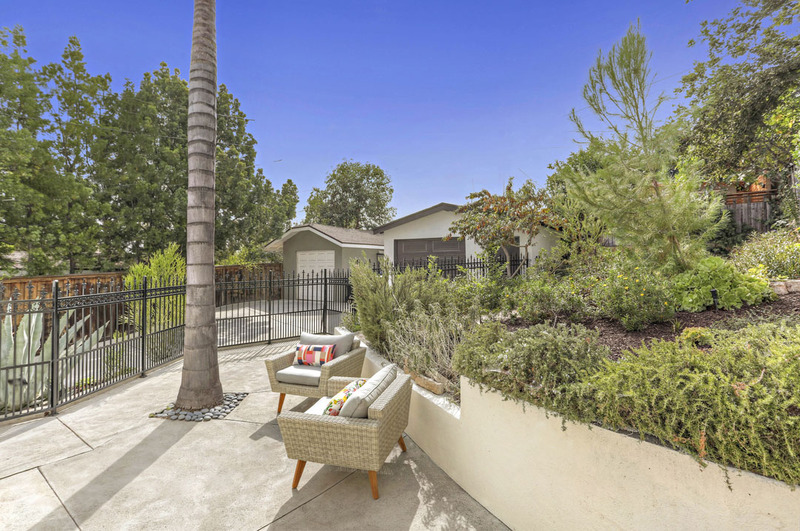 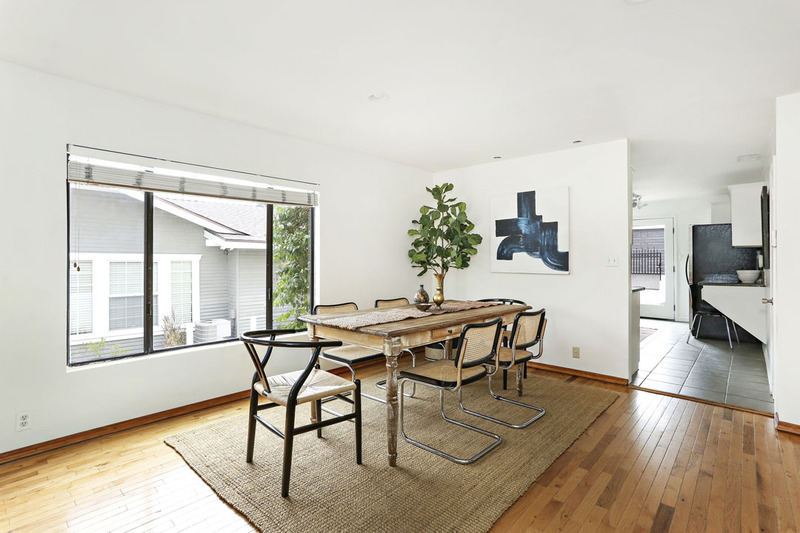 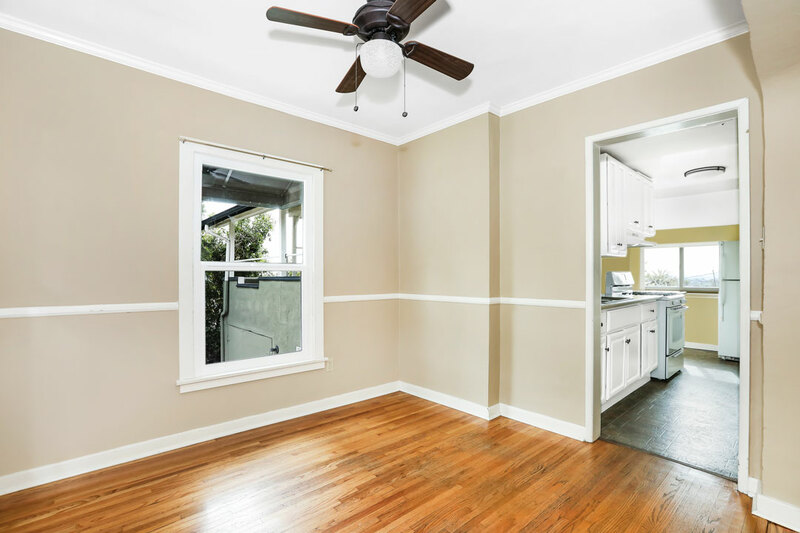 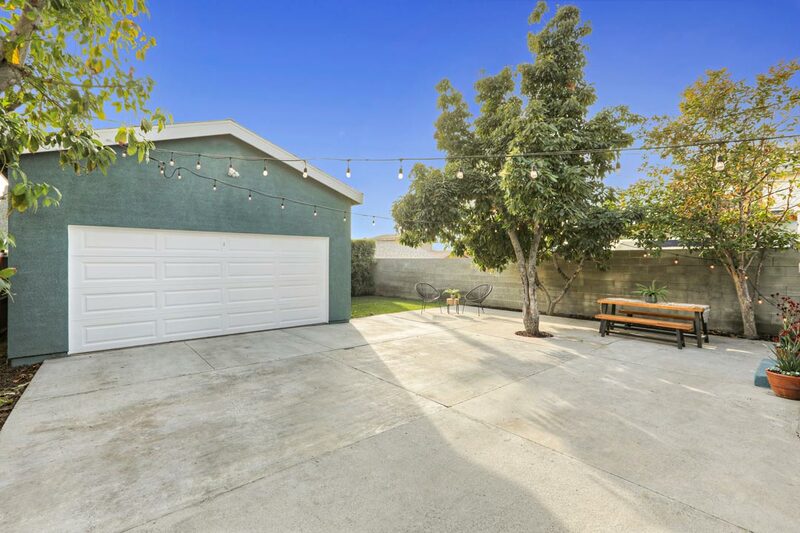 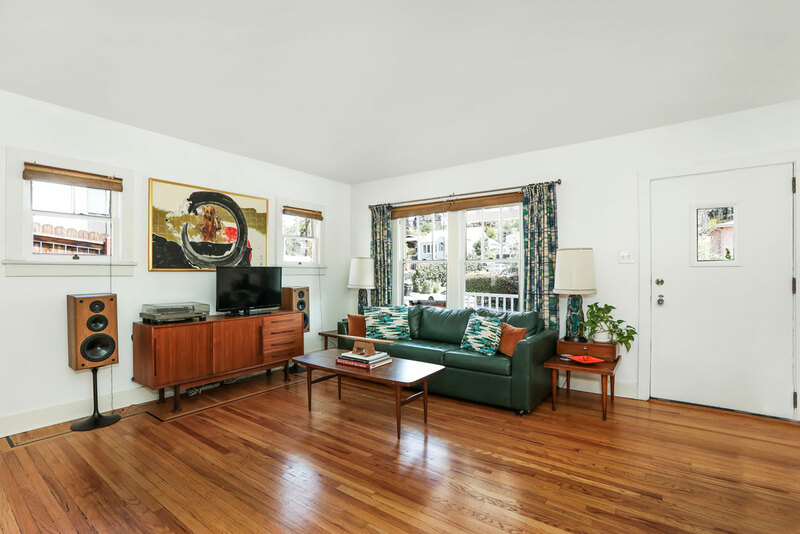 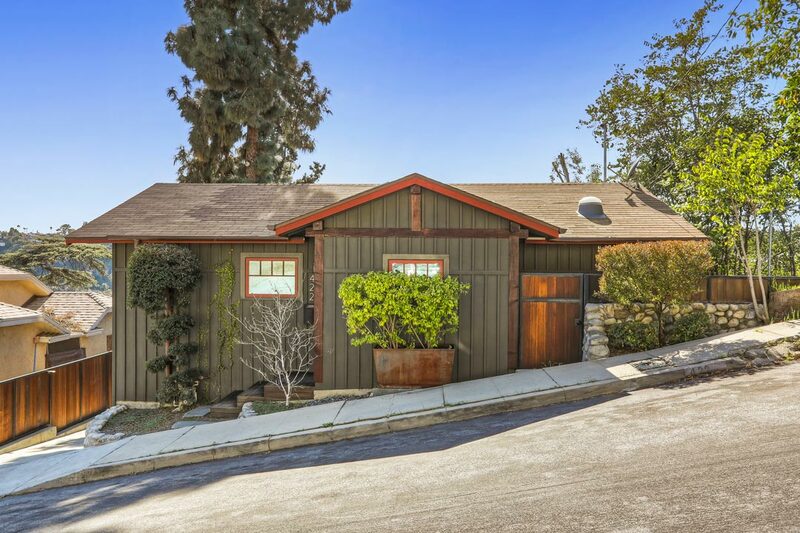 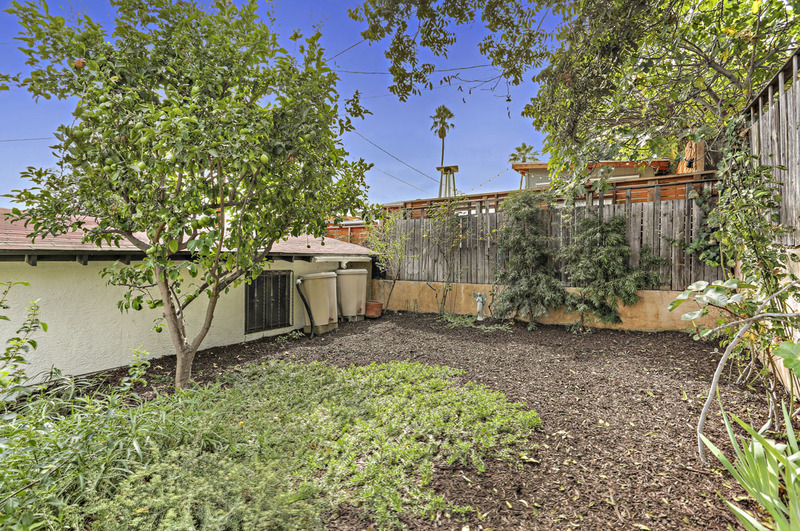 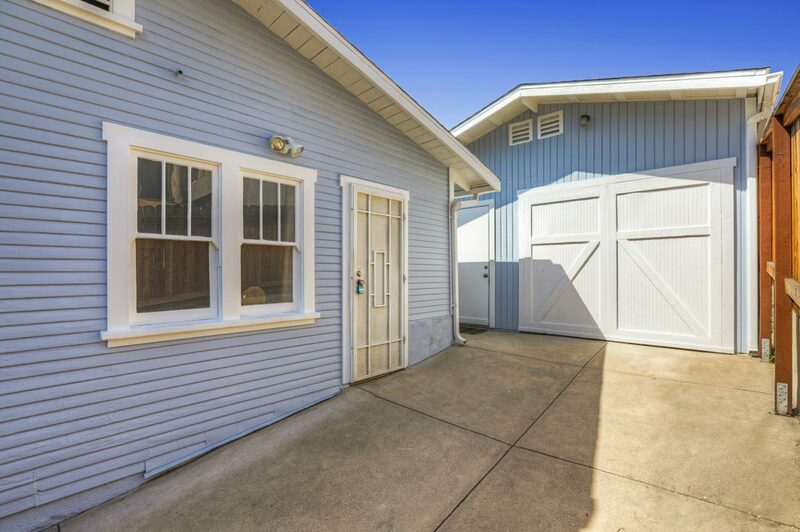 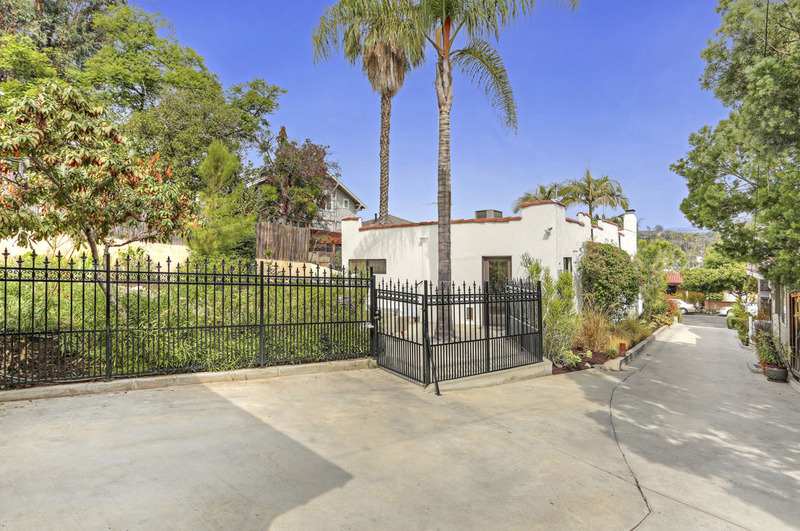 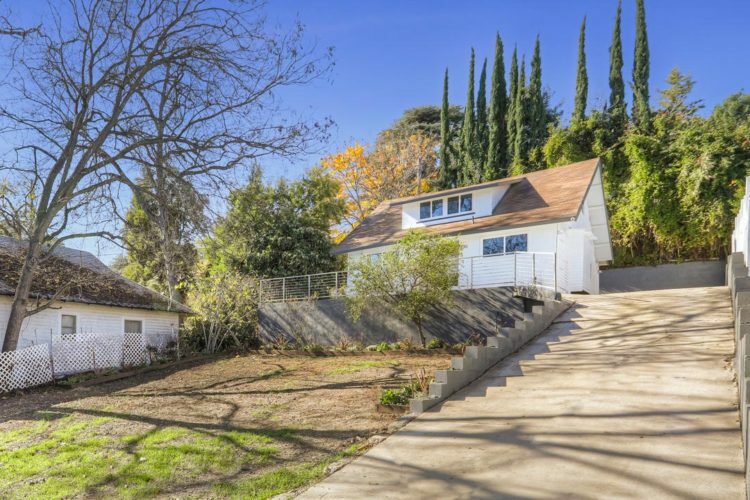 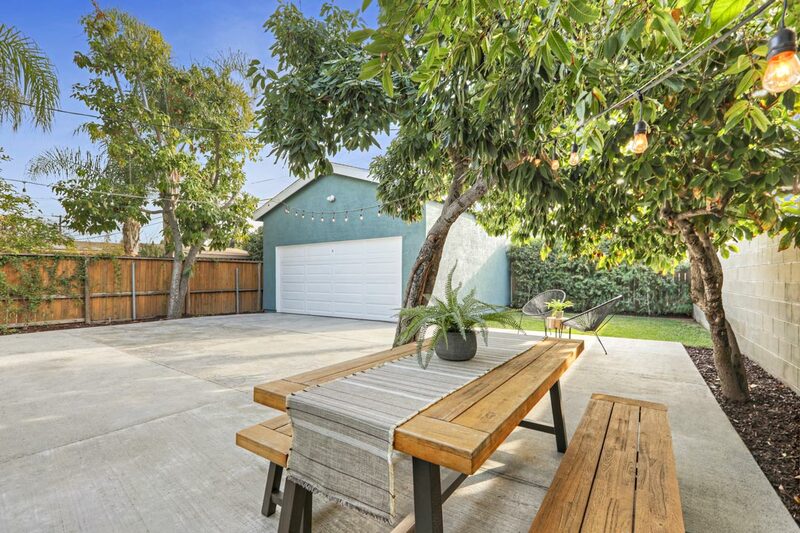 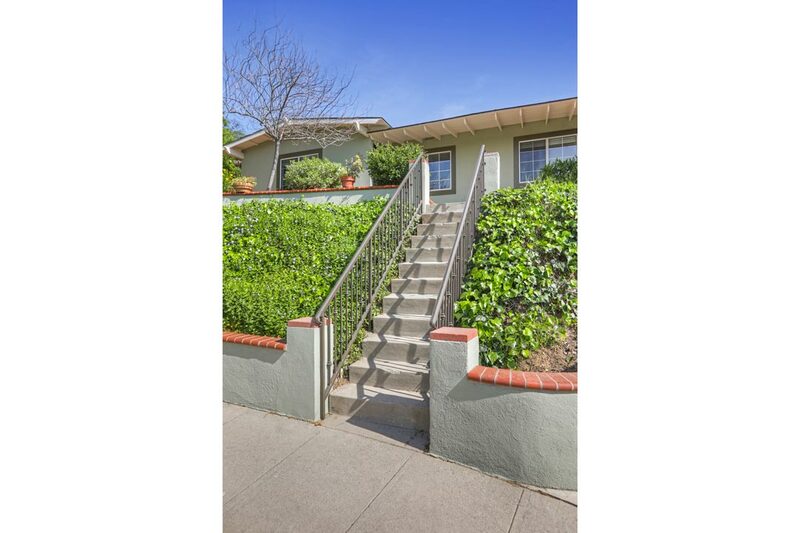 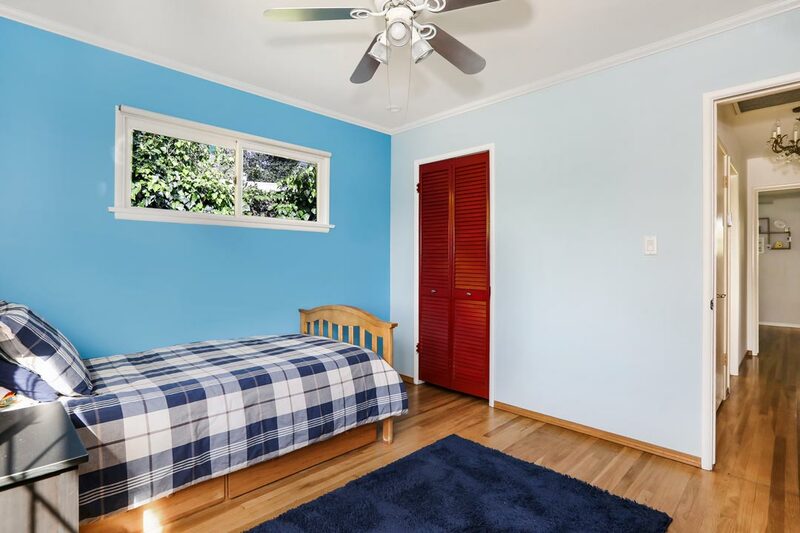 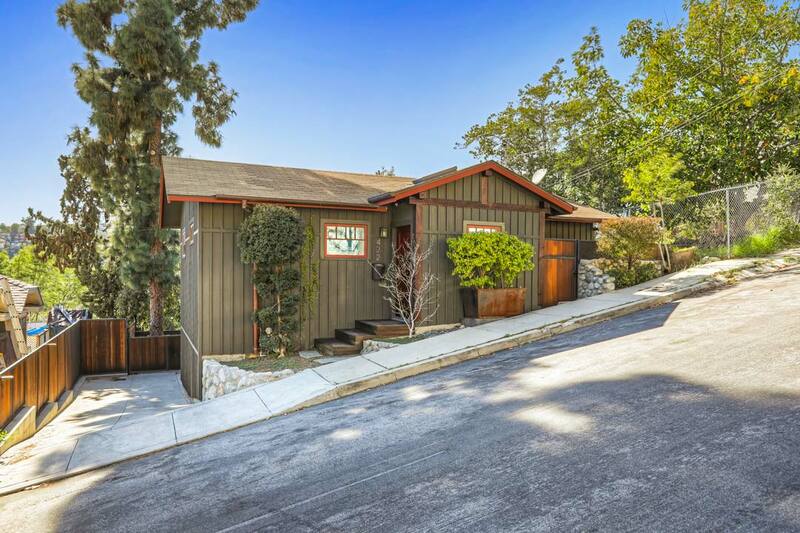 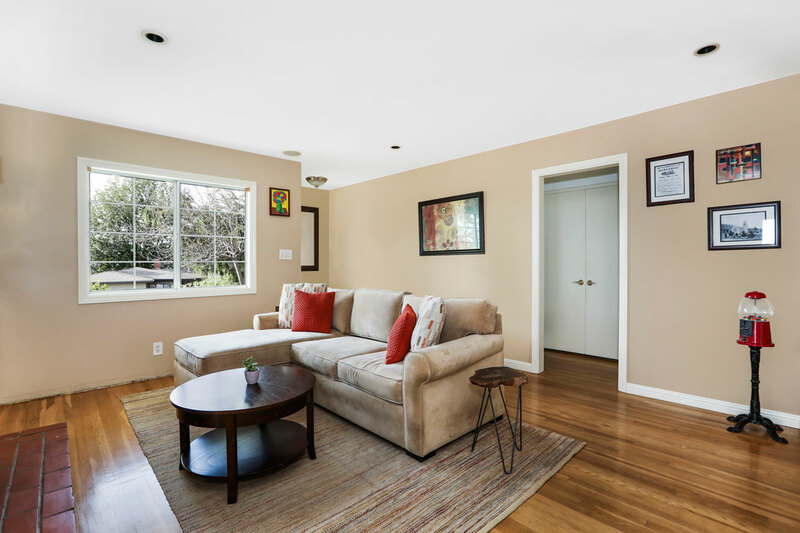 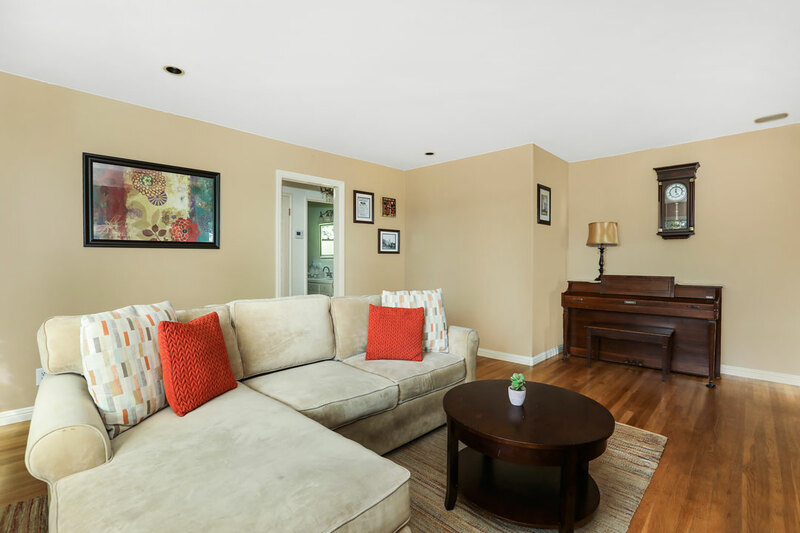 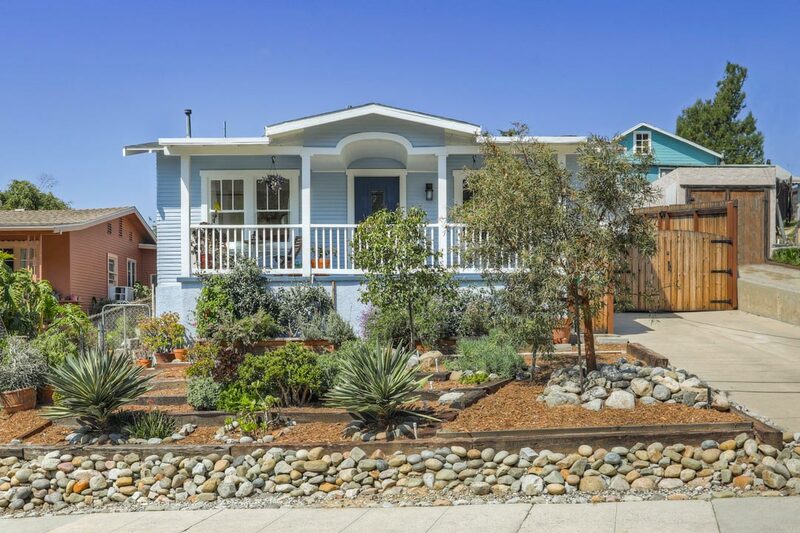 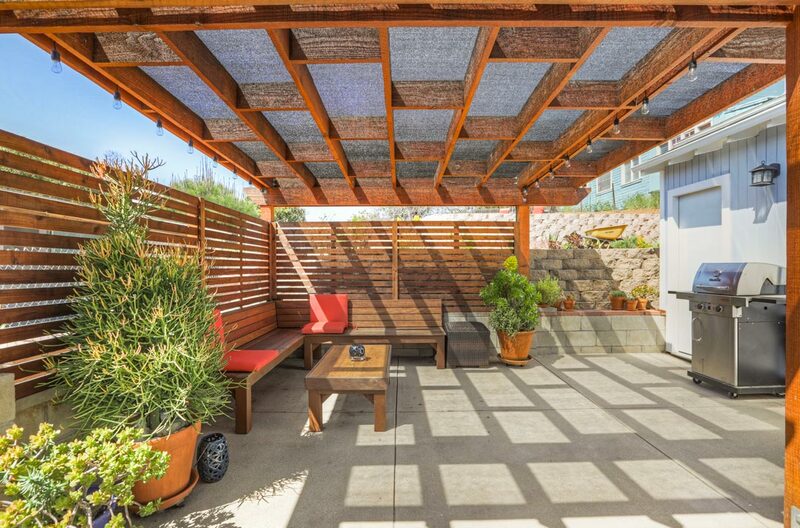 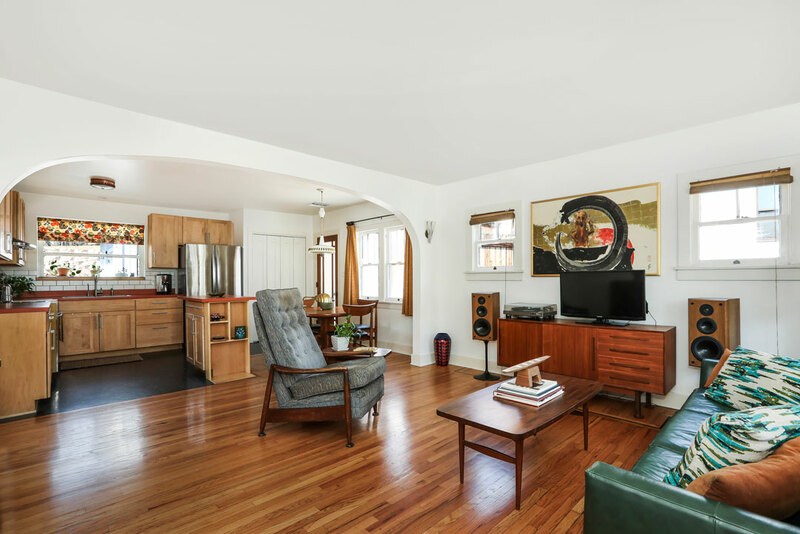 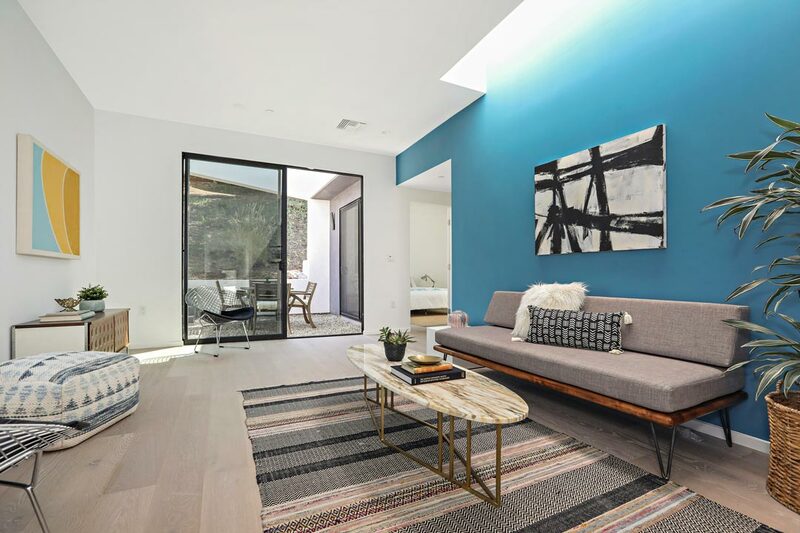 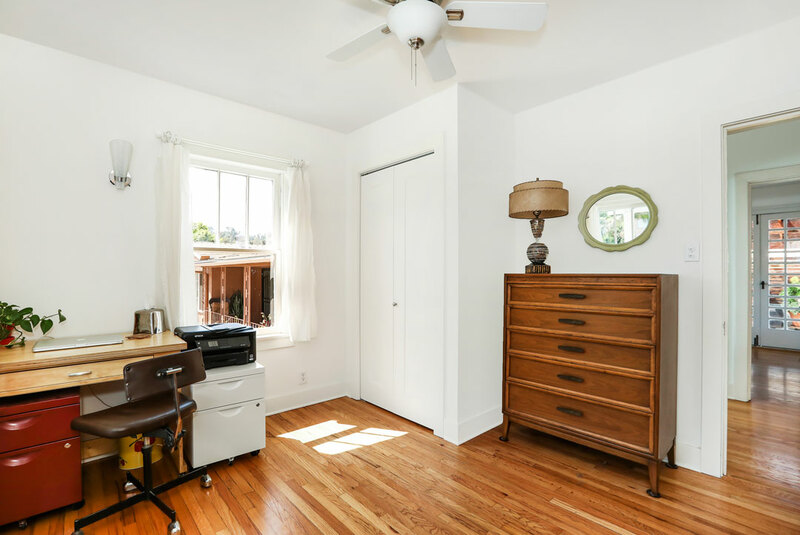 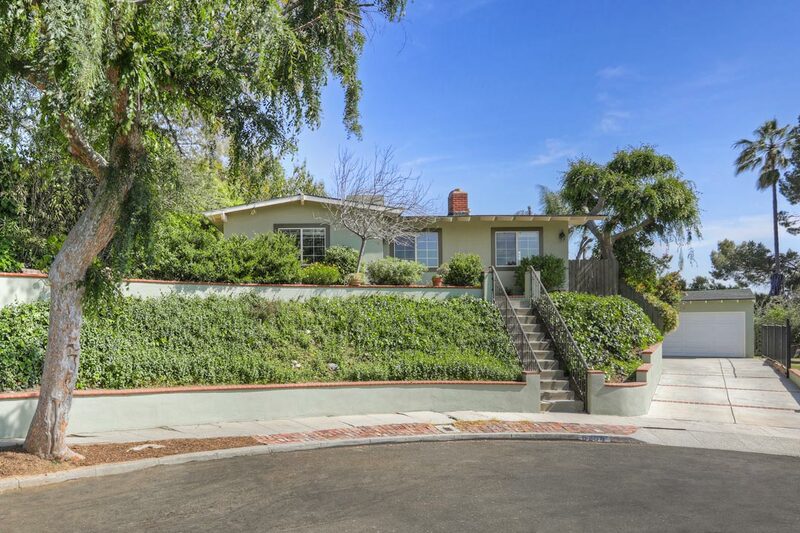 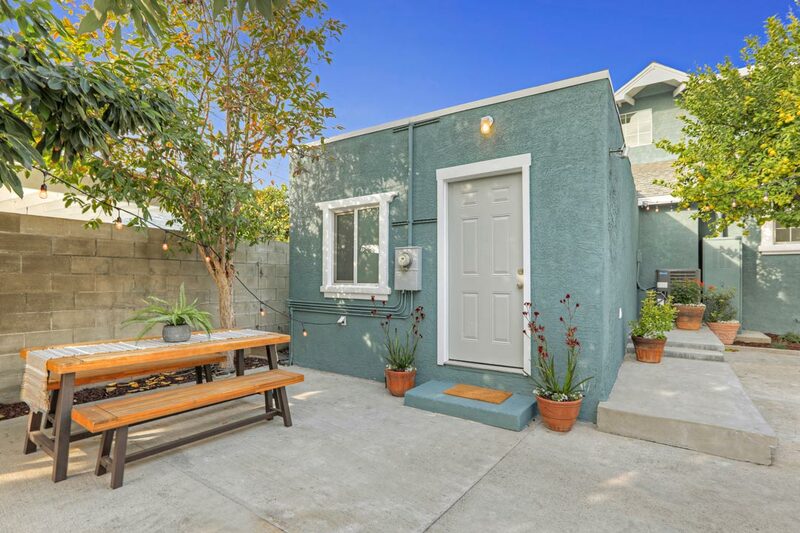 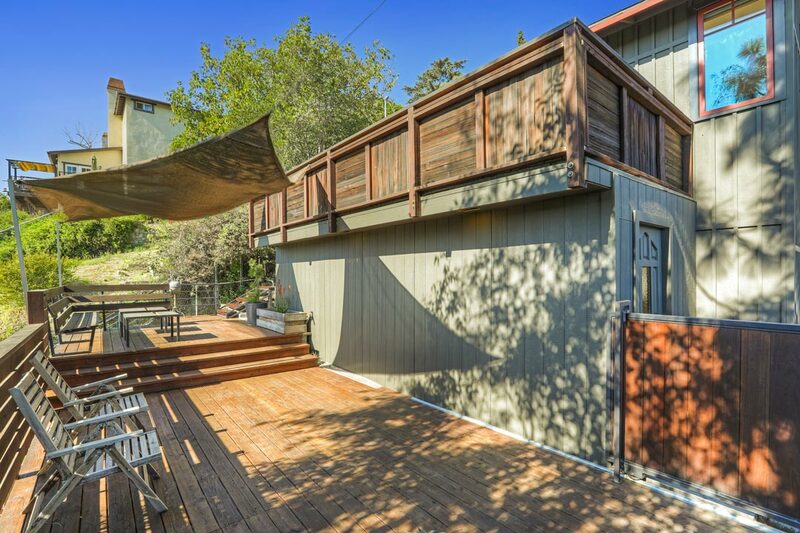 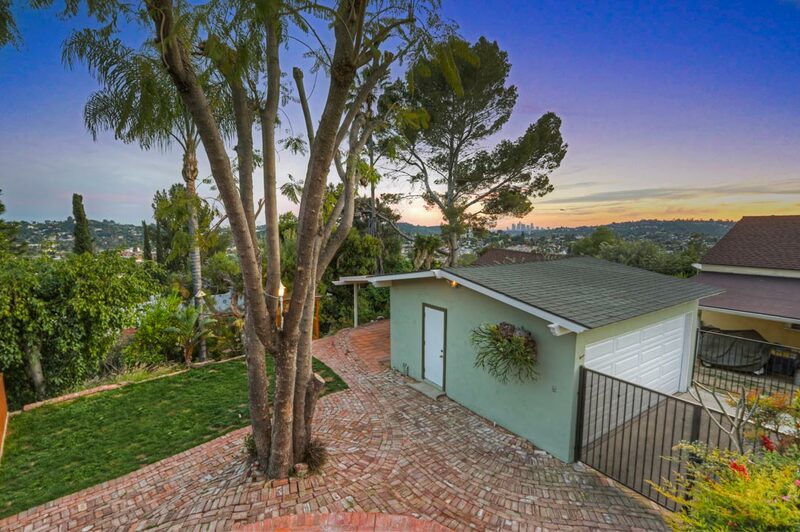 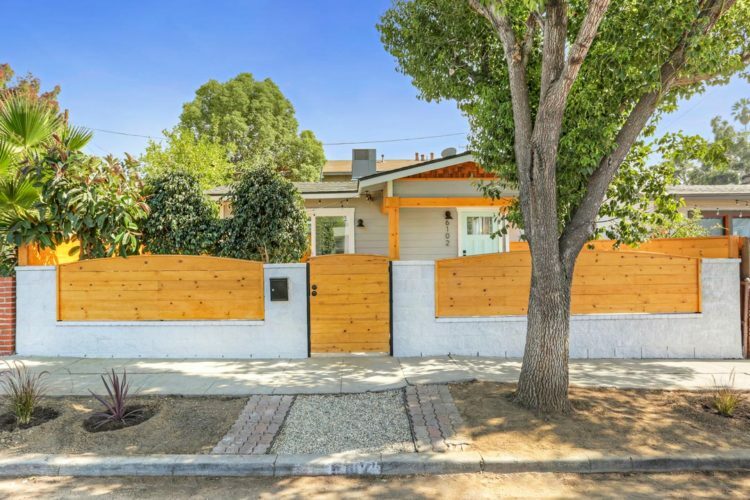 Sheltered behind a lush front yard on a quiet Highland Park street, find this spacious and airy home with Spanish roots. 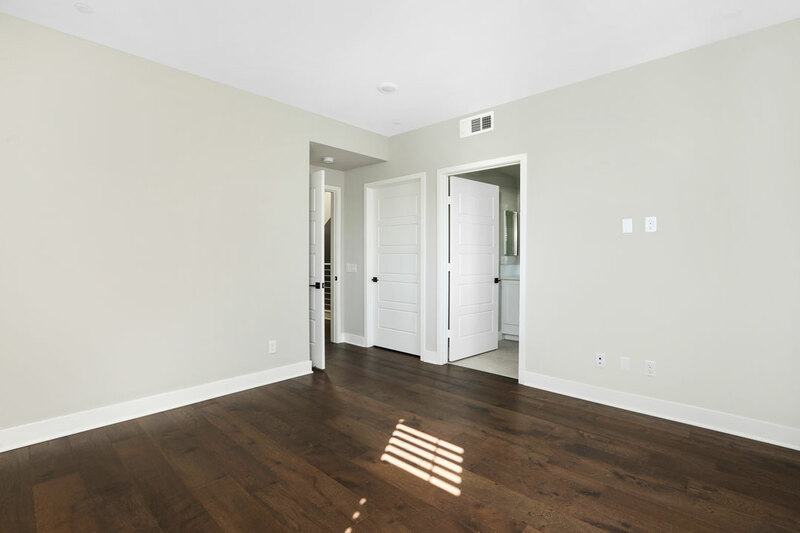 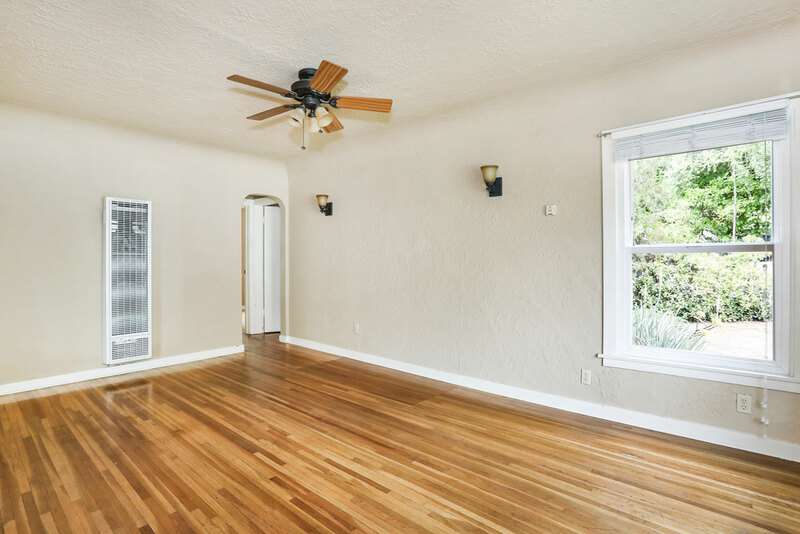 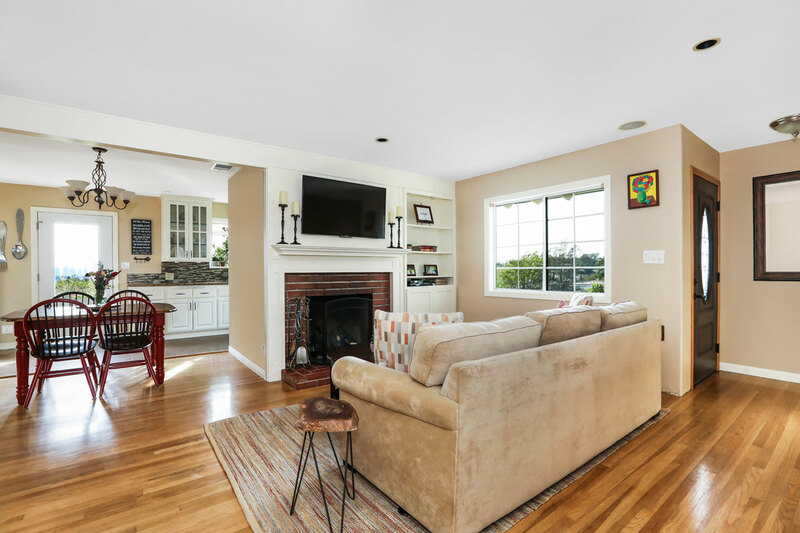 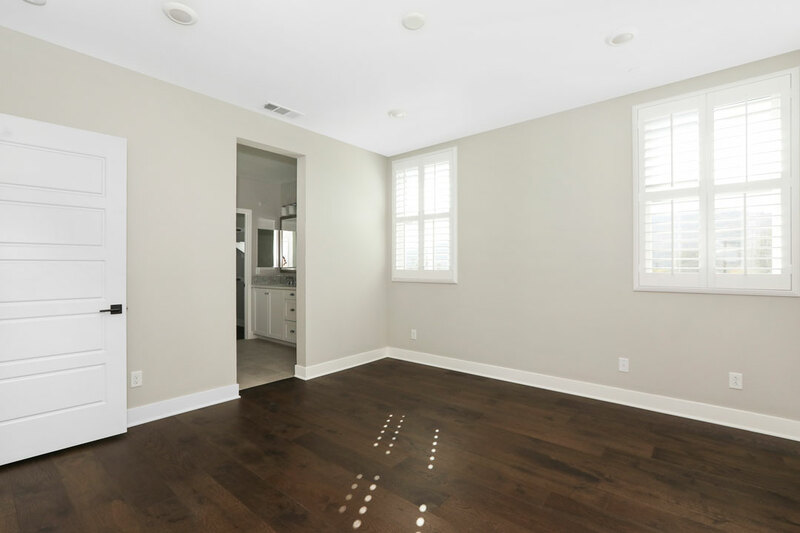 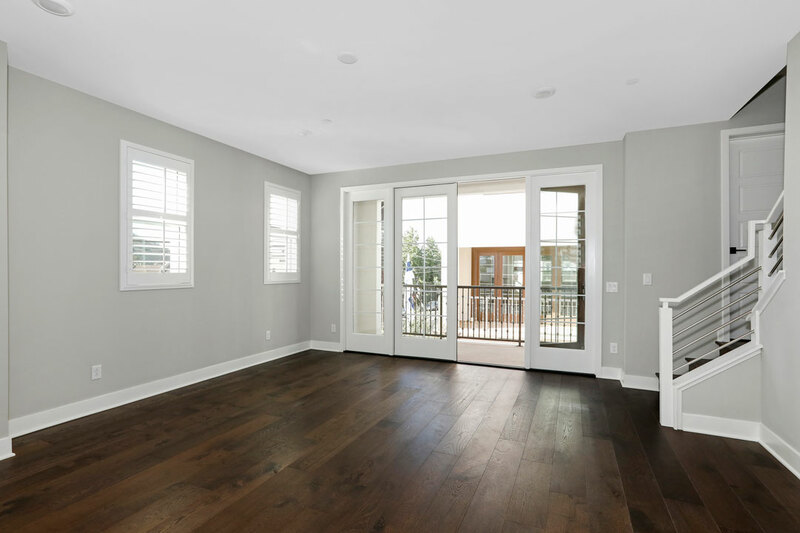 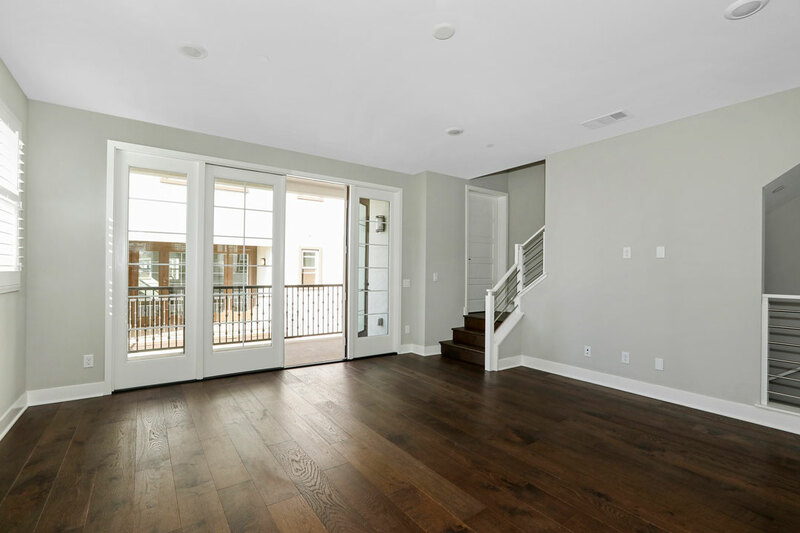 Open living and dining areas are bathed in sunlight, impressing with a stylish gray brick hearth and beautiful wood floors. 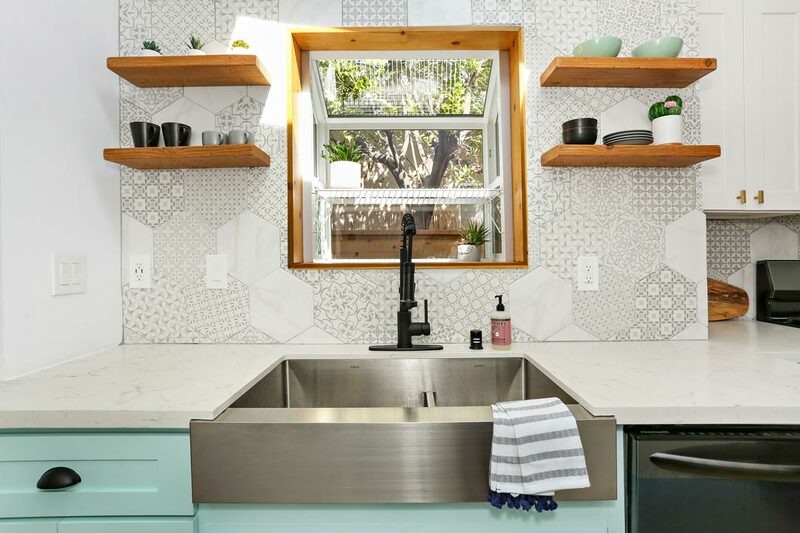 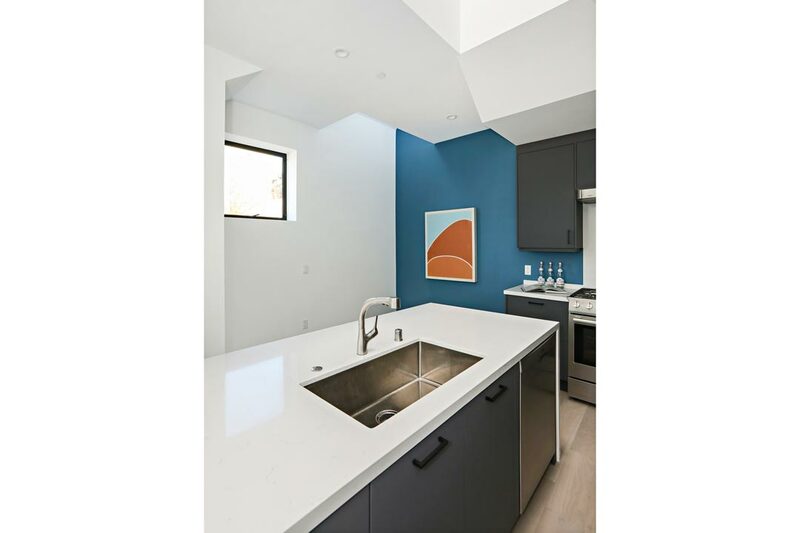 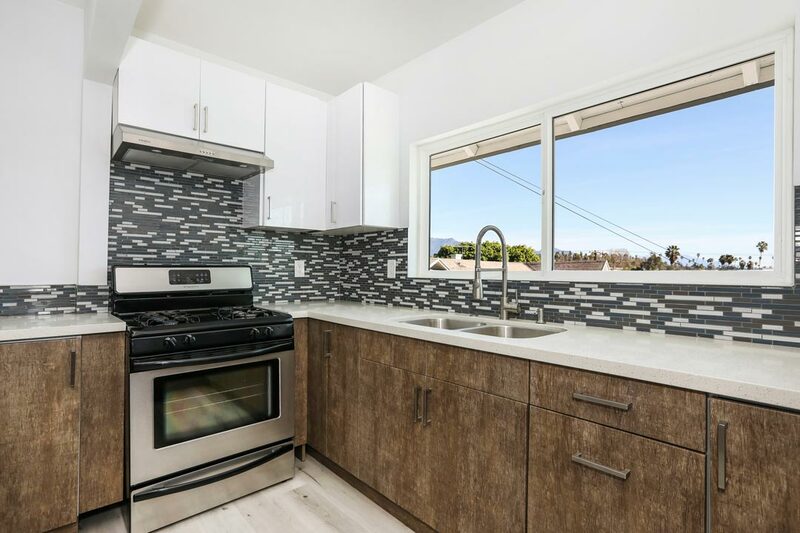 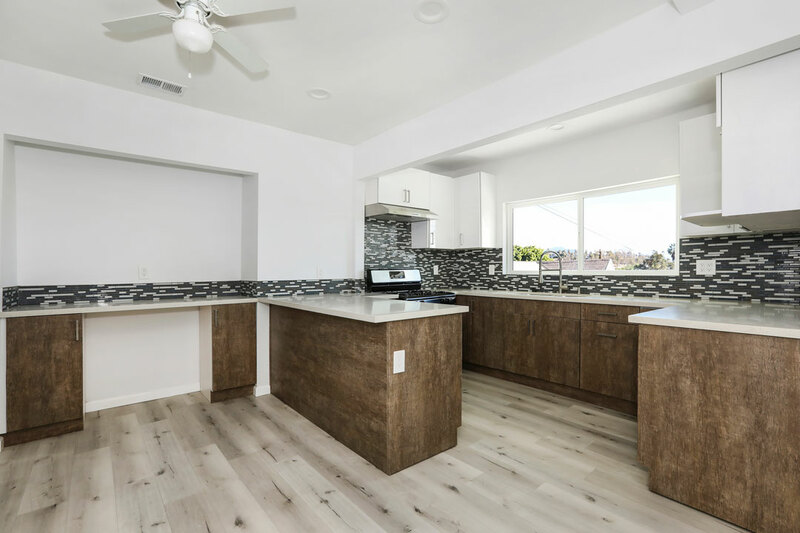 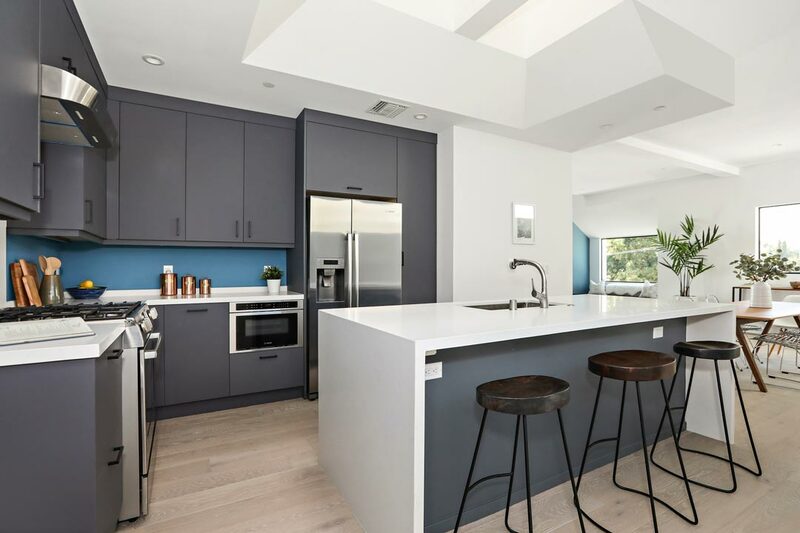 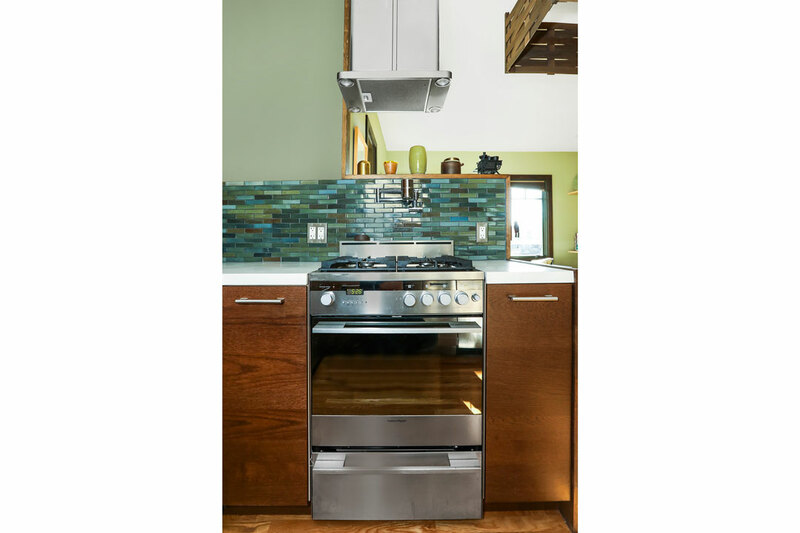 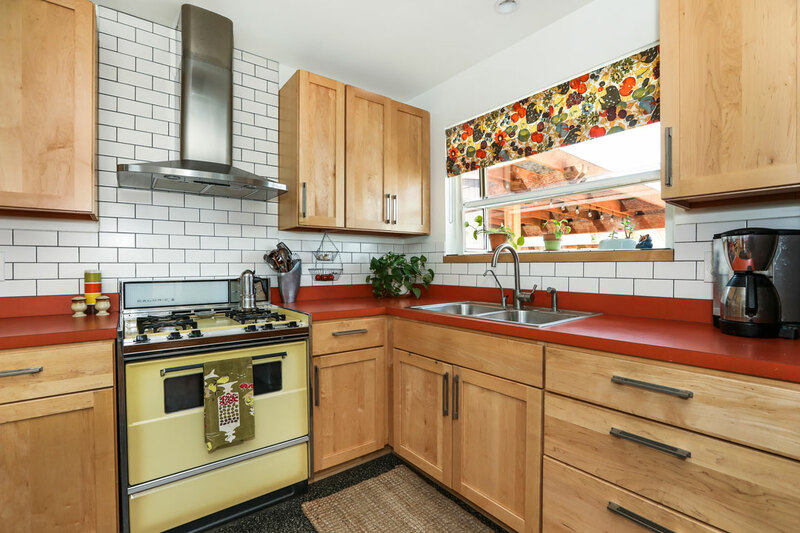 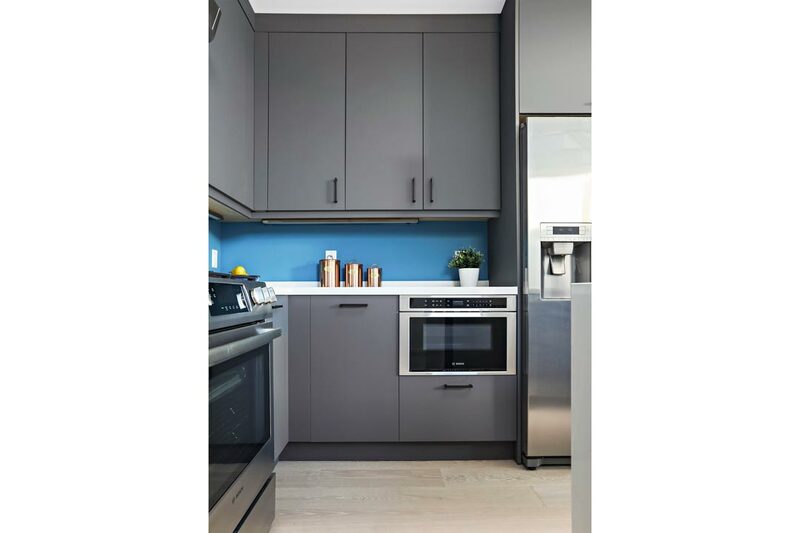 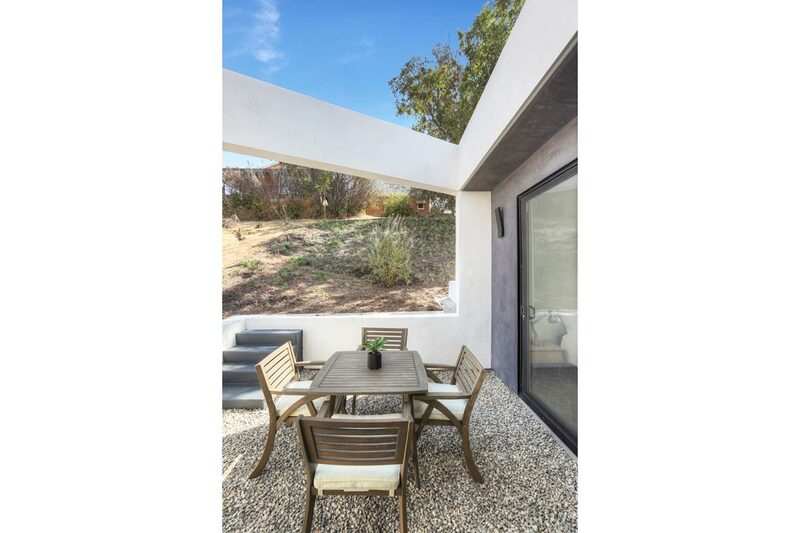 The bright kitchen provides stainless steel appliances and effortless flow to a hardscape patio, a choice location for al fresco dining under the sun or stars. 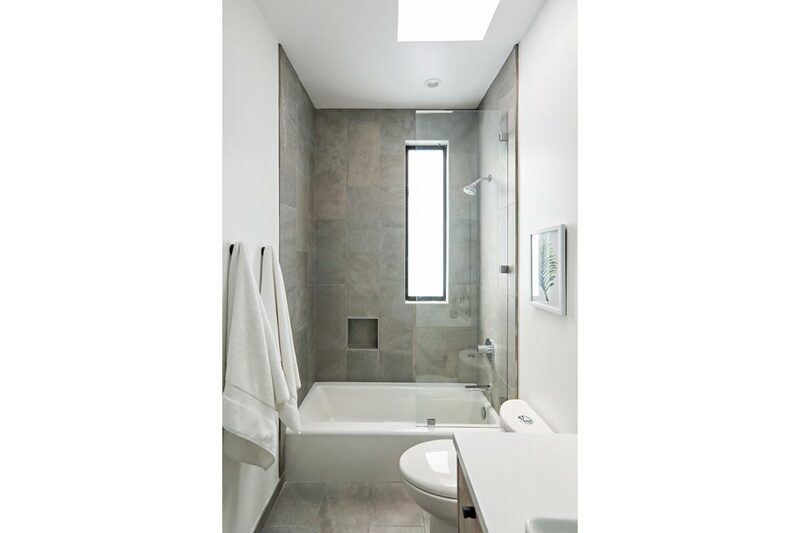 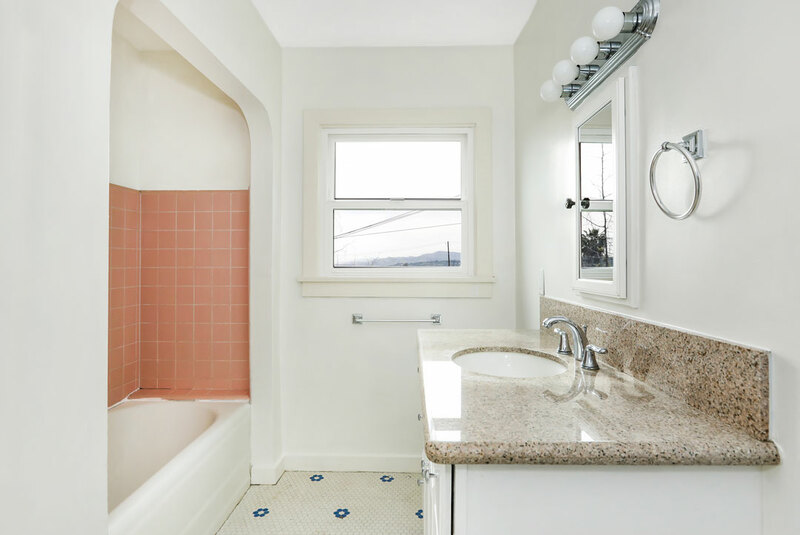 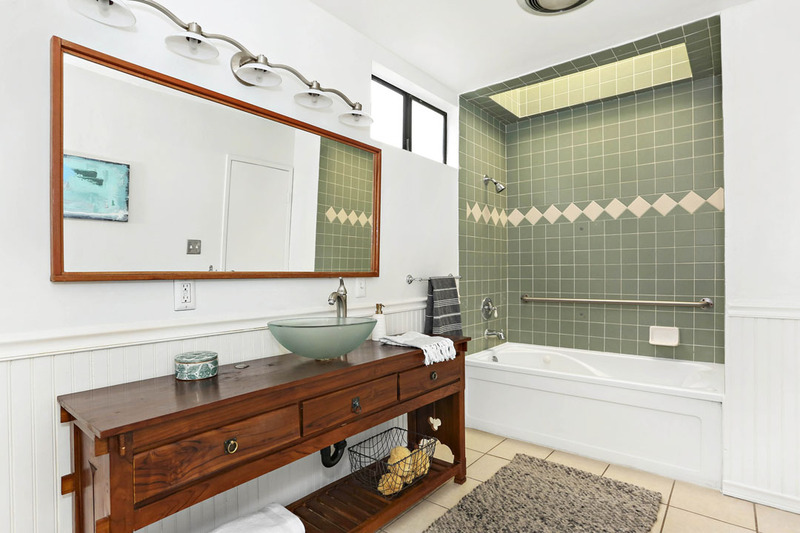 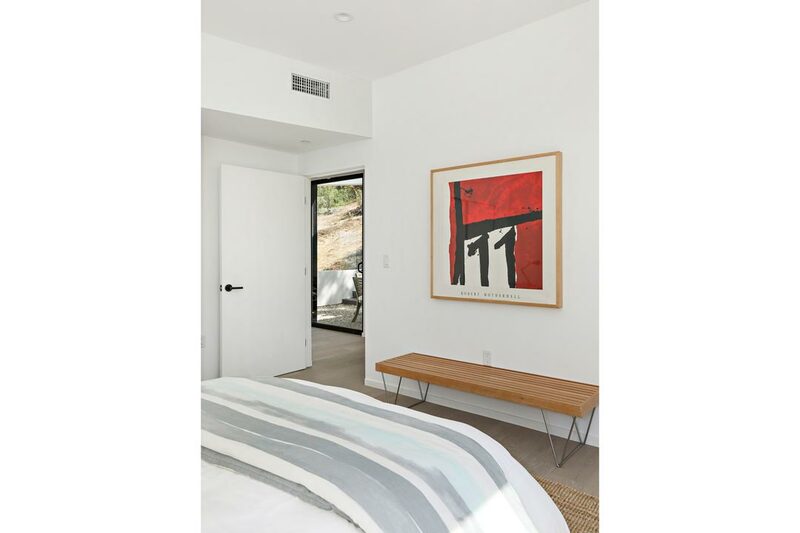 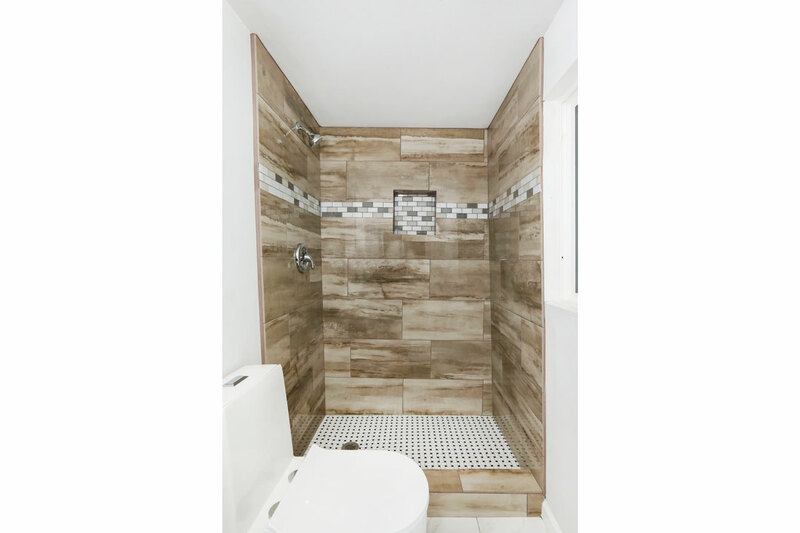 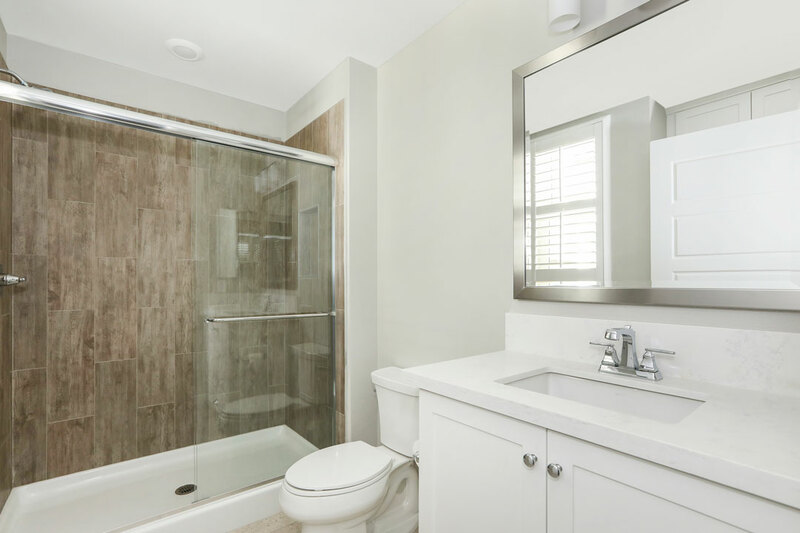 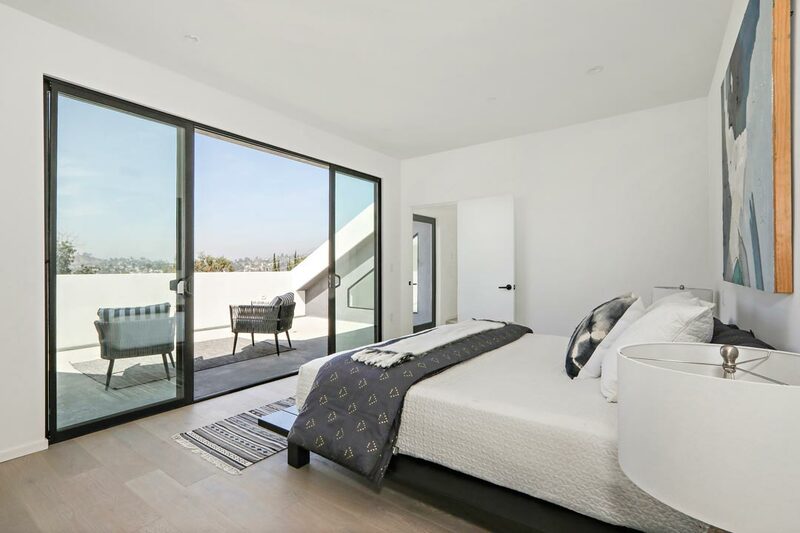 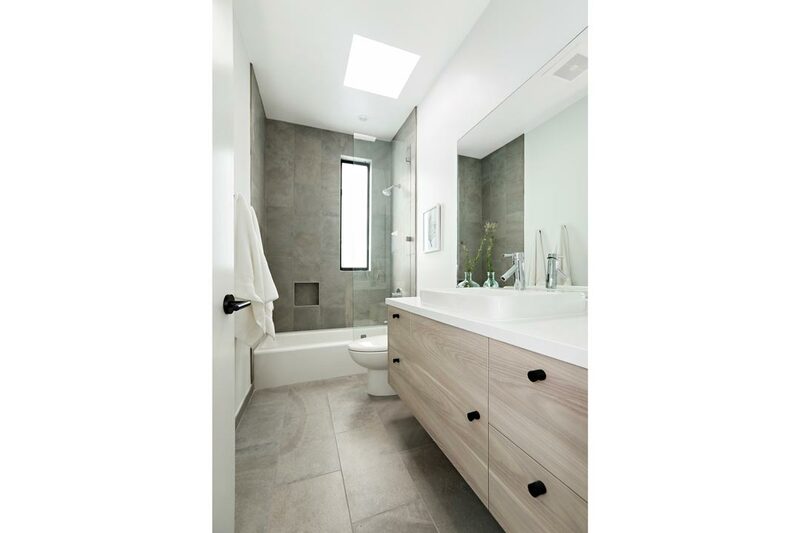 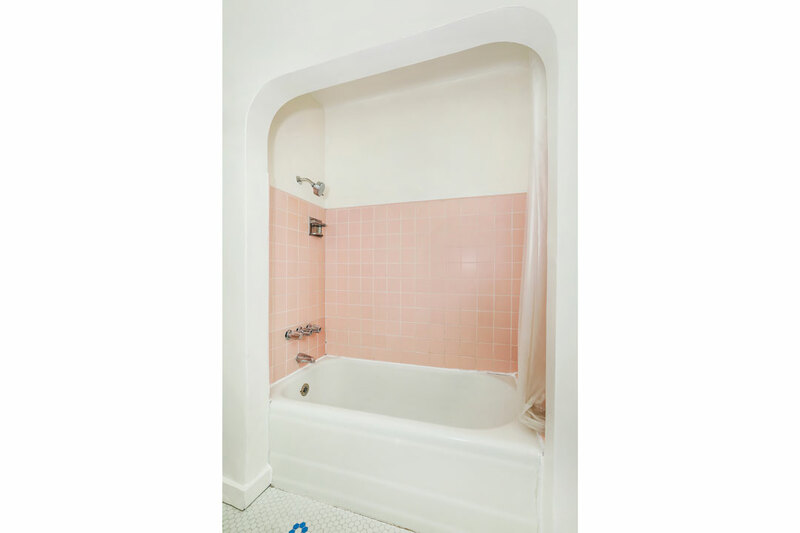 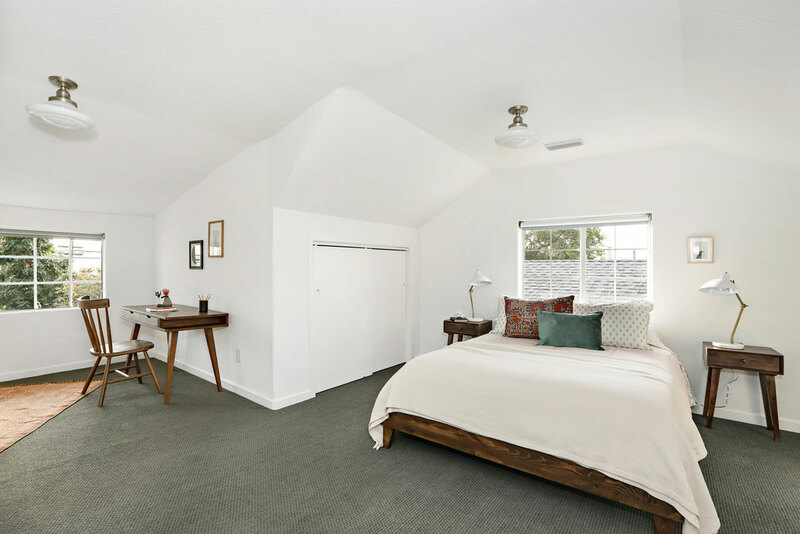 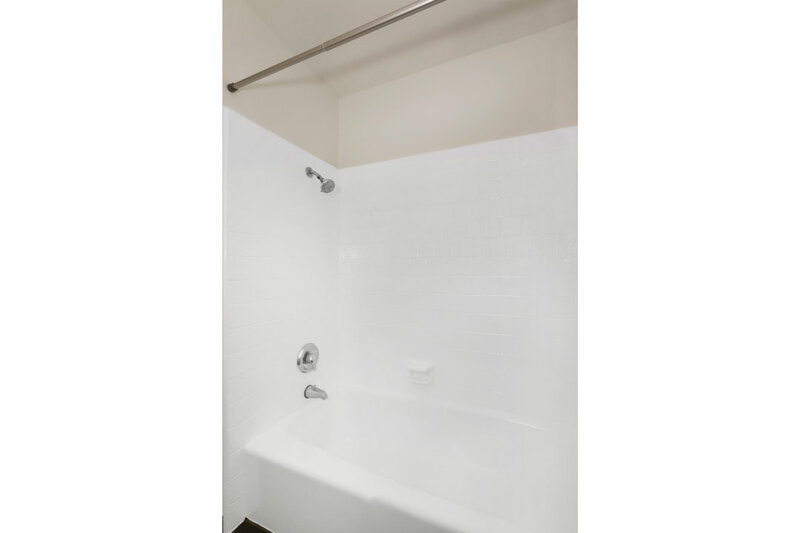 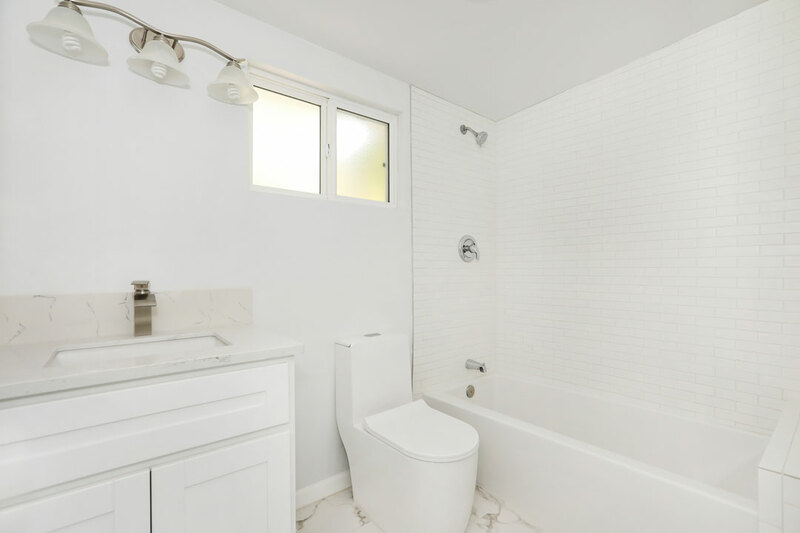 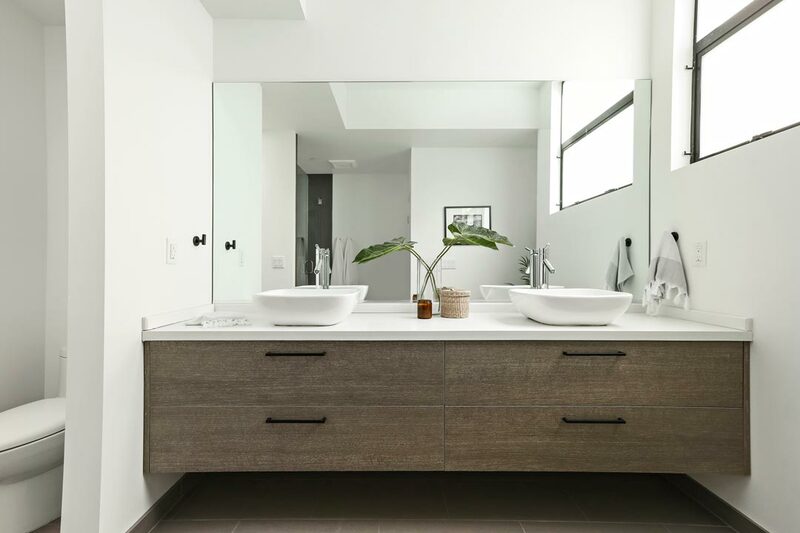 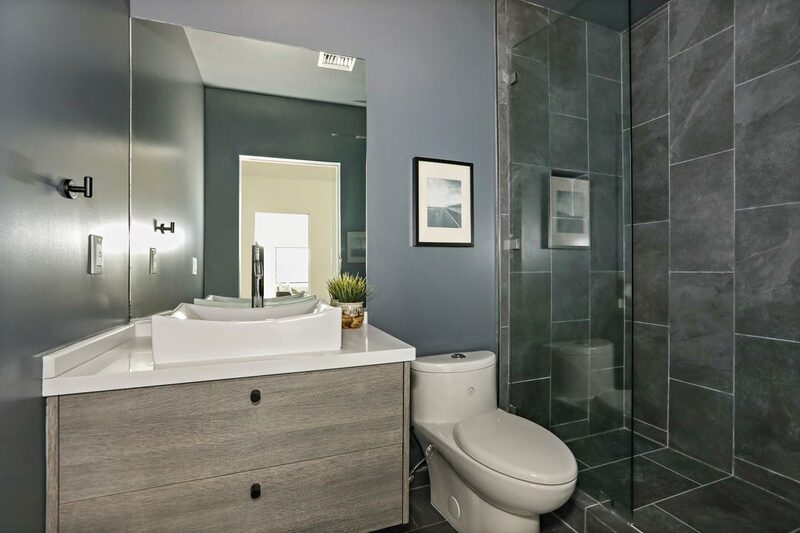 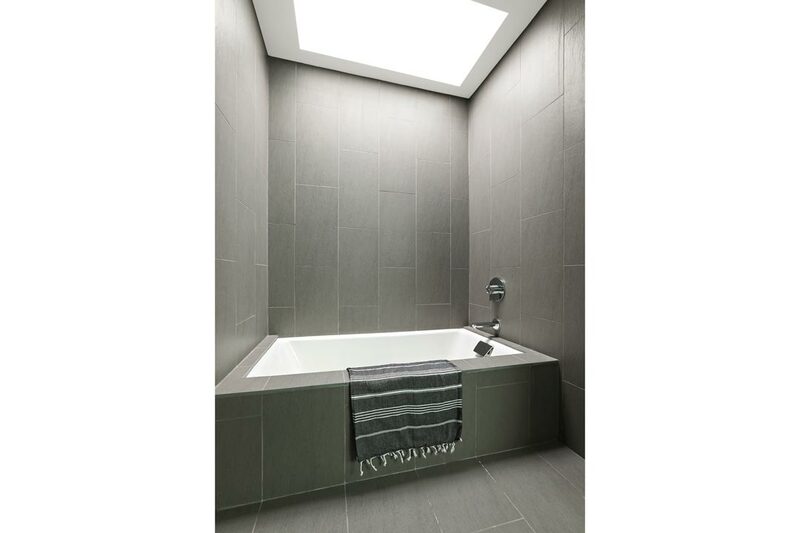 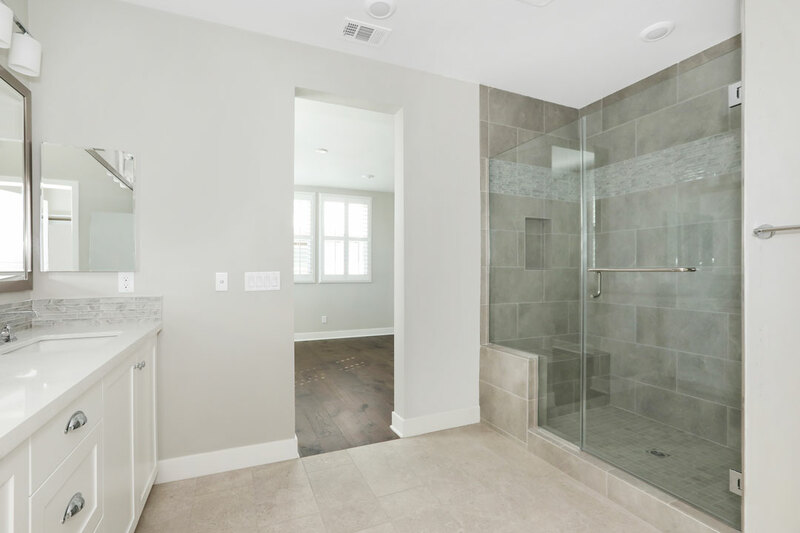 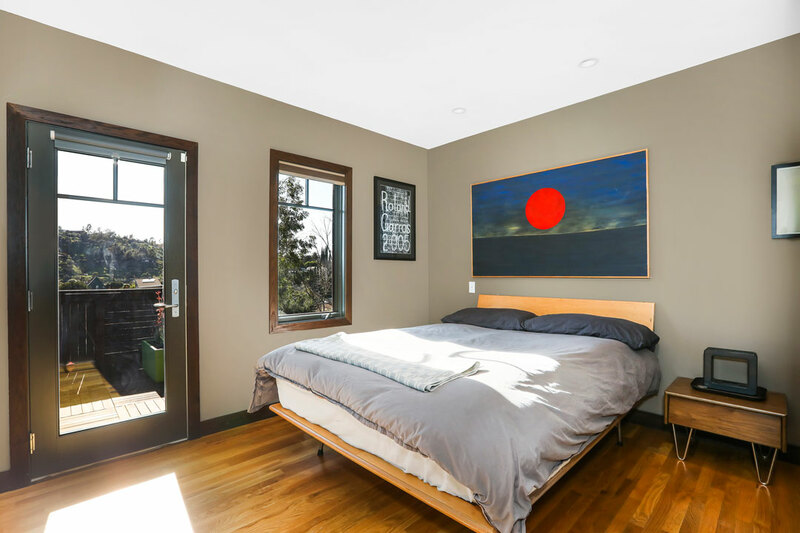 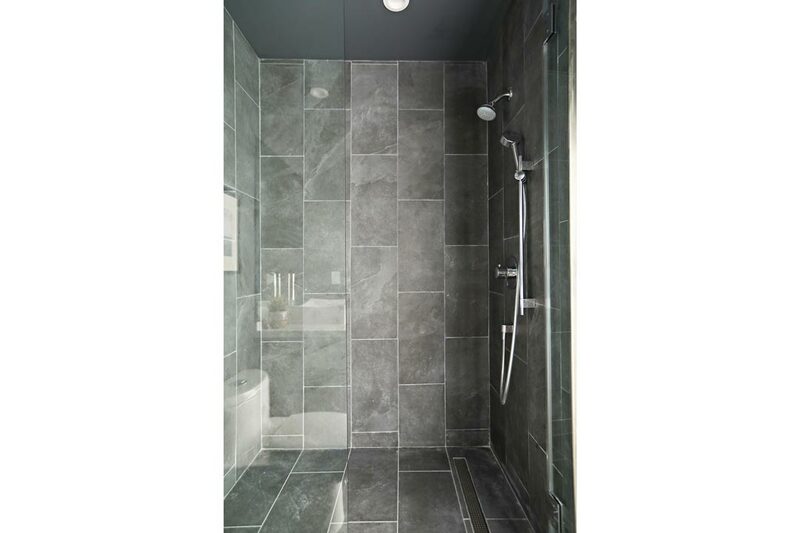 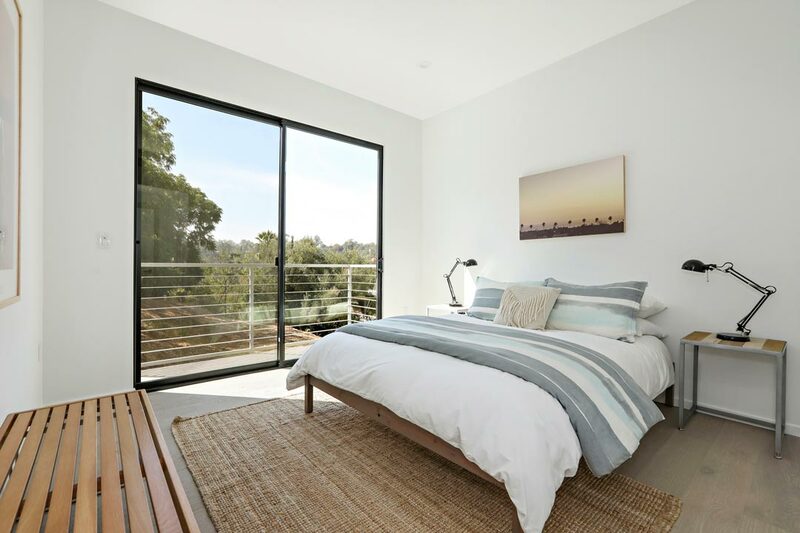 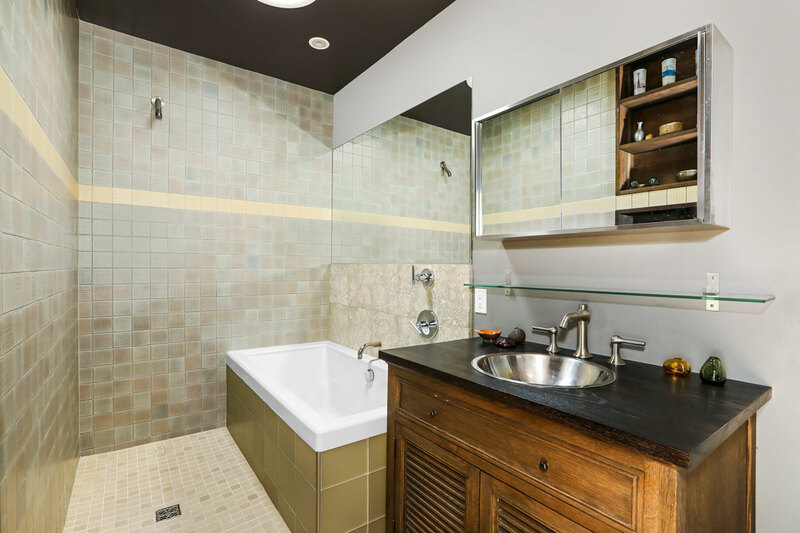 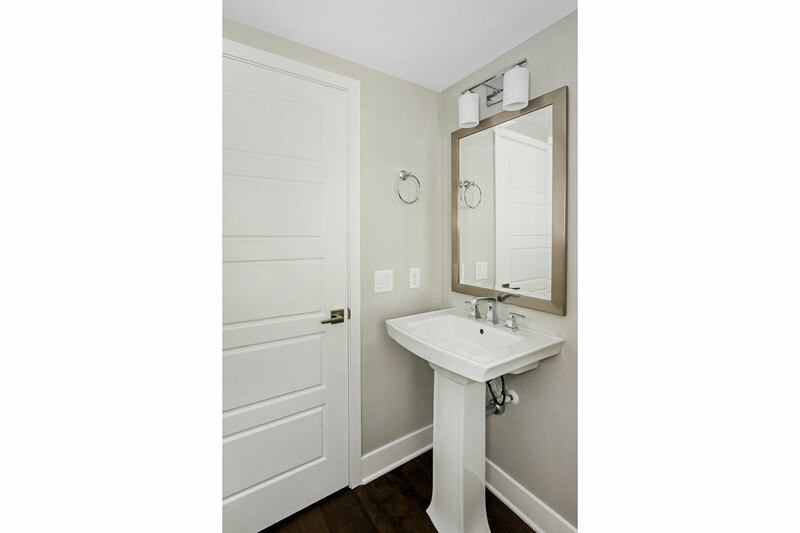 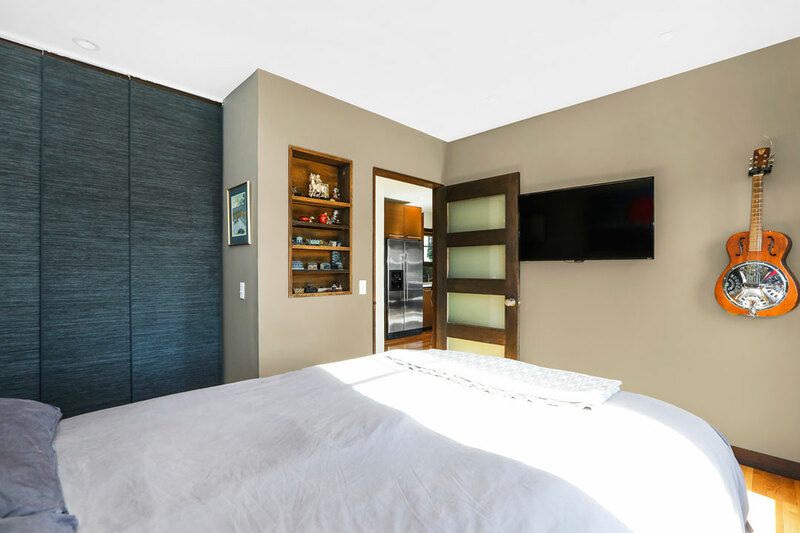 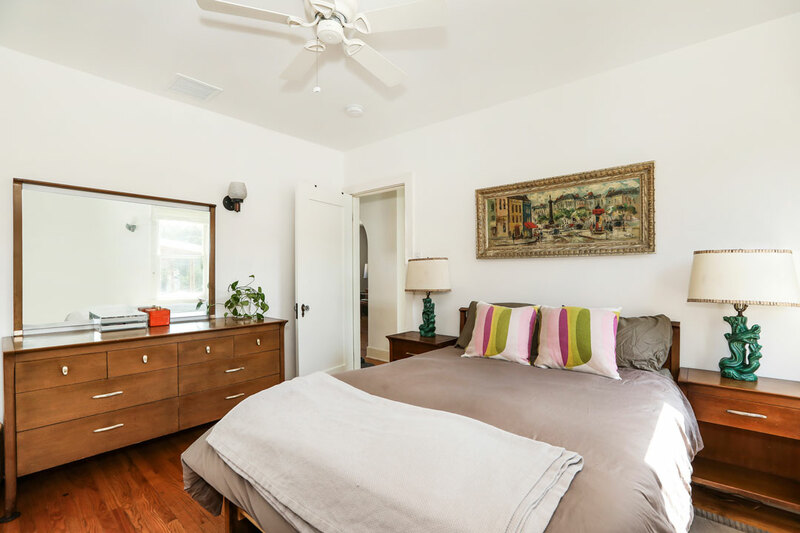 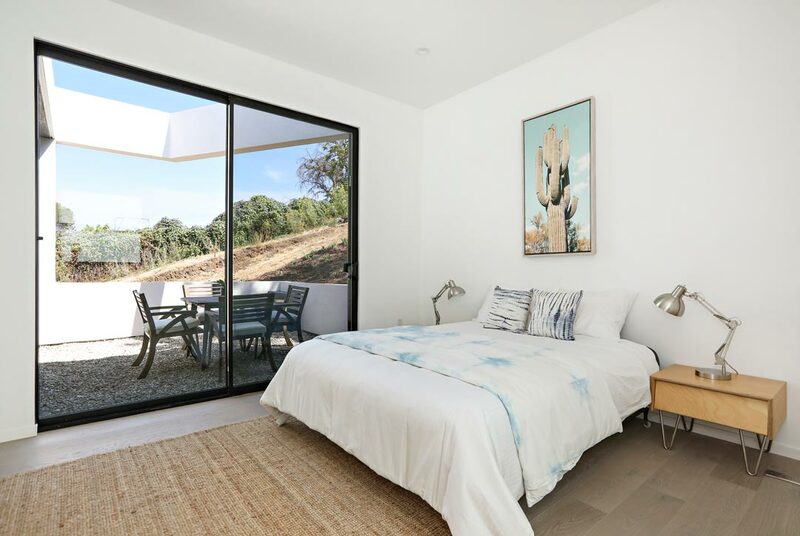 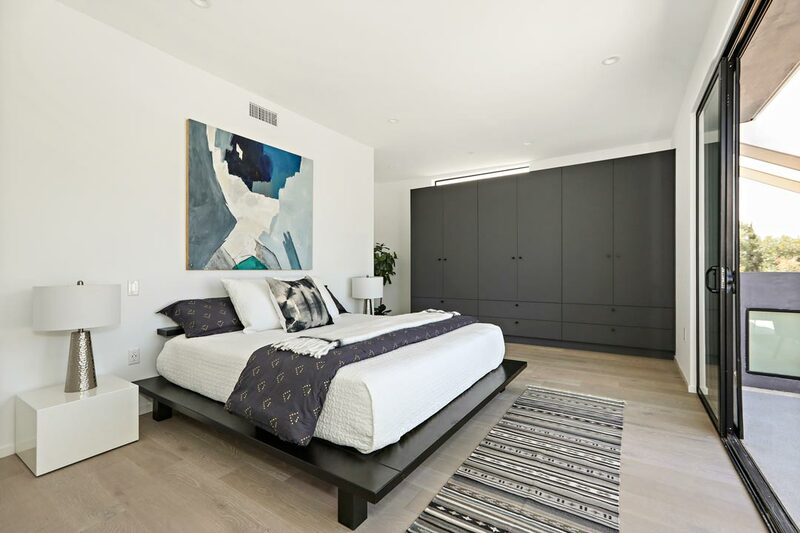 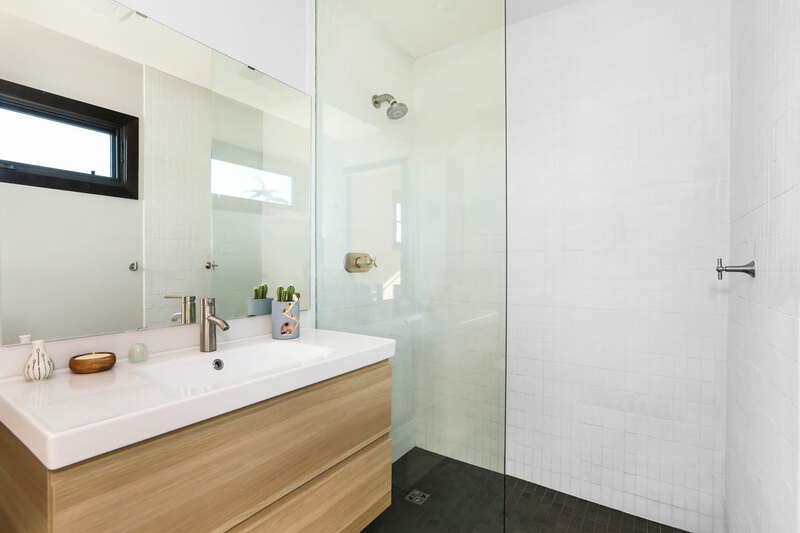 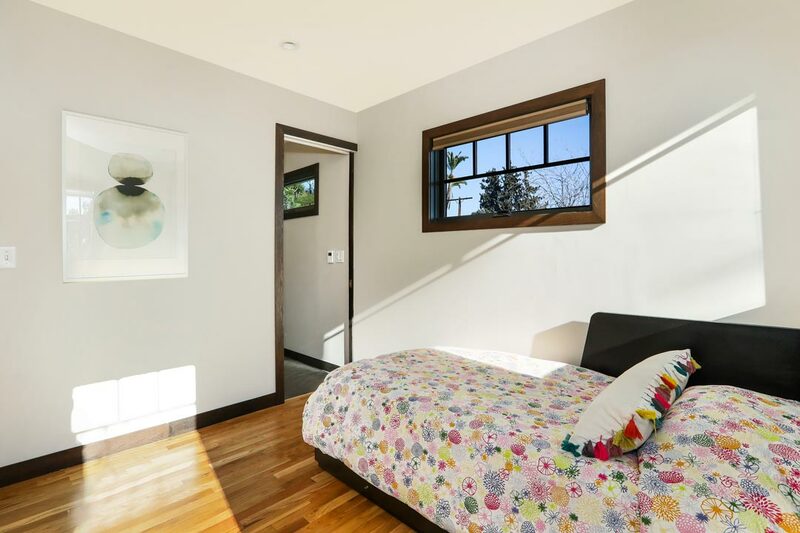 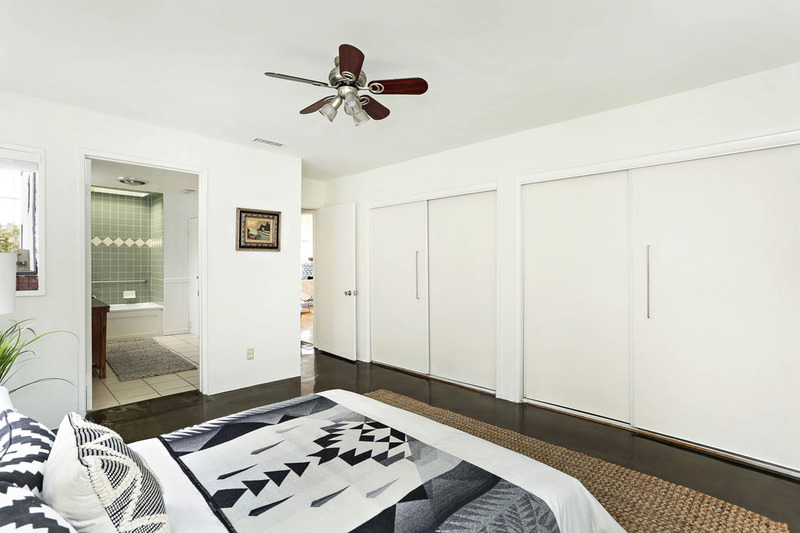 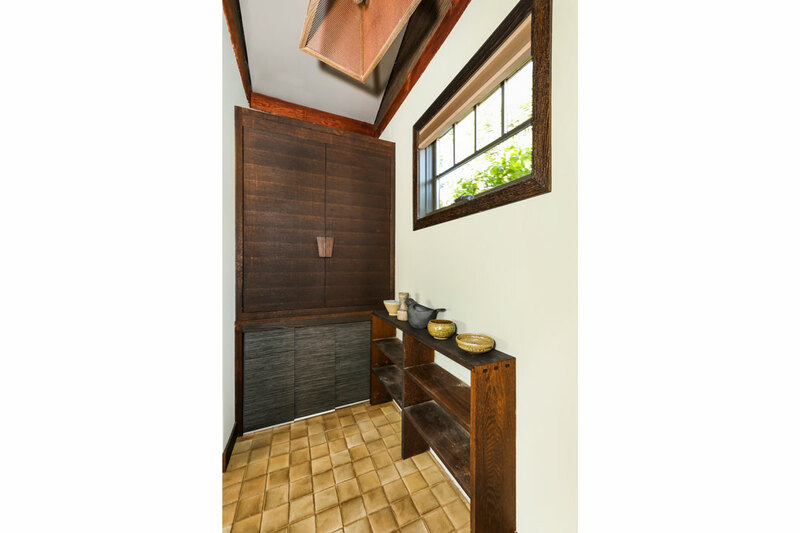 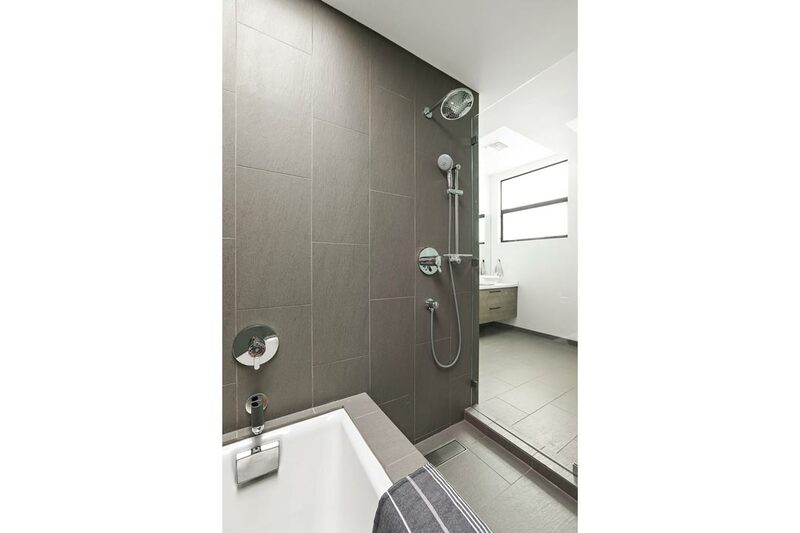 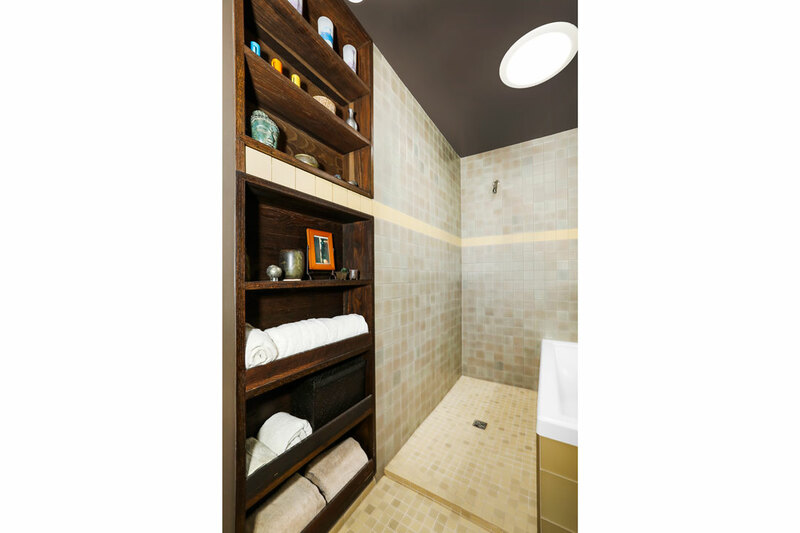 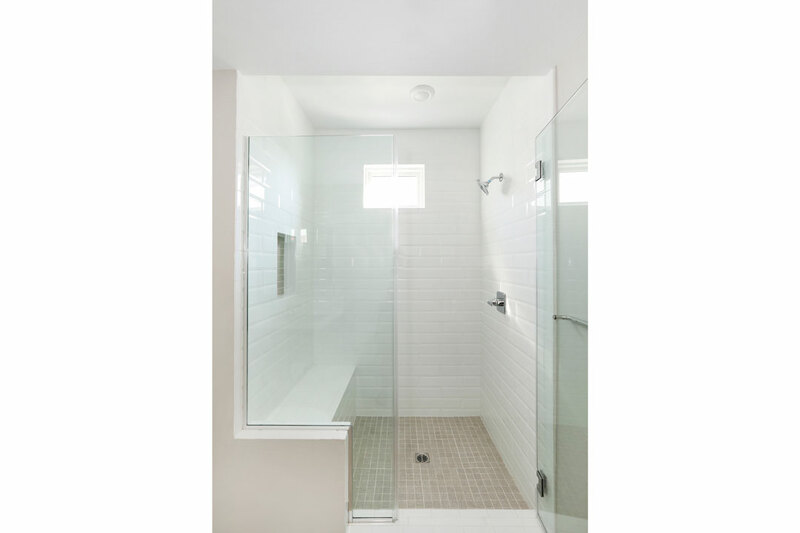 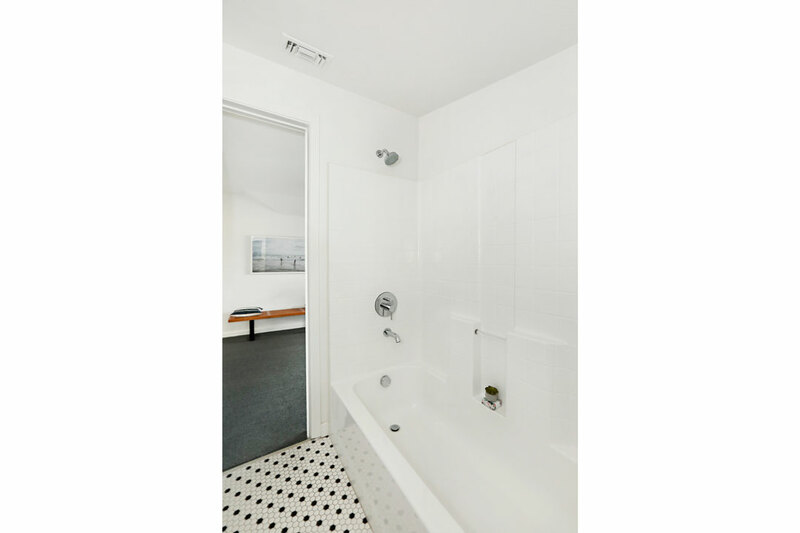 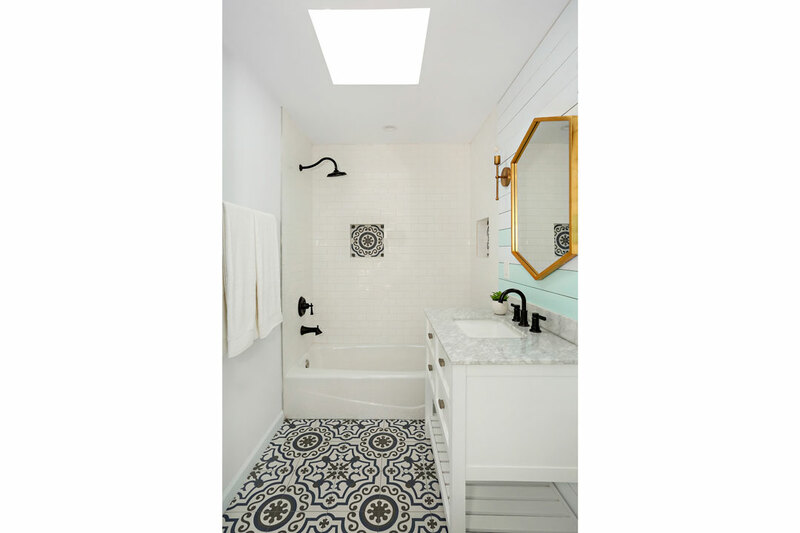 Bedrooms are finished with polished concrete floors; the large luxurious bathroom features a skylight and custom tile. 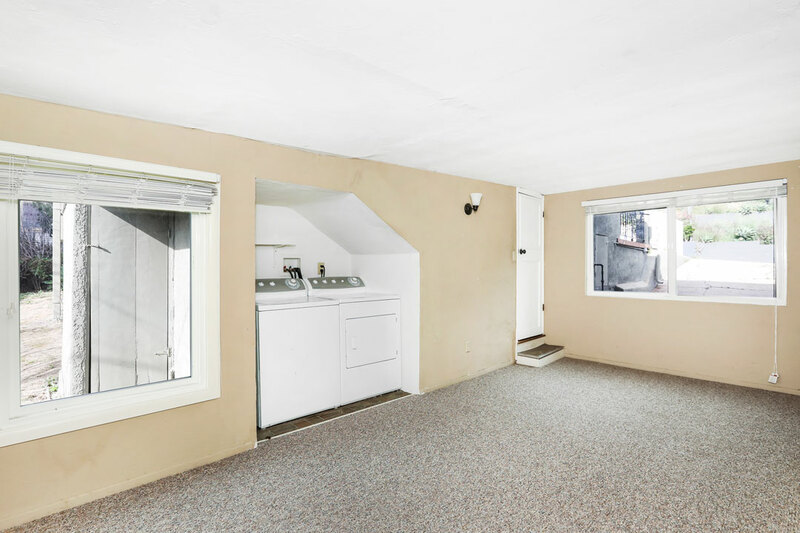 The home has central heat and air conditioning, laundry and a detached garage. 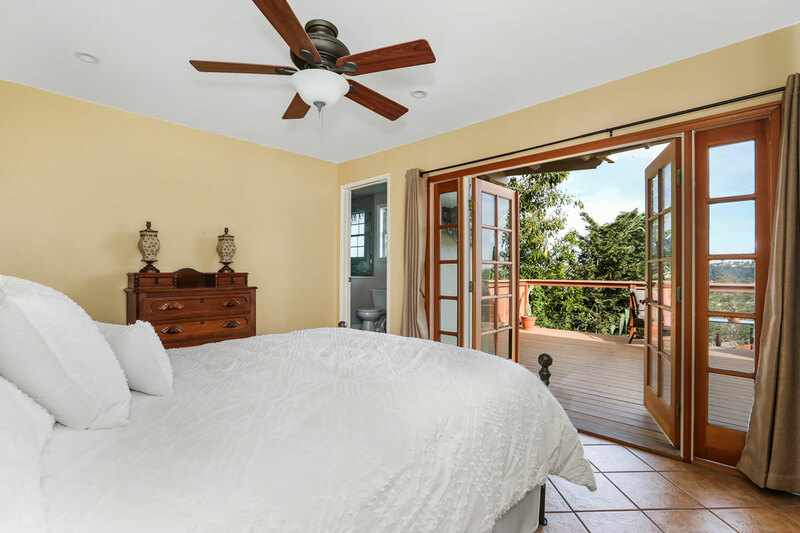 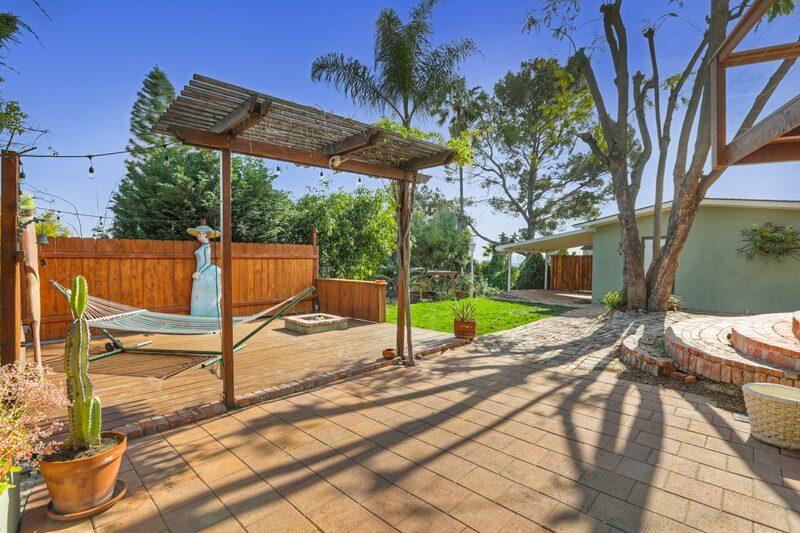 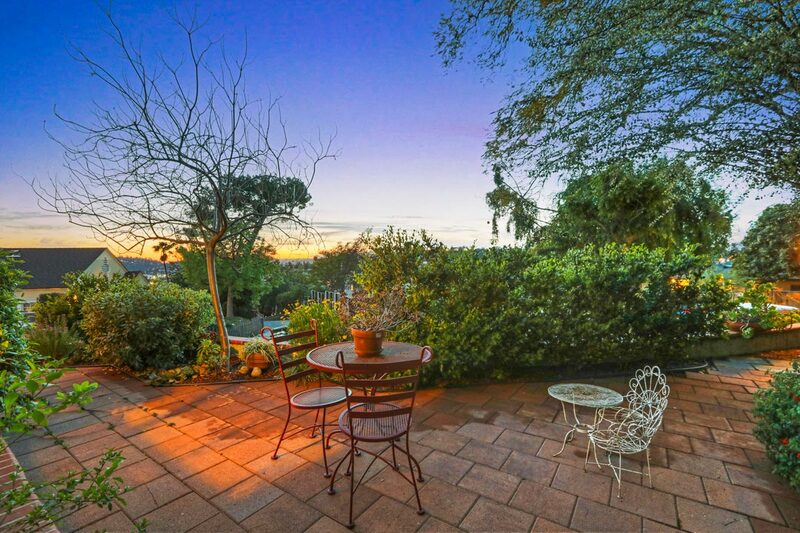 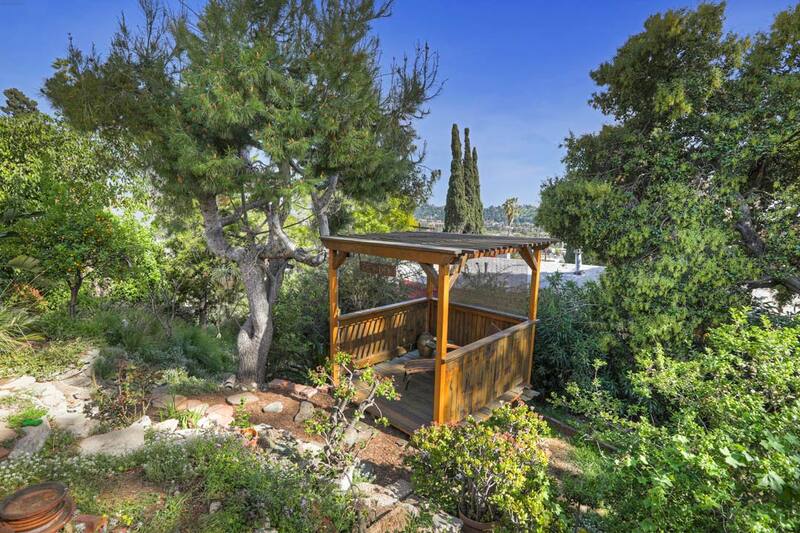 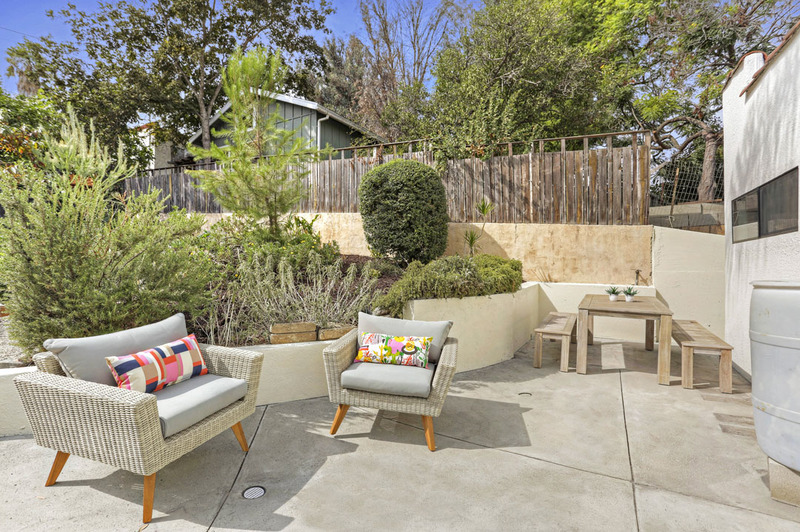 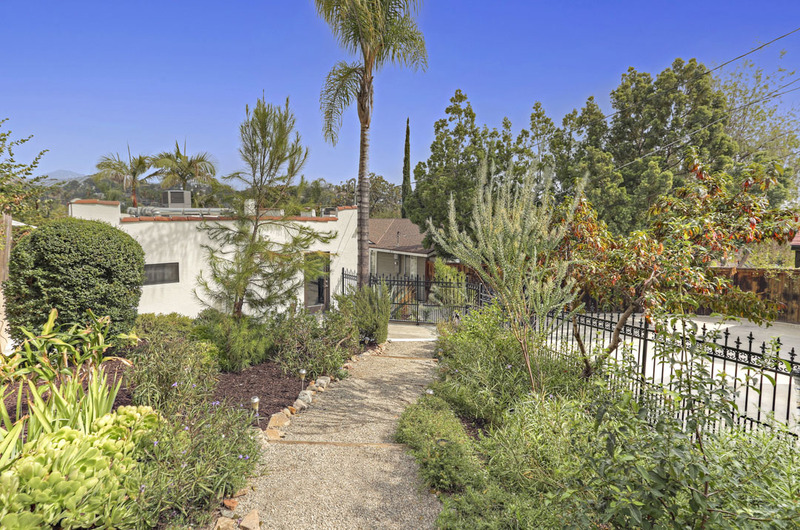 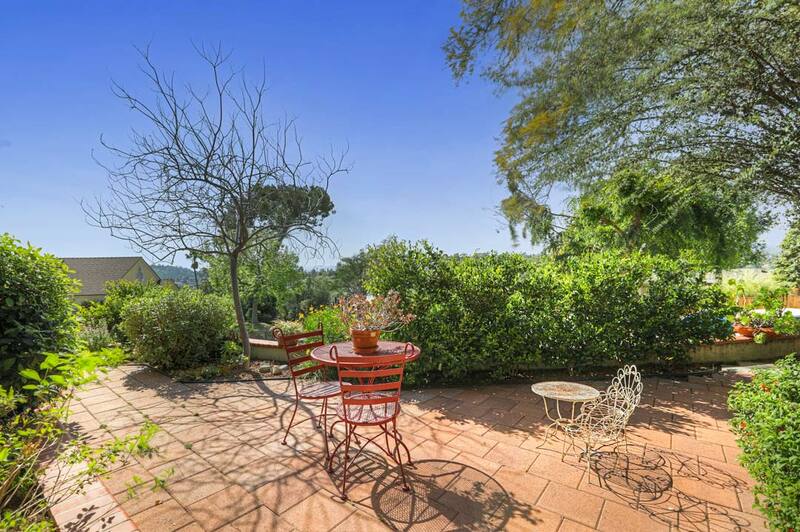 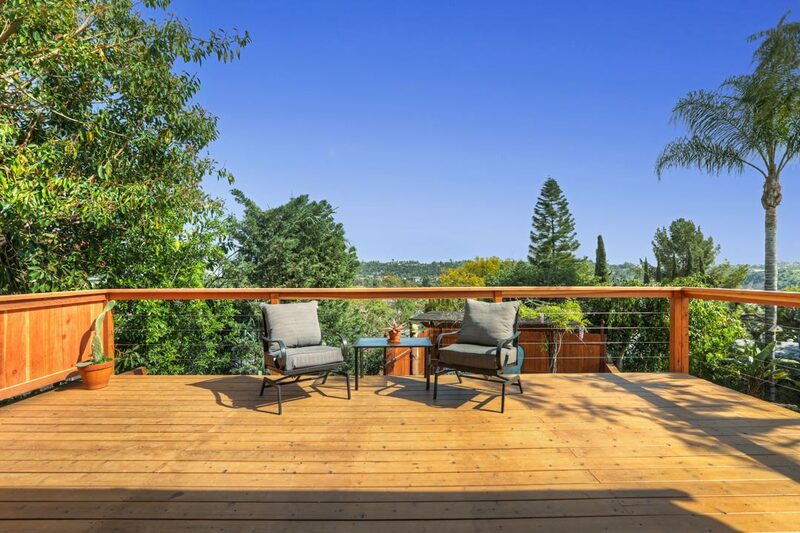 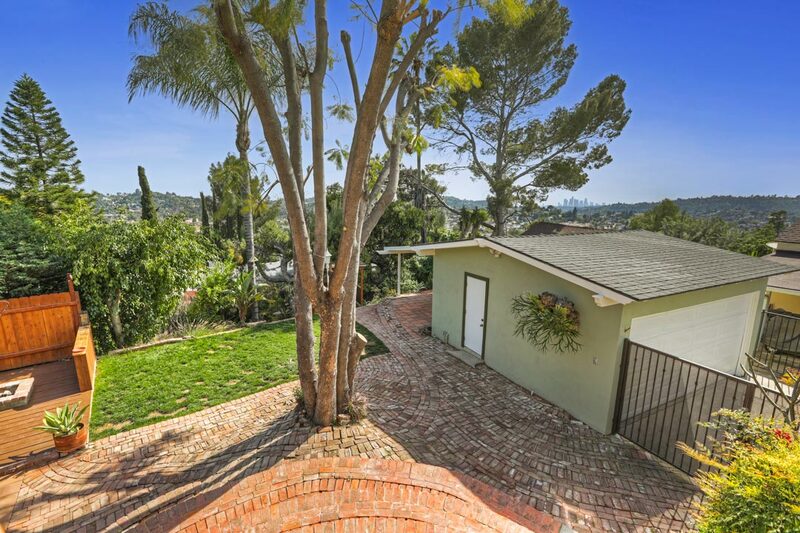 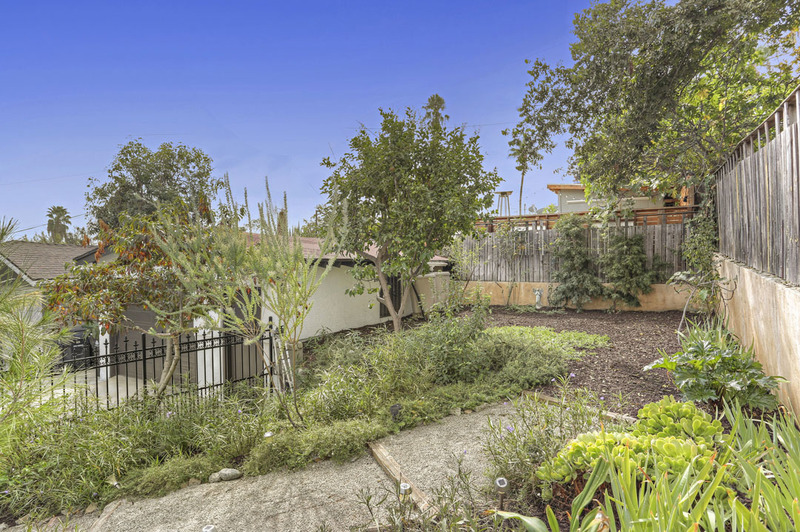 Landscaped with fragrant herbs and citrus, fig and peach trees, the private rear yard is your tranquil oasis for relaxing, entertaining and gathering with family and friends. 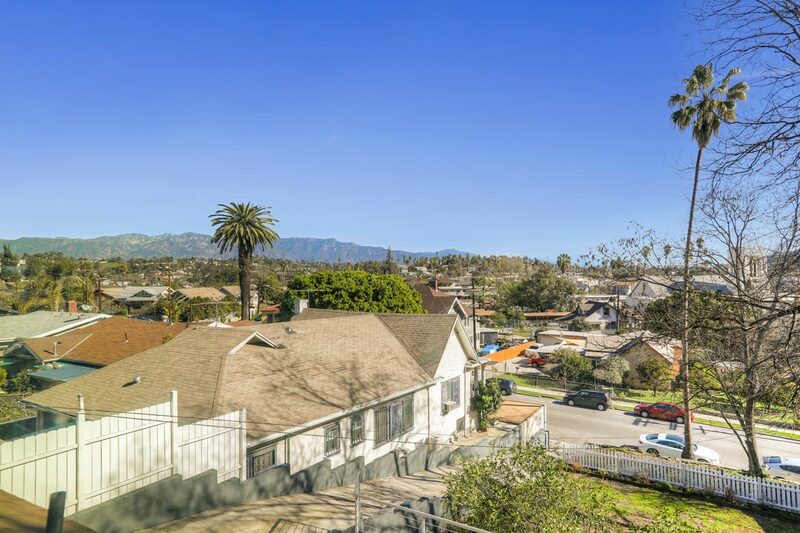 Remarkably you are just a few blocks away from the lively scene along York Blvd. 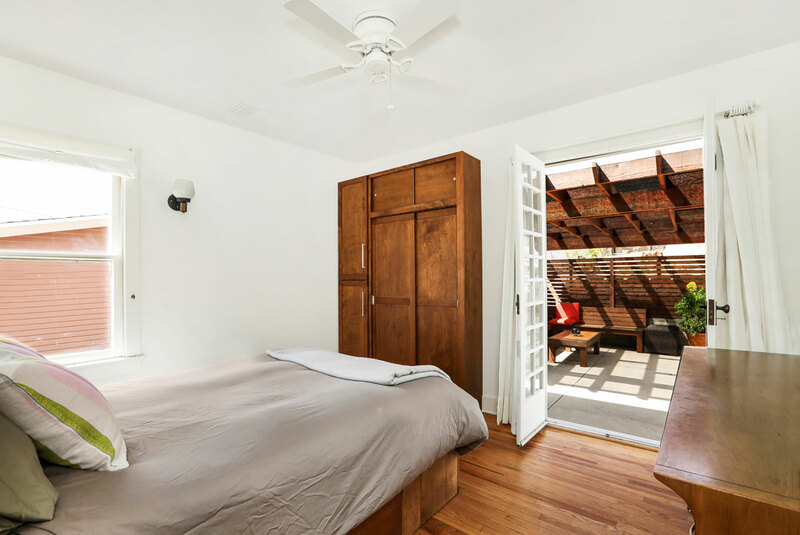 including Café de Leche, Donut Friend, The Hermosillo, Joy, Town Pizza and more. 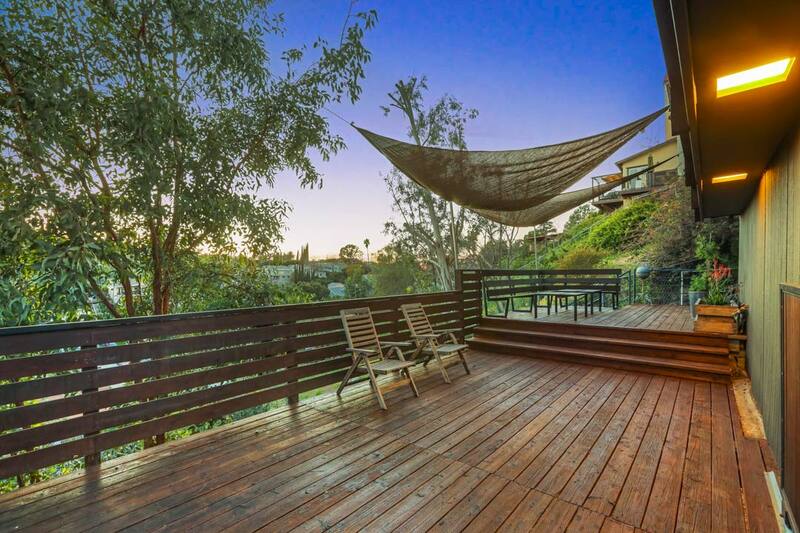 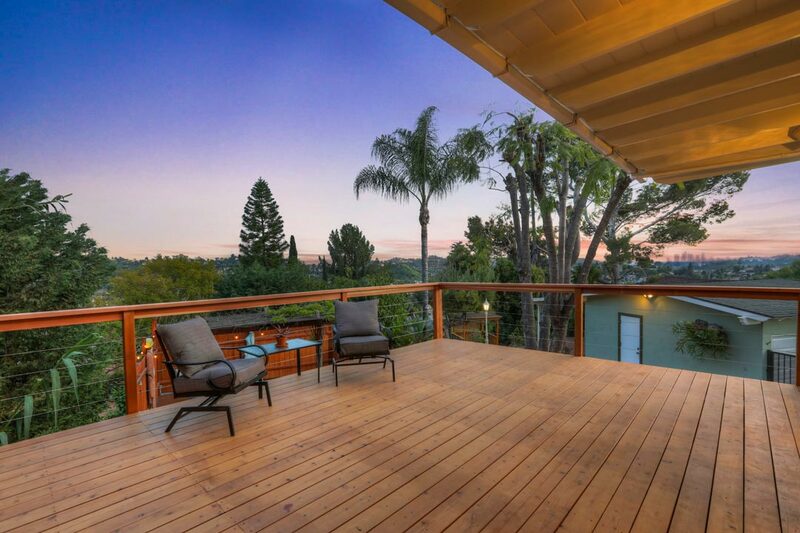 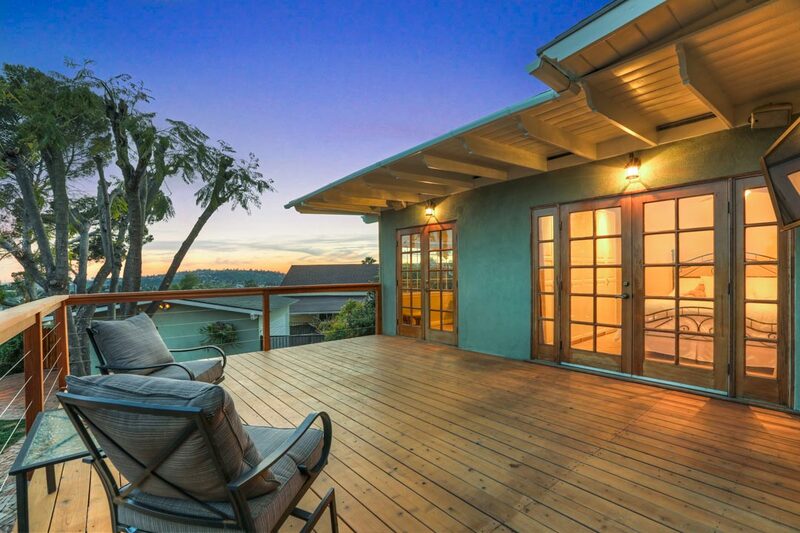 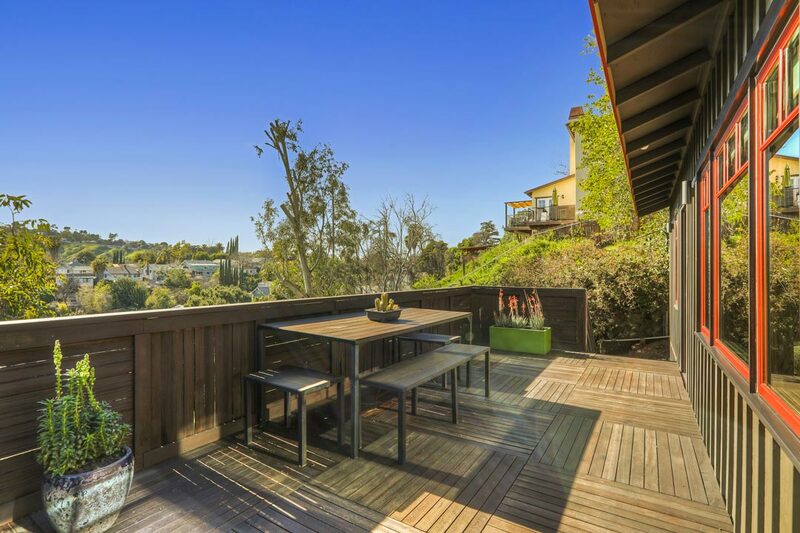 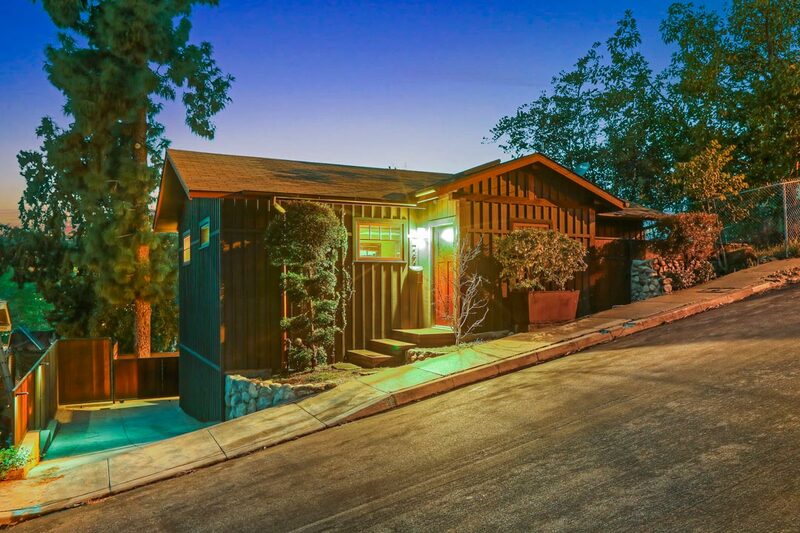 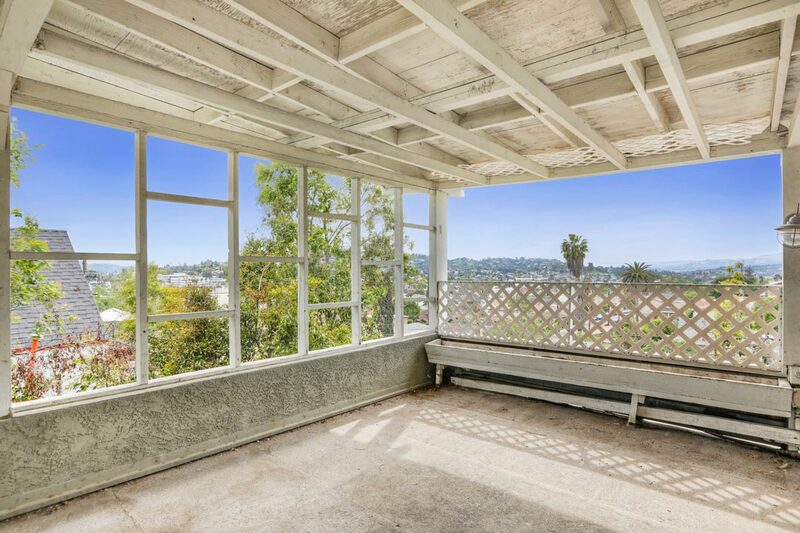 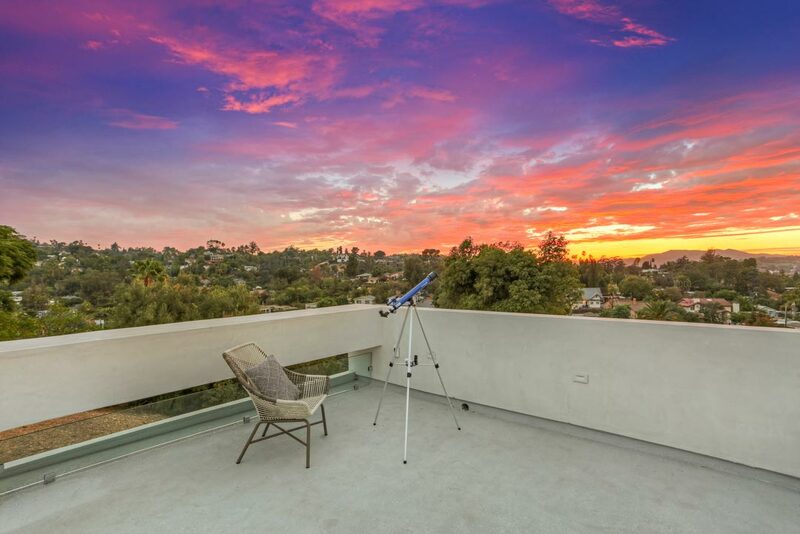 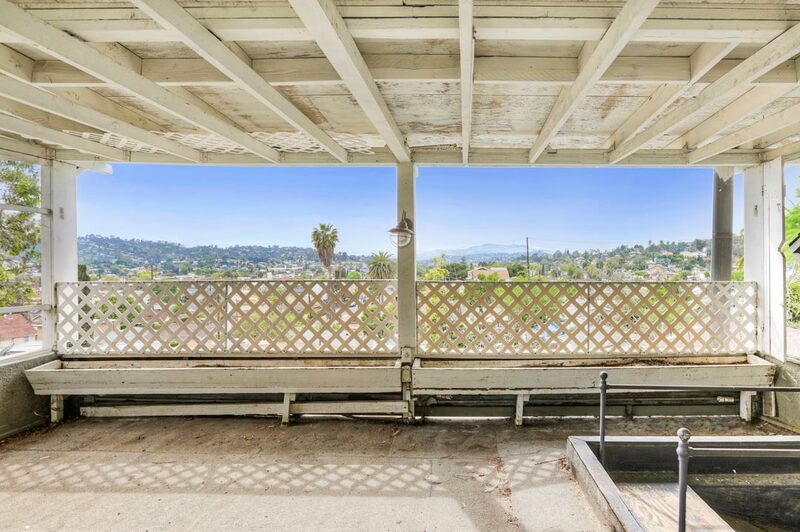 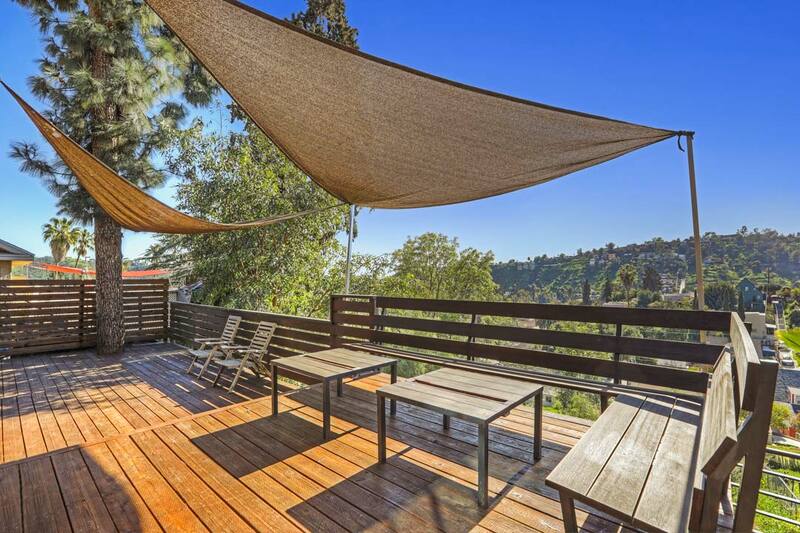 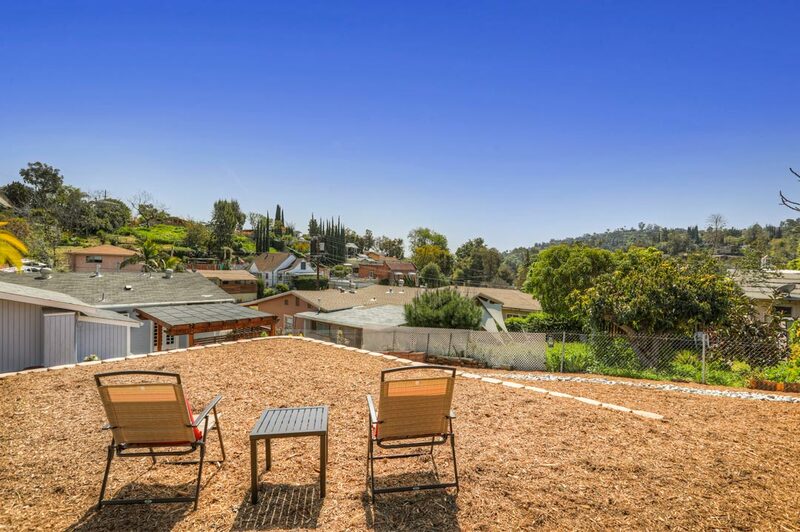 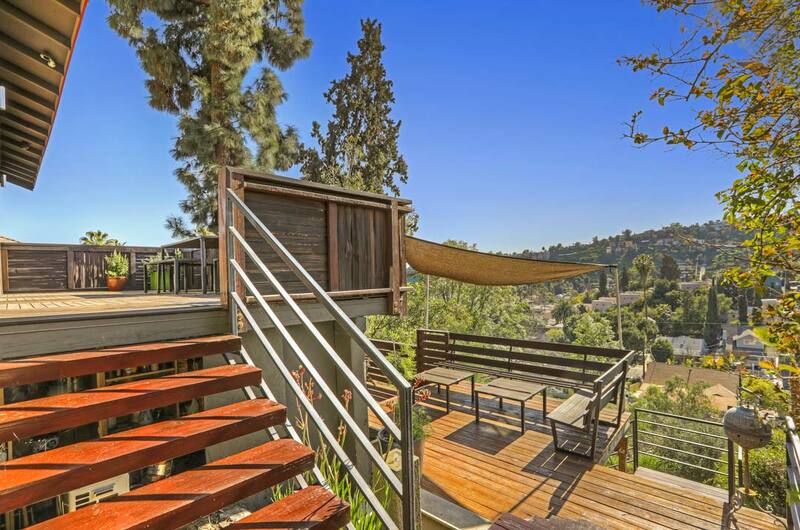 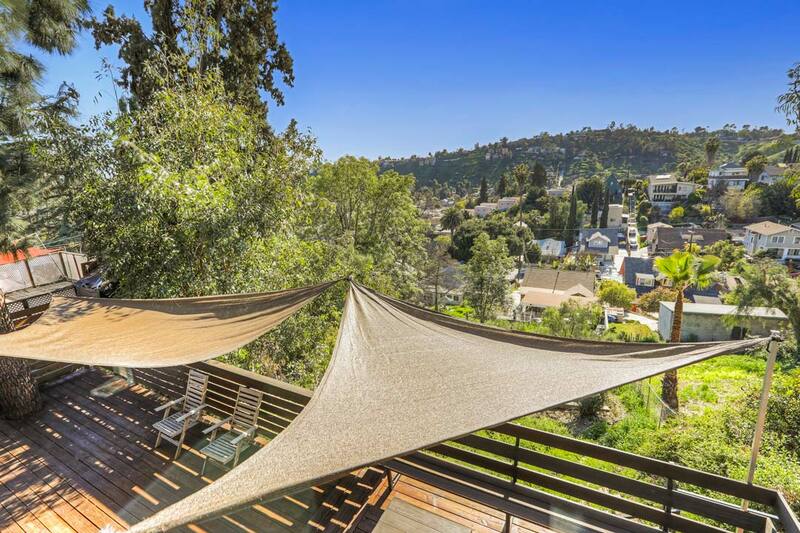 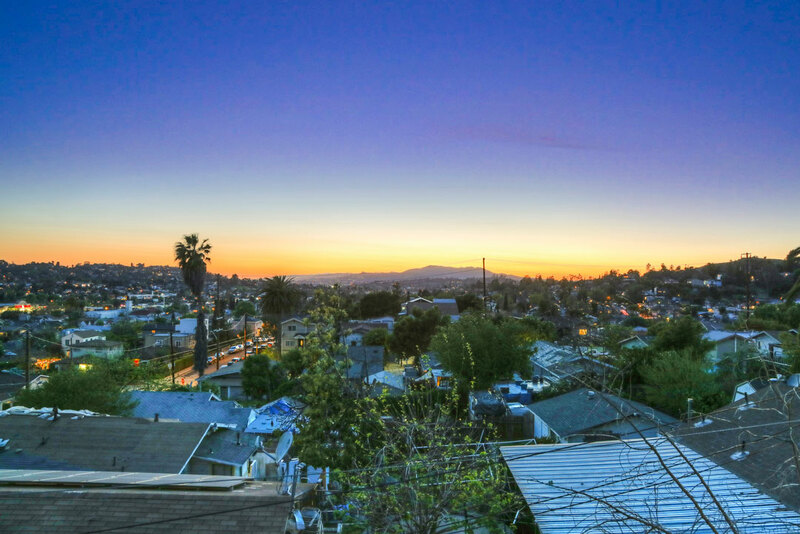 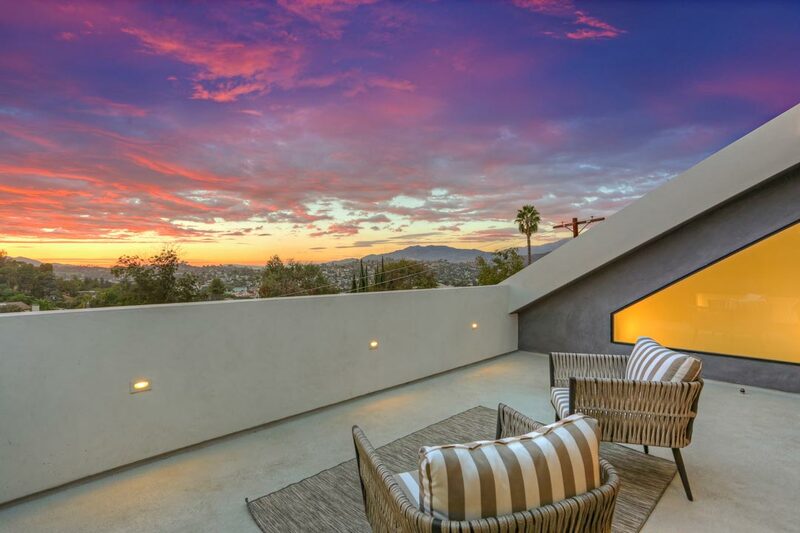 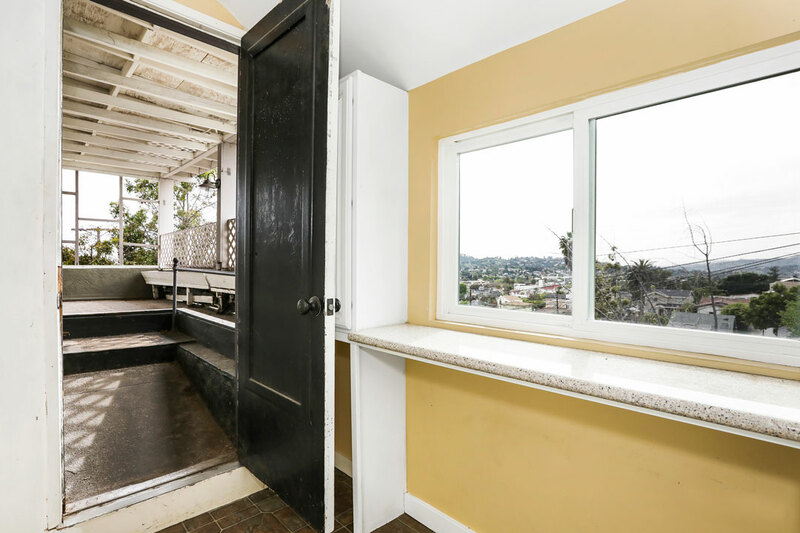 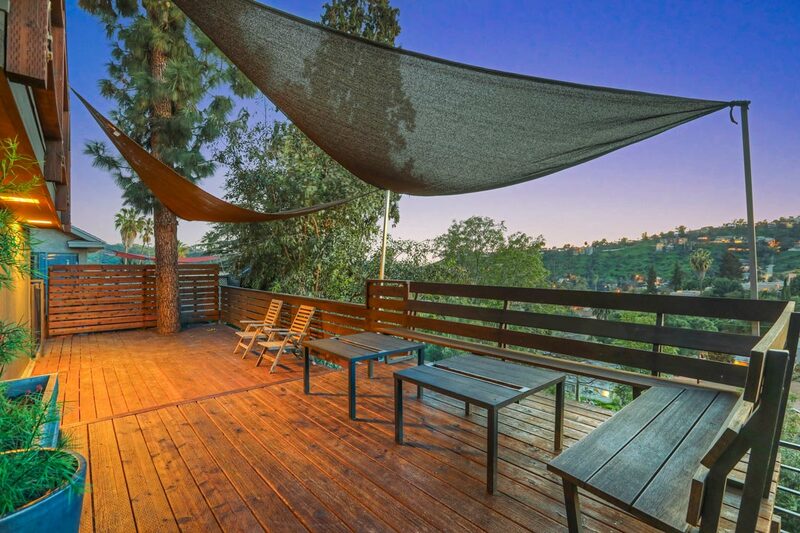 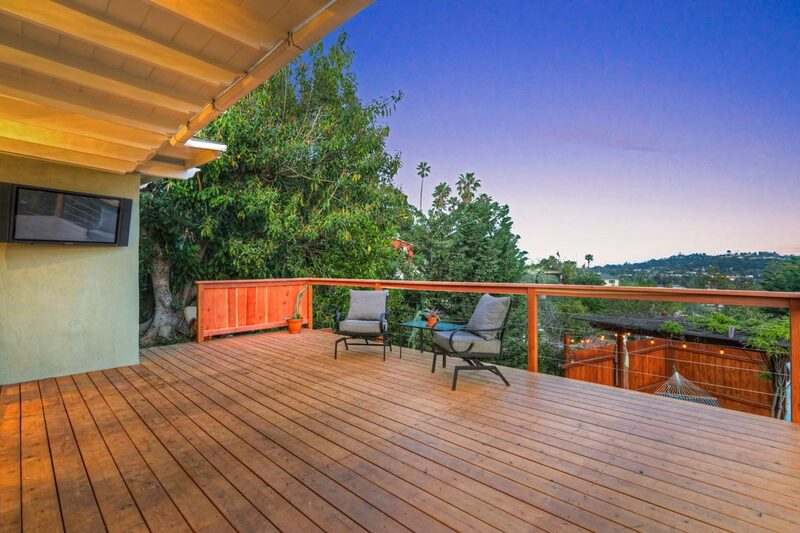 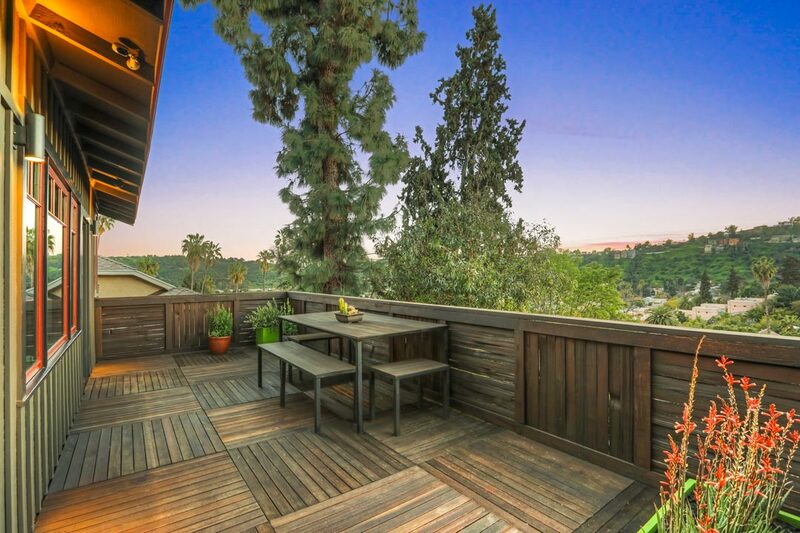 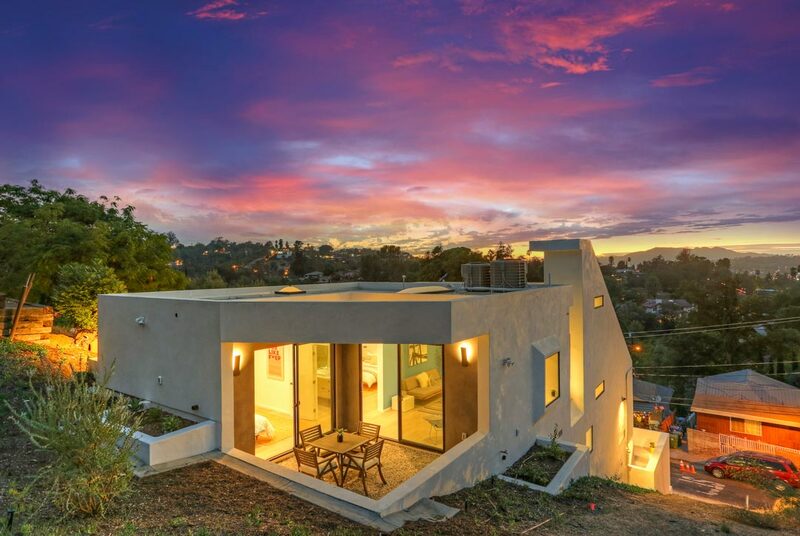 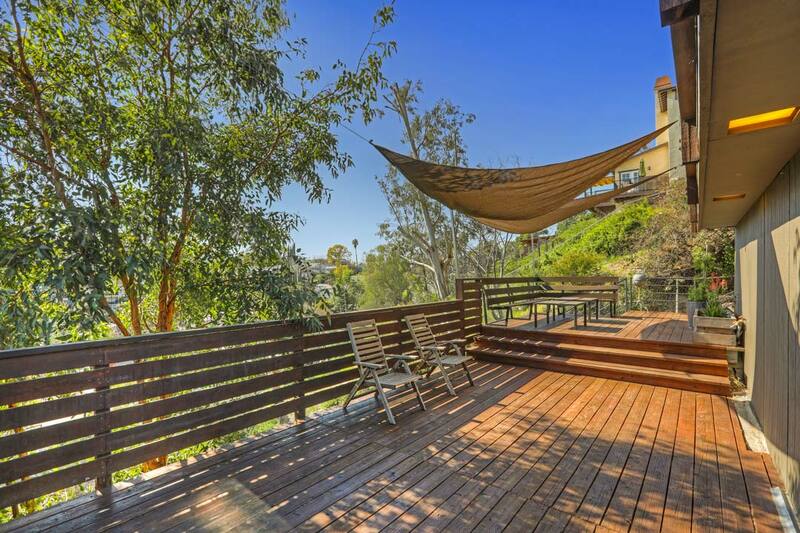 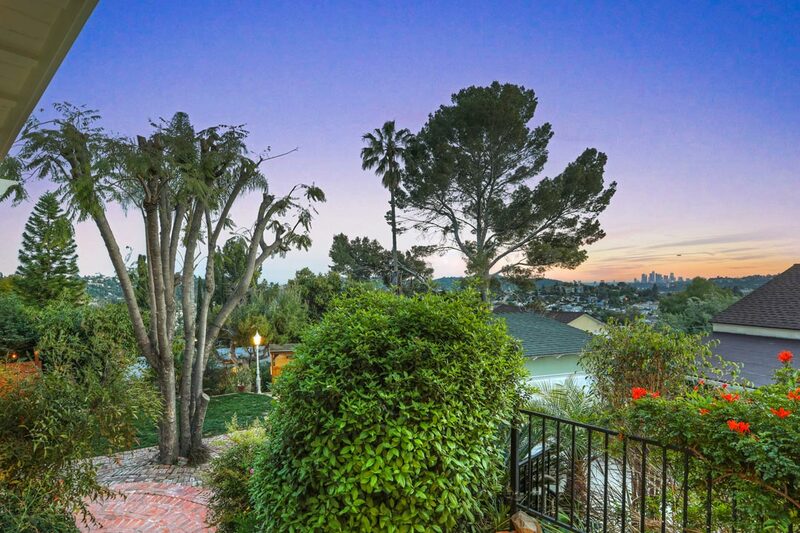 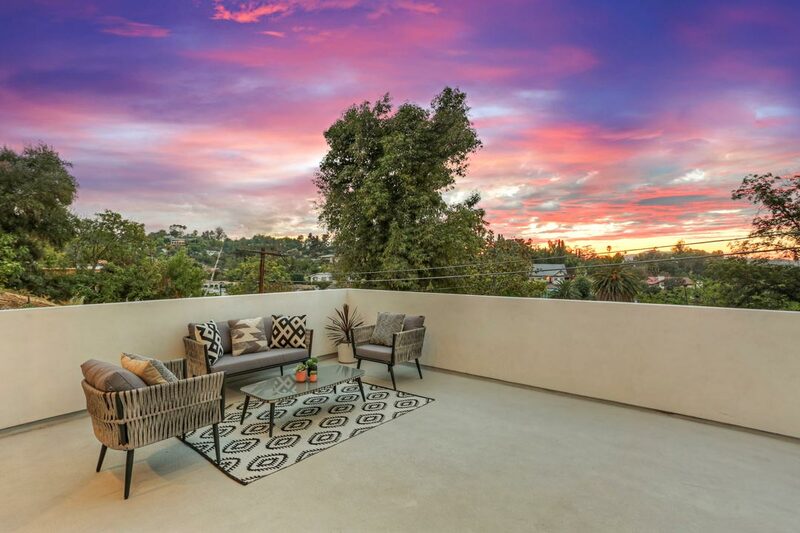 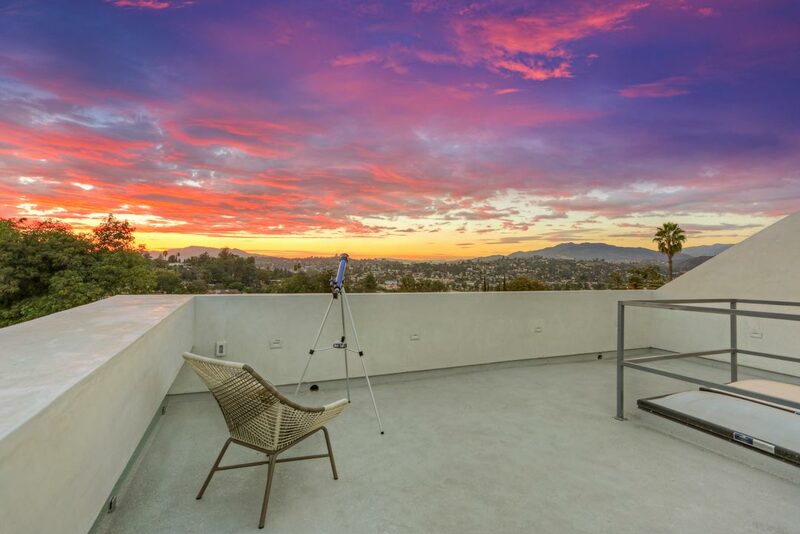 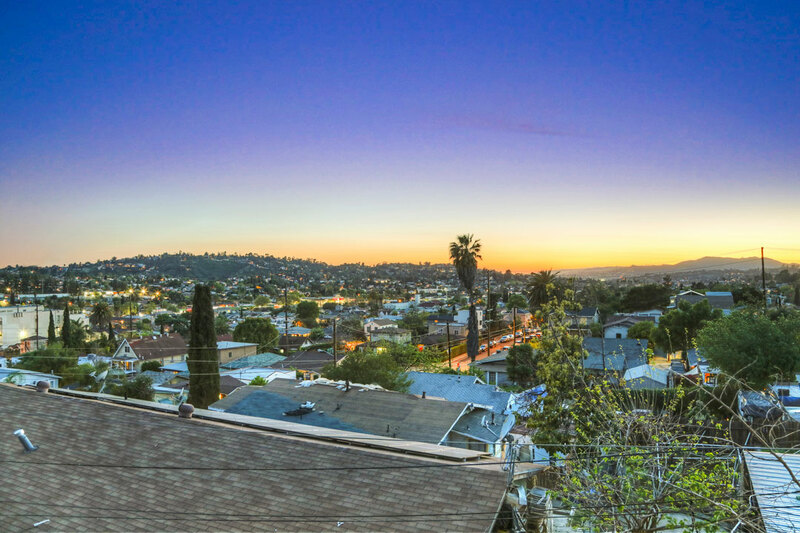 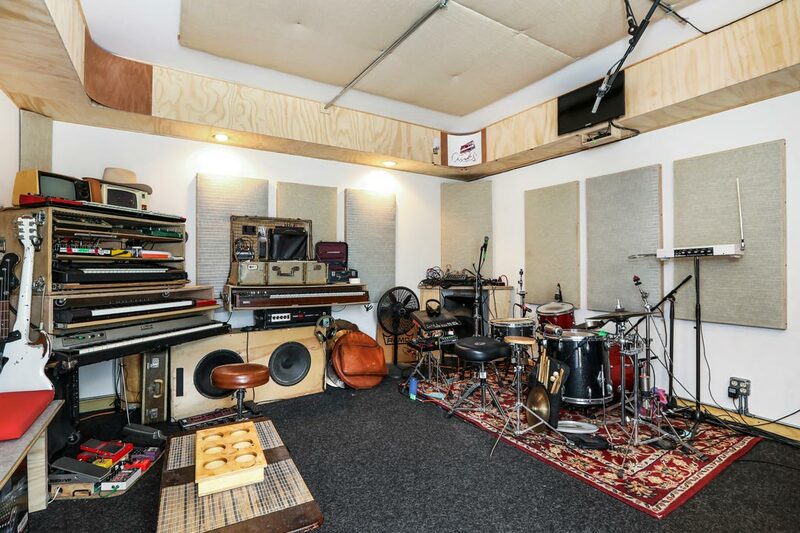 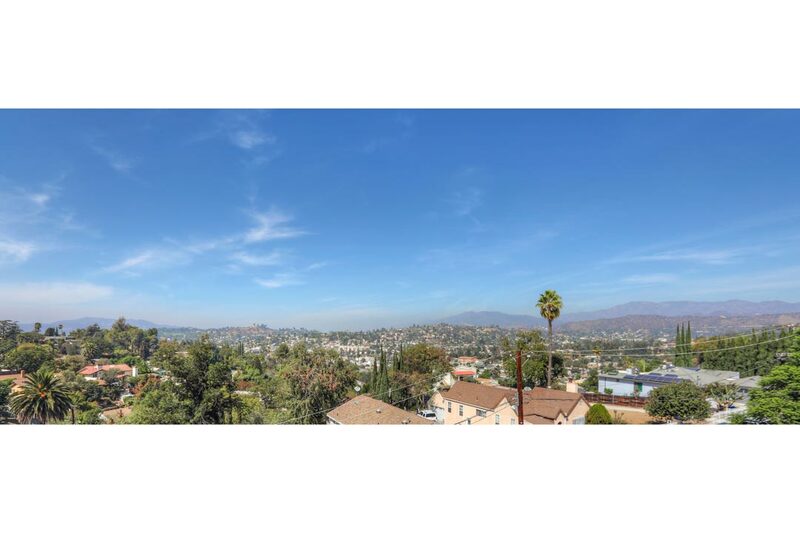 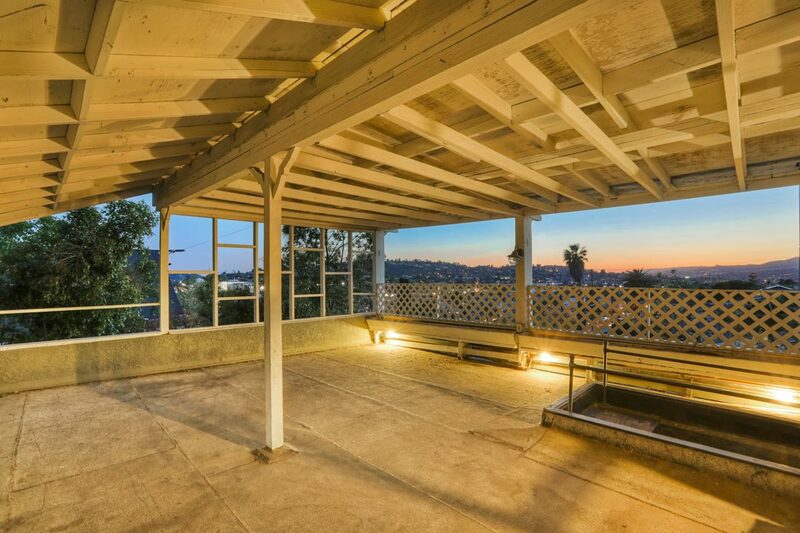 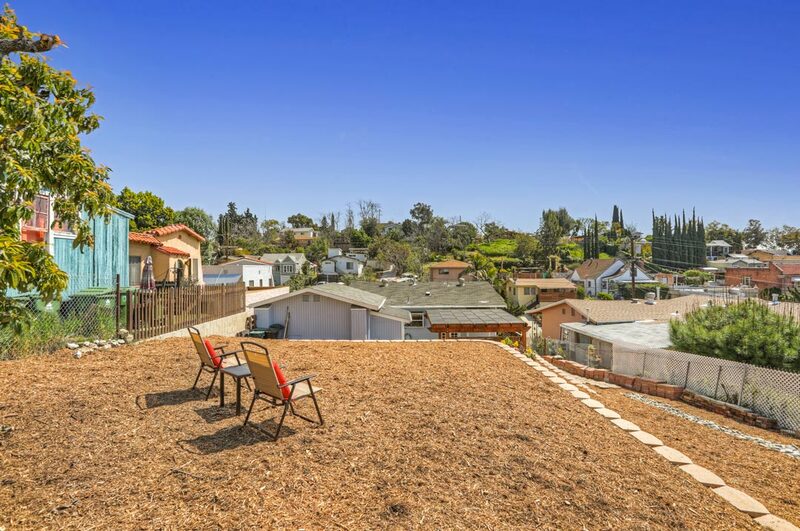 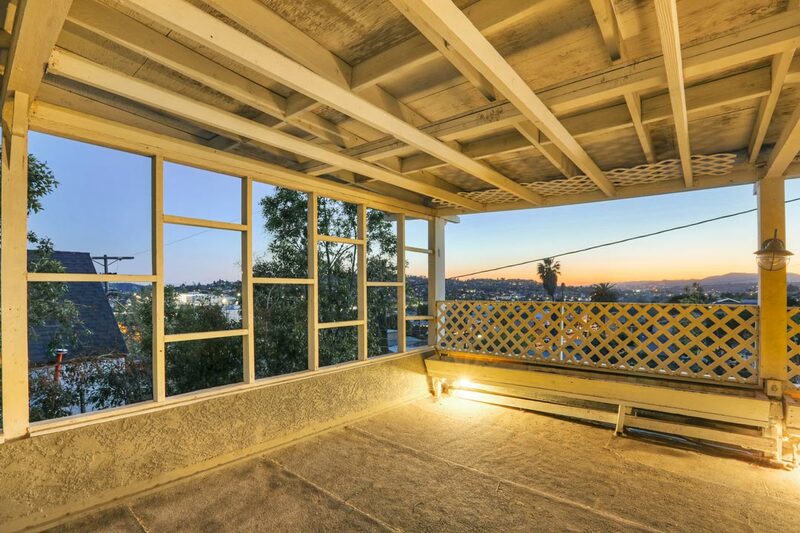 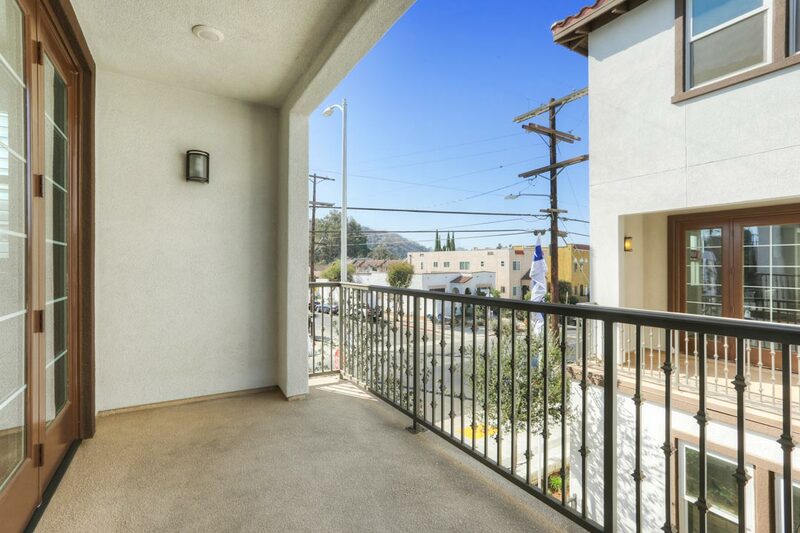 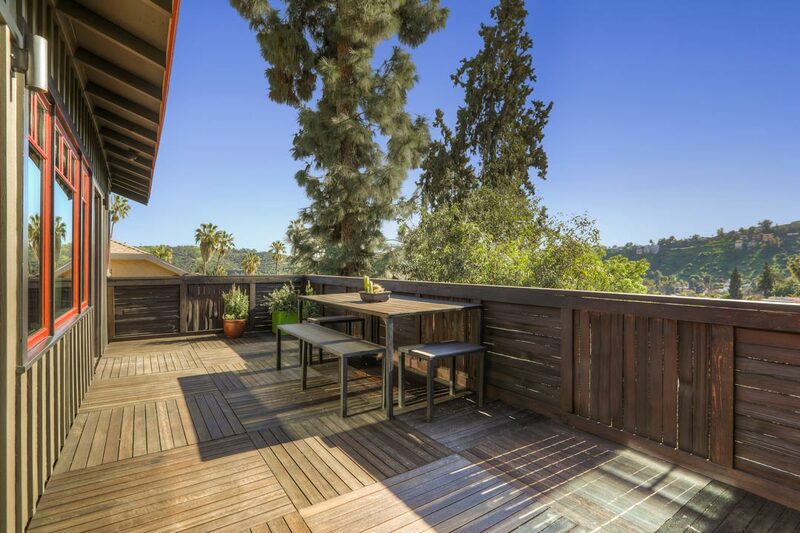 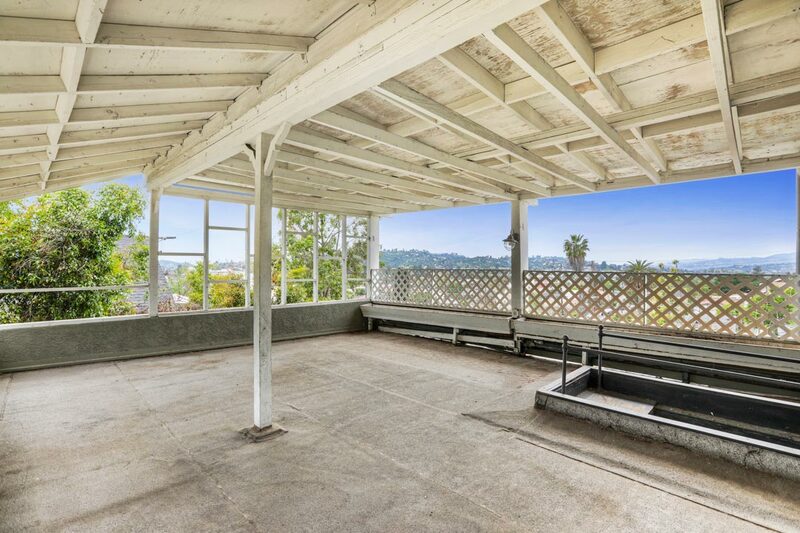 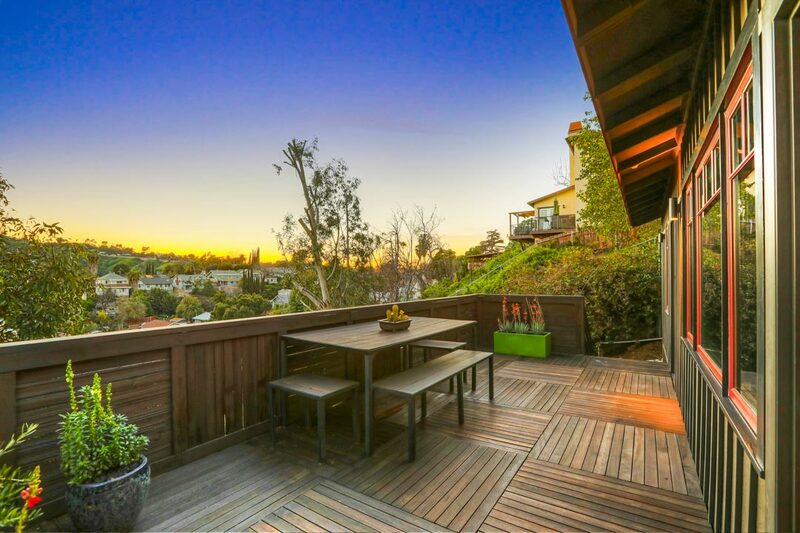 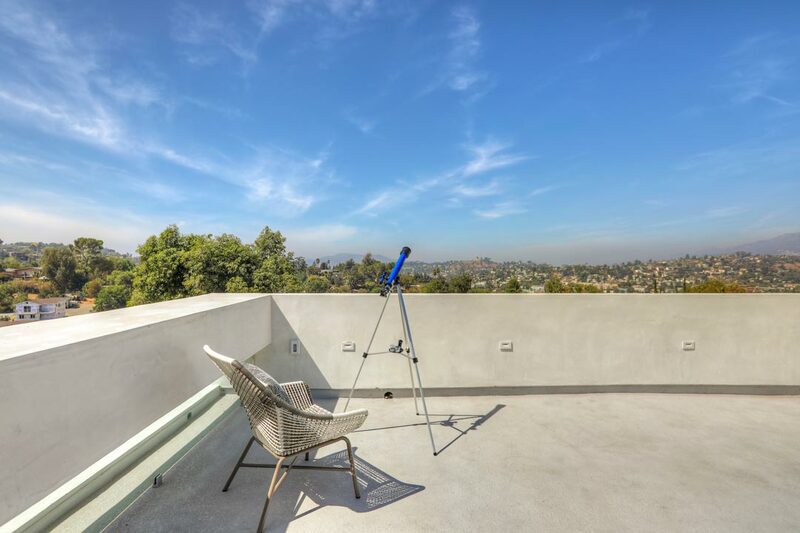 Eagle Rock, Atwater Village and DTLA are within easy reach. 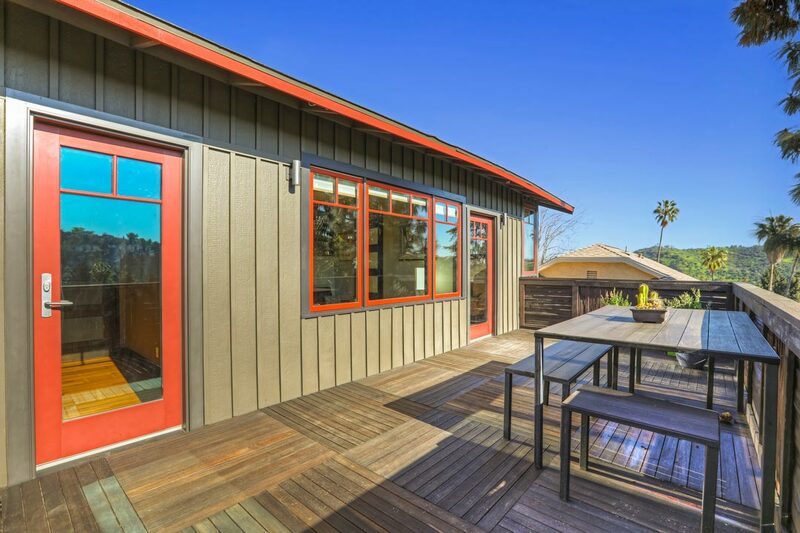 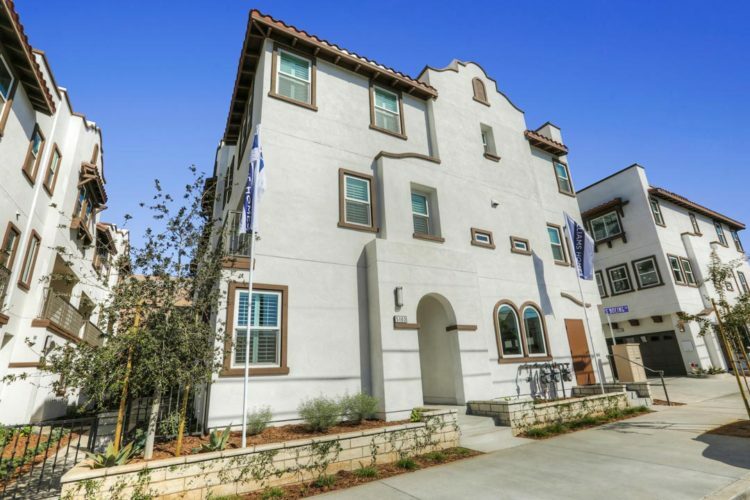 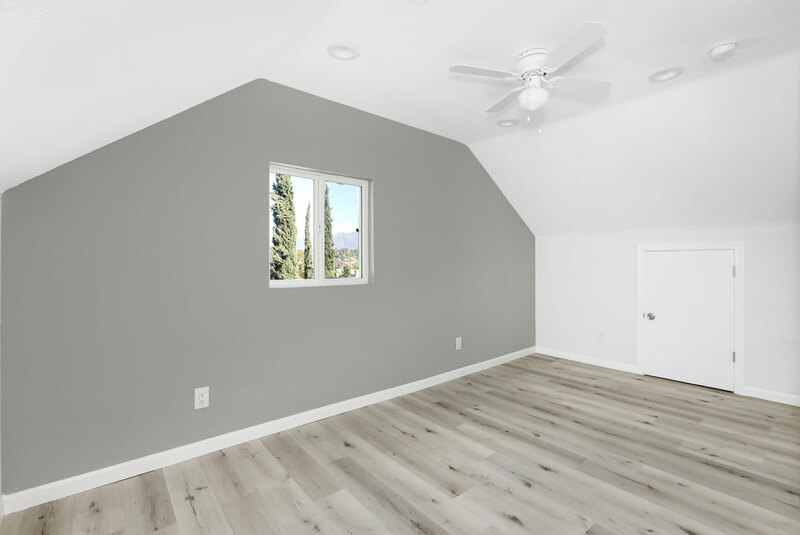 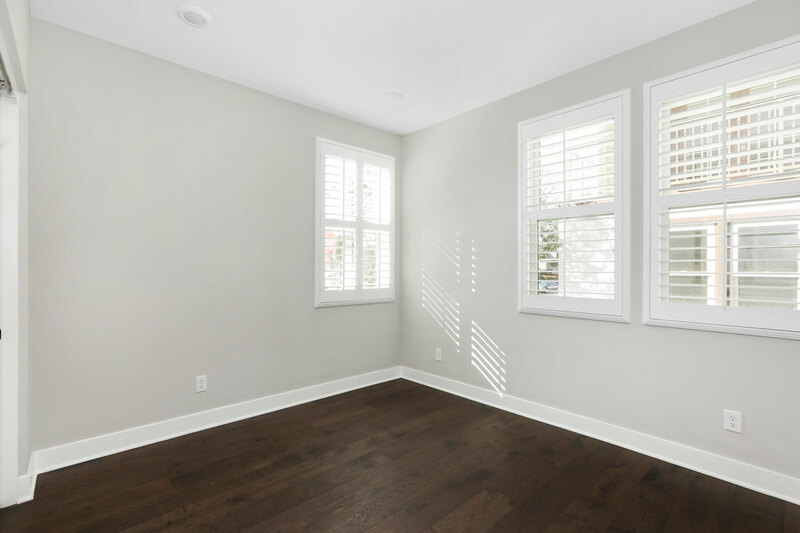 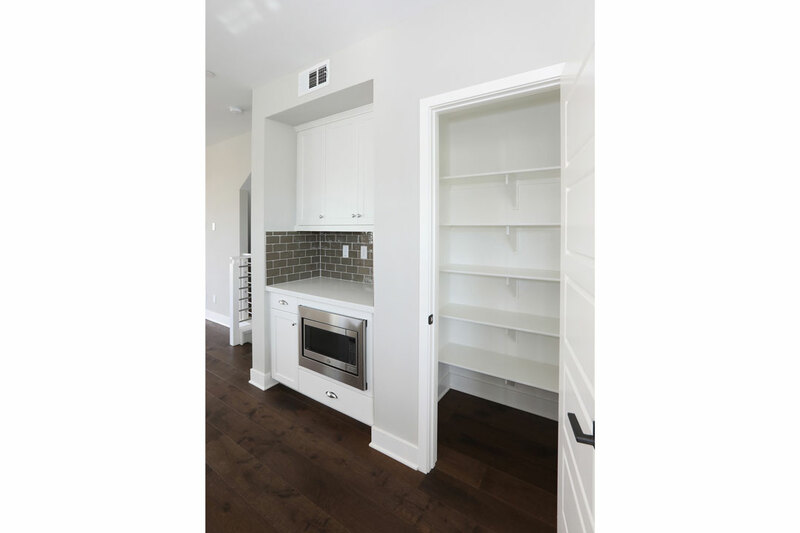 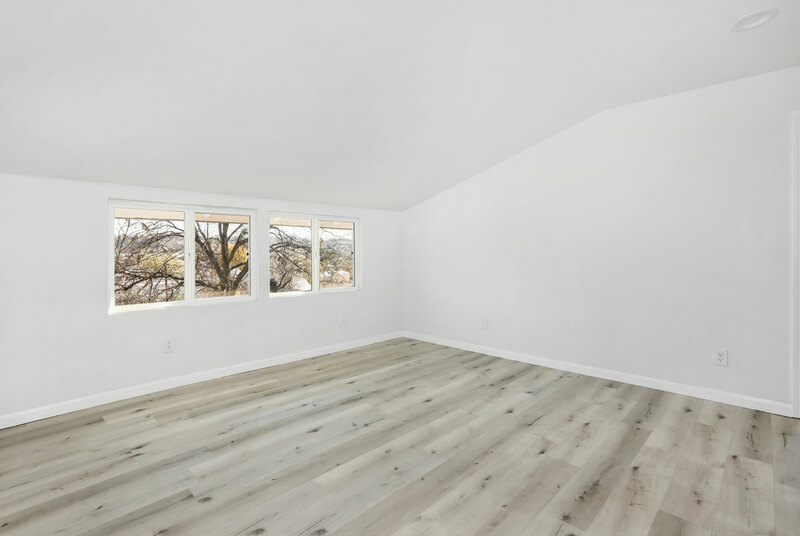 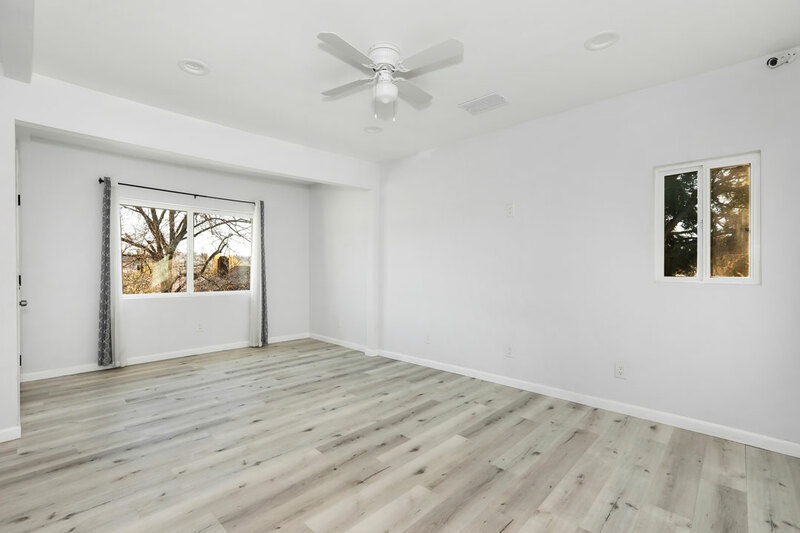 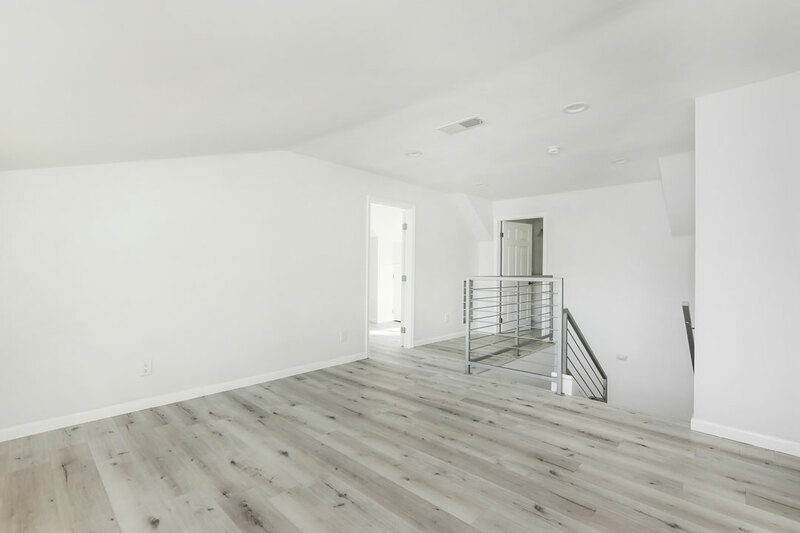 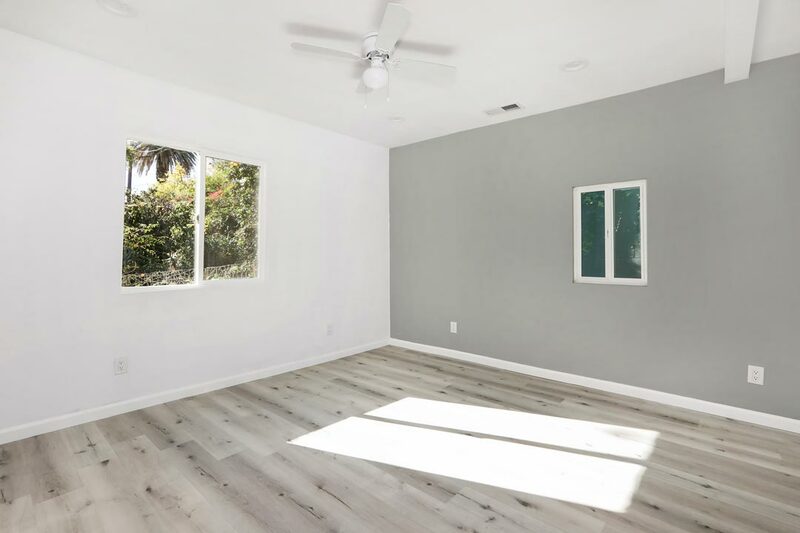 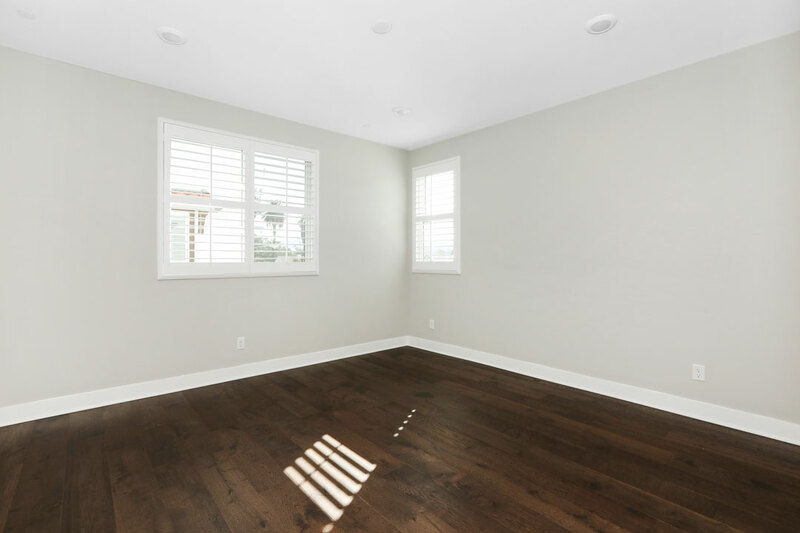 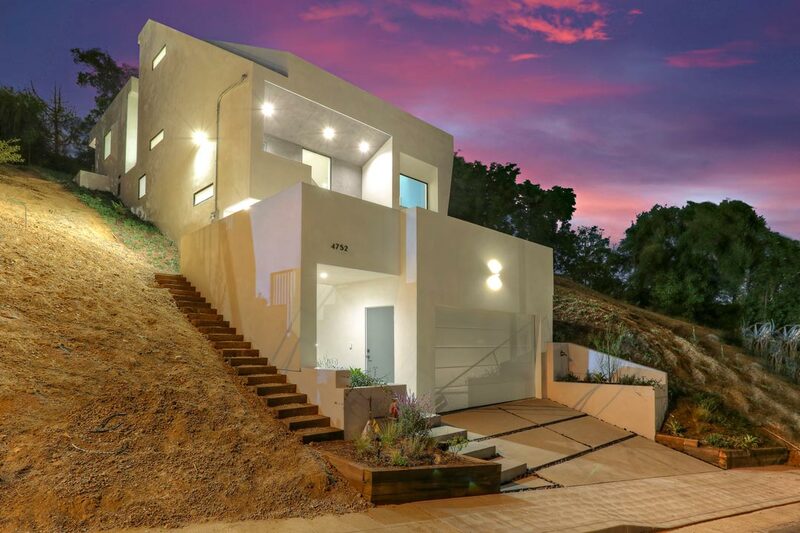 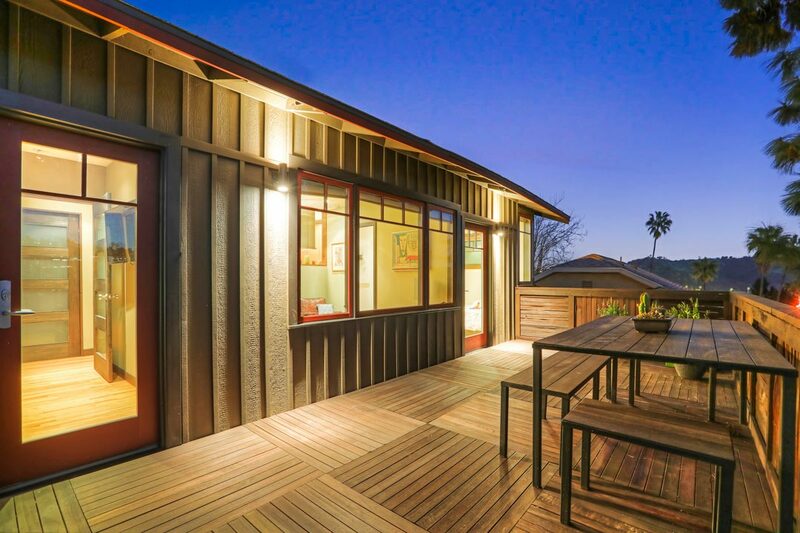 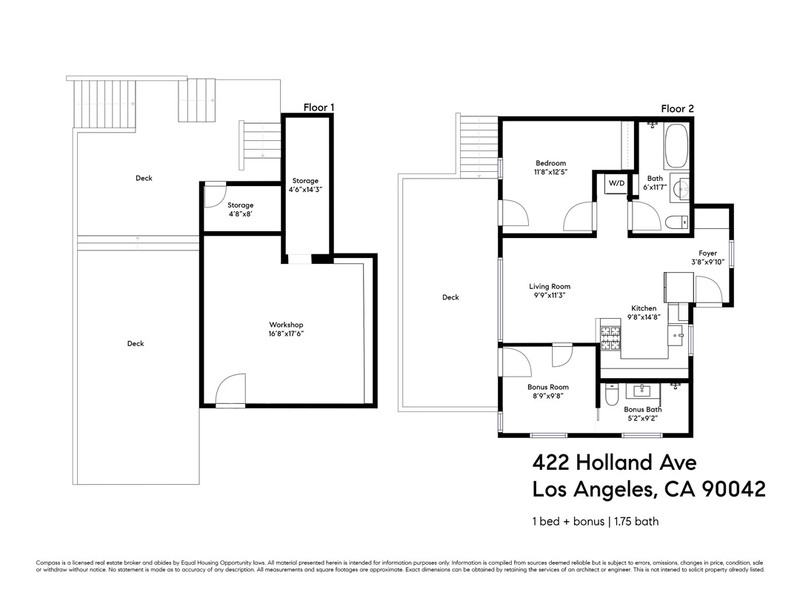 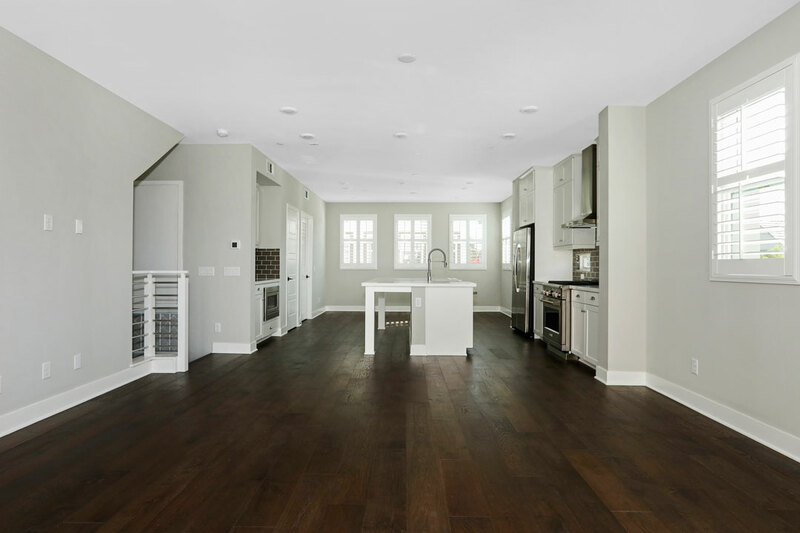 Available for lease: A brand new home at Echo Two Four in Highland Park. 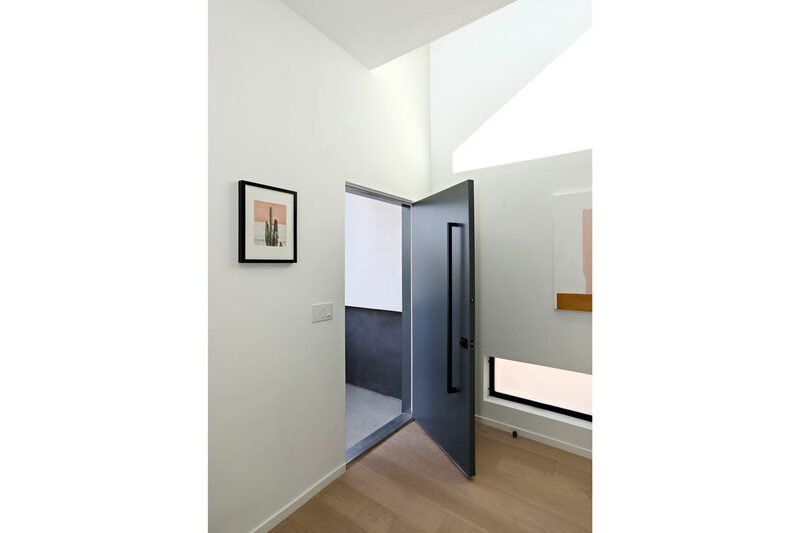 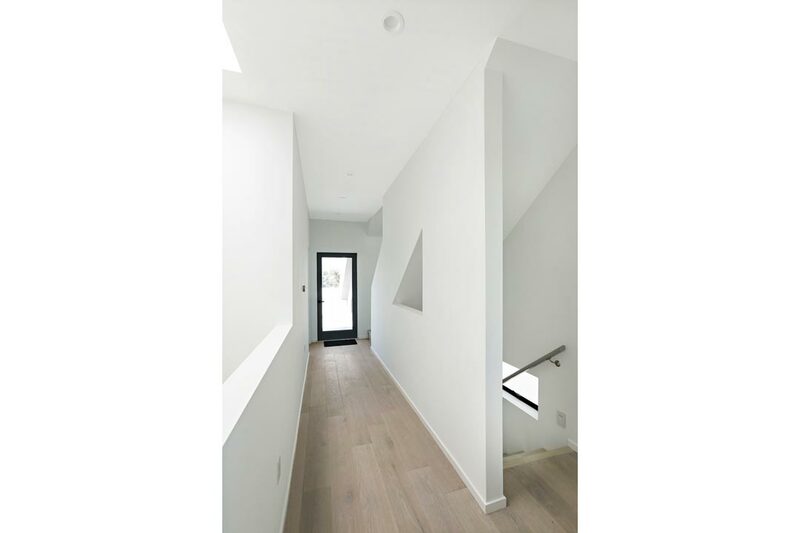 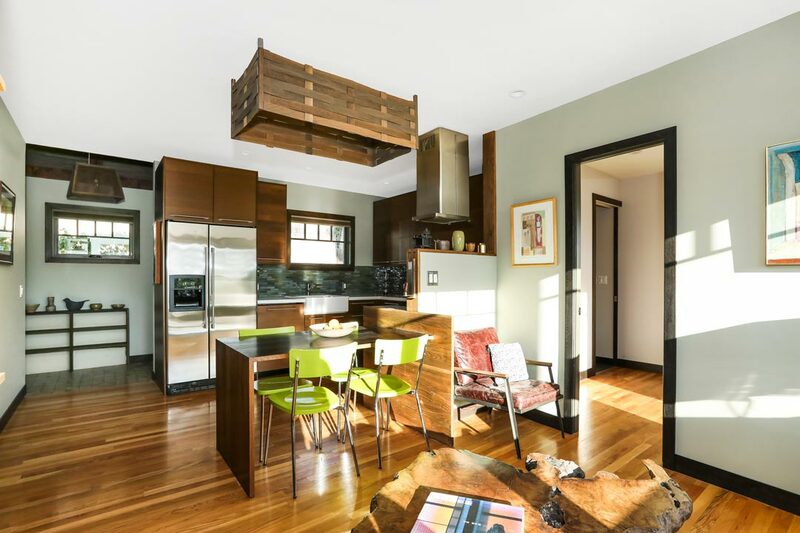 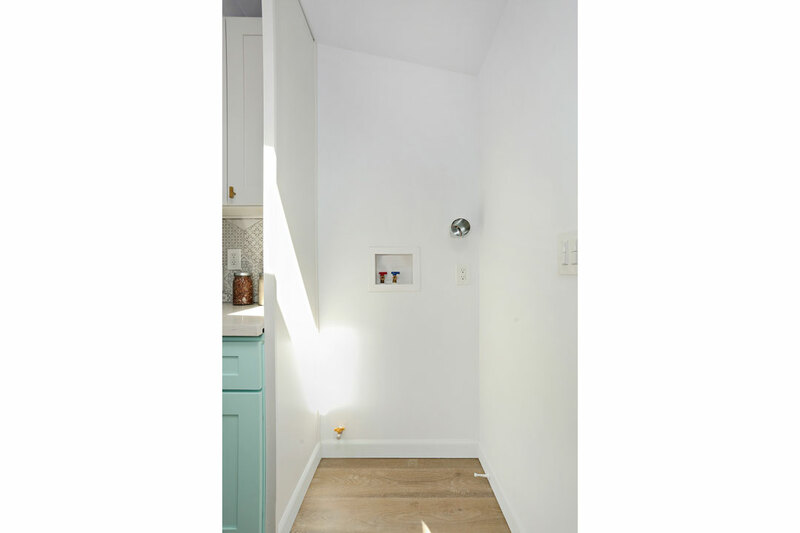 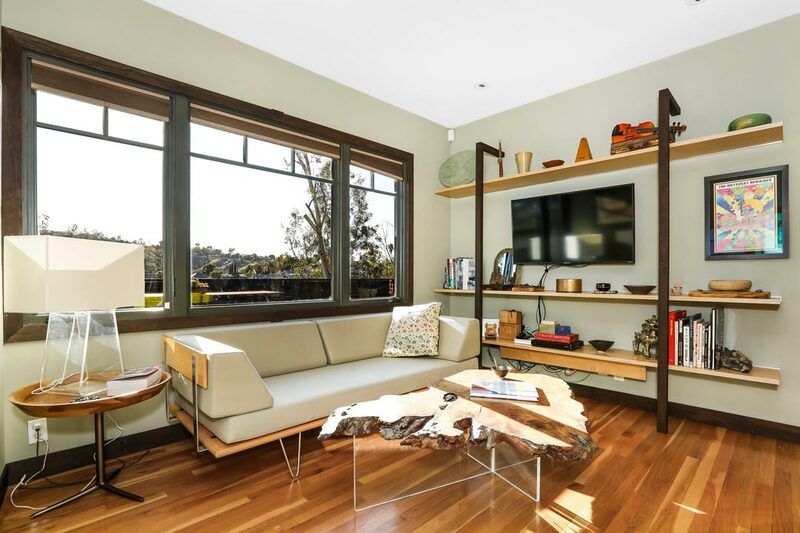 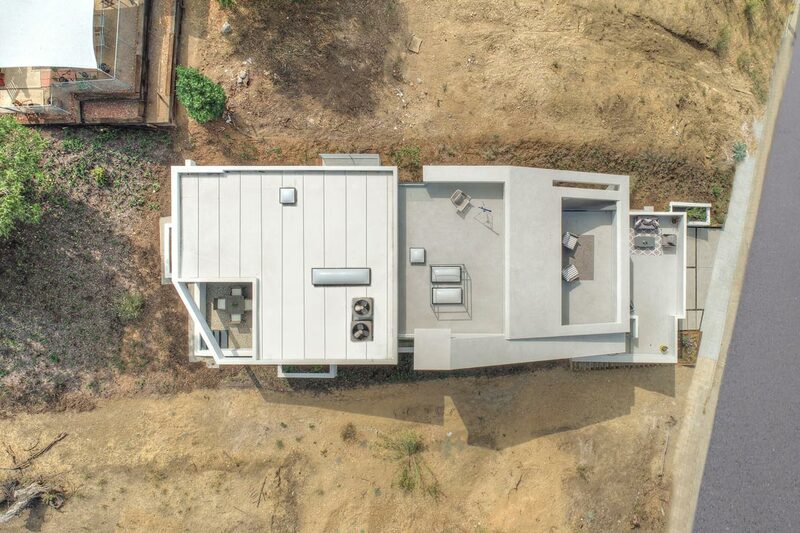 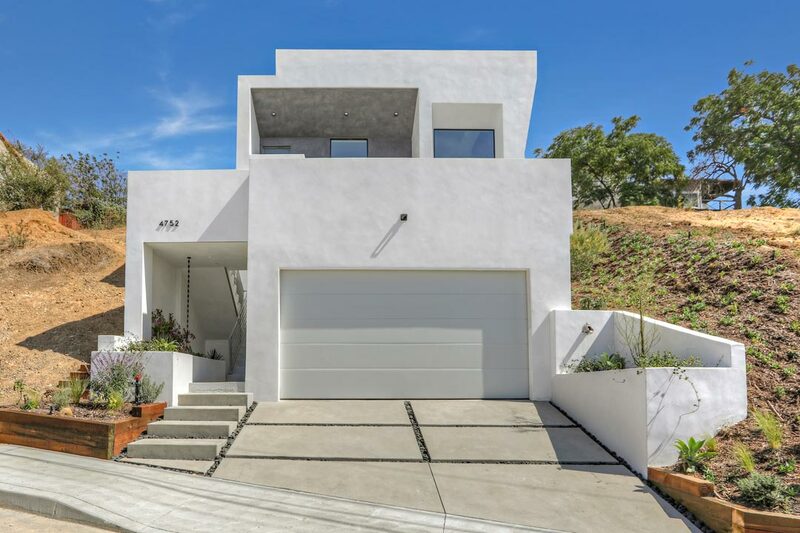 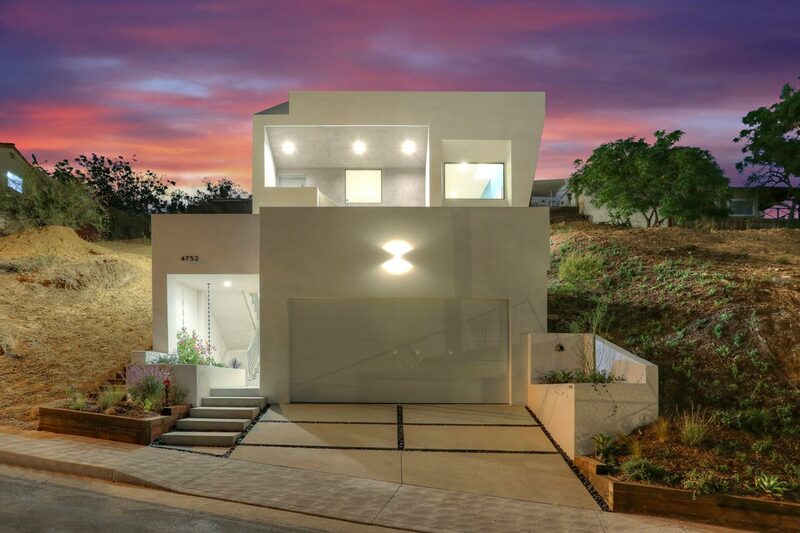 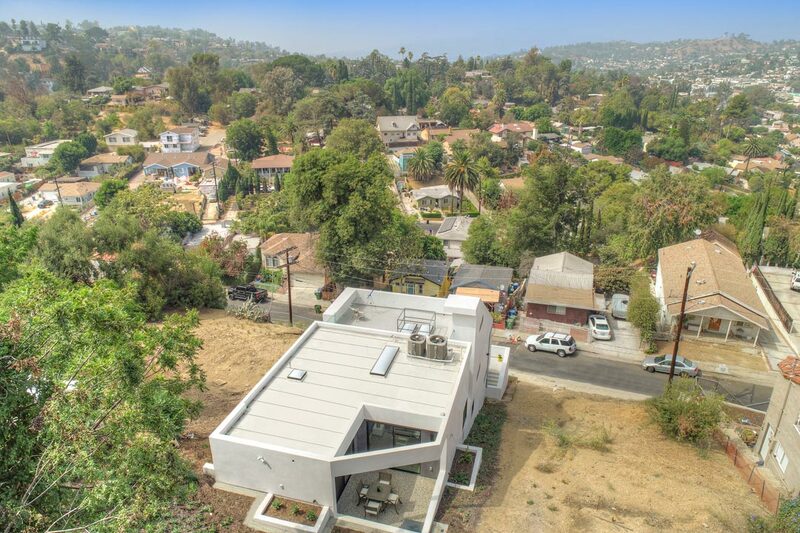 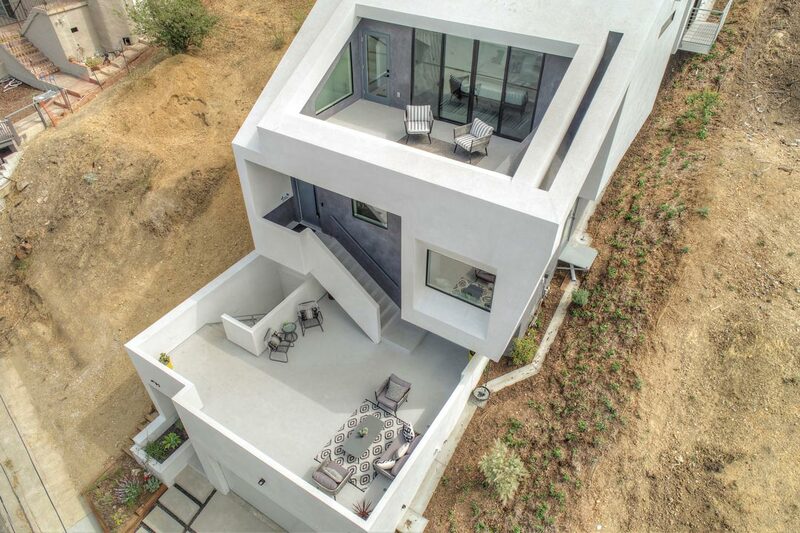 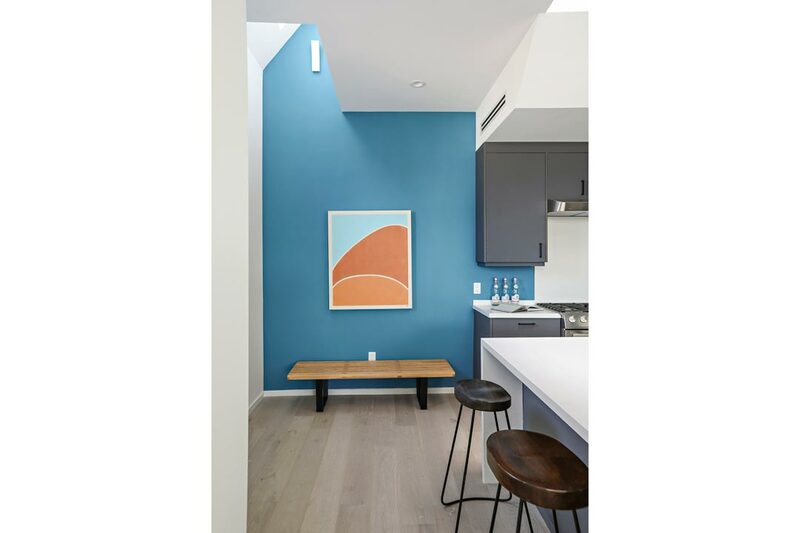 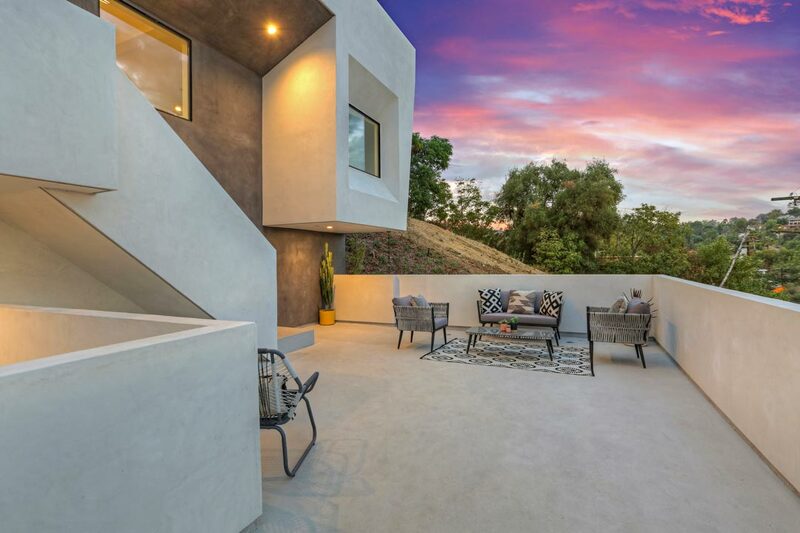 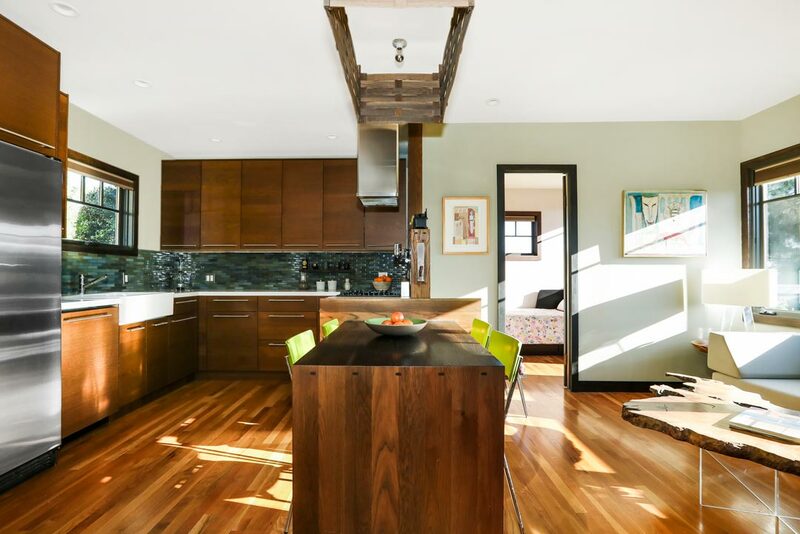 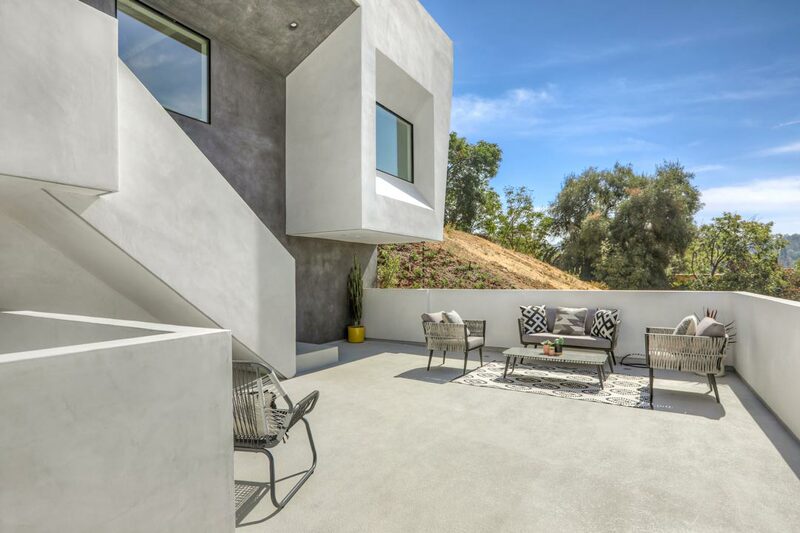 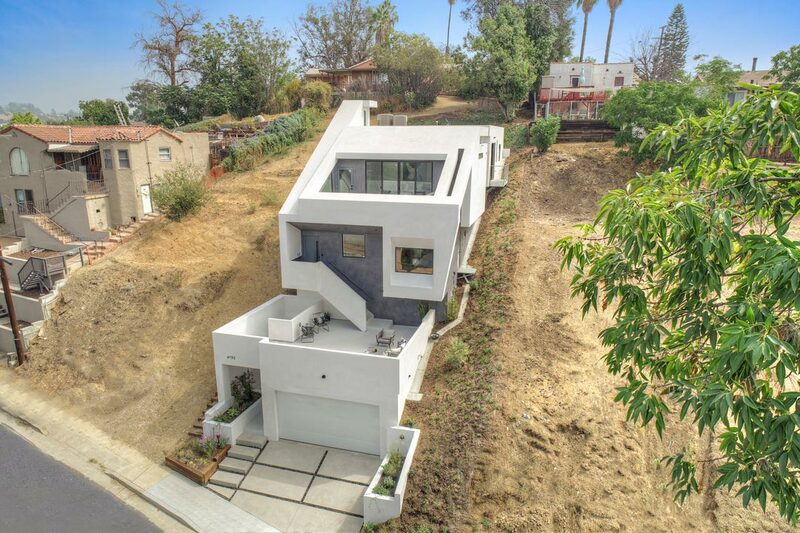 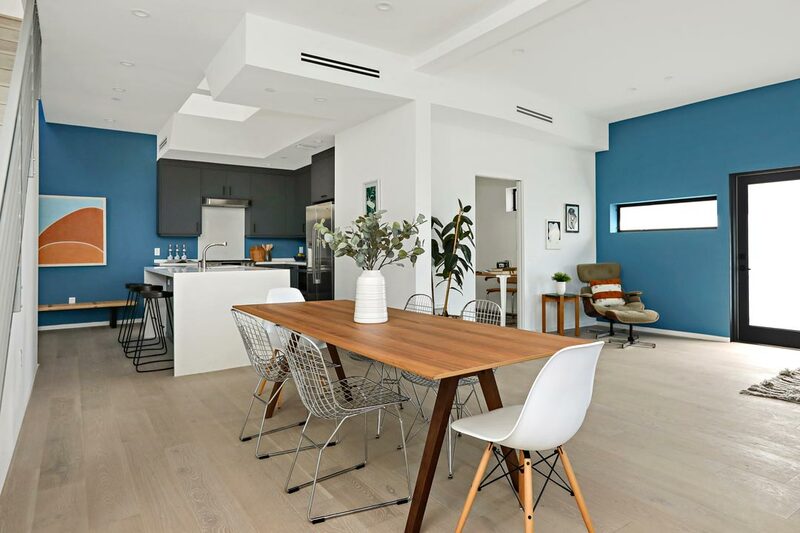 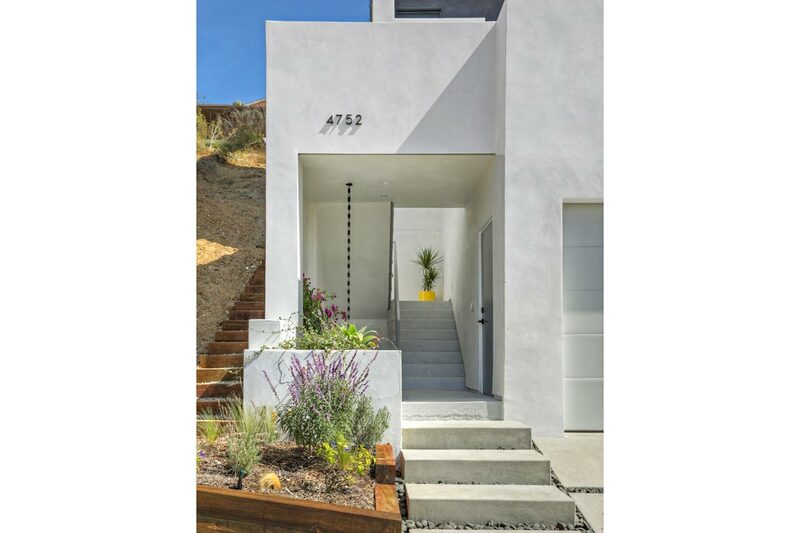 Built in 2018, the corner-lot residence provides three levels of bright, open living space with no shared walls. 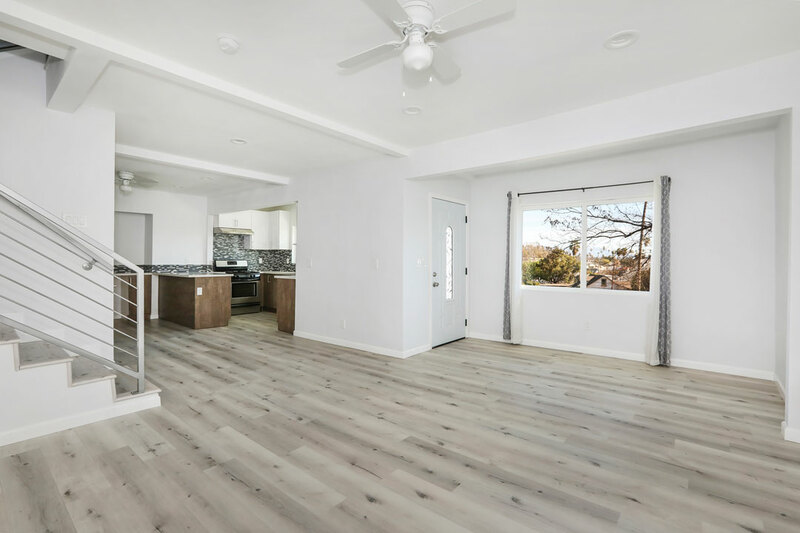 In the generously-proportioned layout find open living and dining with wood flooring and seamless flow to a large balcony. 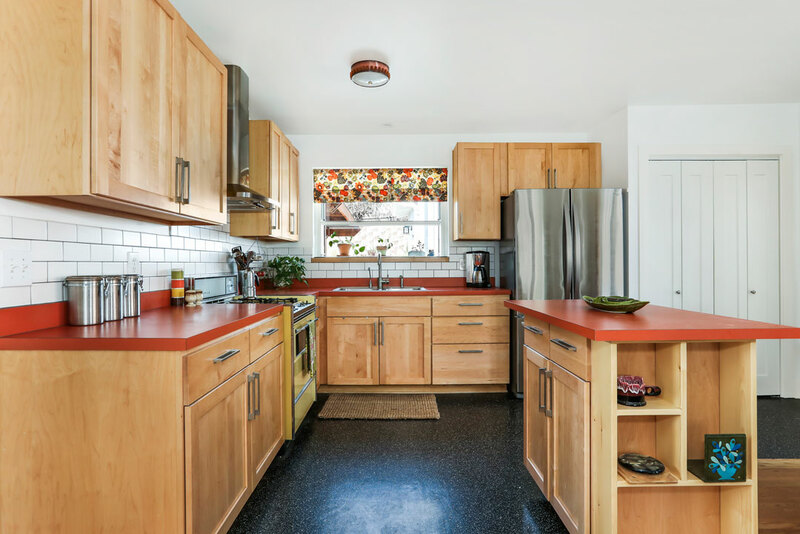 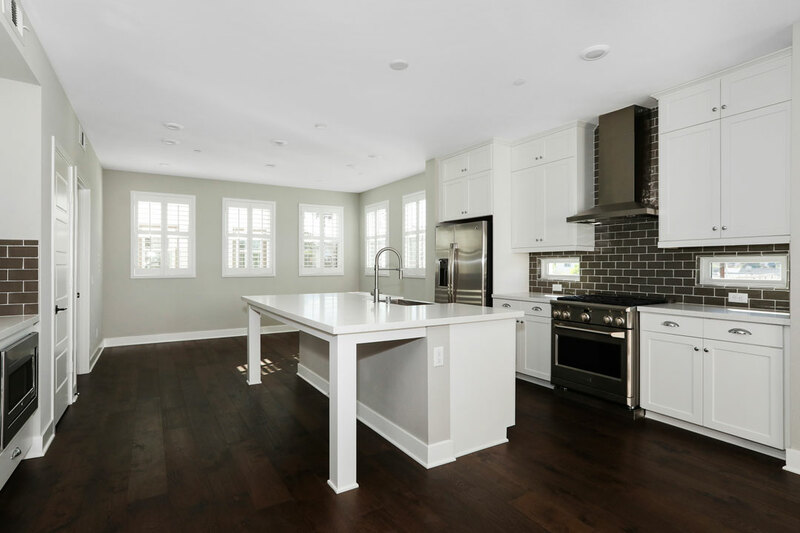 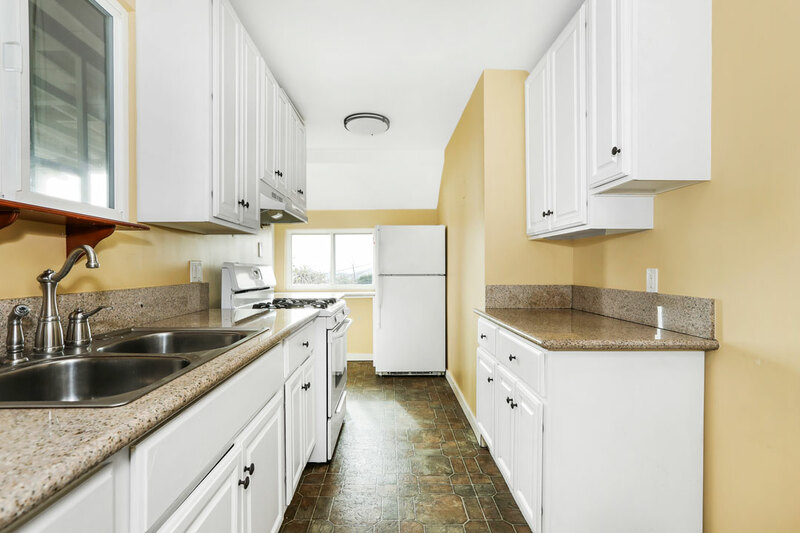 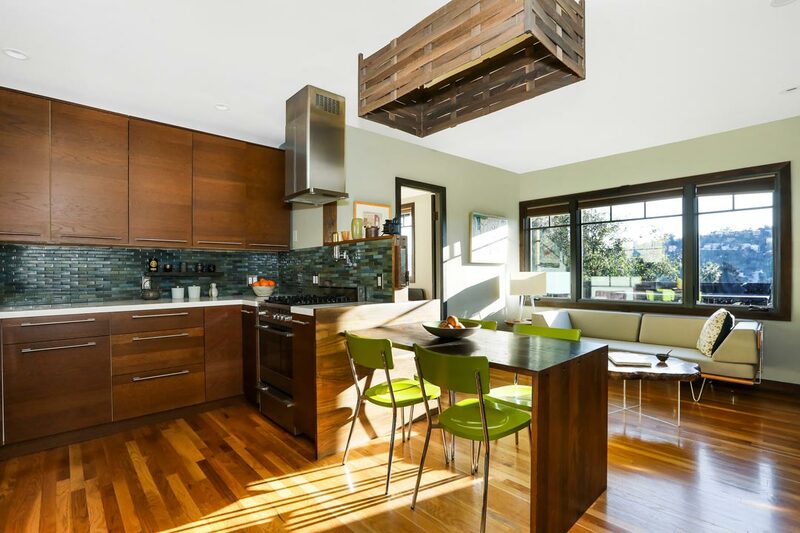 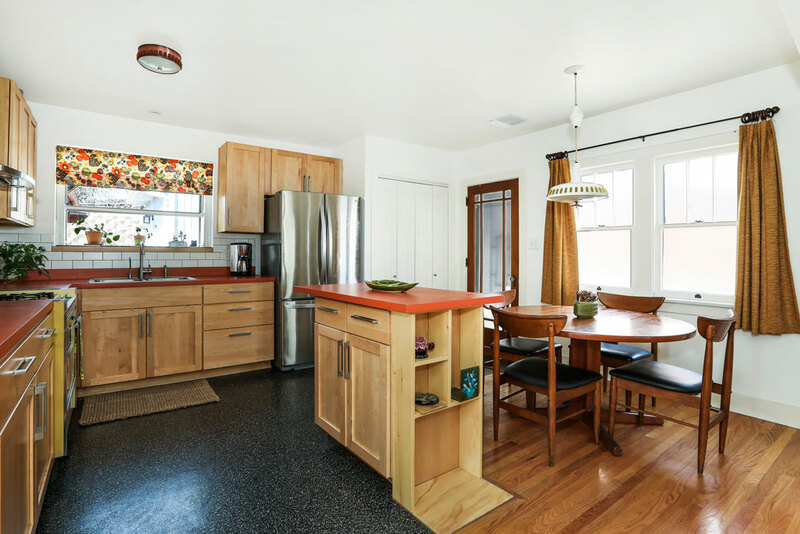 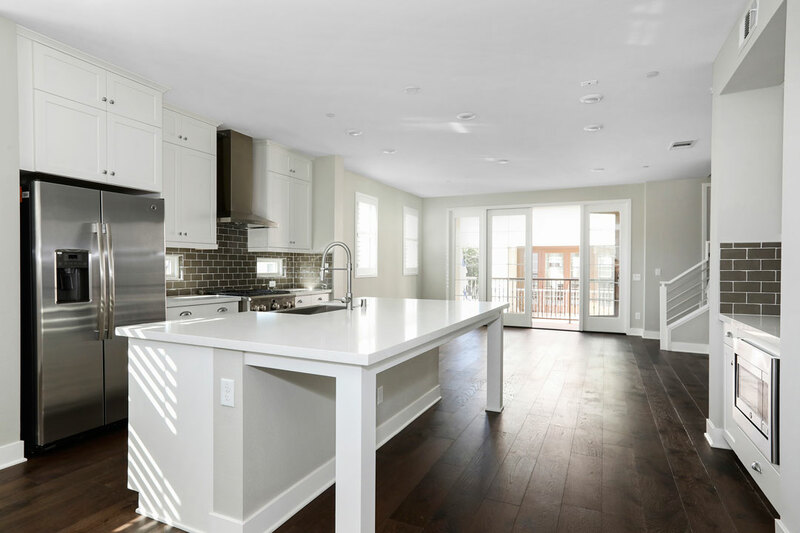 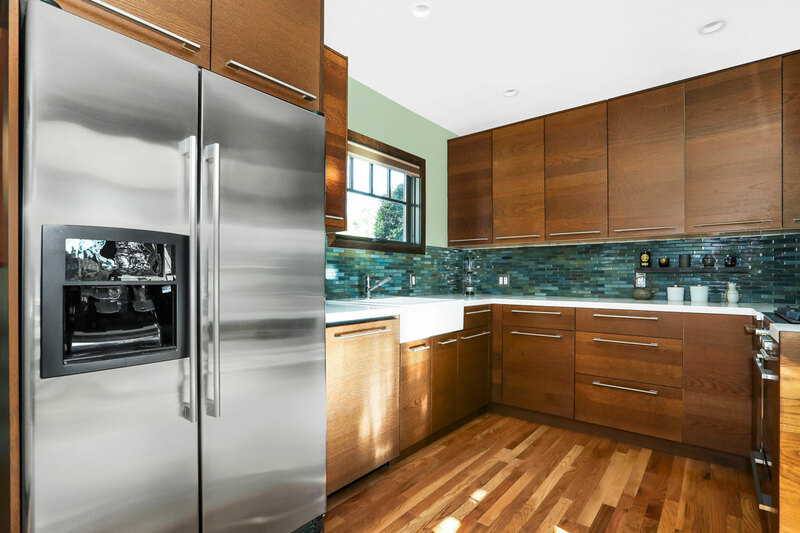 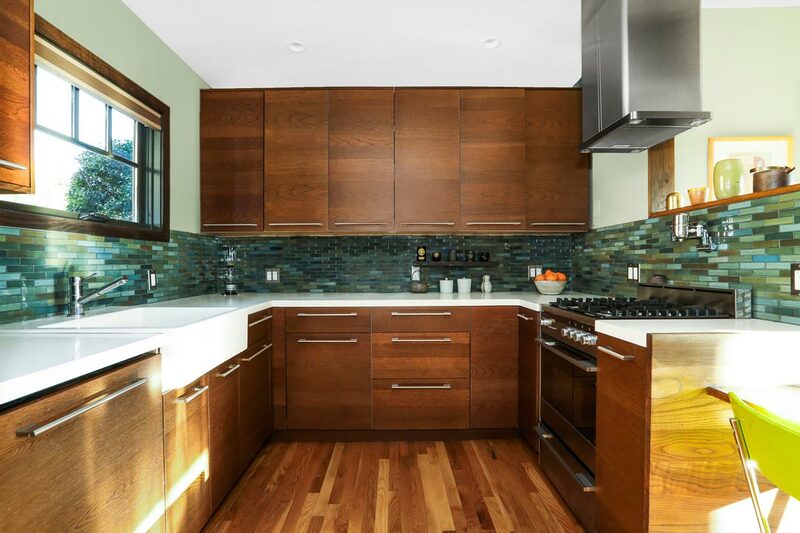 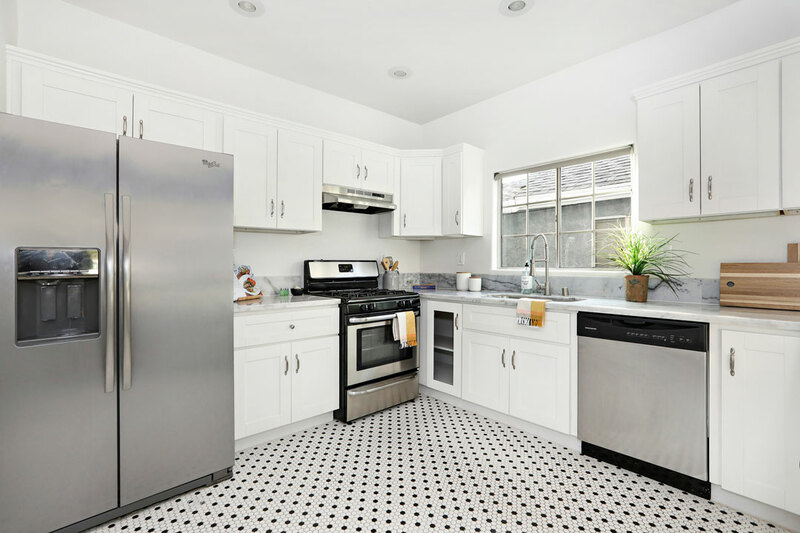 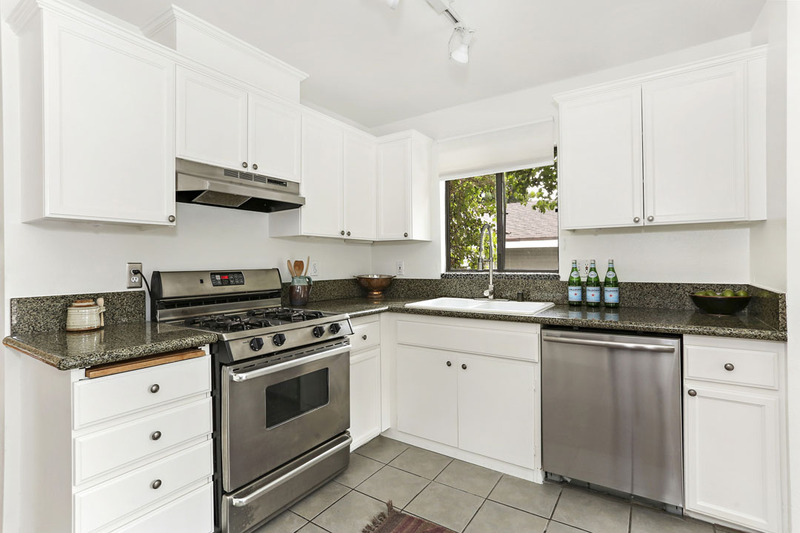 The sunny kitchen features a center island, white cabinets and a stainless steel appliance suite. 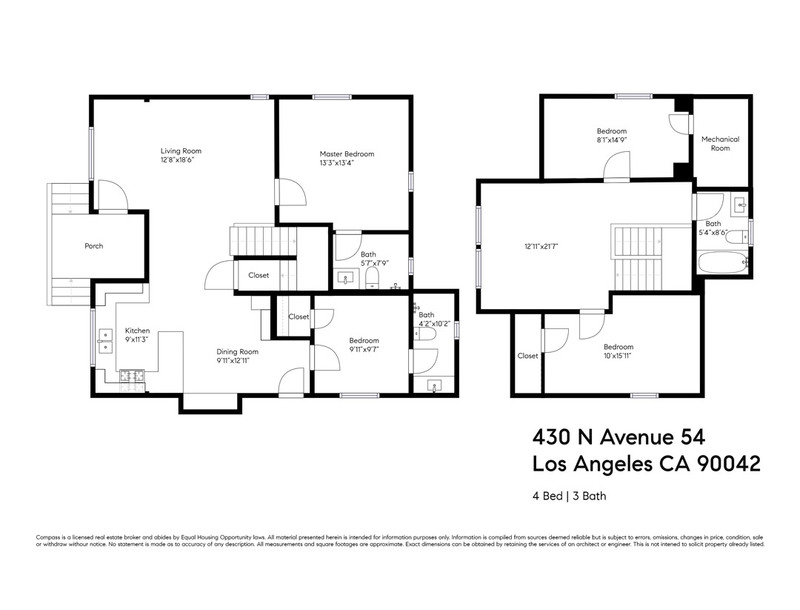 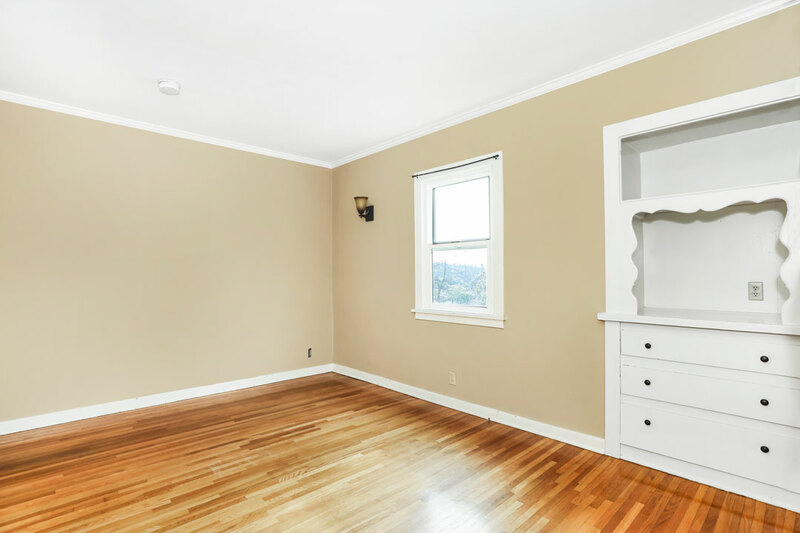 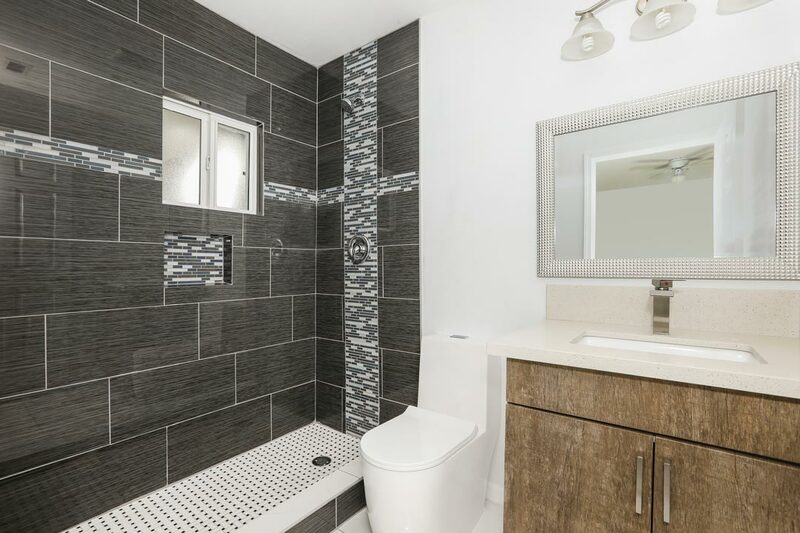 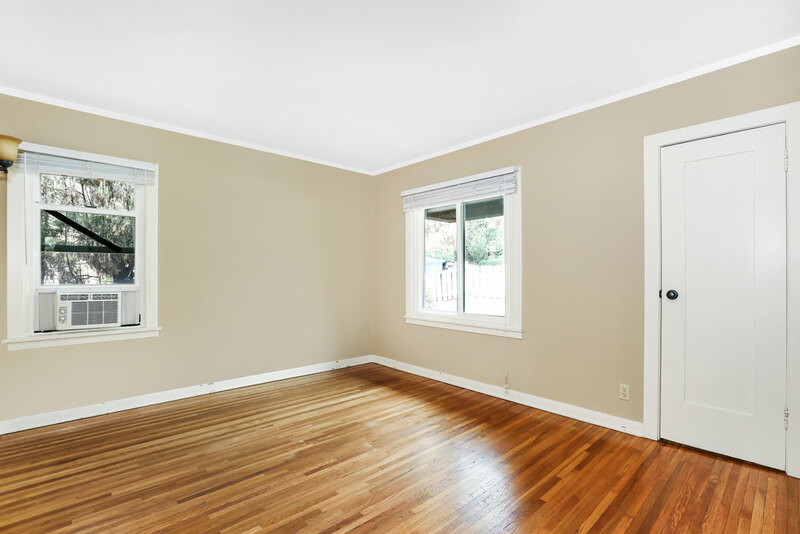 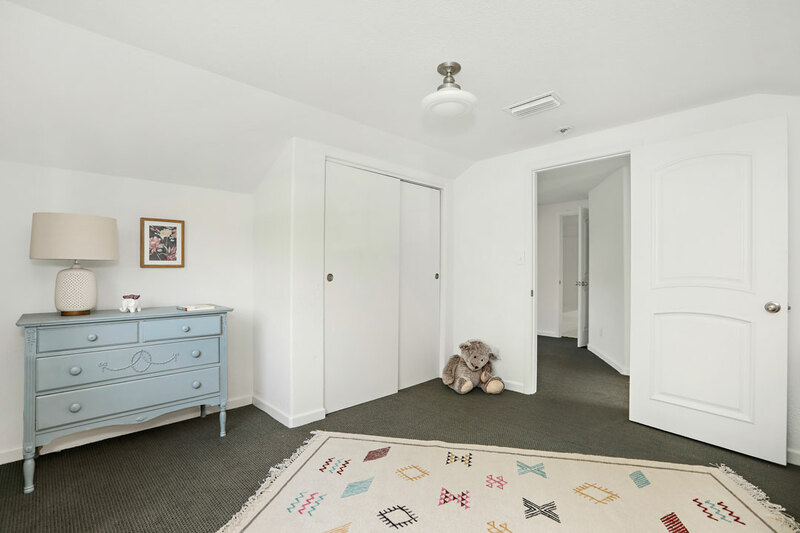 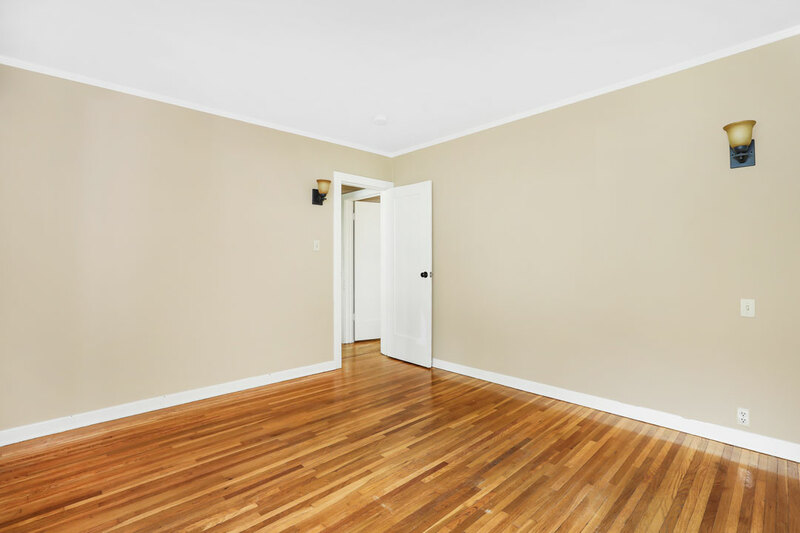 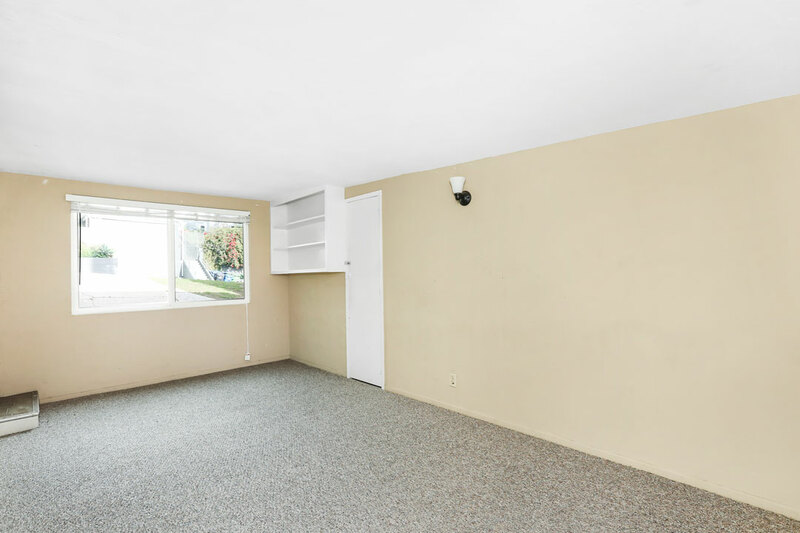 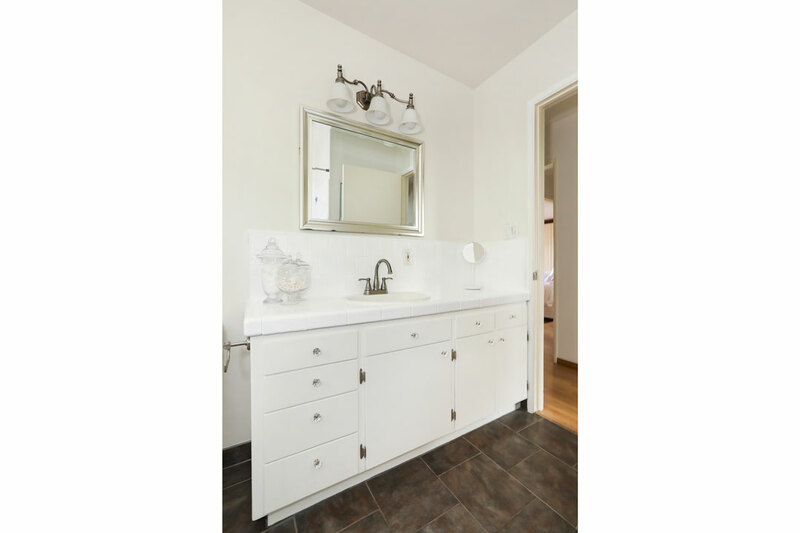 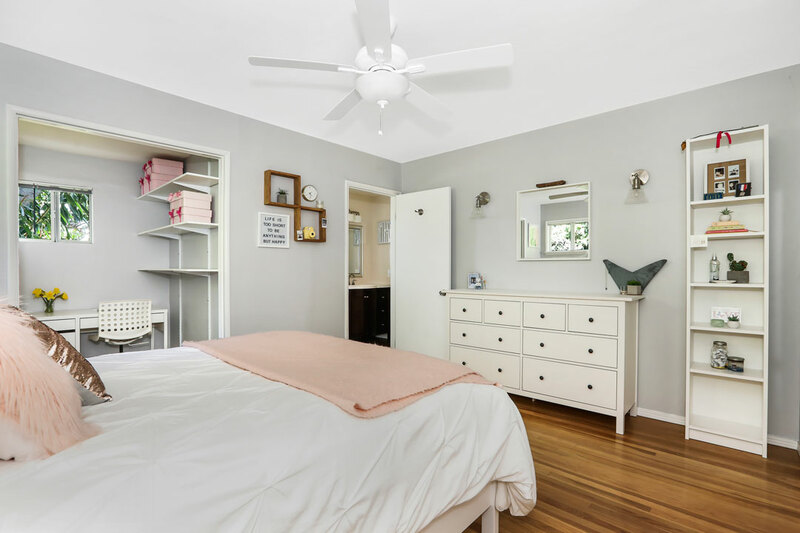 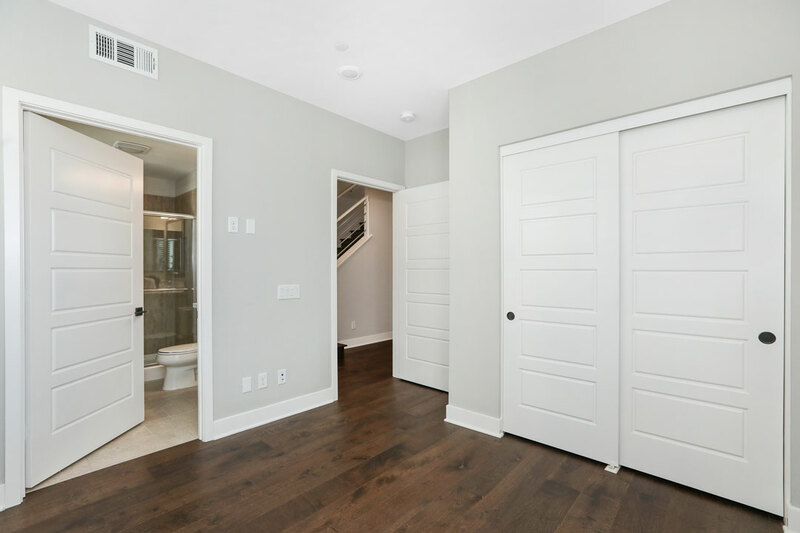 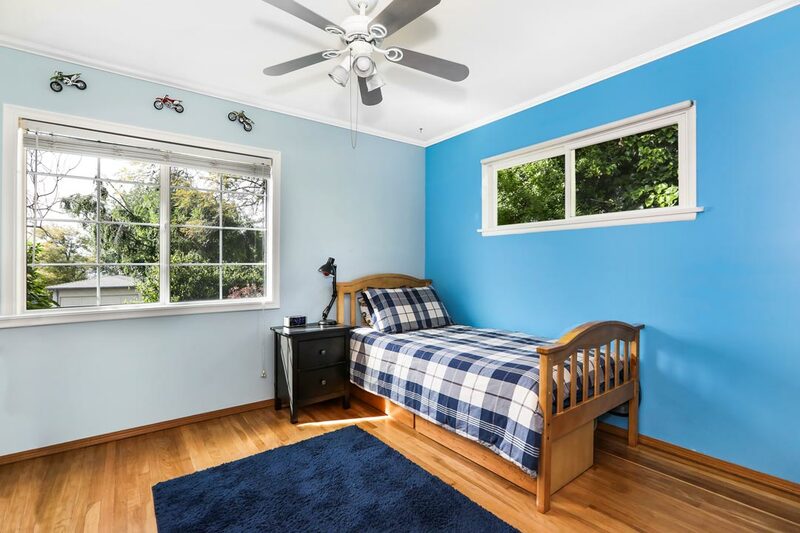 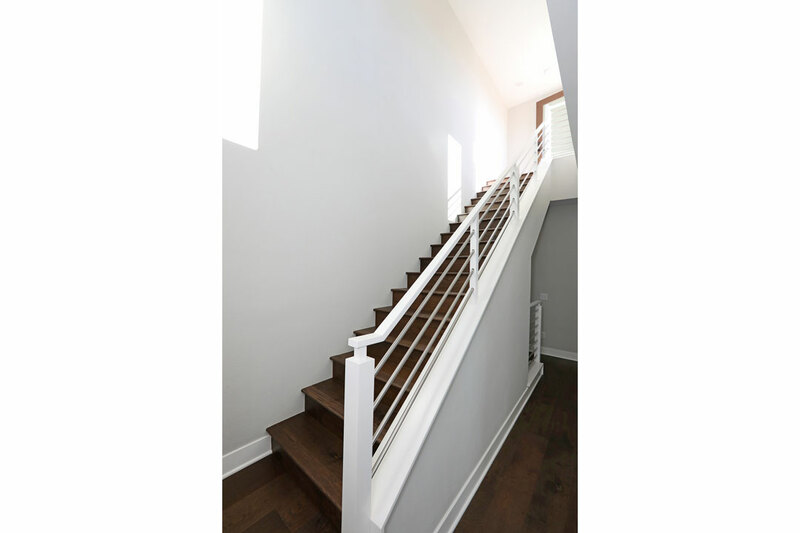 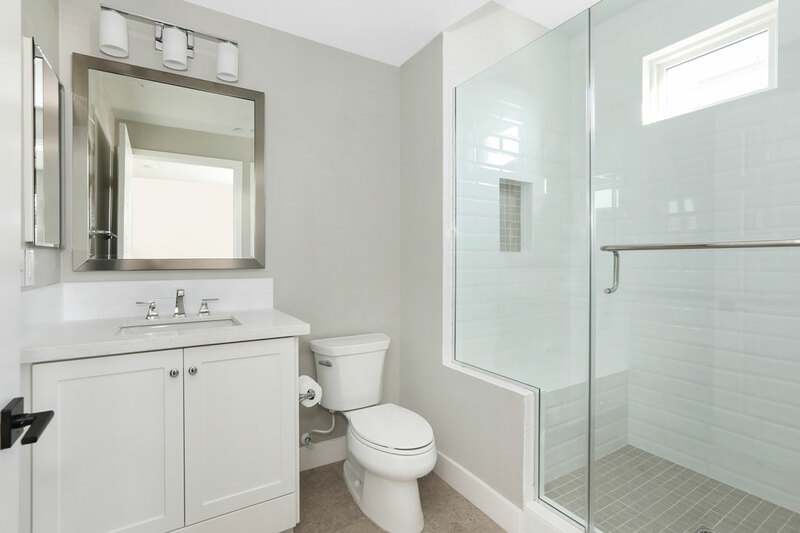 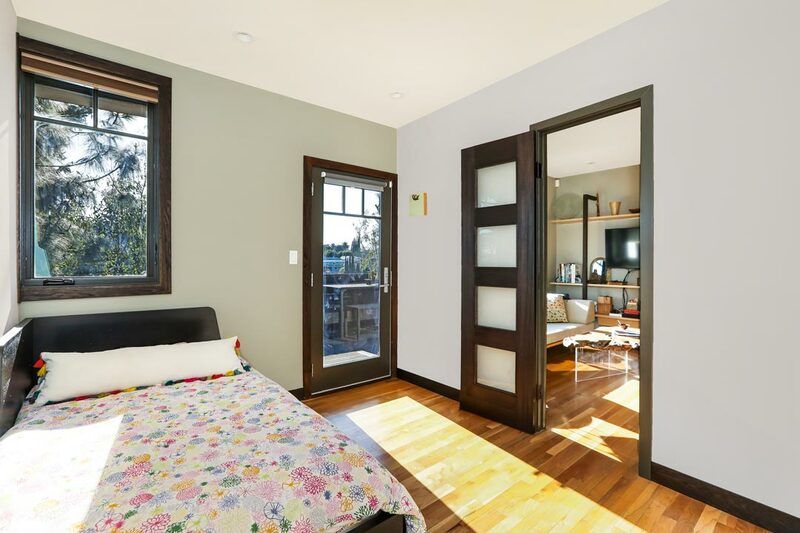 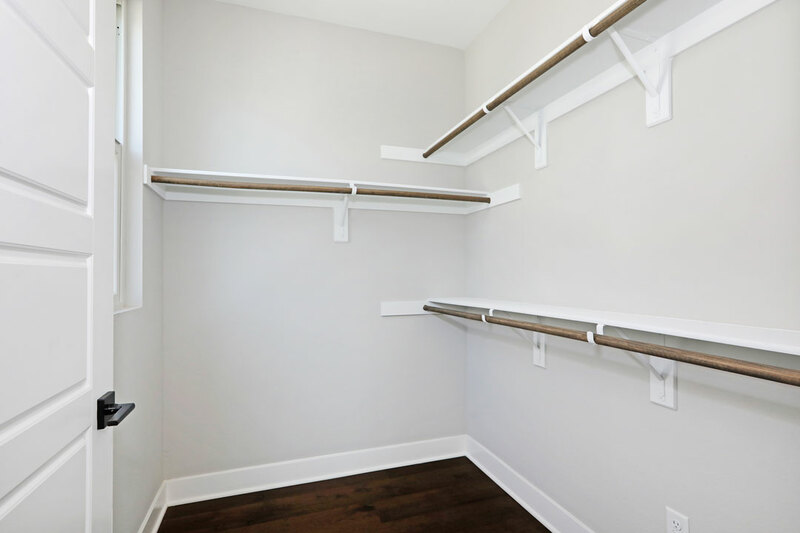 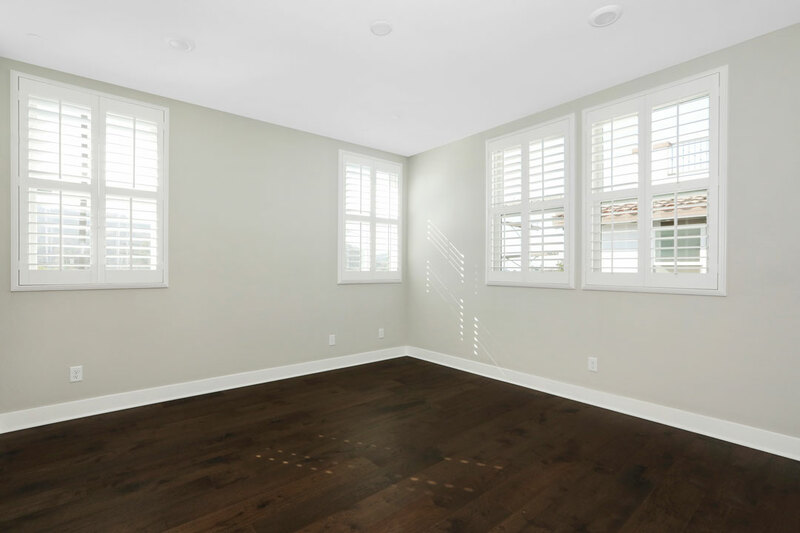 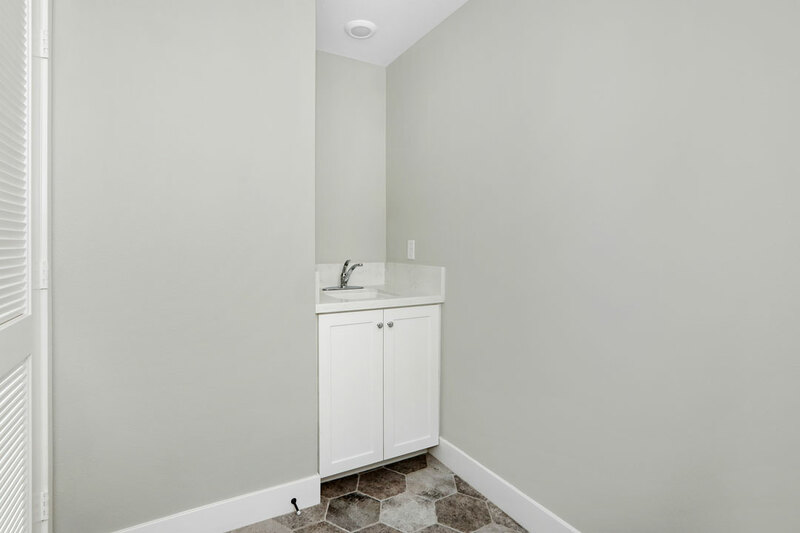 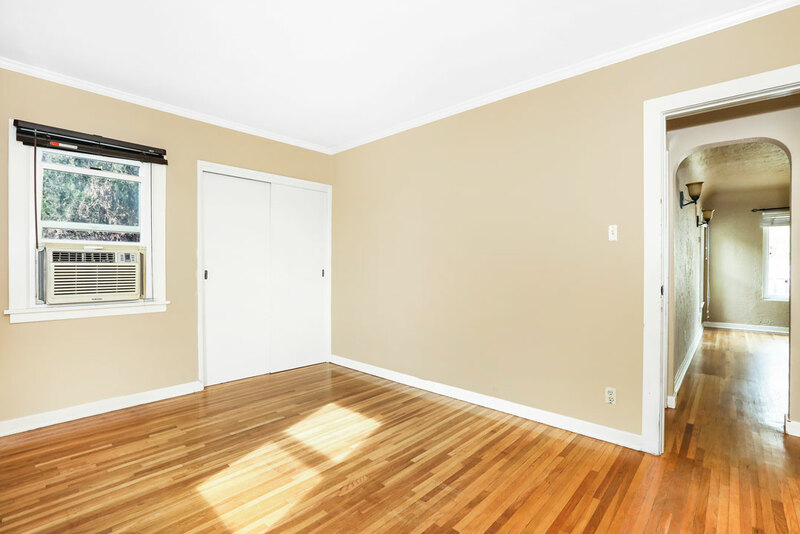 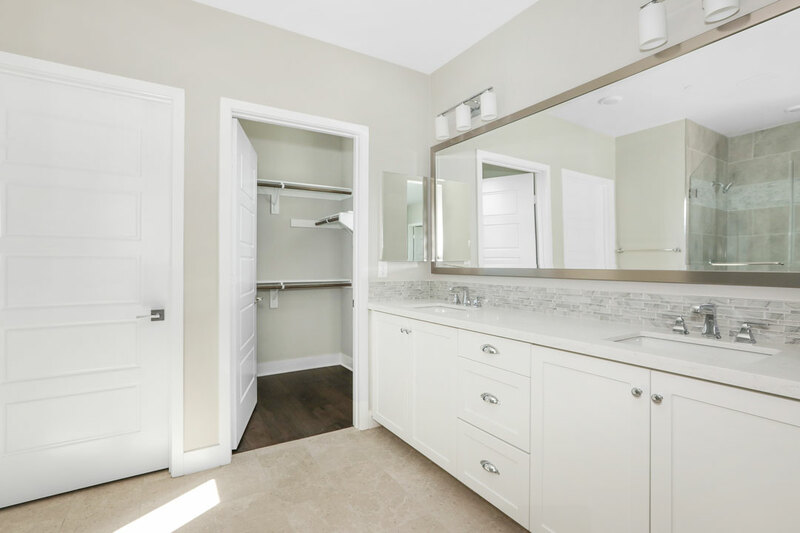 All three bedrooms are ensuite including the spacious Master with a walk-in closet. 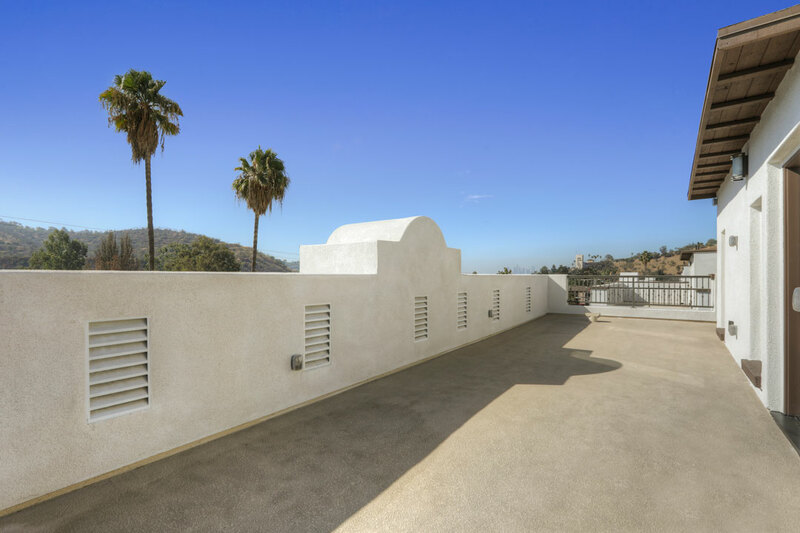 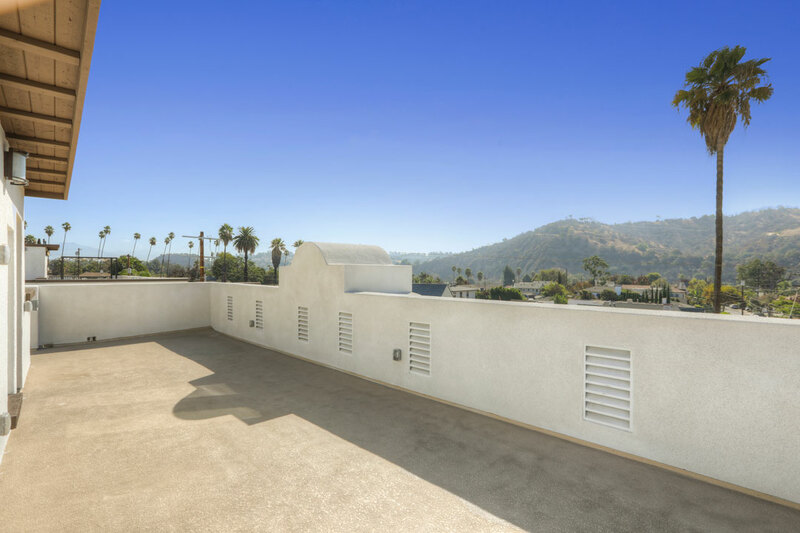 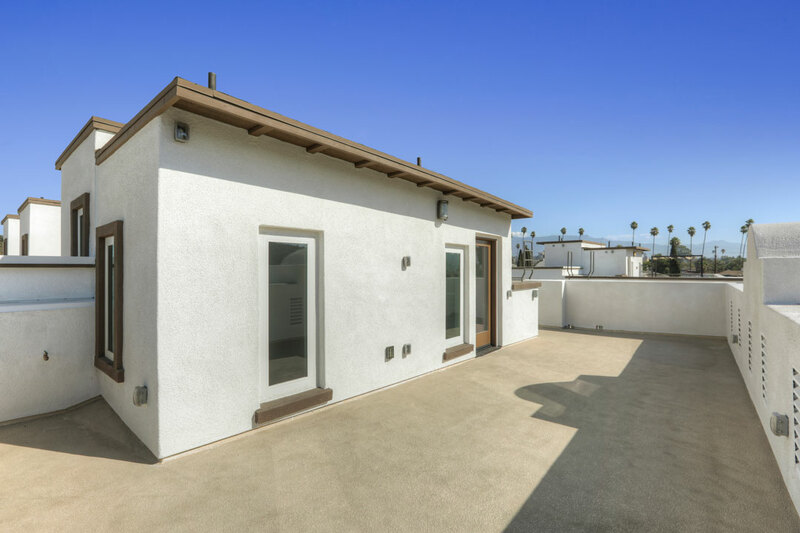 The rooftop deck commands gorgeous views of hillsides and city lights, an ideal perch for dining and play. 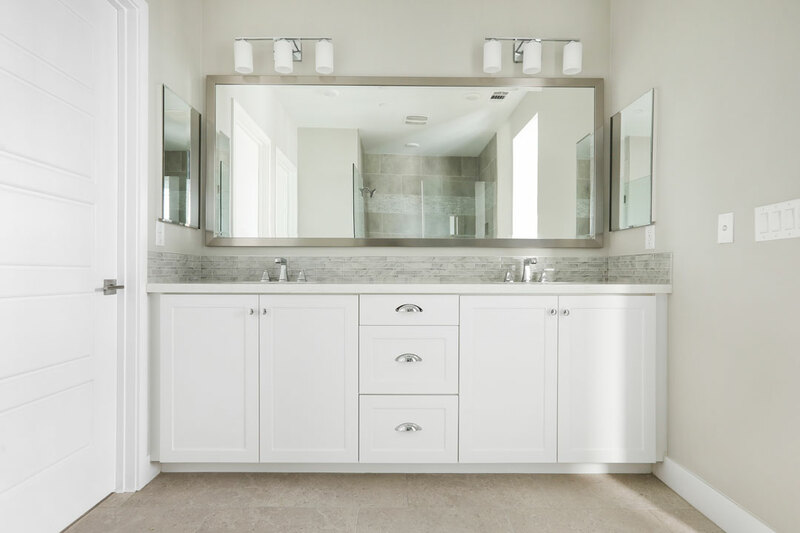 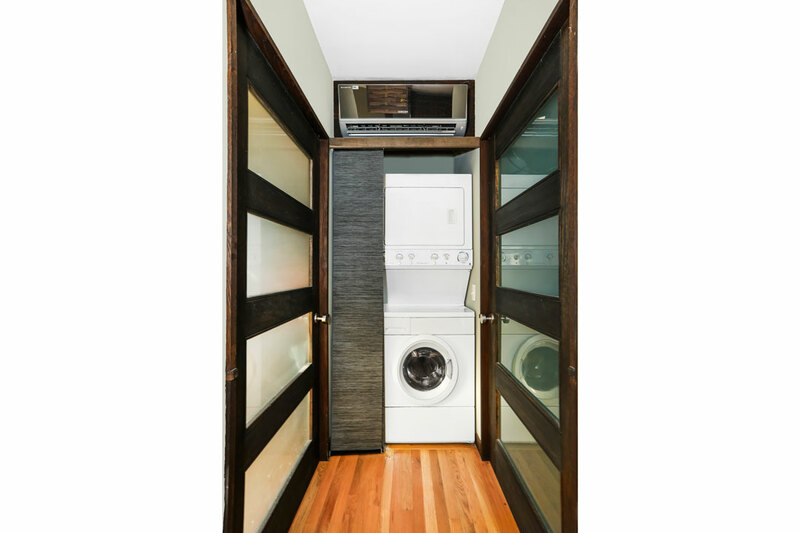 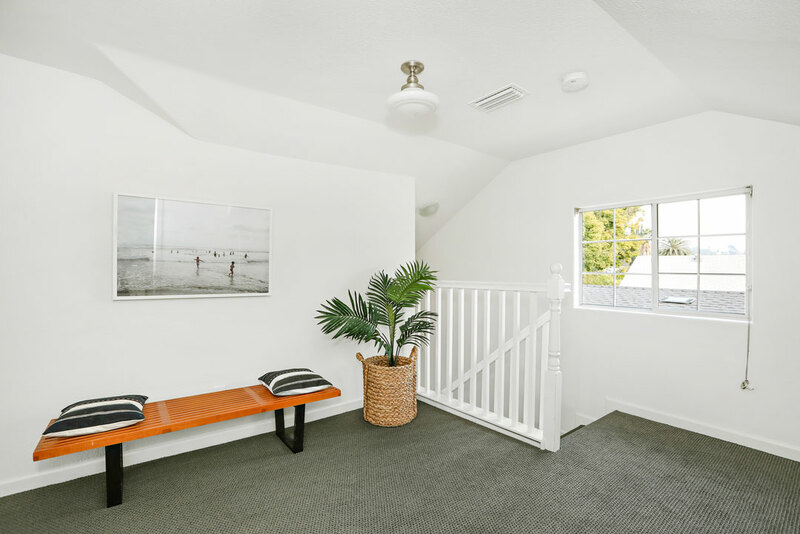 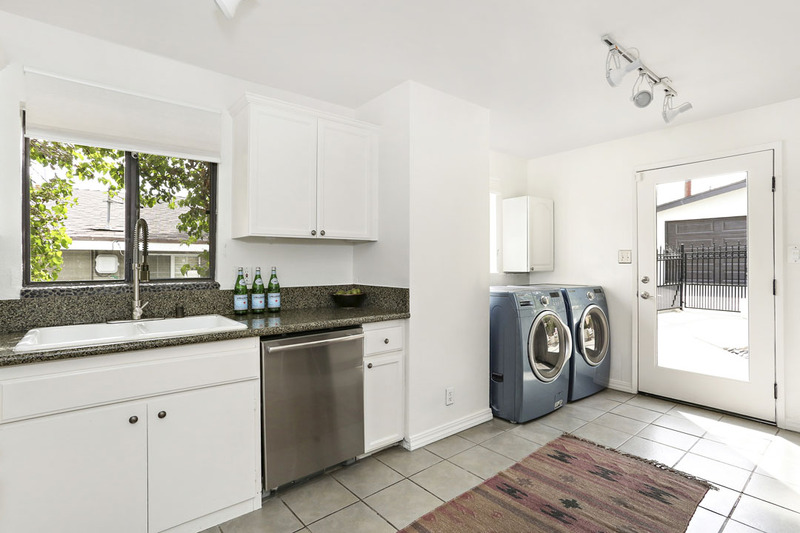 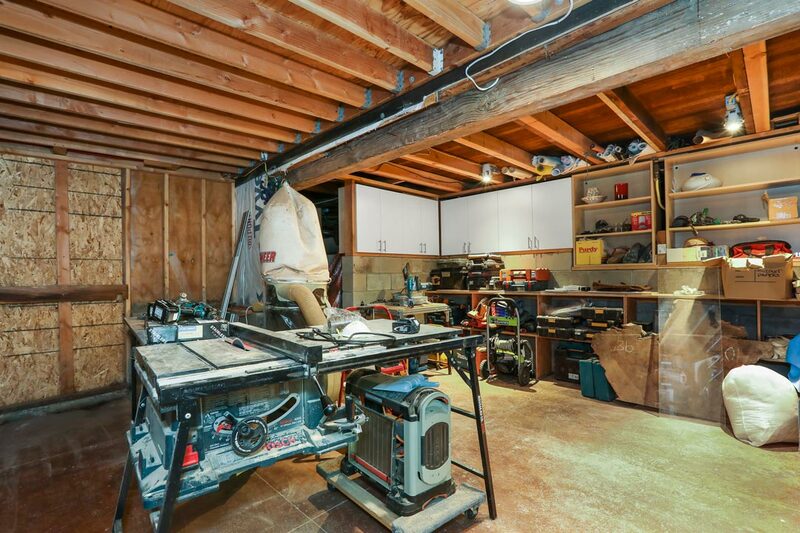 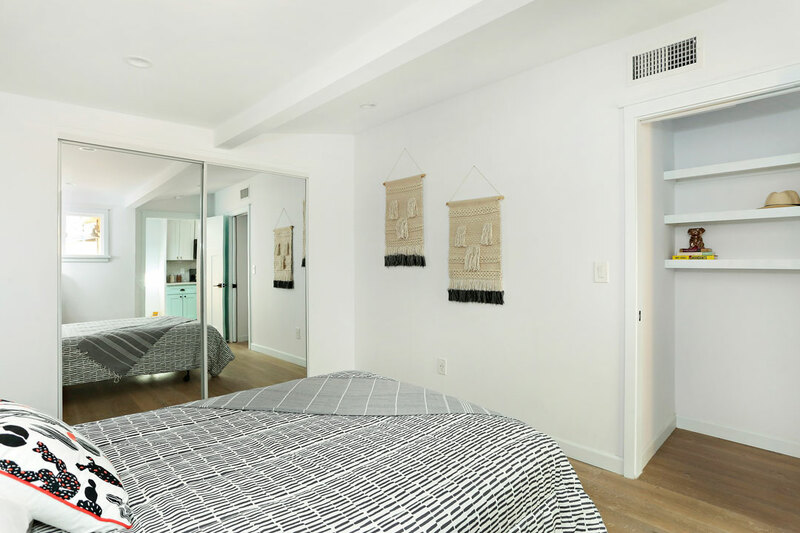 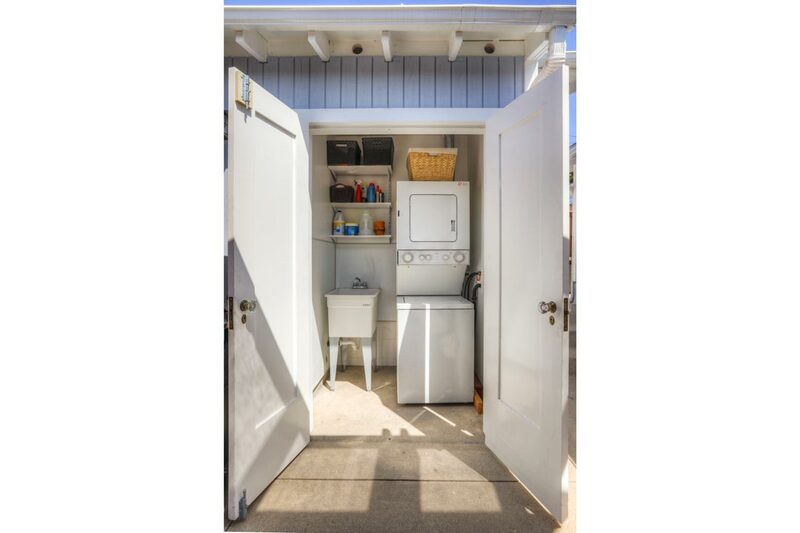 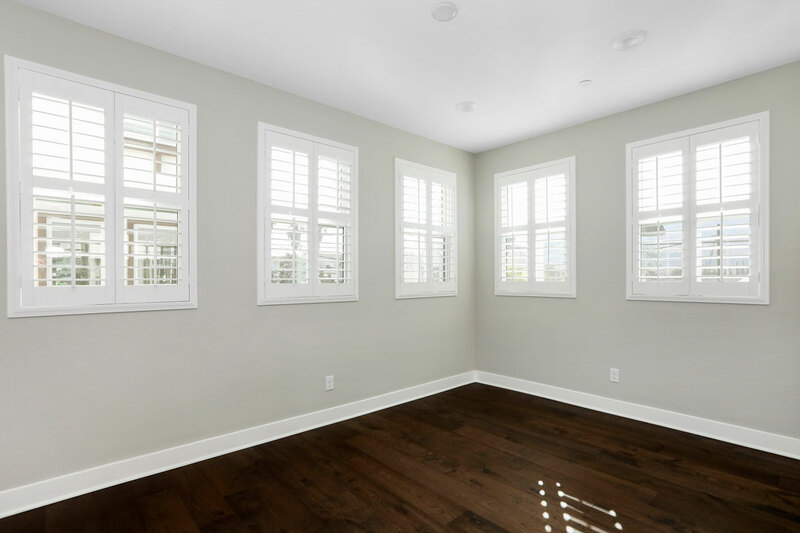 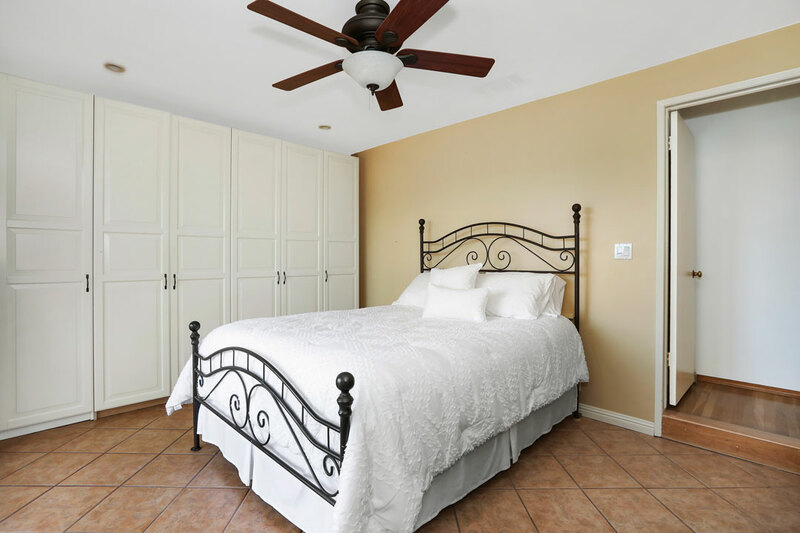 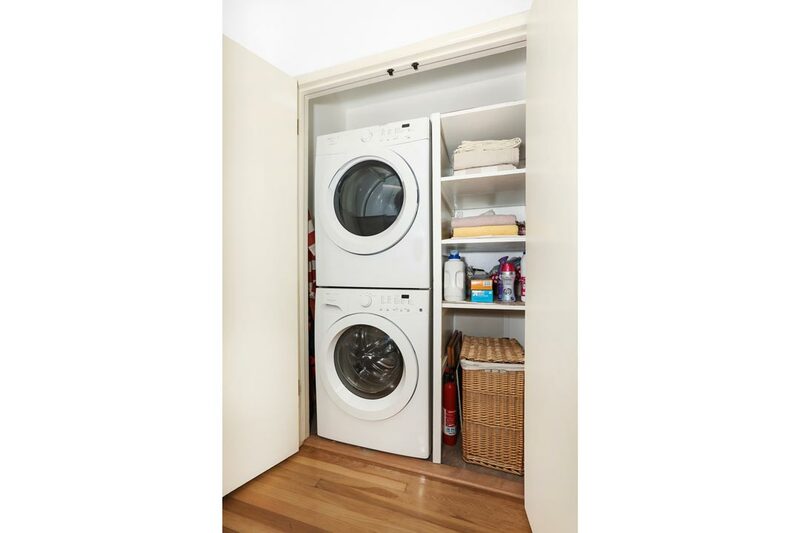 The home is equipped with a two-car garage, in-unit laundry, central heat + a/c and a smart home automation system. 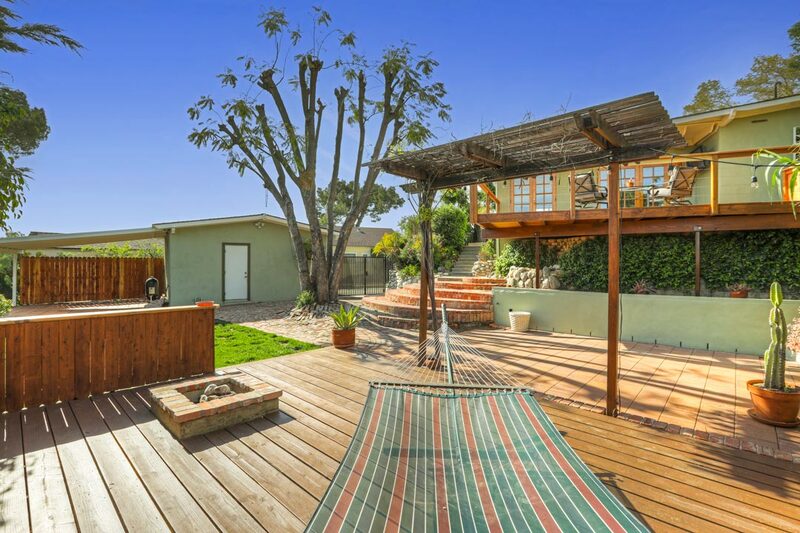 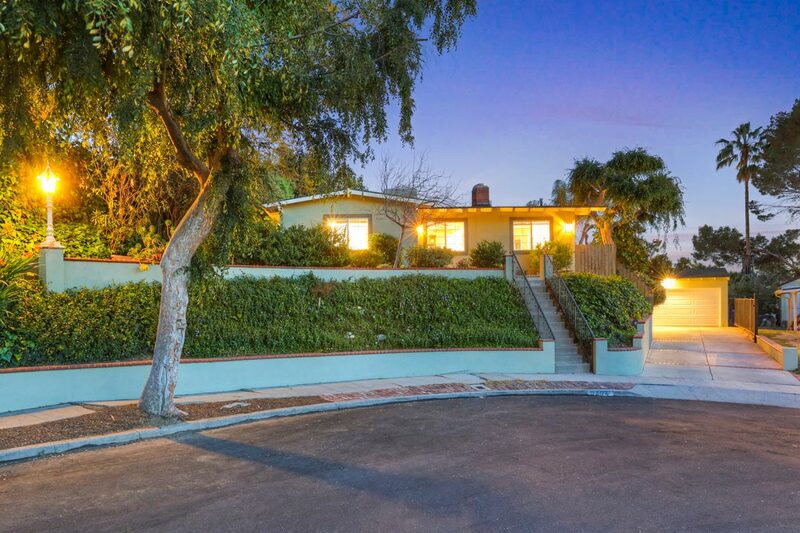 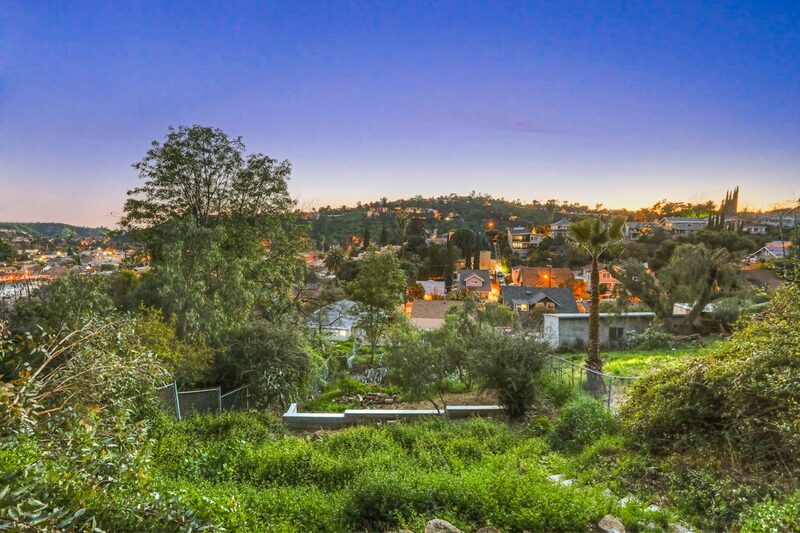 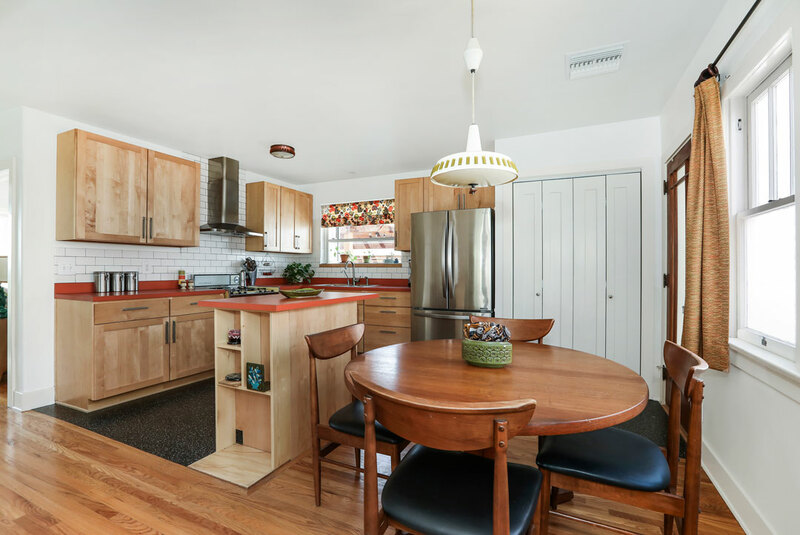 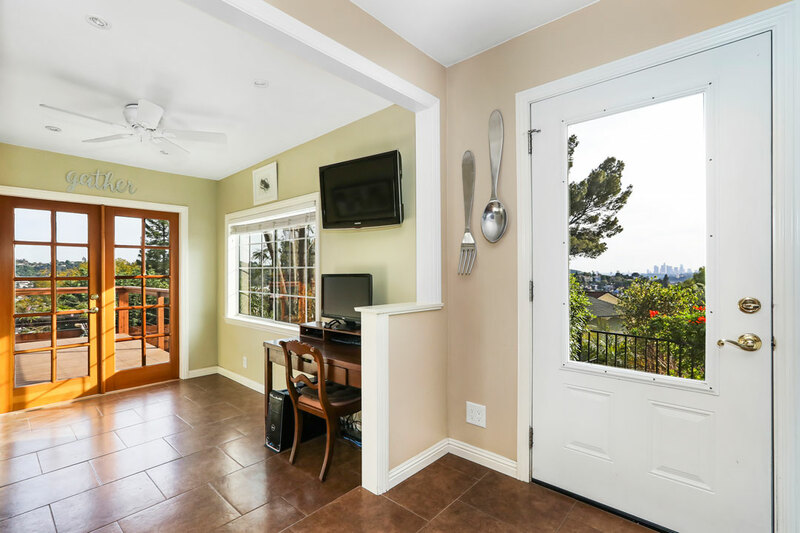 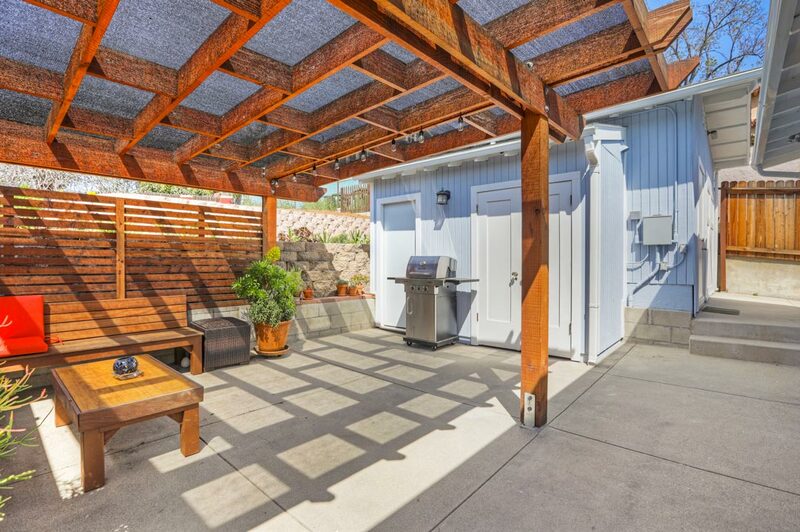 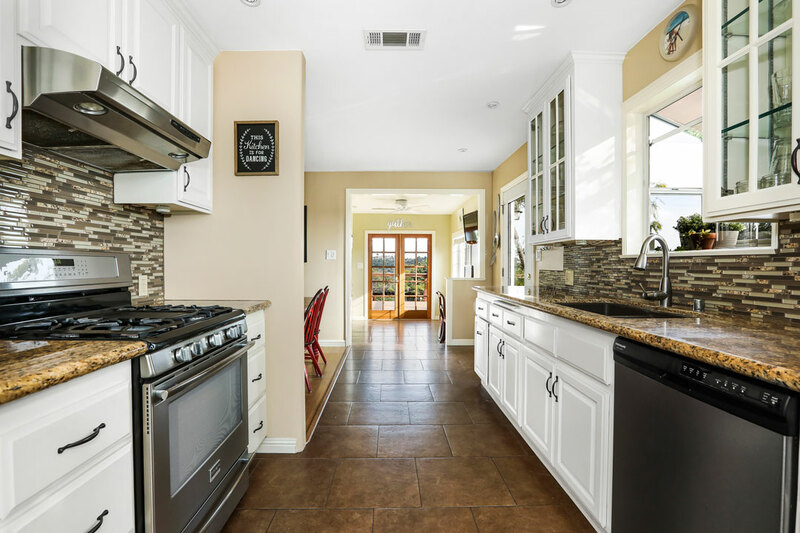 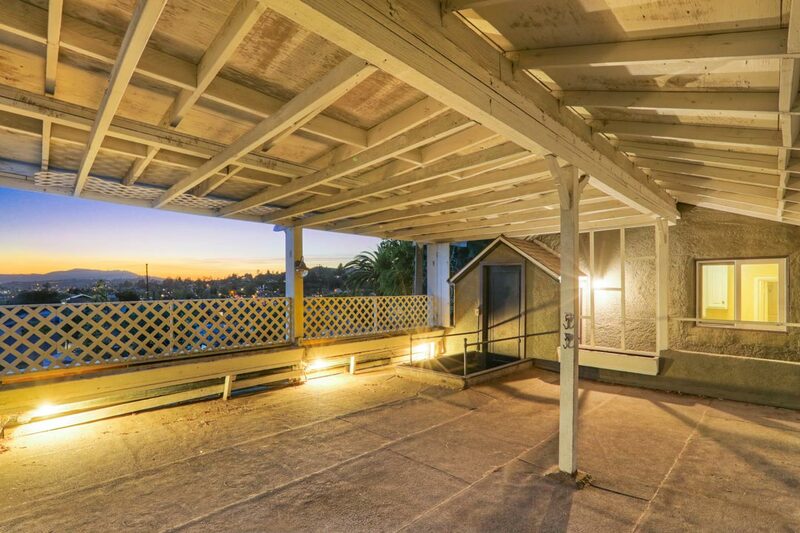 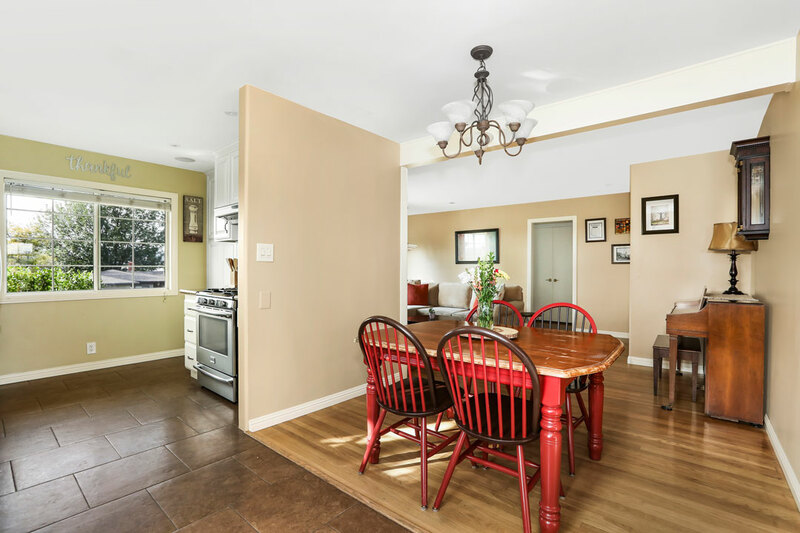 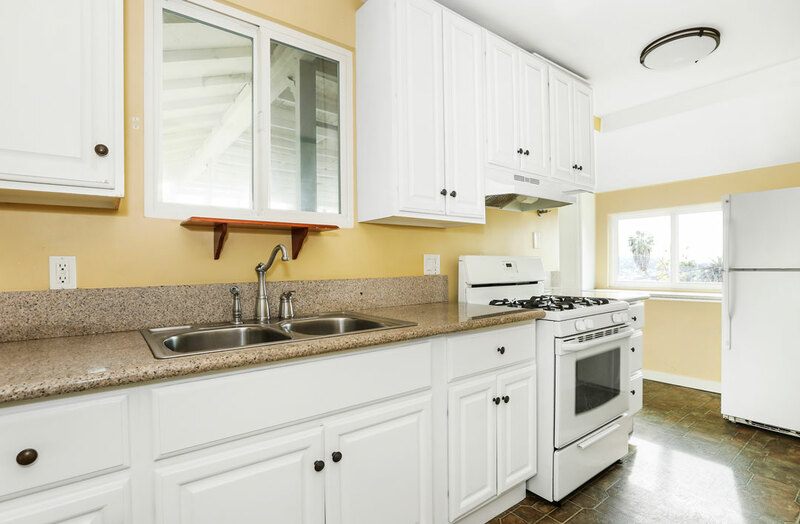 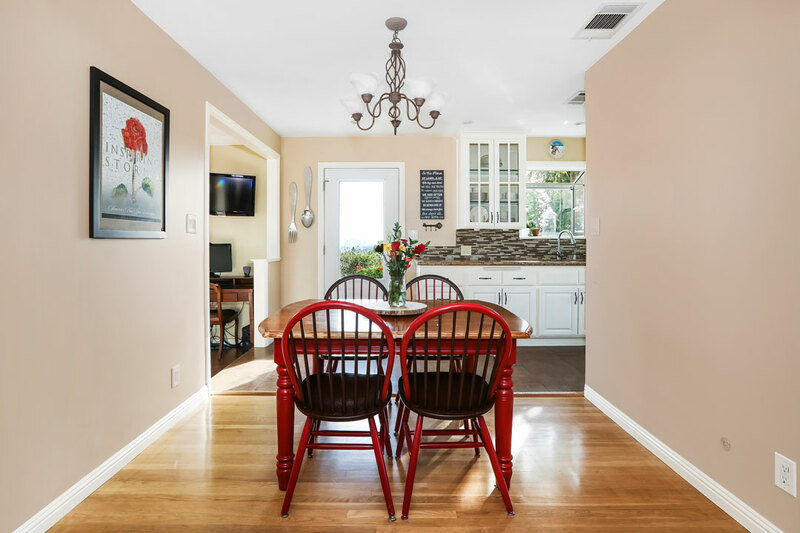 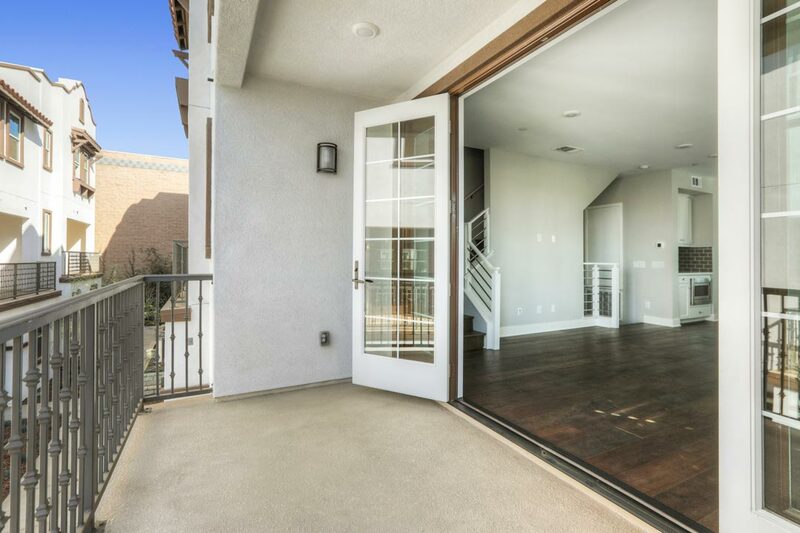 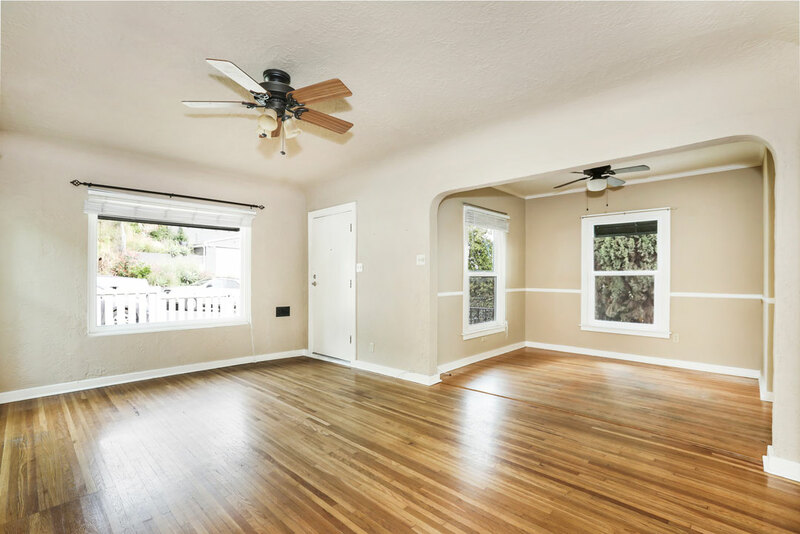 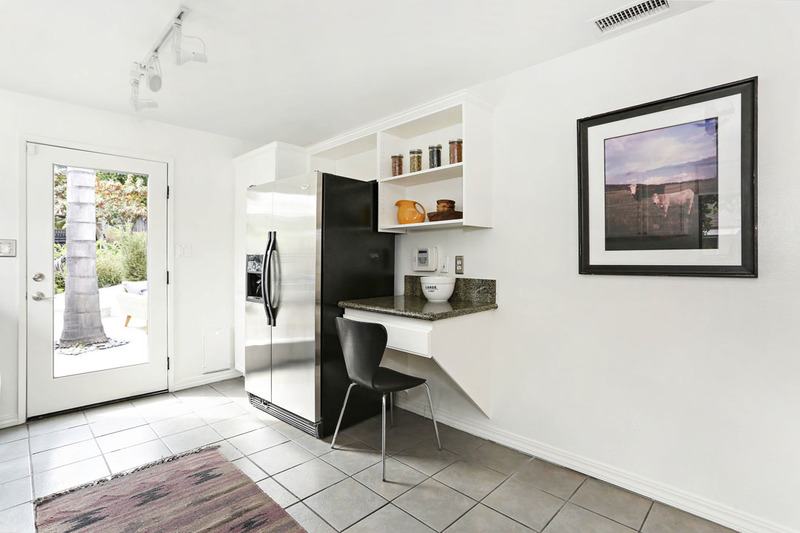 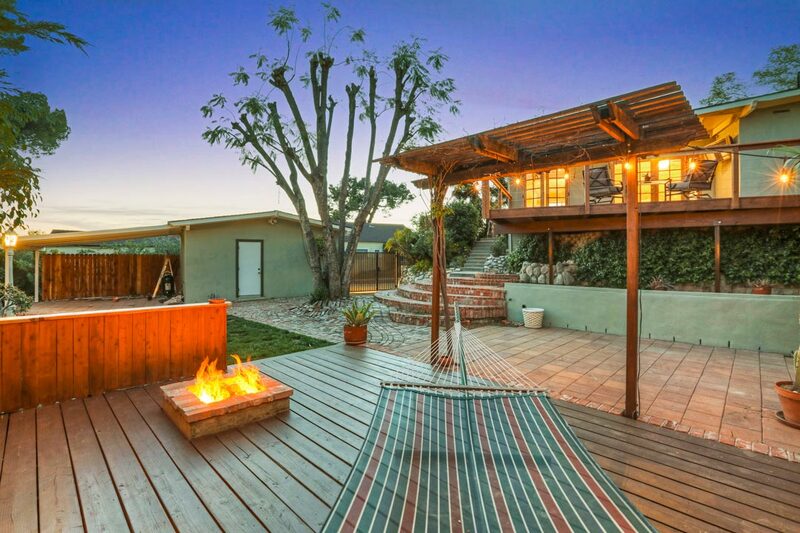 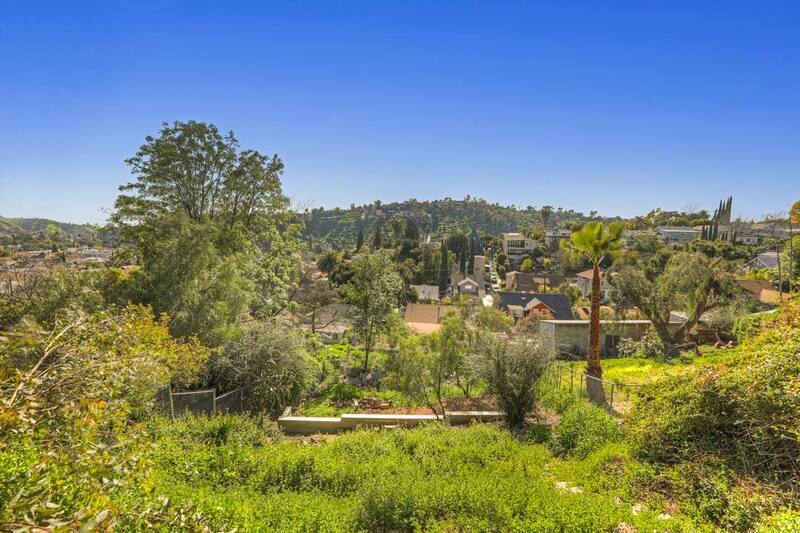 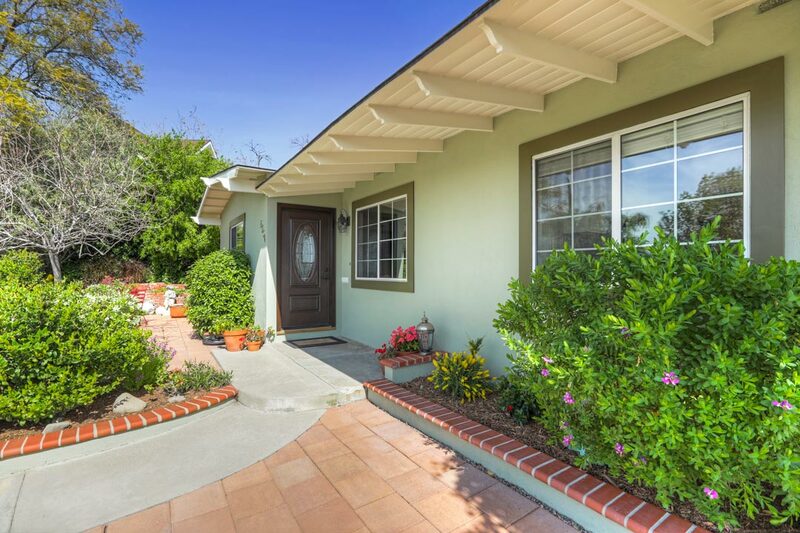 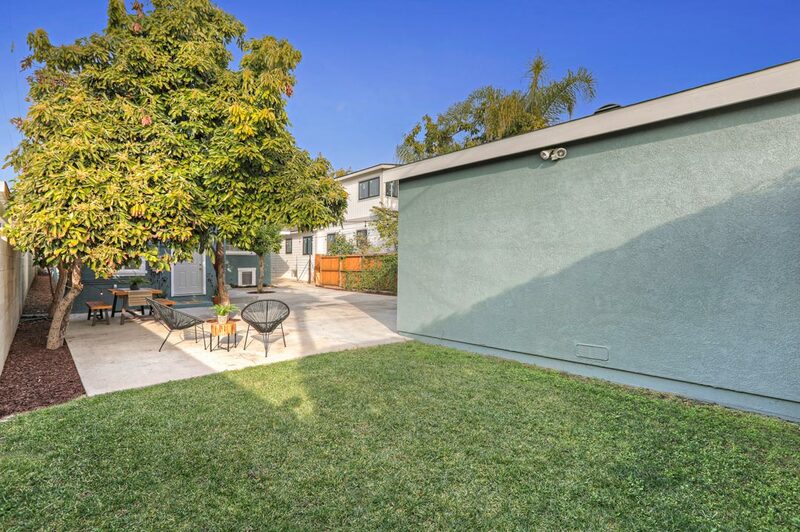 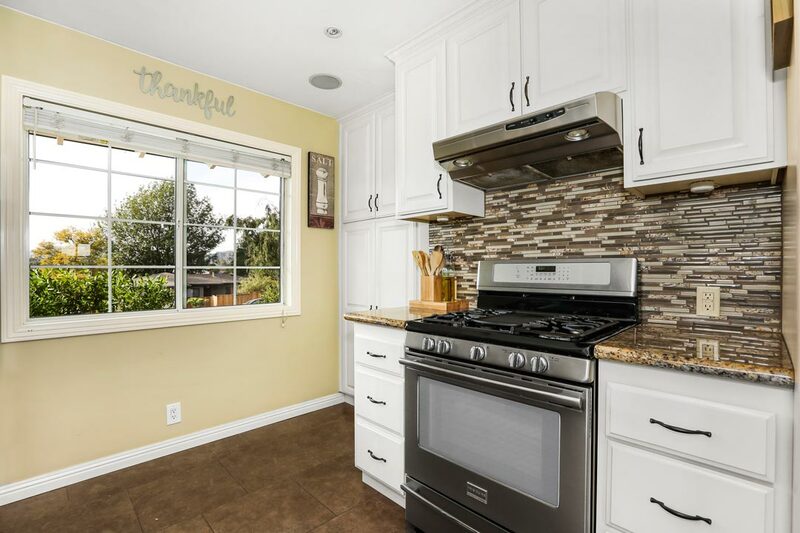 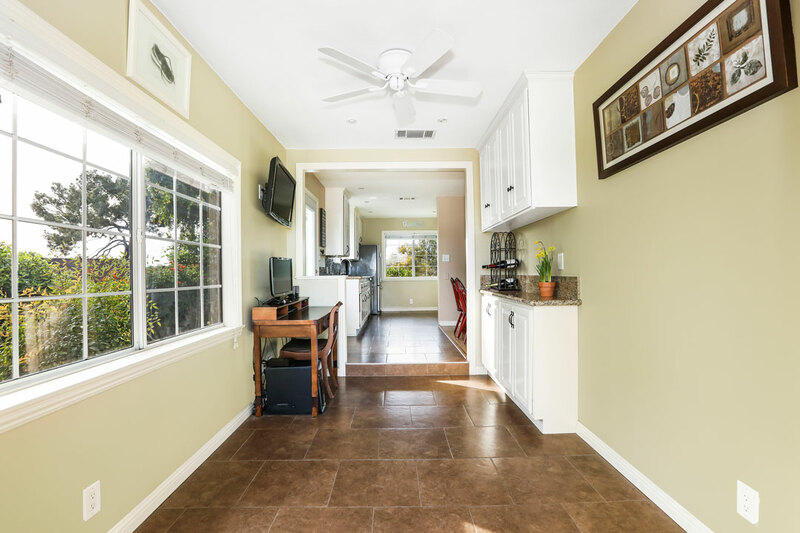 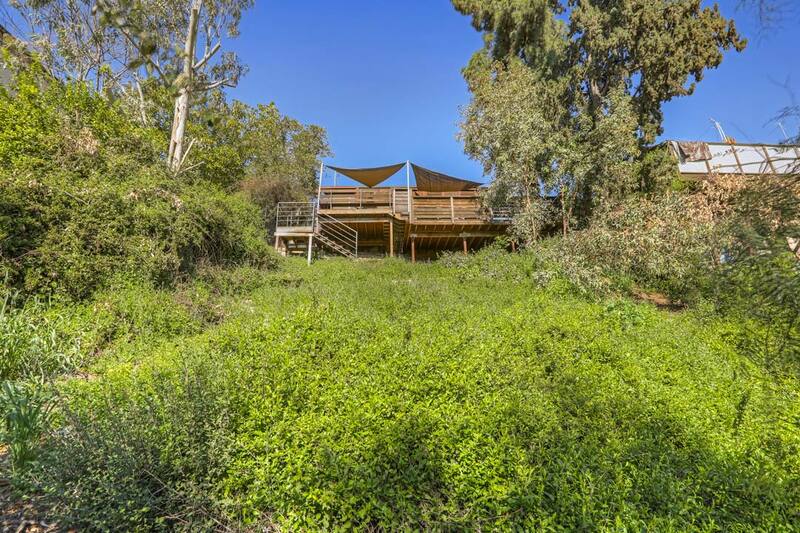 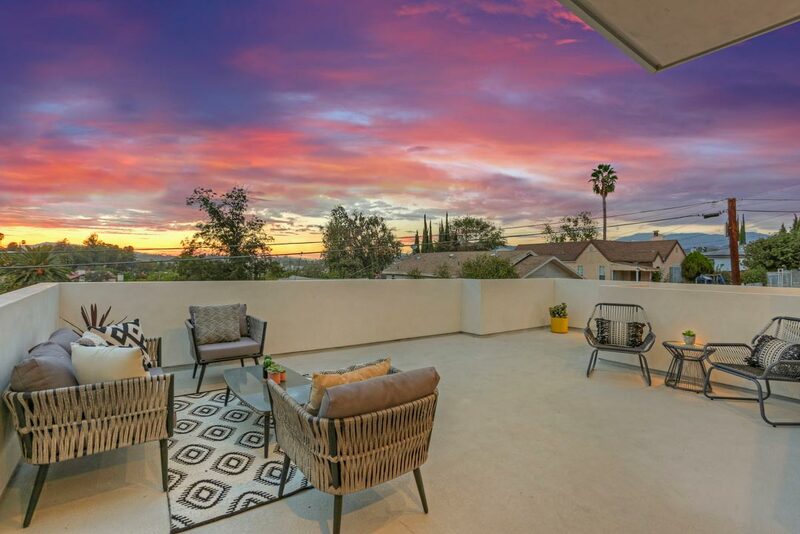 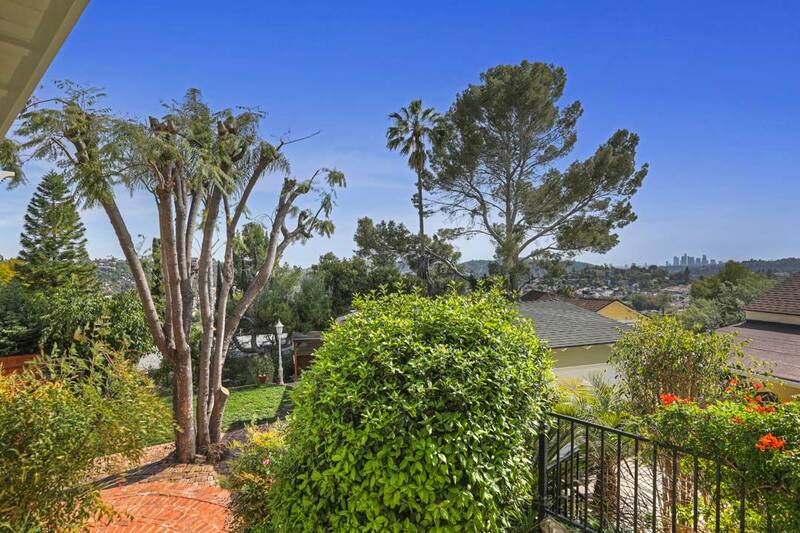 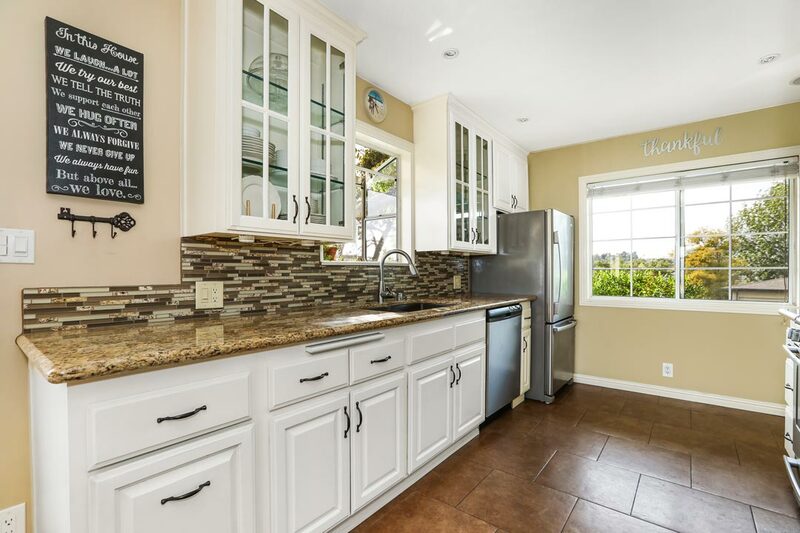 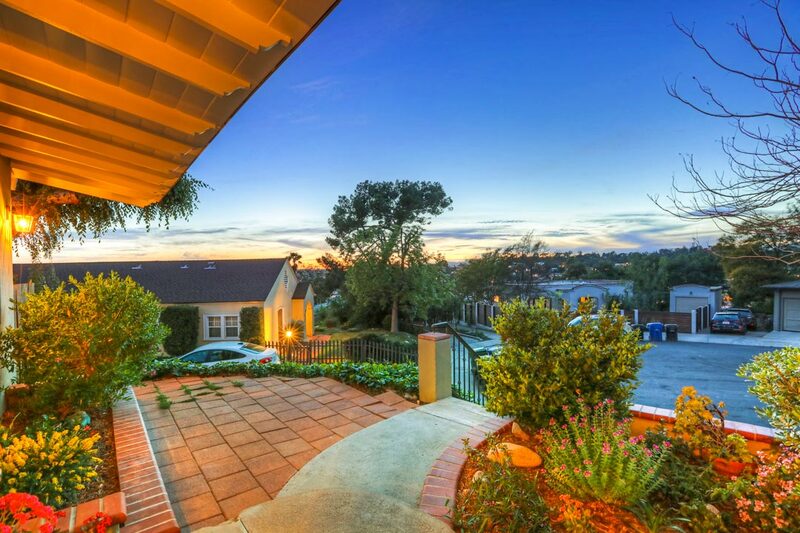 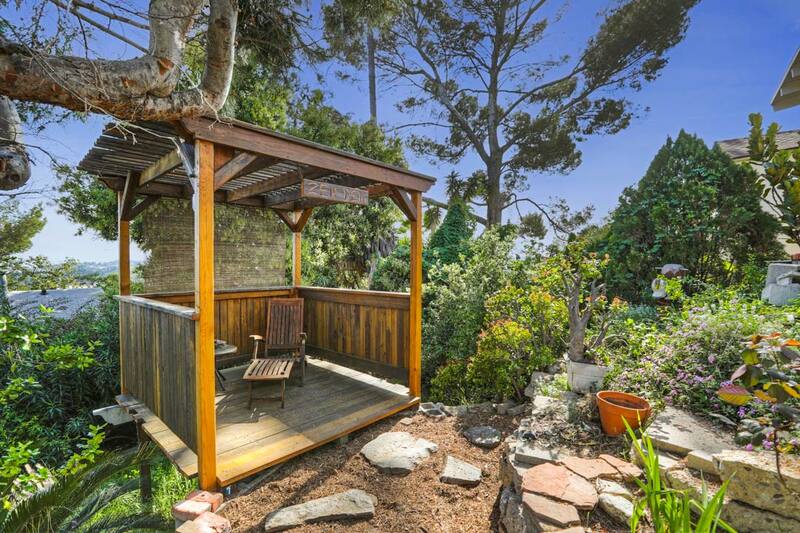 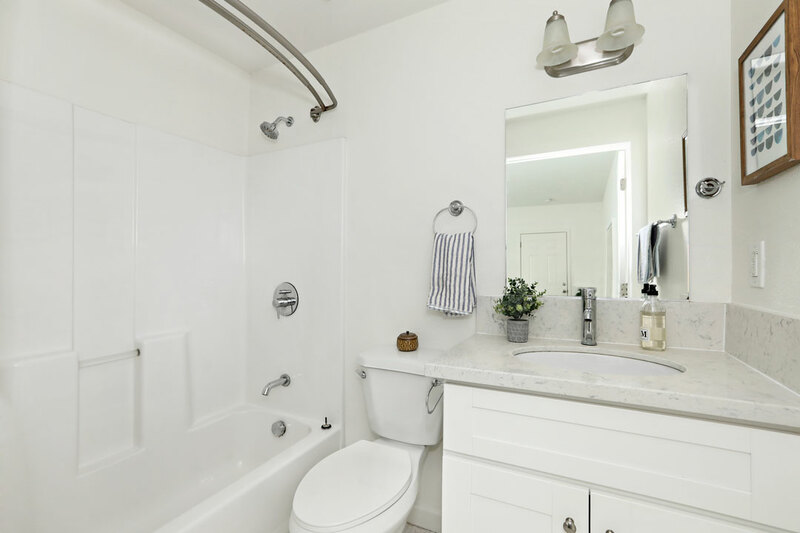 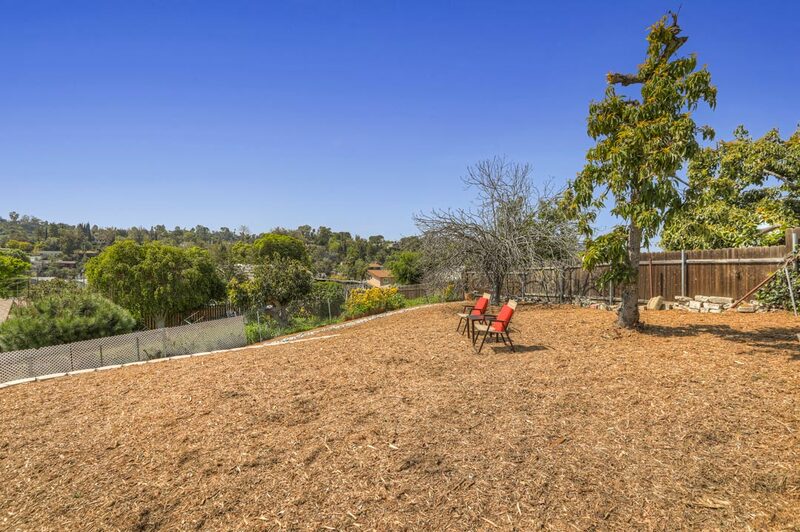 Nearby attractions include the hiking trails in Sycamore Grove Park and the Metro Gold Line. 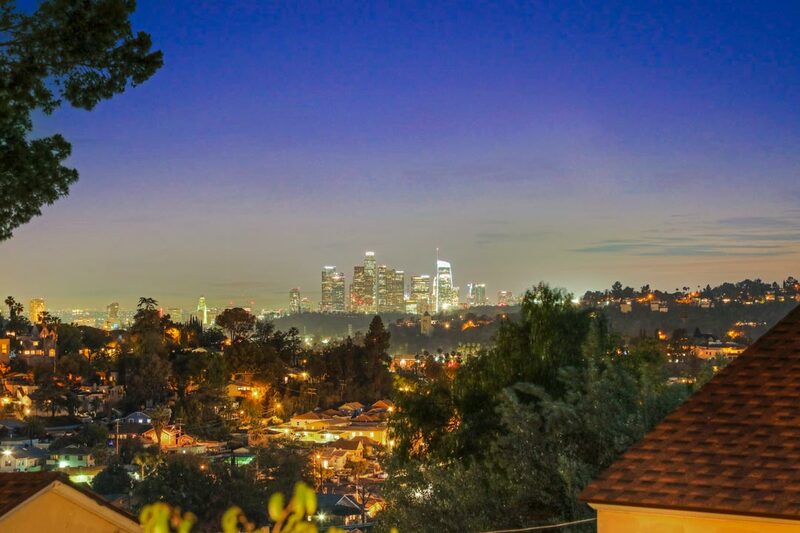 Highland Park hot-spots Kitchen Mouse, Blind Barber, Triple Beam Pizza and many more are just blocks away. 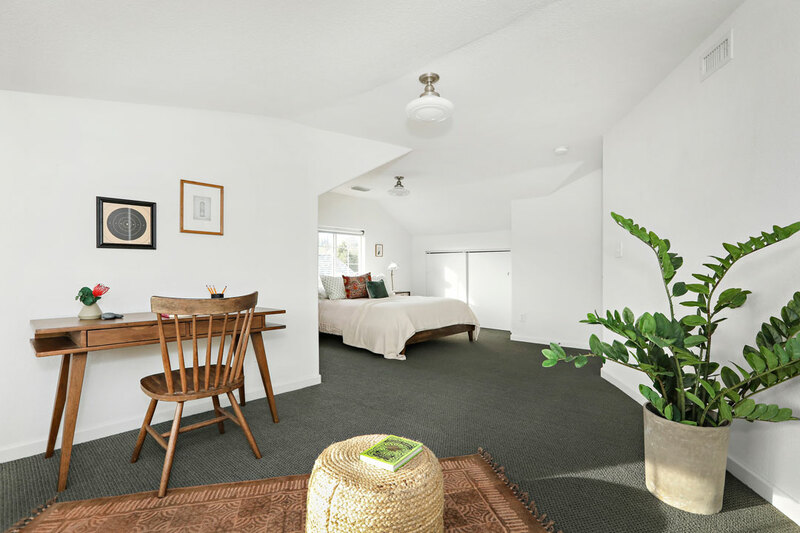 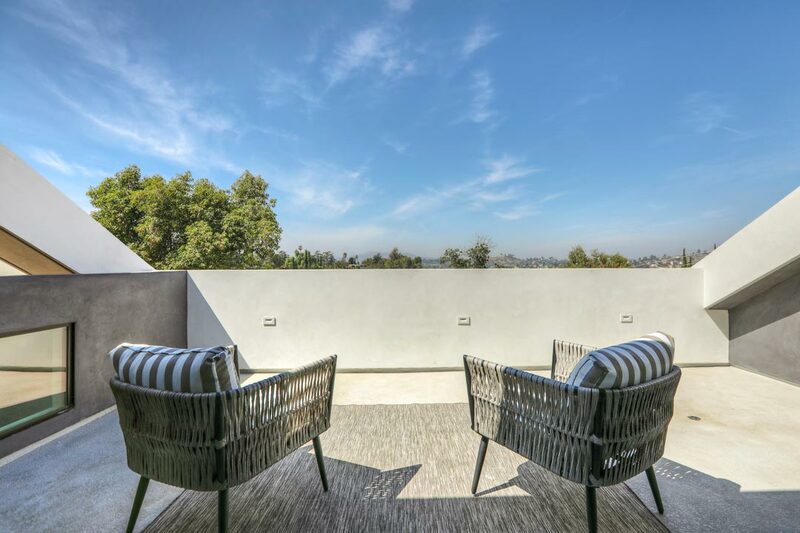 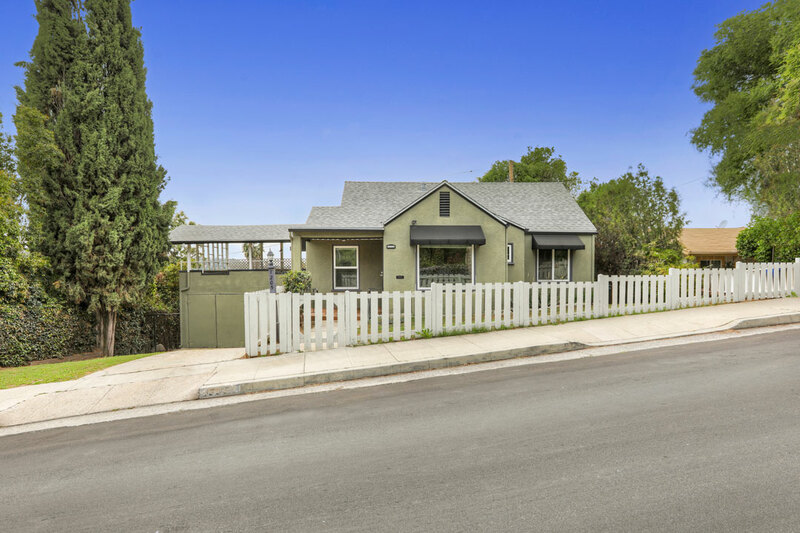 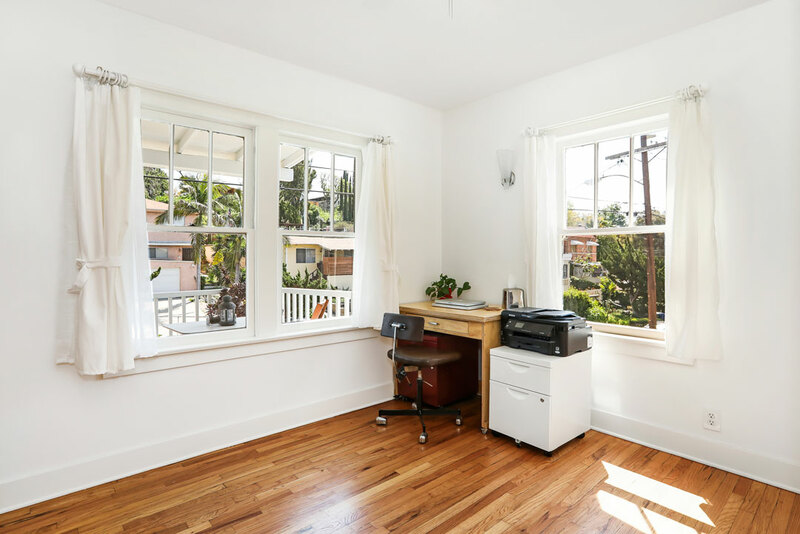 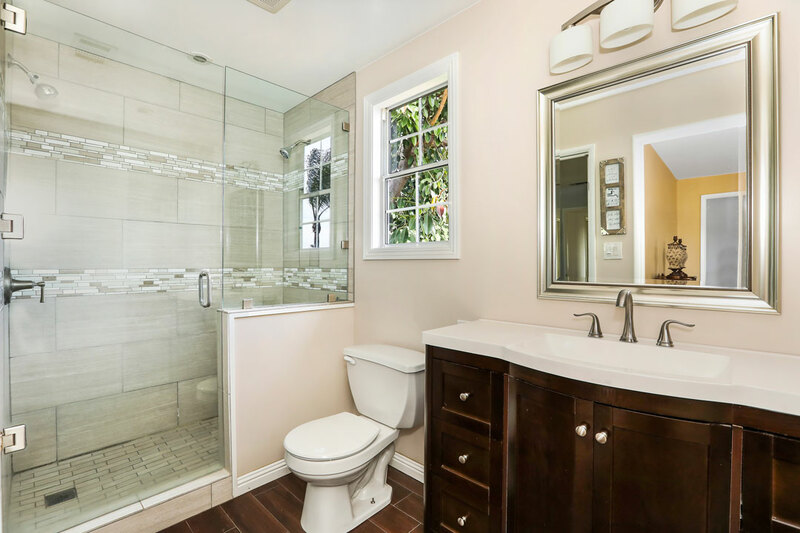 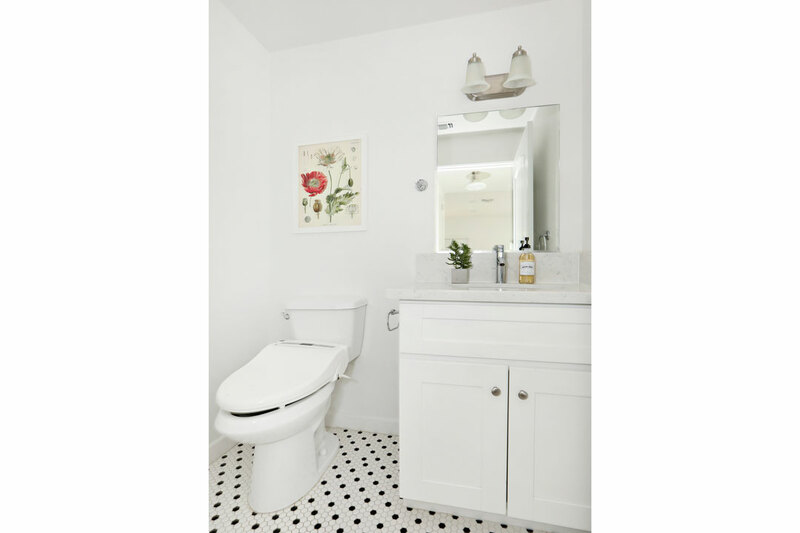 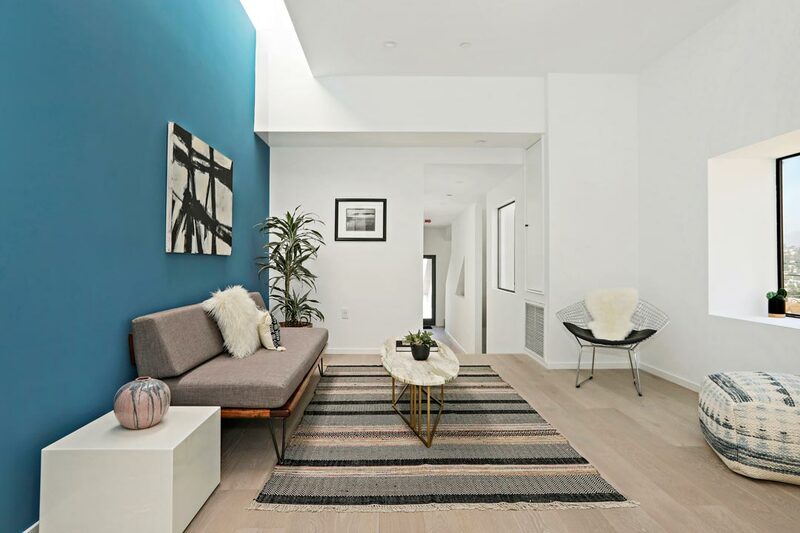 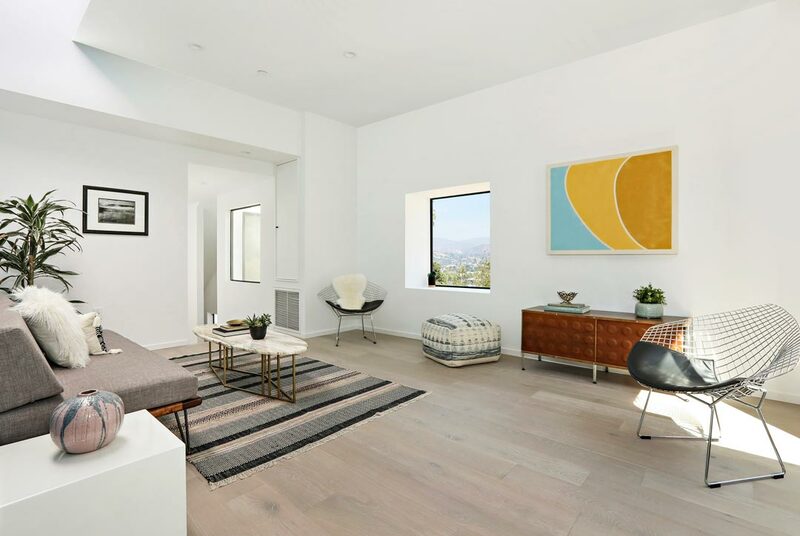 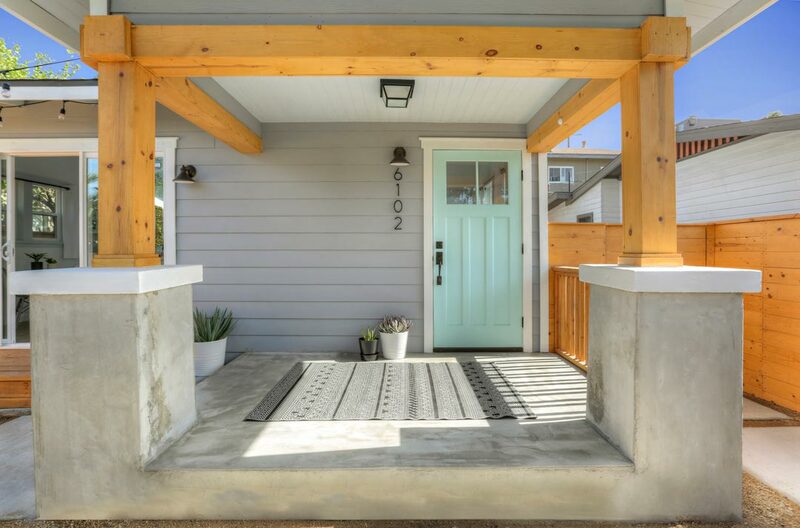 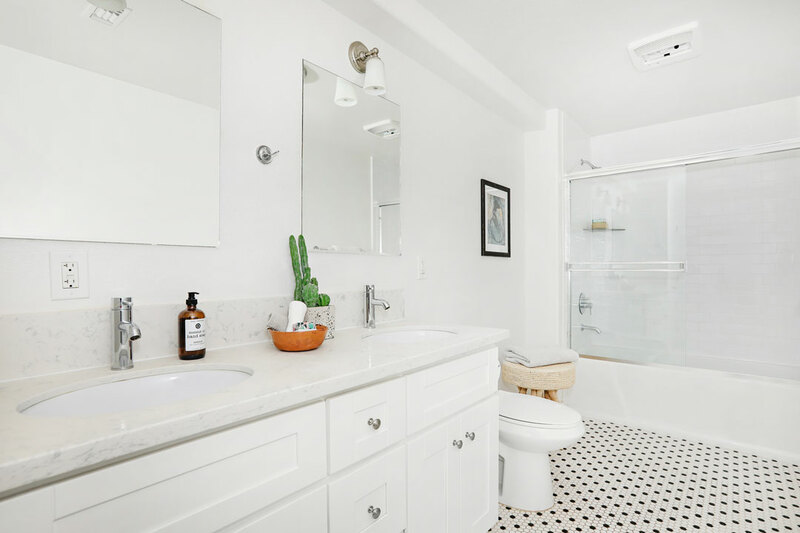 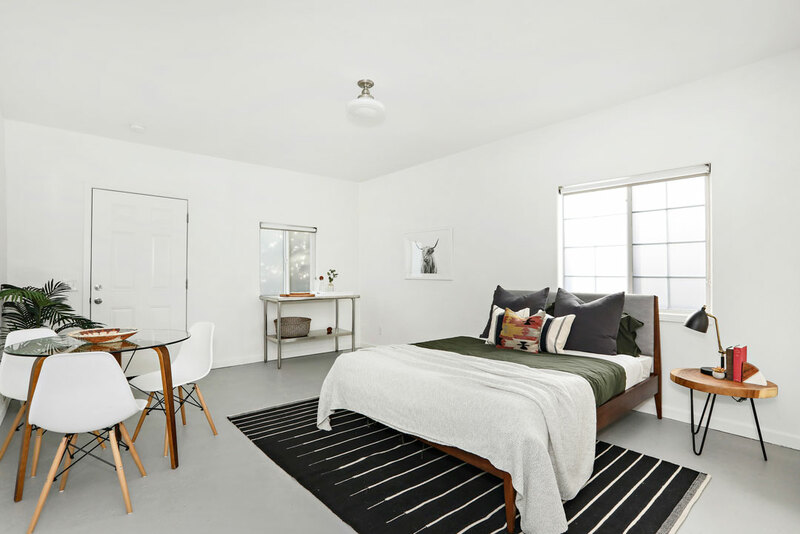 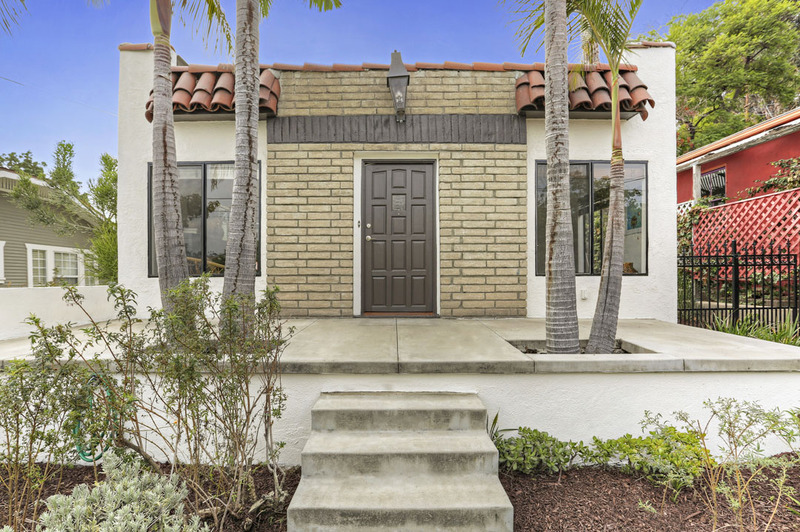 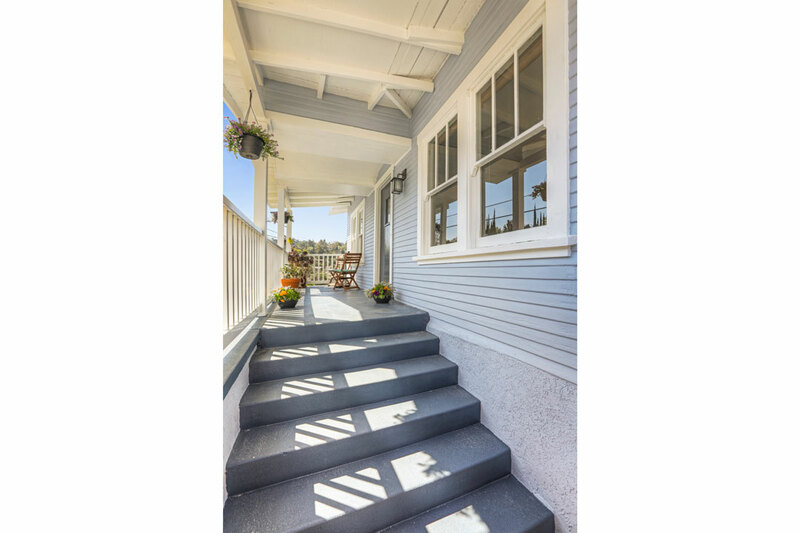 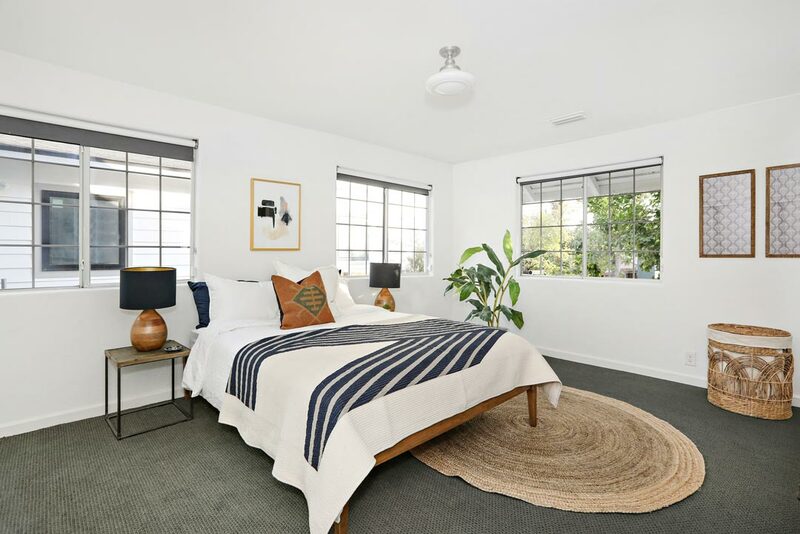 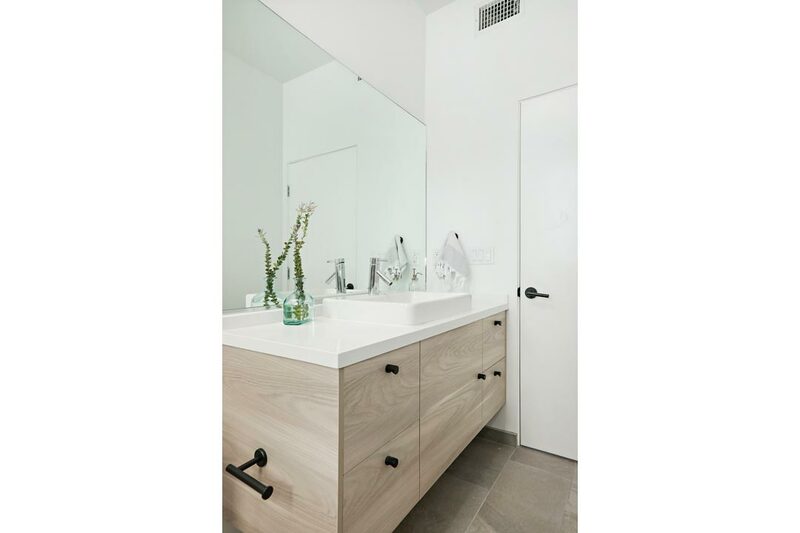 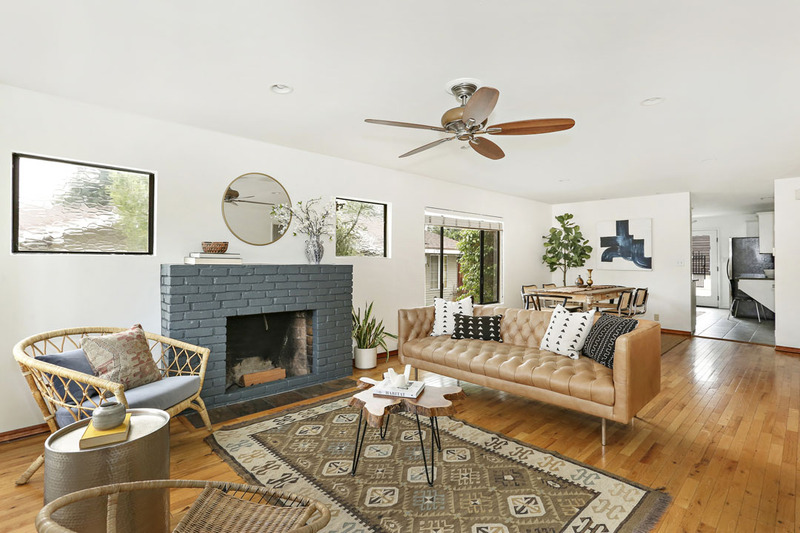 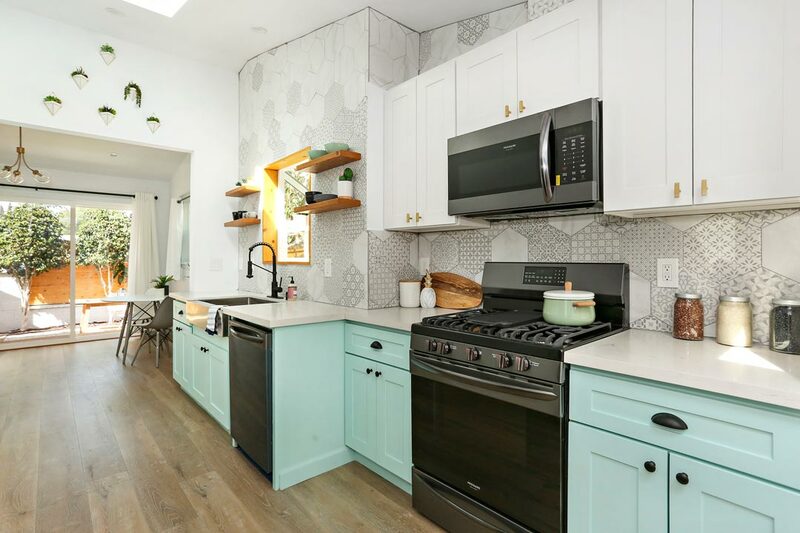 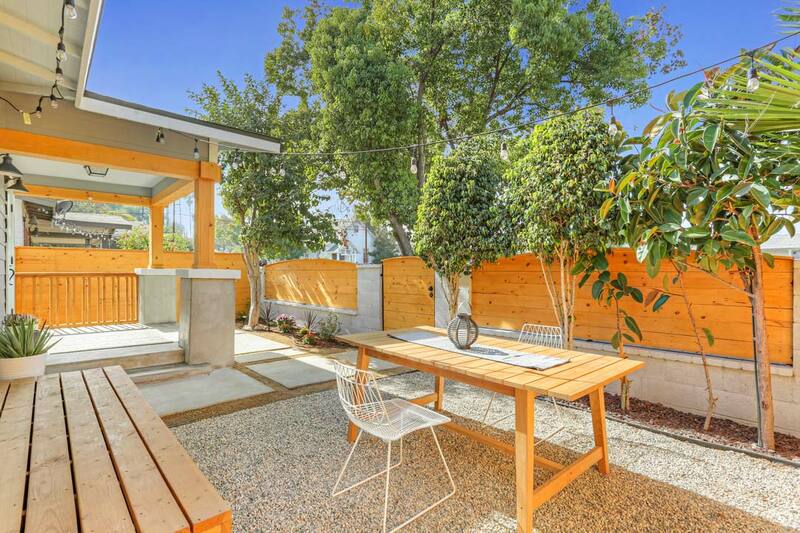 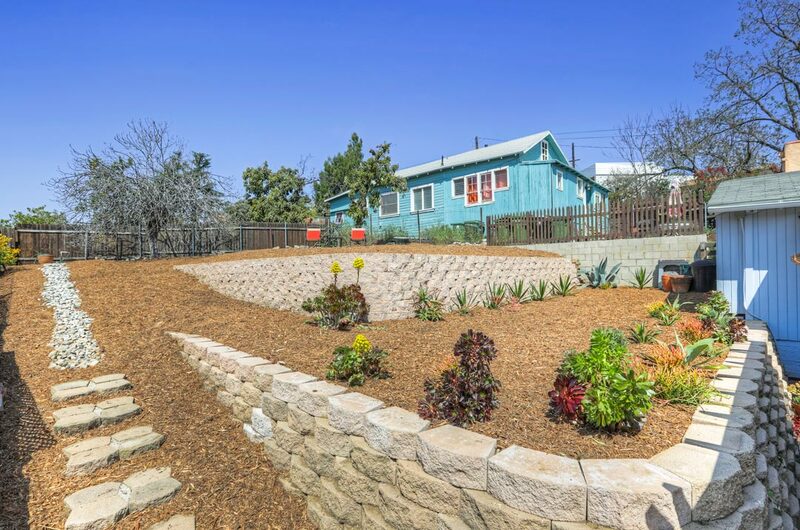 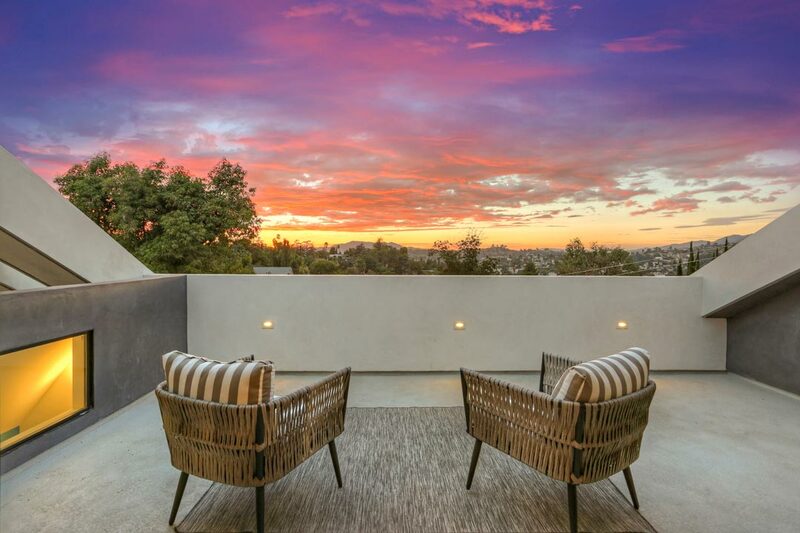 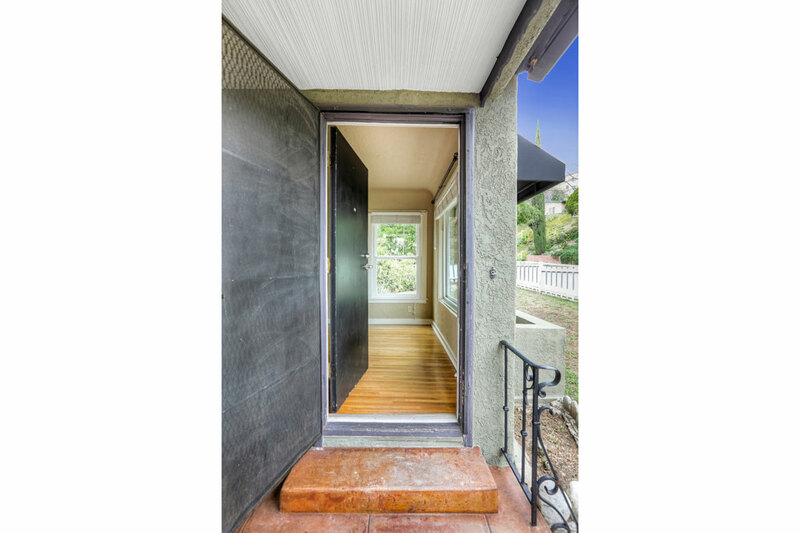 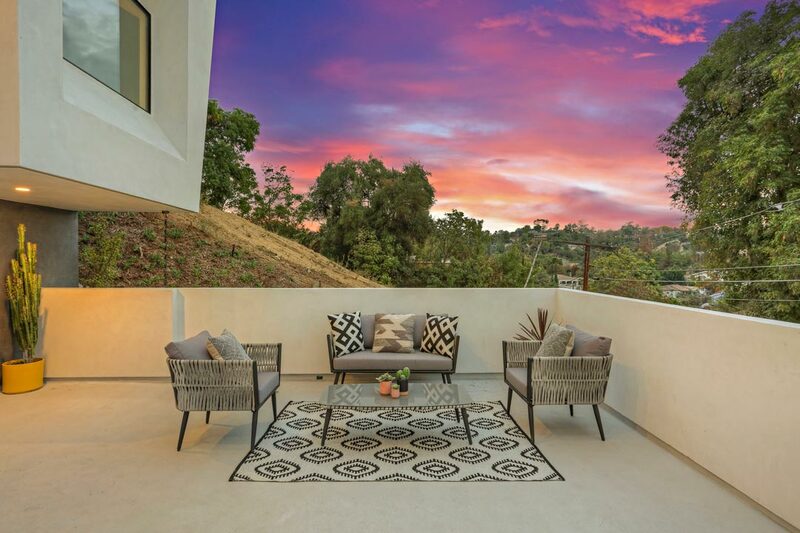 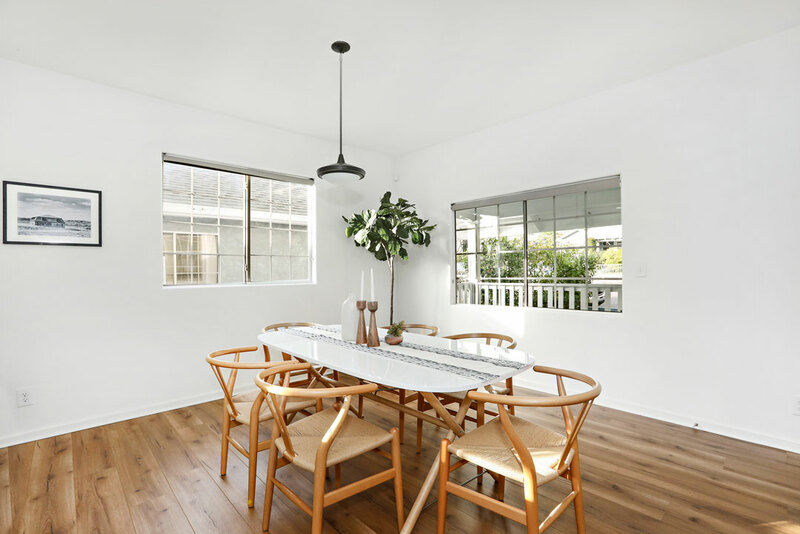 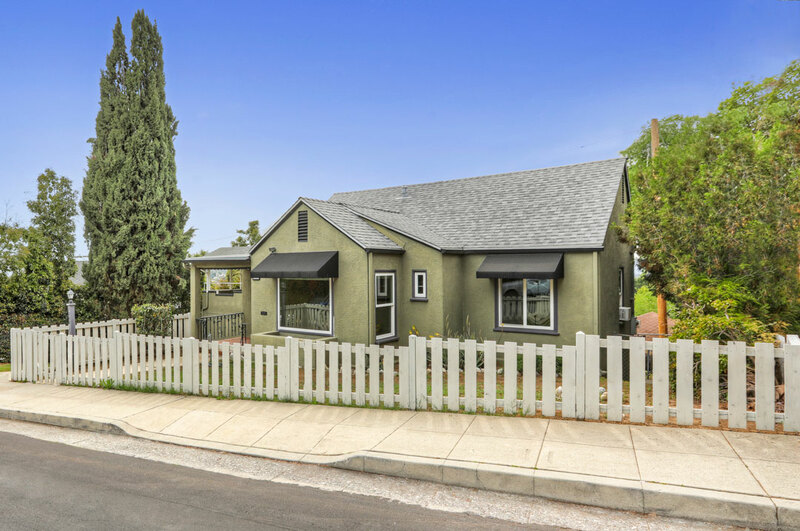 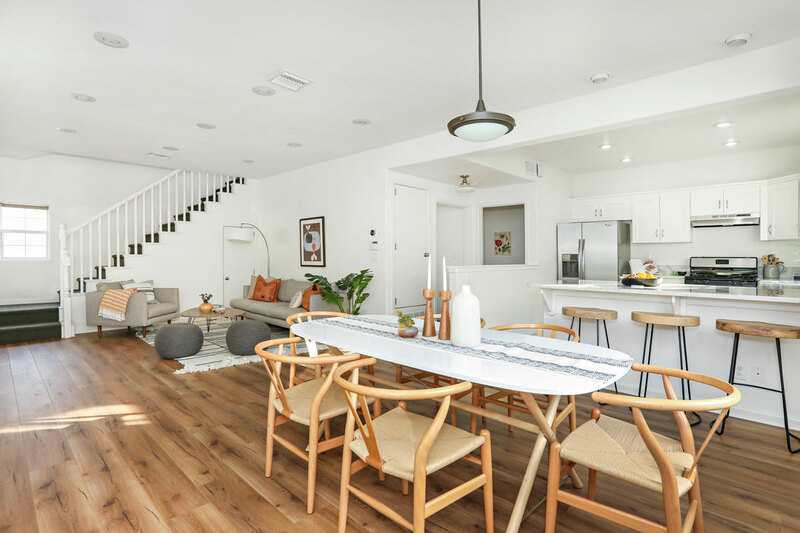 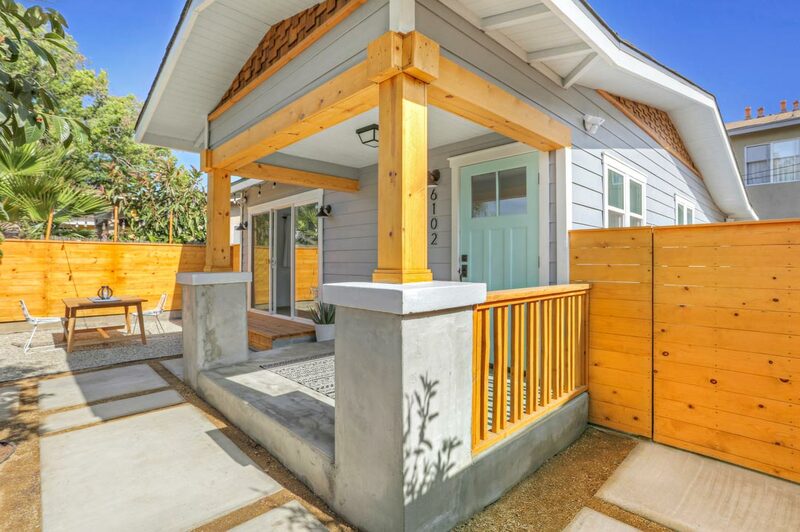 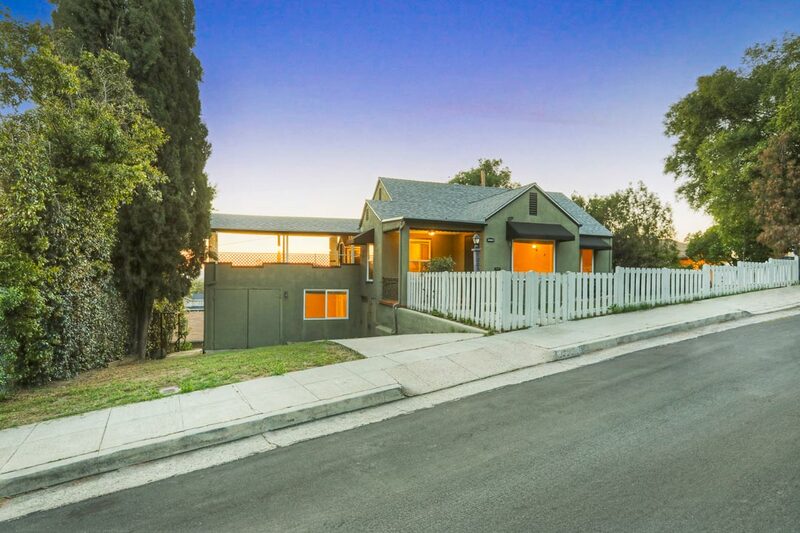 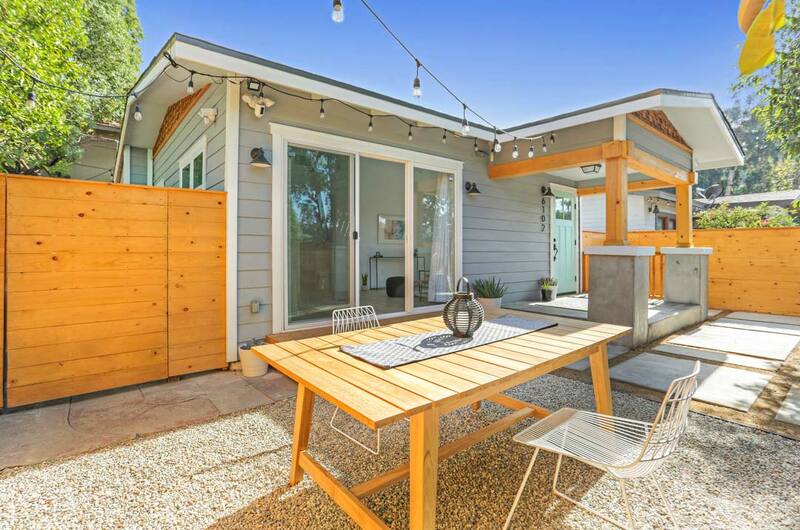 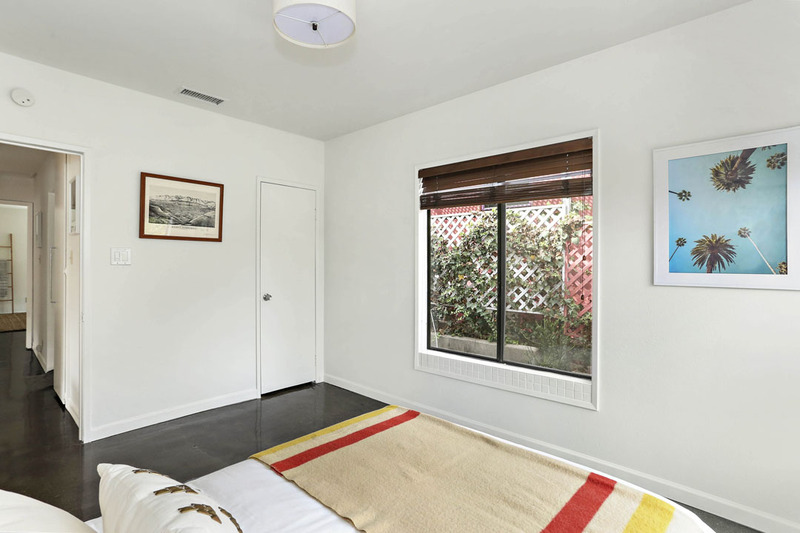 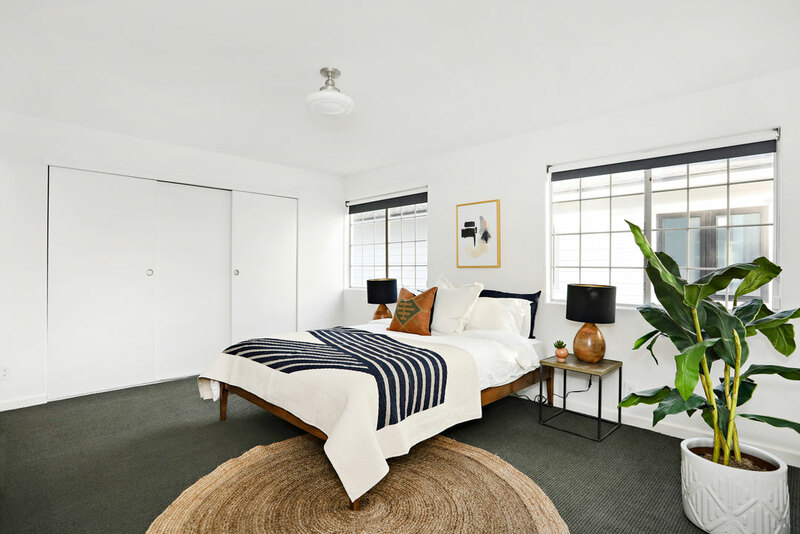 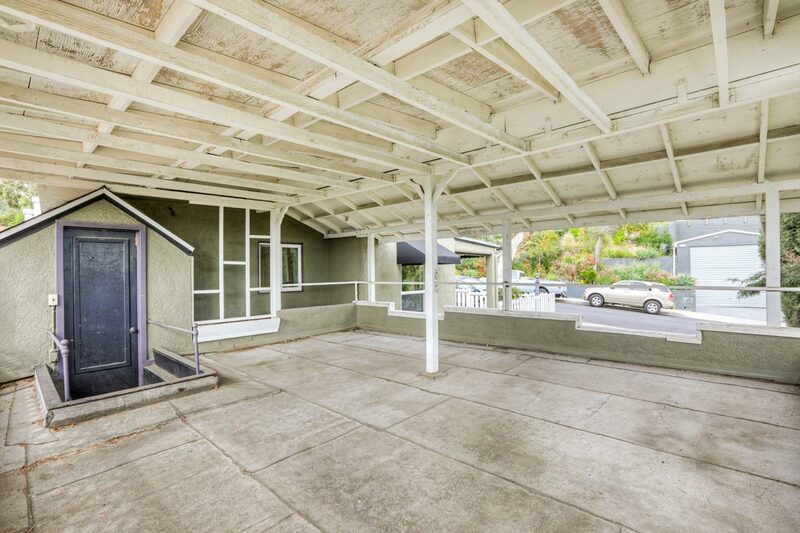 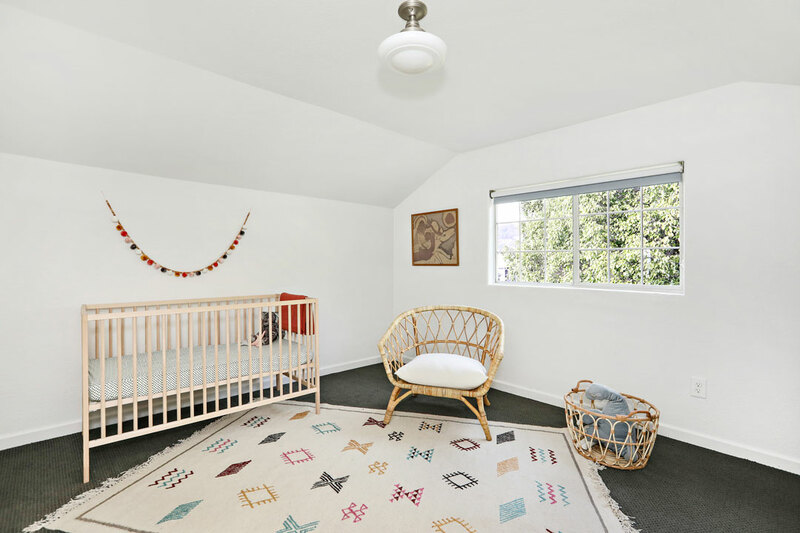 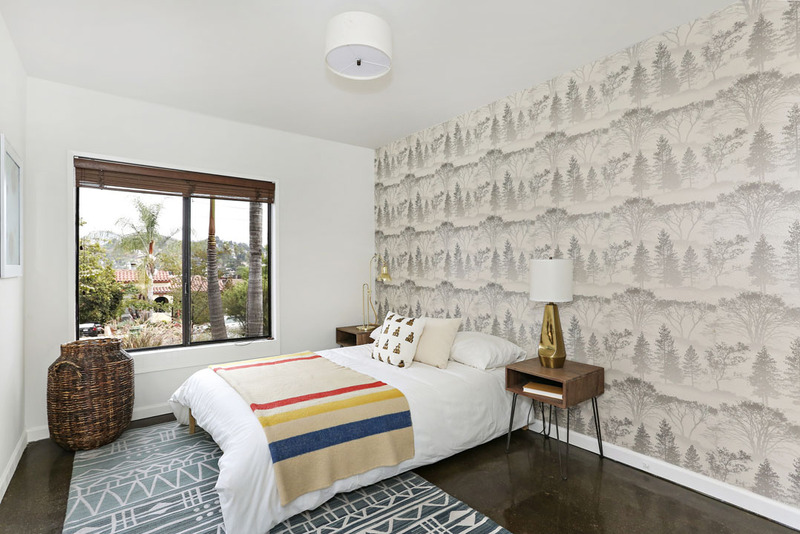 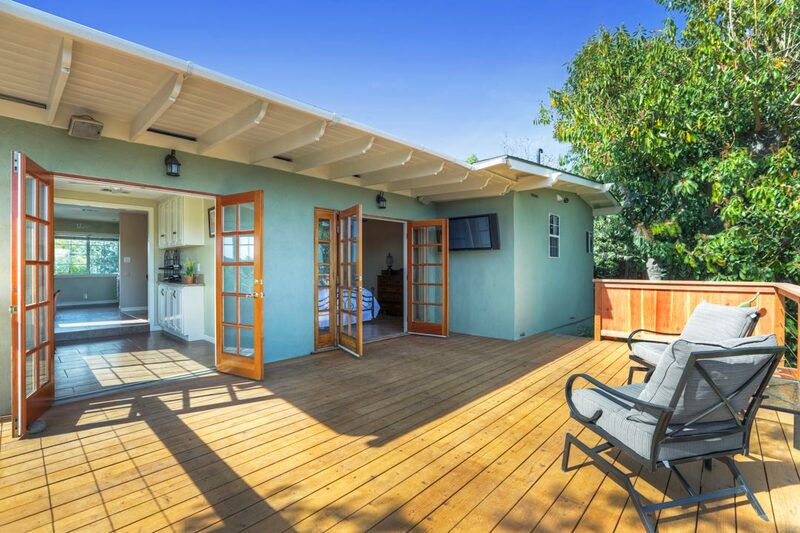 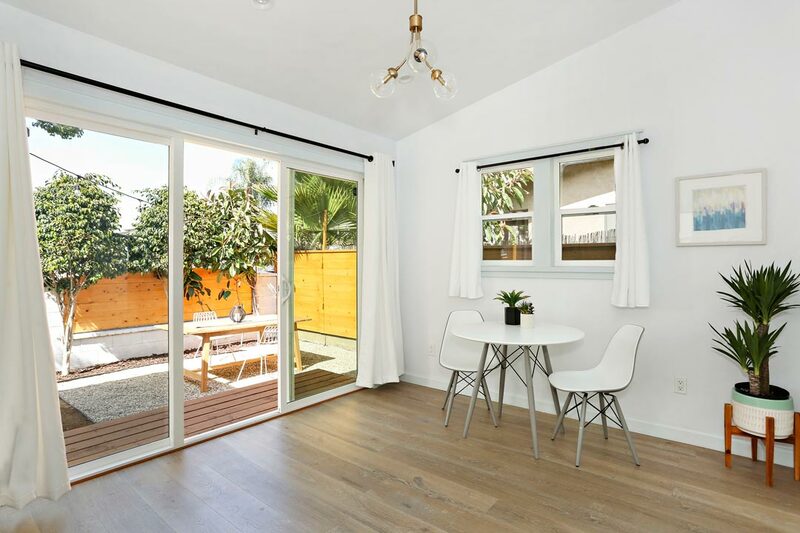 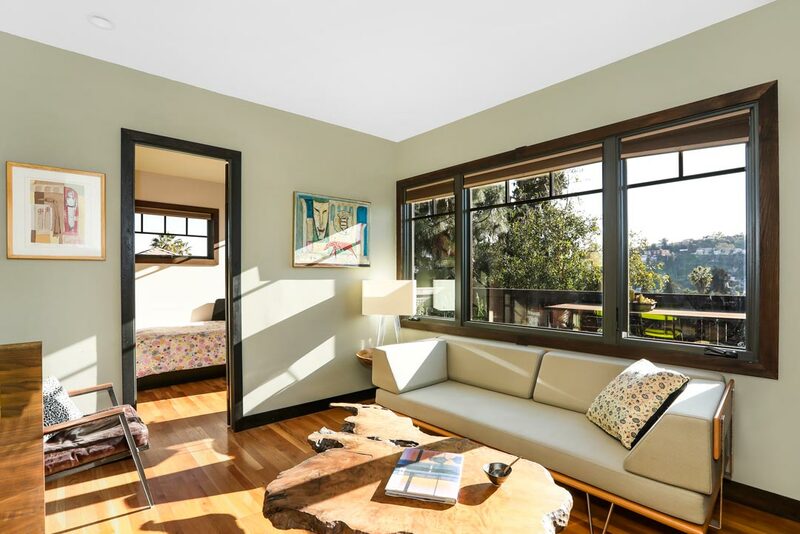 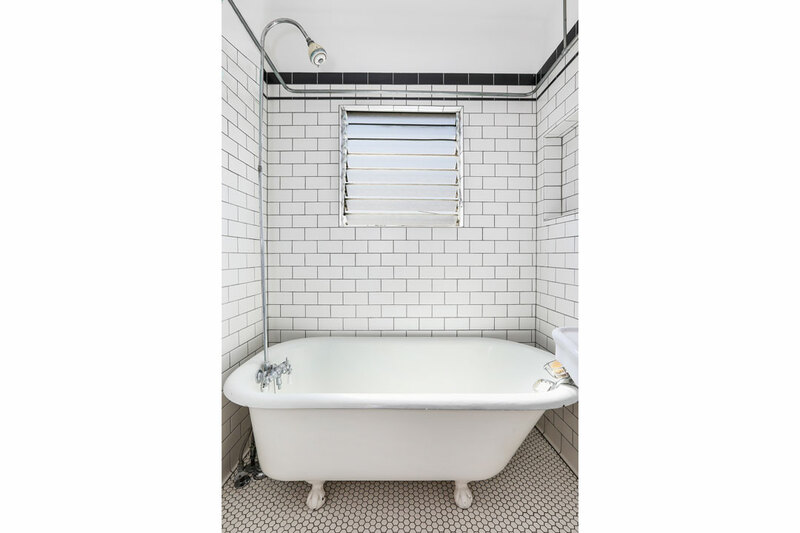 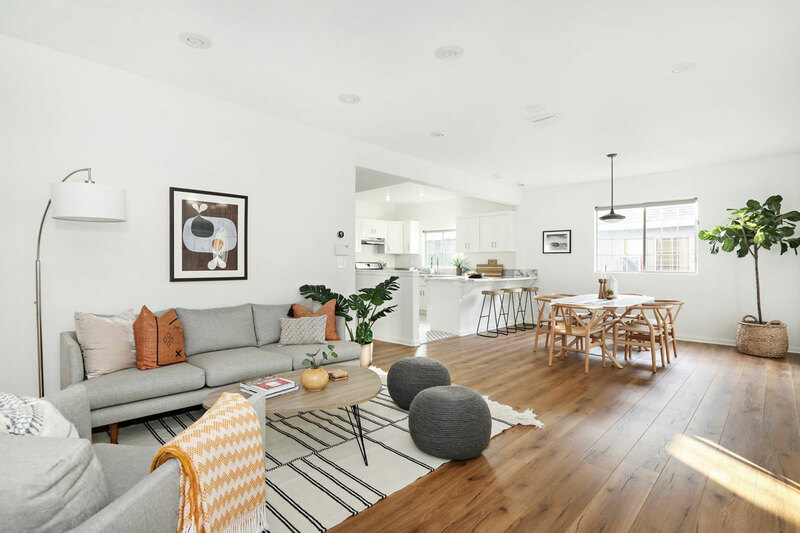 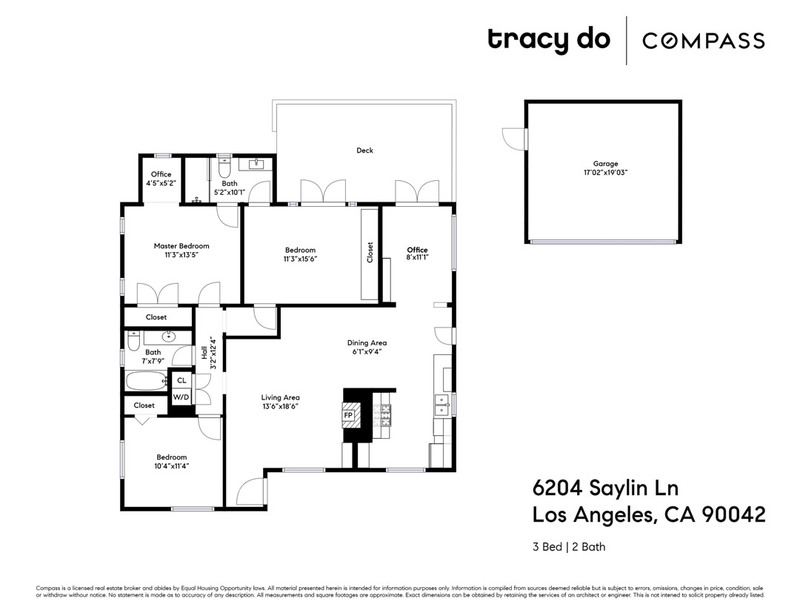 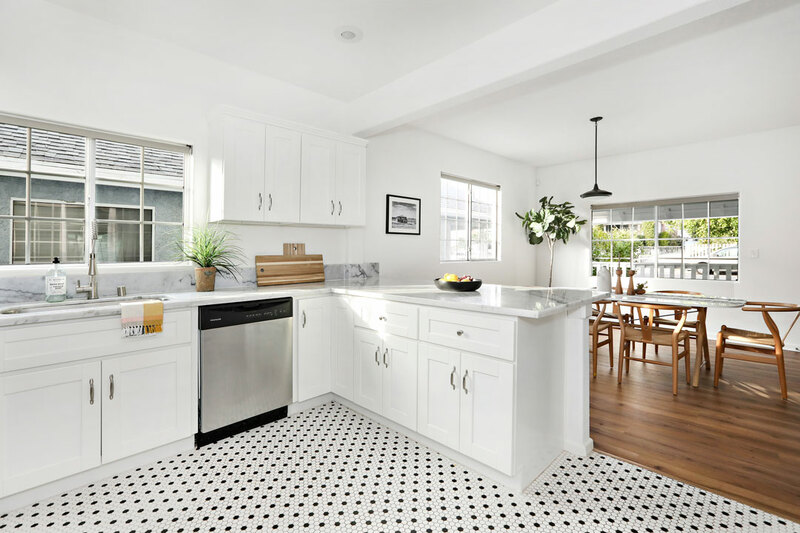 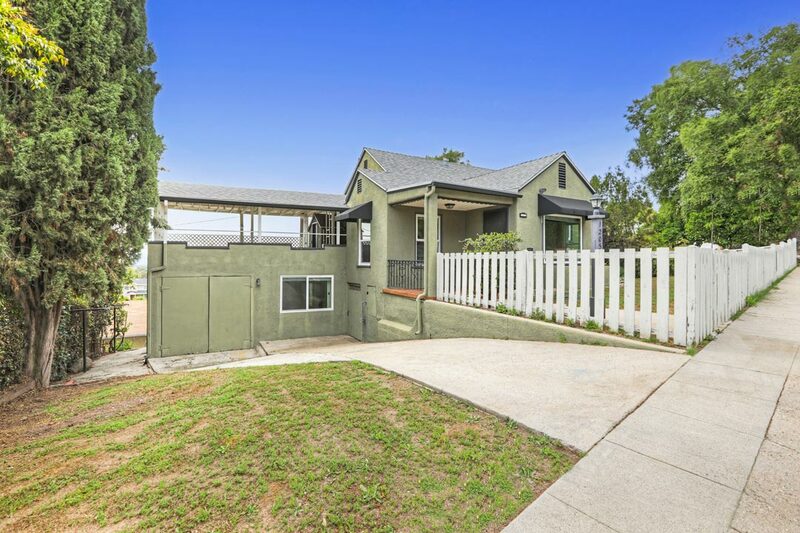 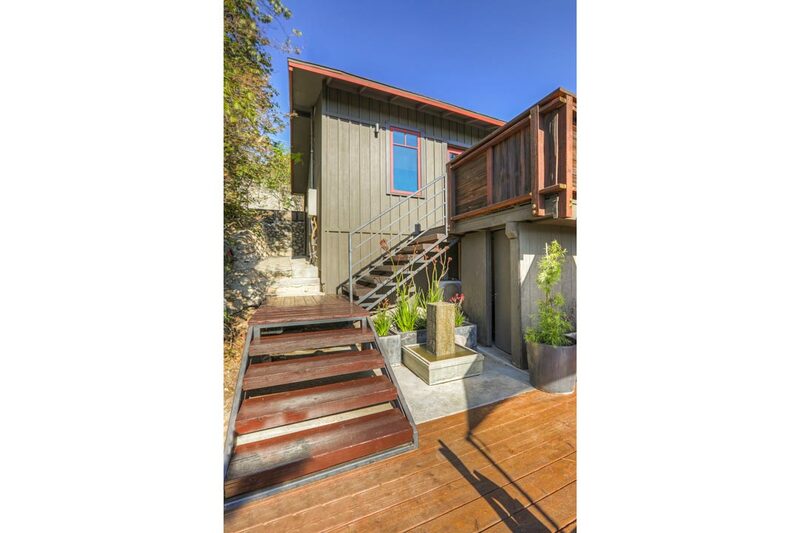 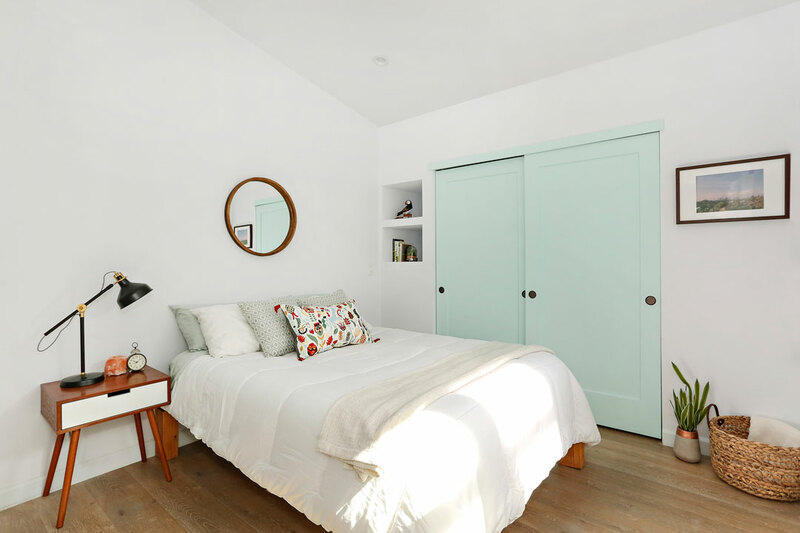 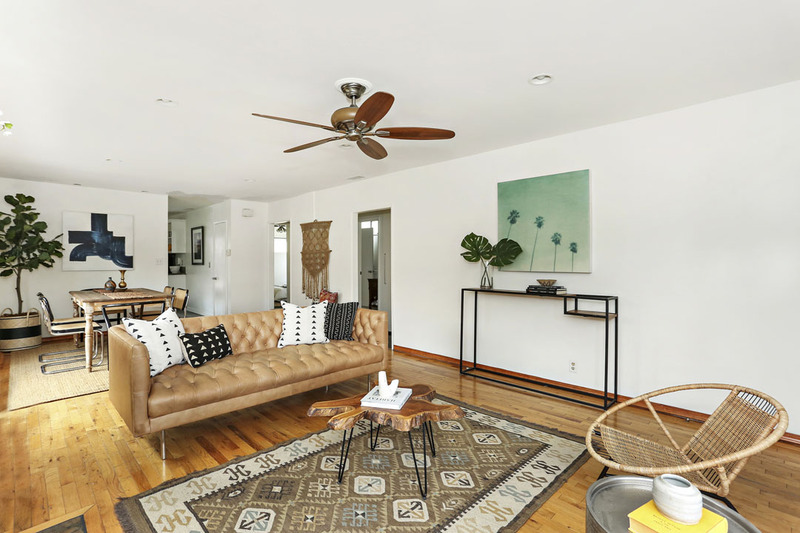 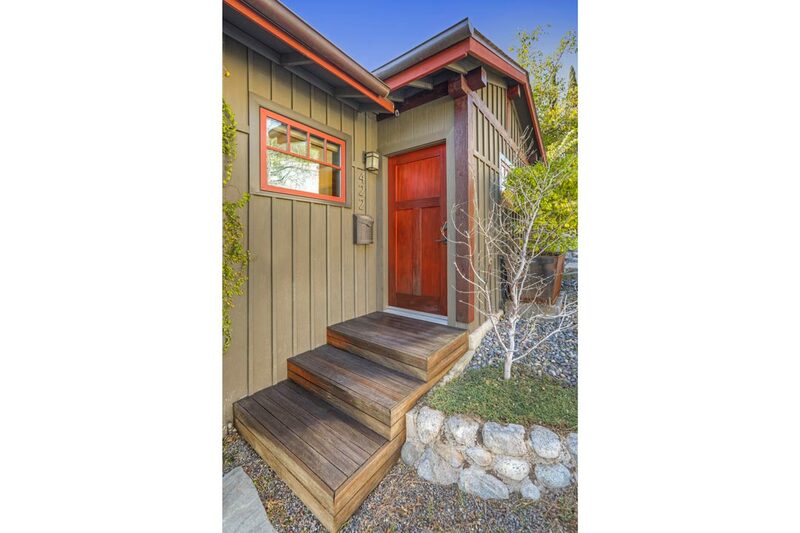 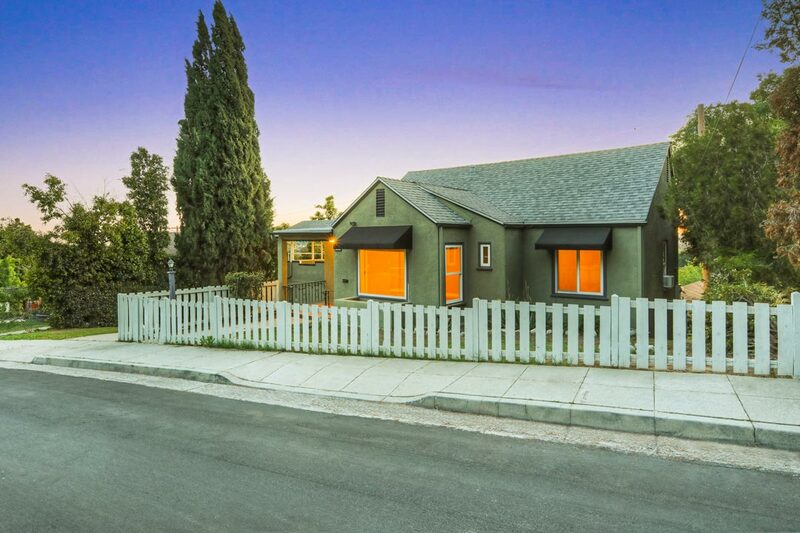 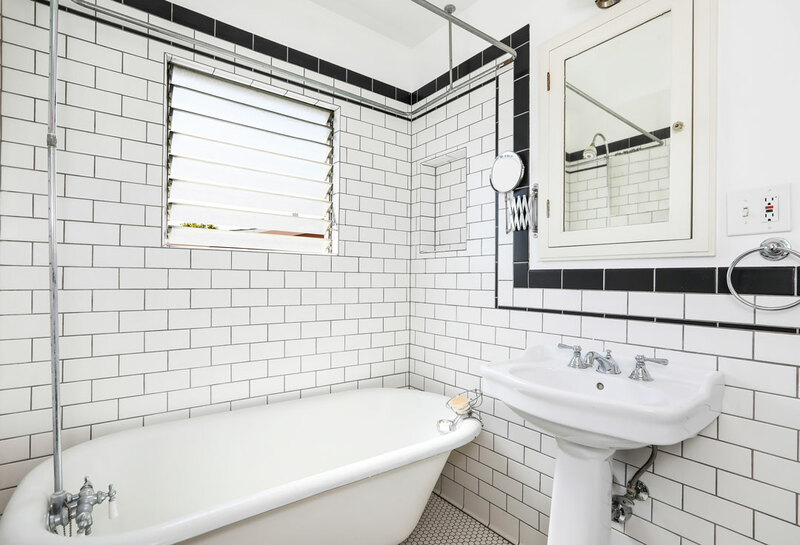 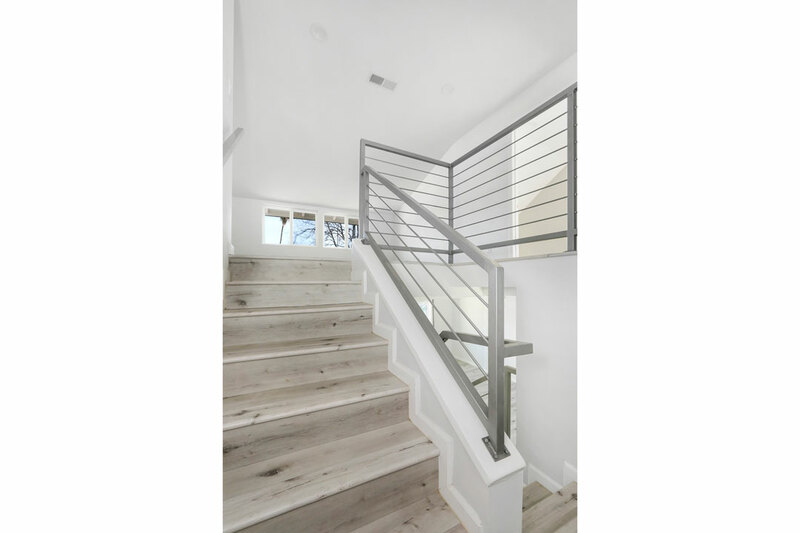 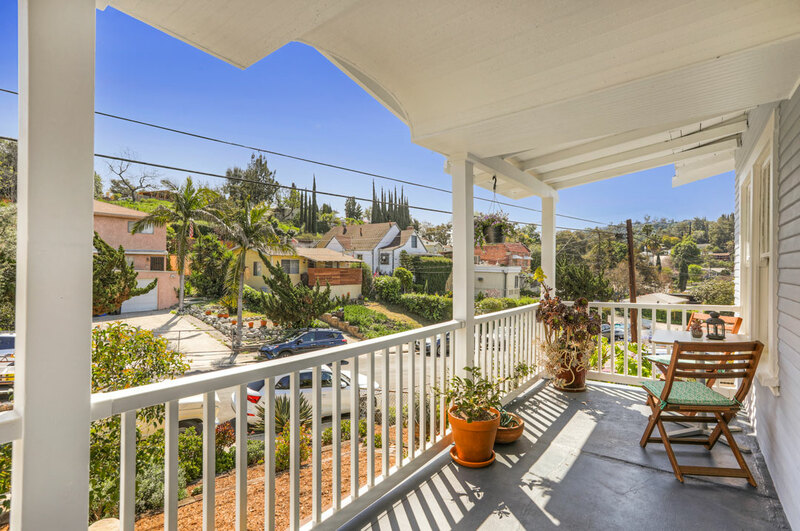 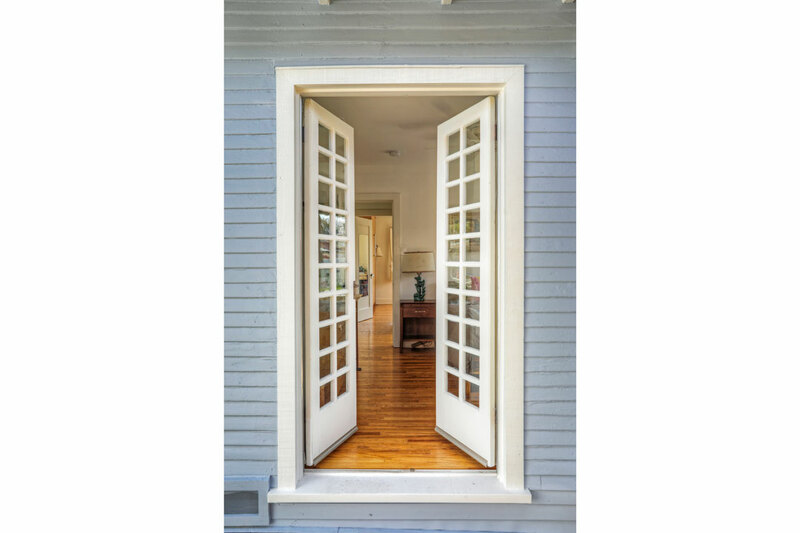 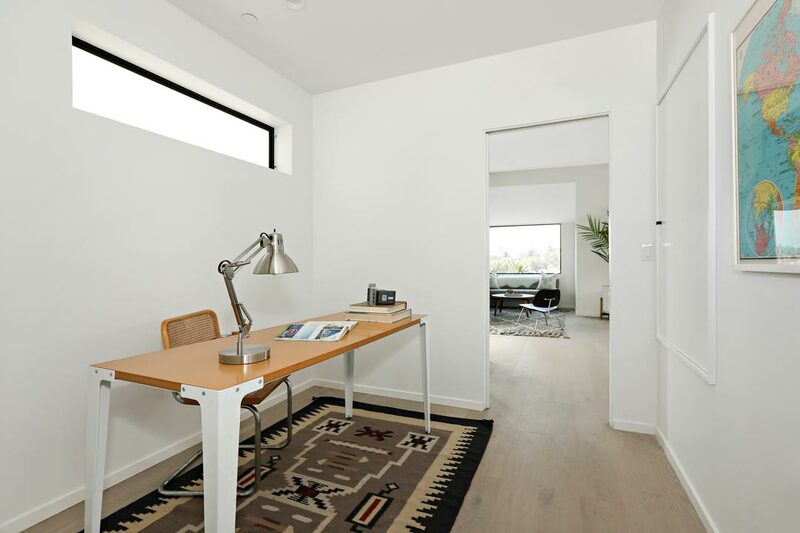 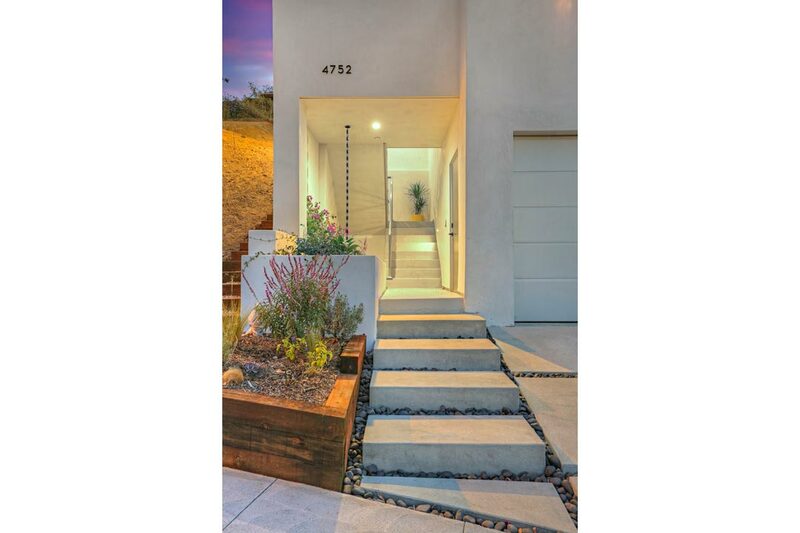 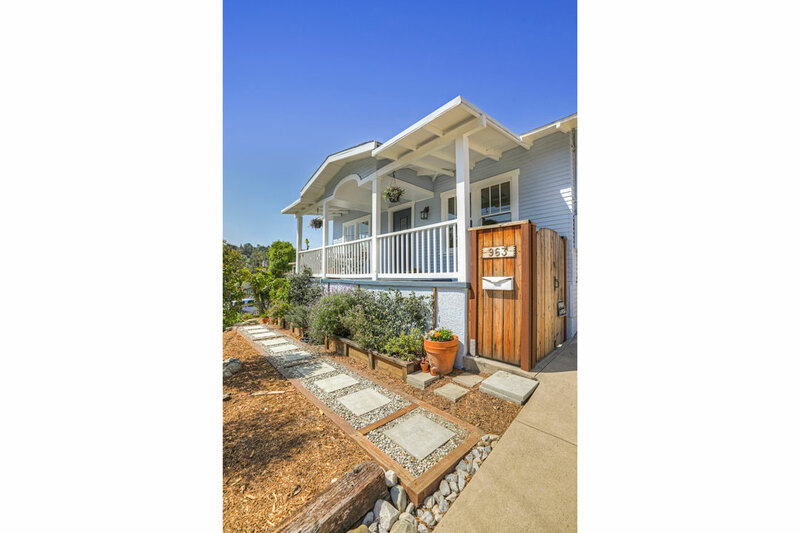 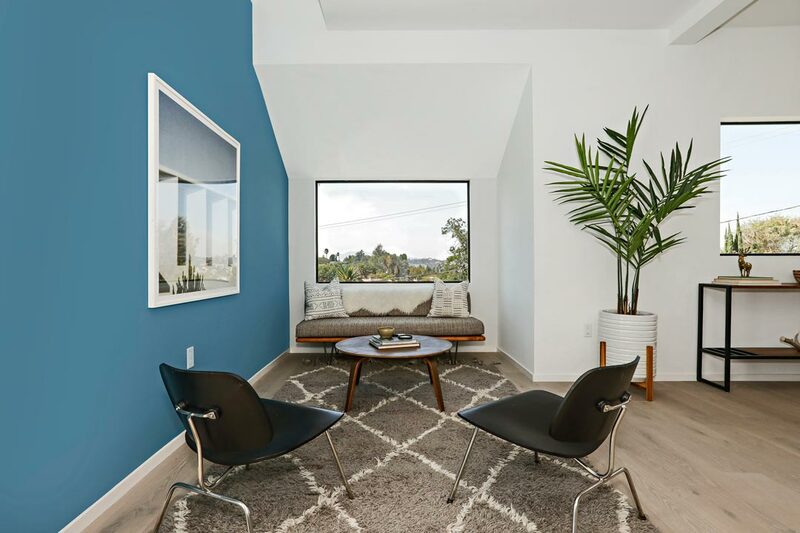 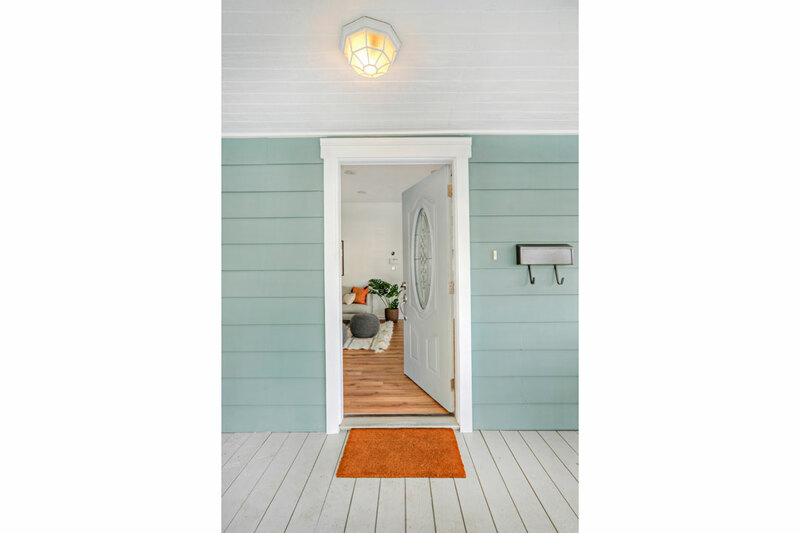 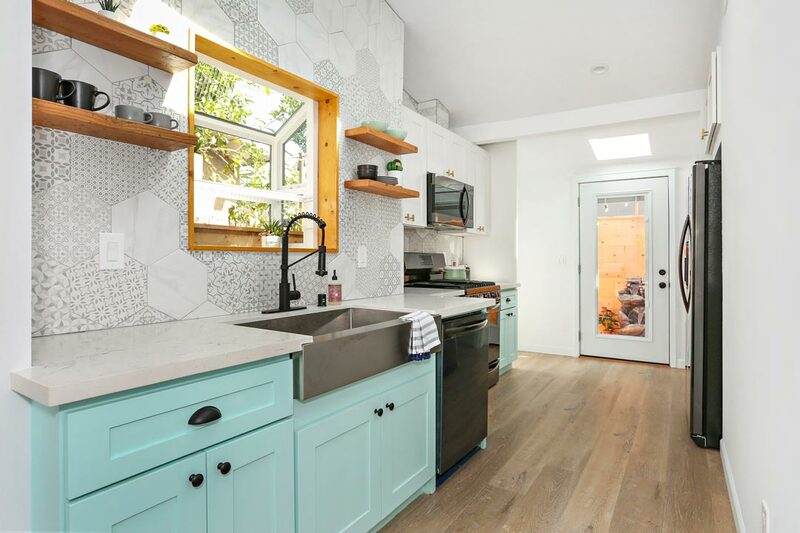 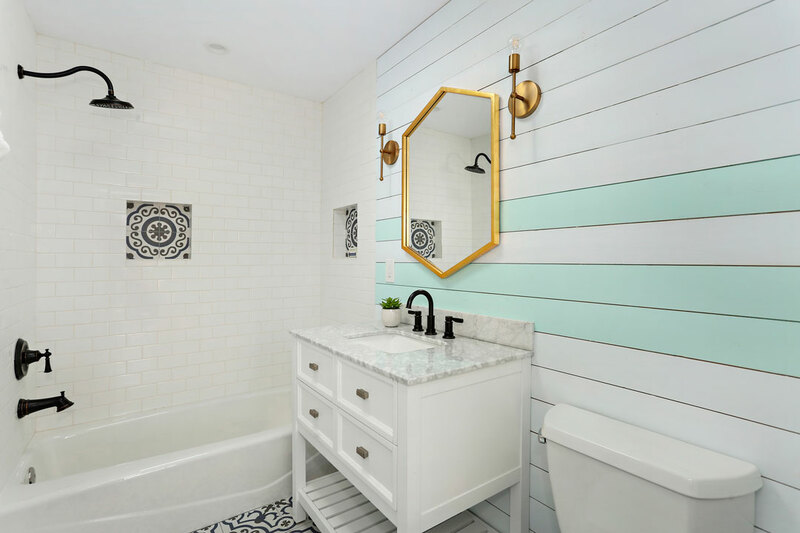 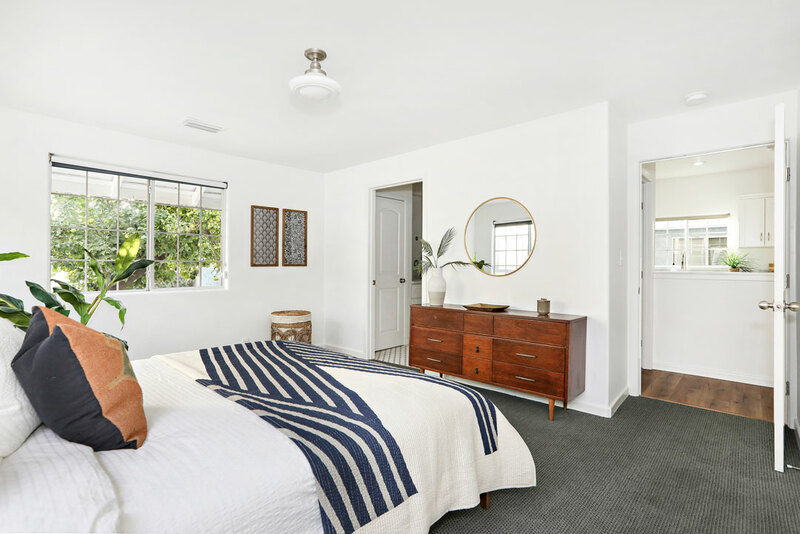 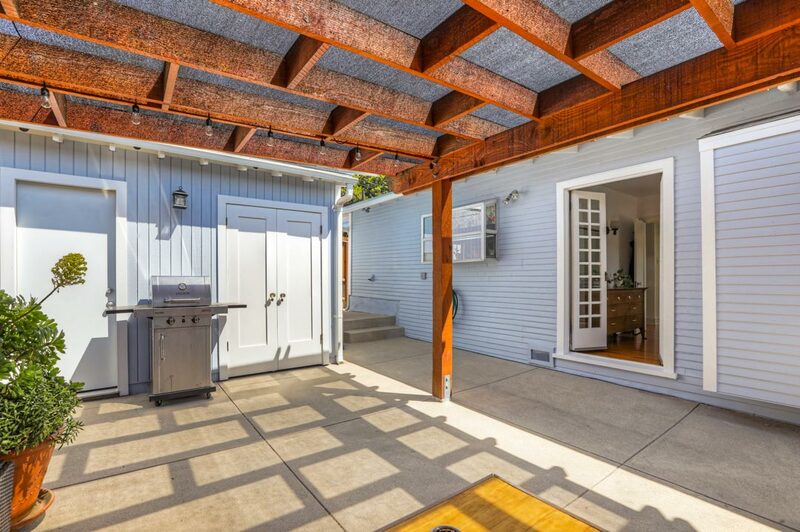 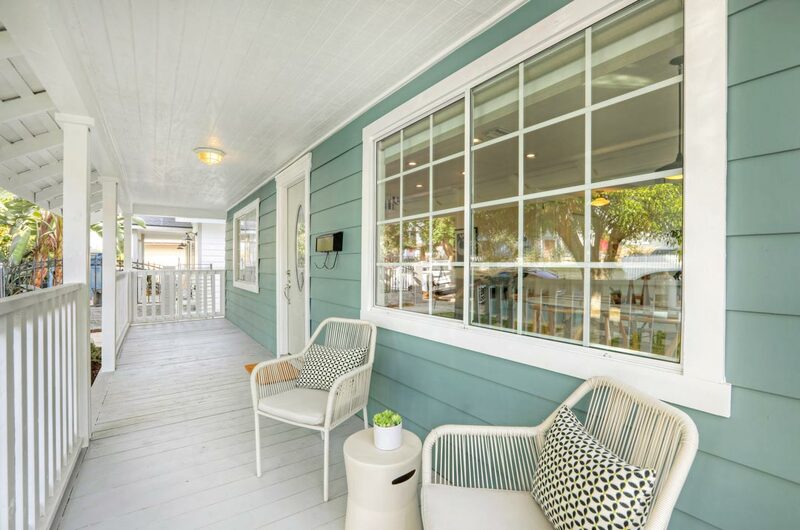 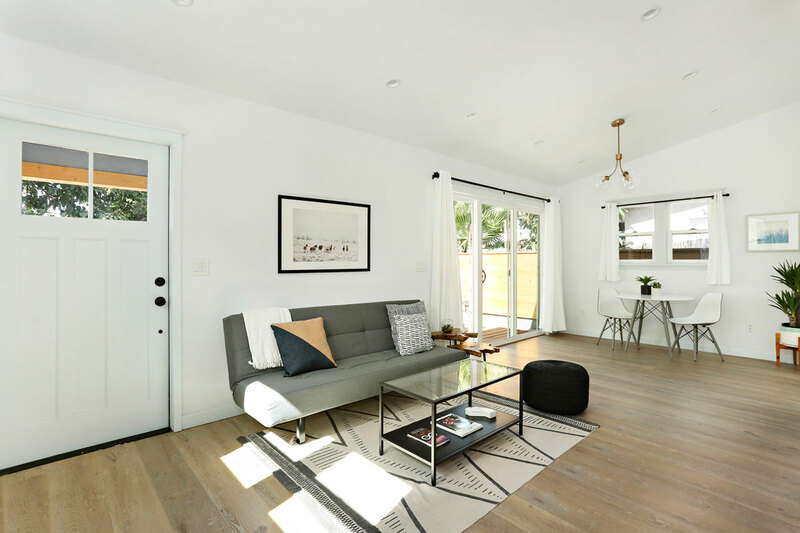 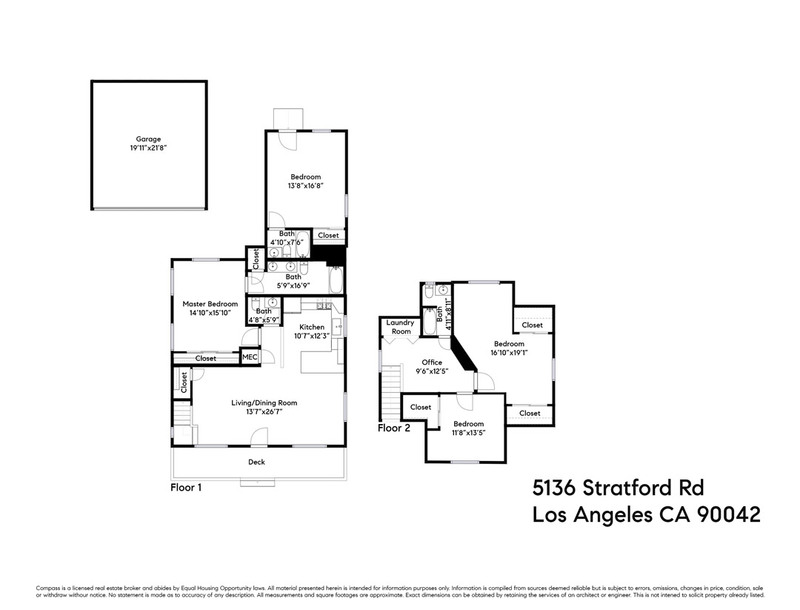 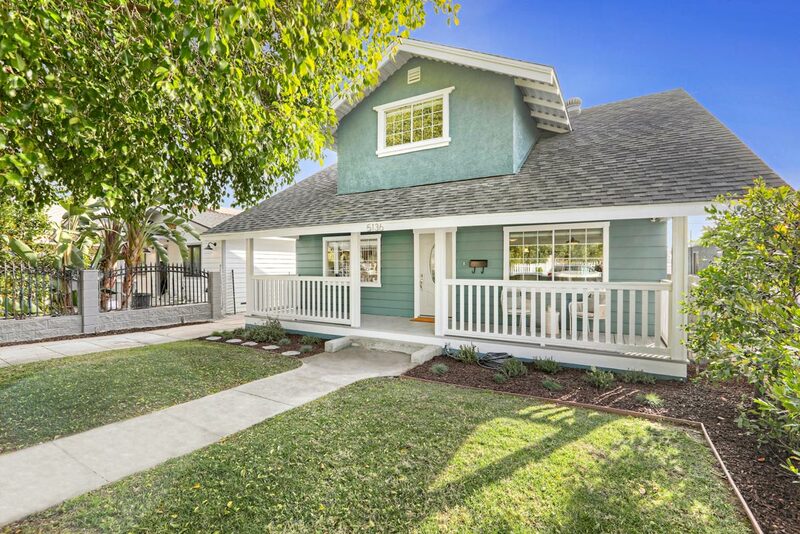 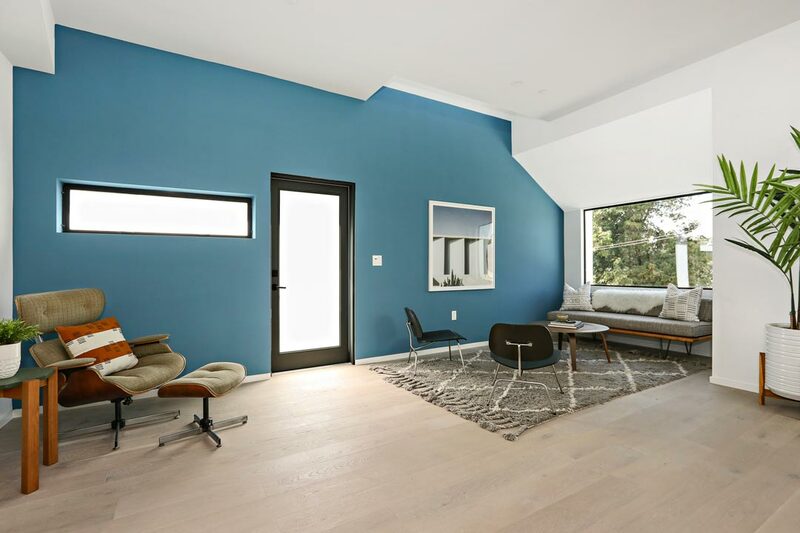 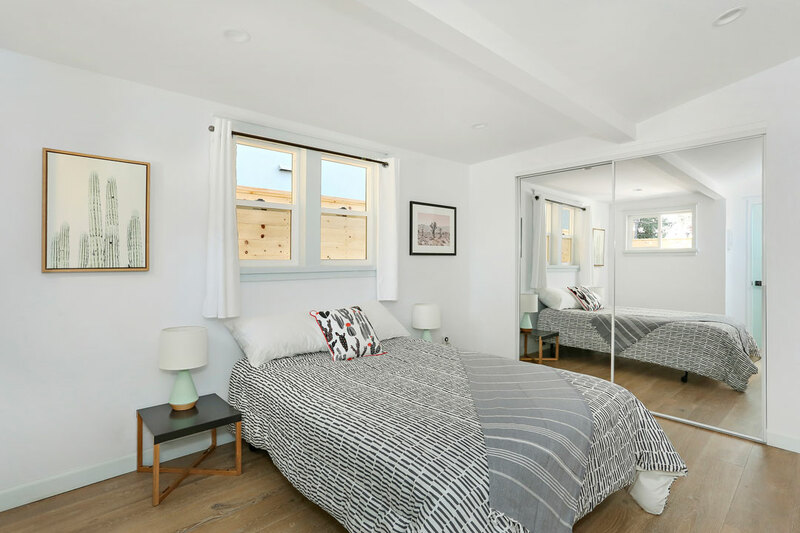 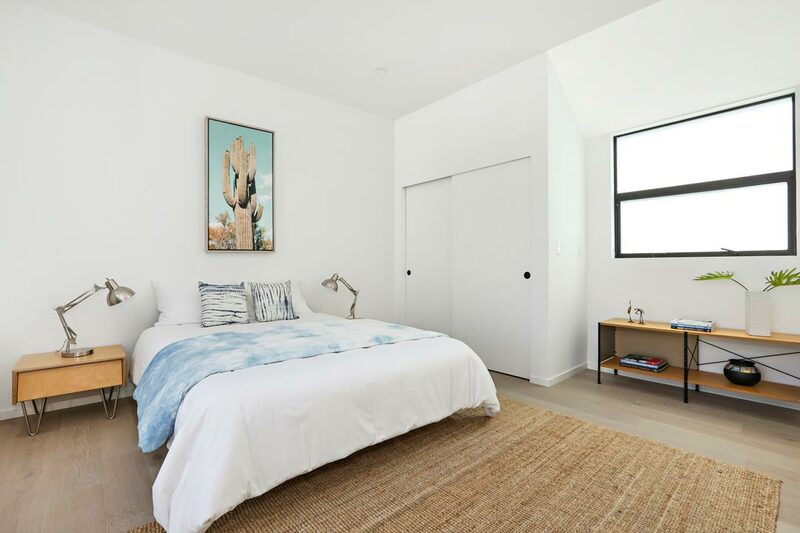 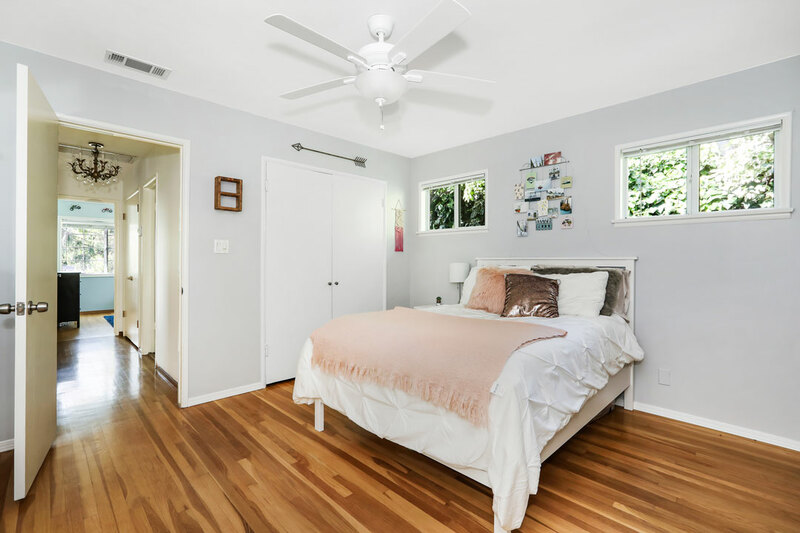 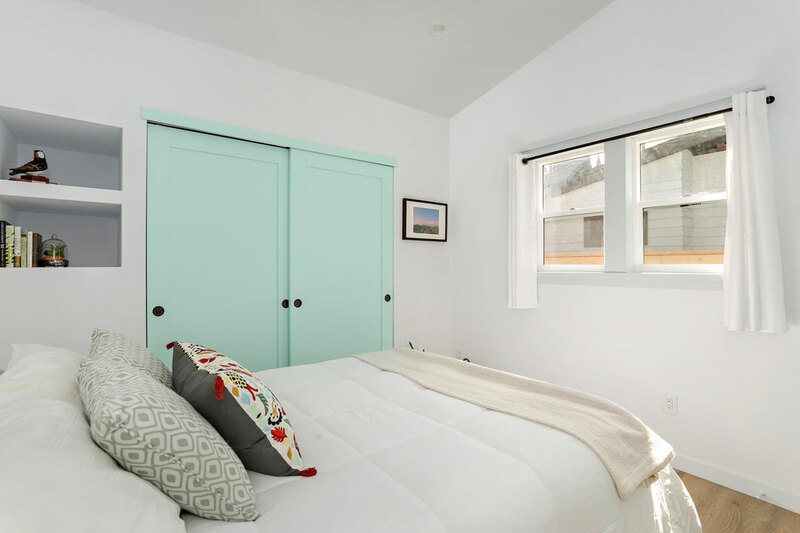 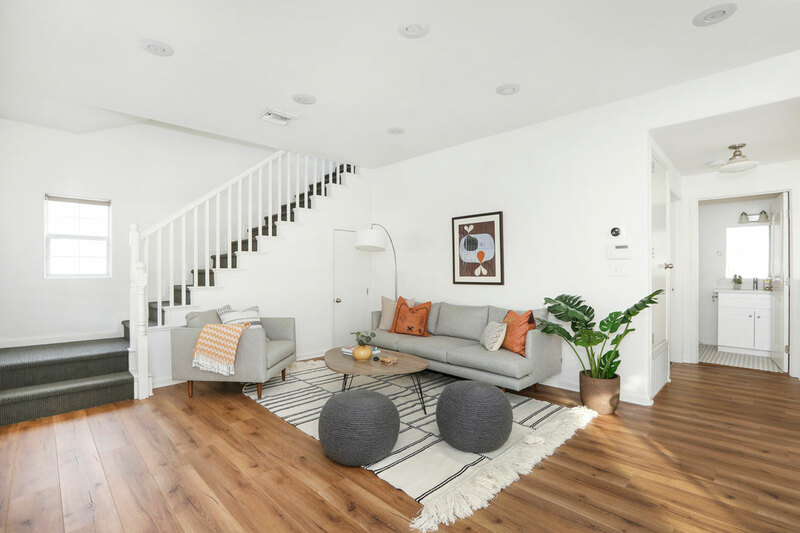 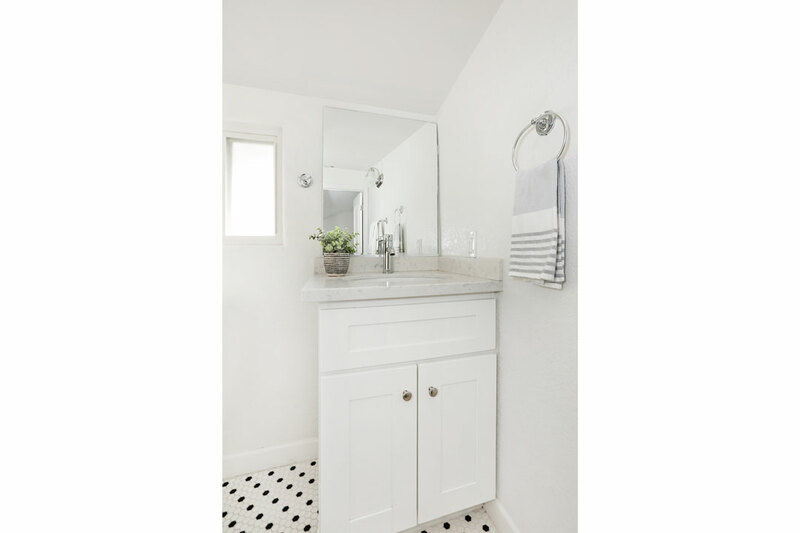 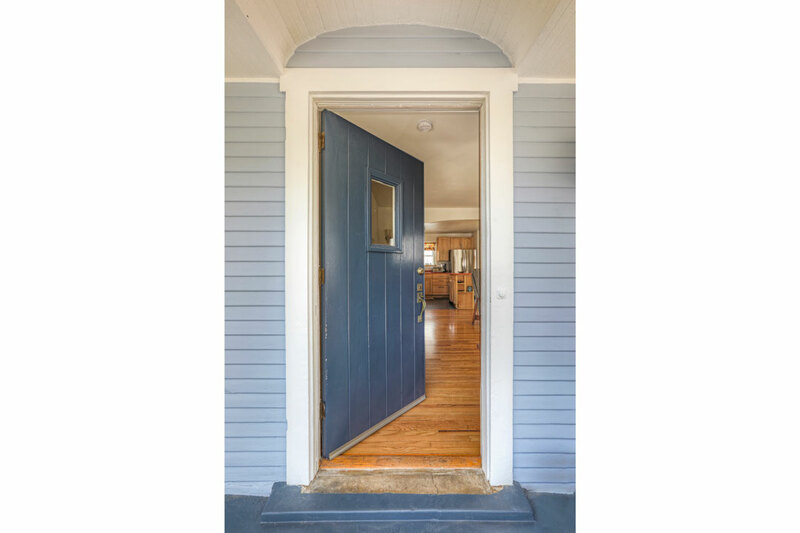 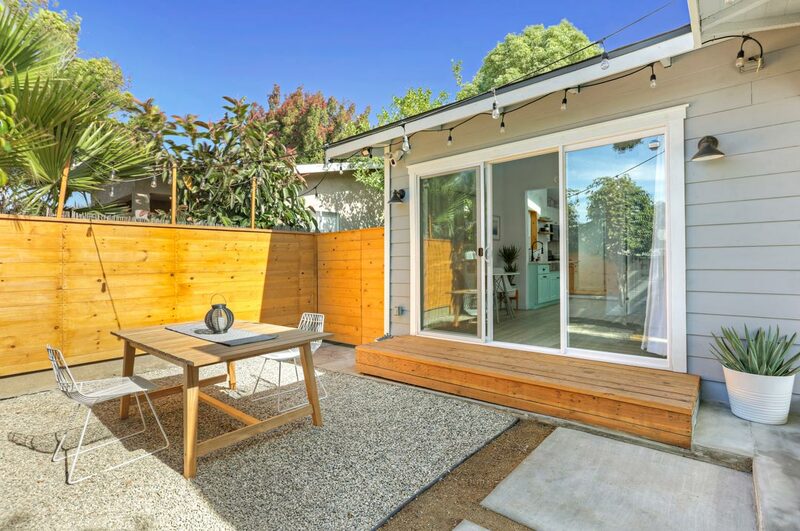 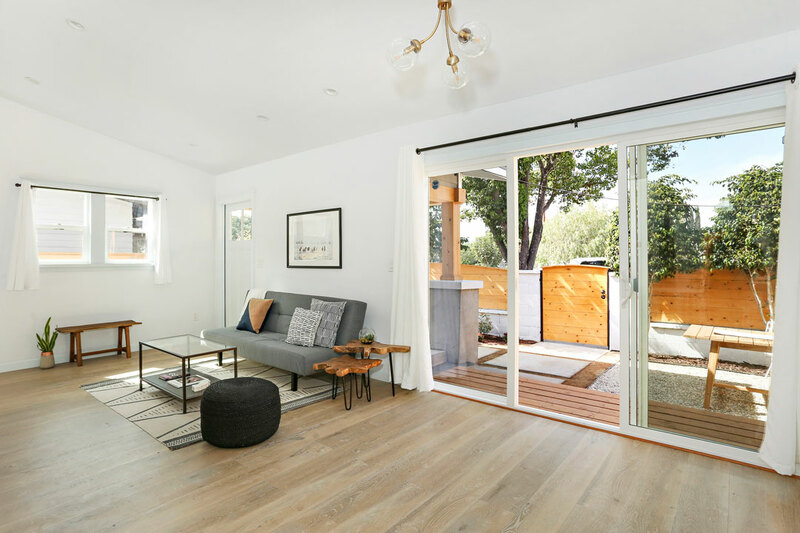 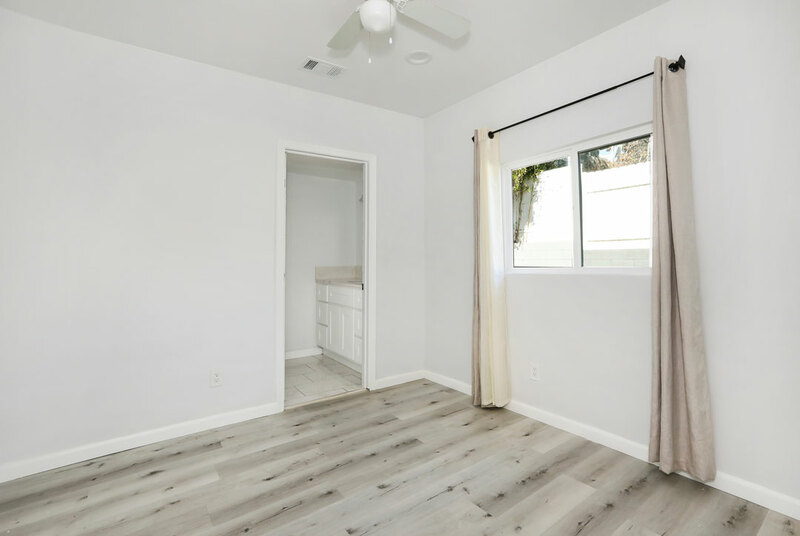 Discover the exceptional quality of this charming Craftsman bungalow in red-hot Highland Park, brought to you by boutique design firm The Citytrove in collaboration with Longstone Properties, local developers committed to building homes and happiness for a brighter LA. 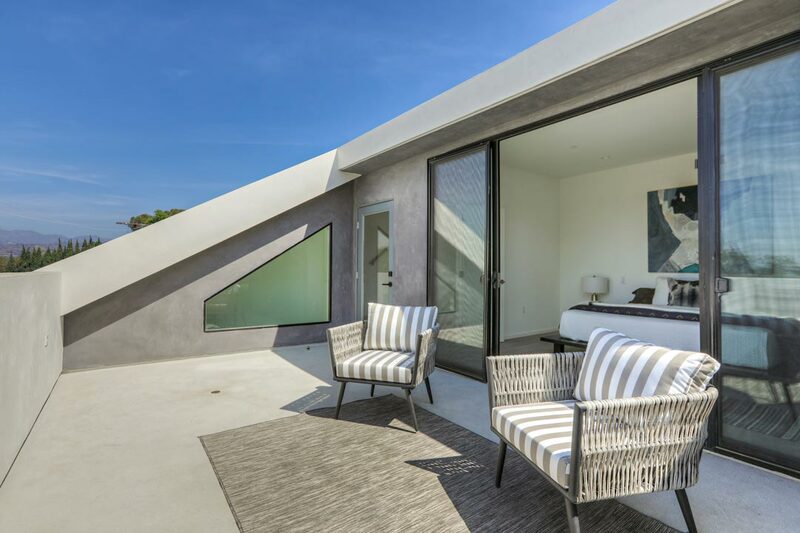 Completely reimagined, the residence captivates with a dramatic vaulted ceiling and seamless outdoor flow. 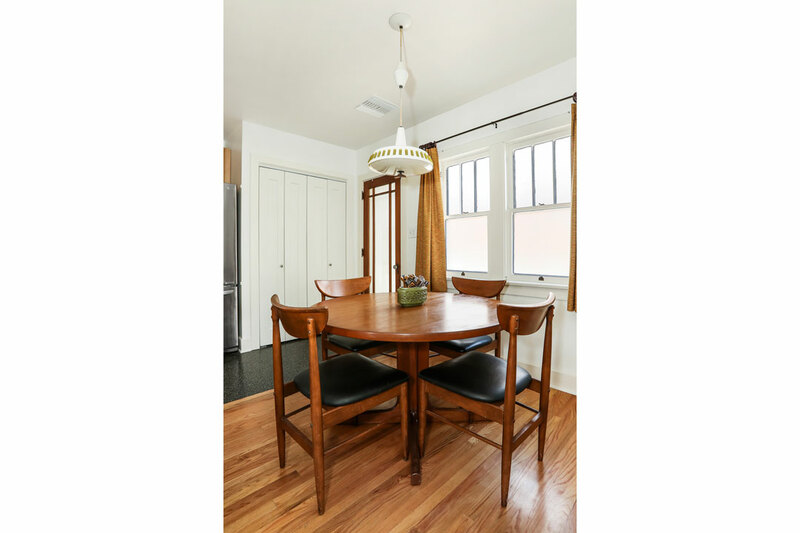 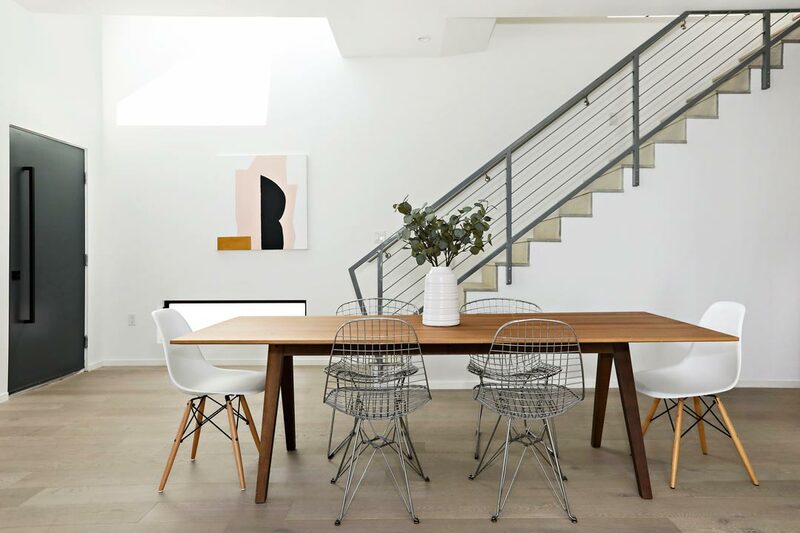 Thoughtful planning and meticulous execution harmonize heritage elements with stylish modern updates. 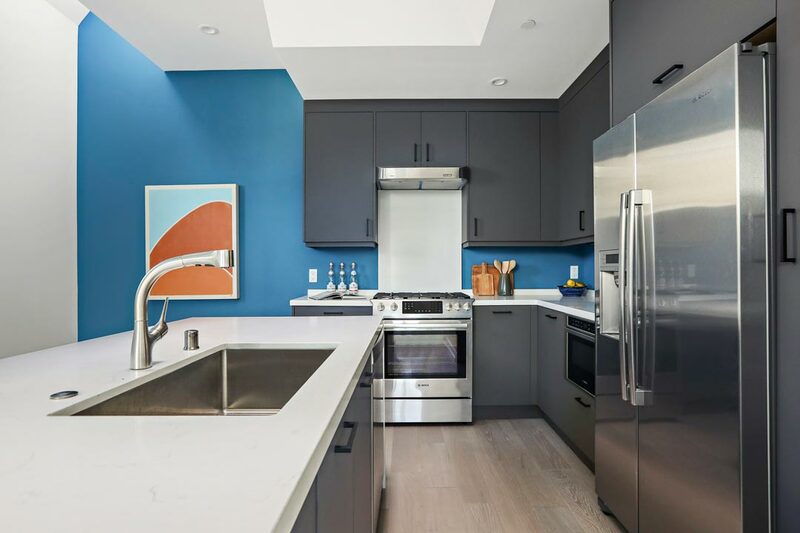 Sunlight fills the kitchen through three skylights, showcasing impressive designer tile and an all-black Frigidaire appliance suite. 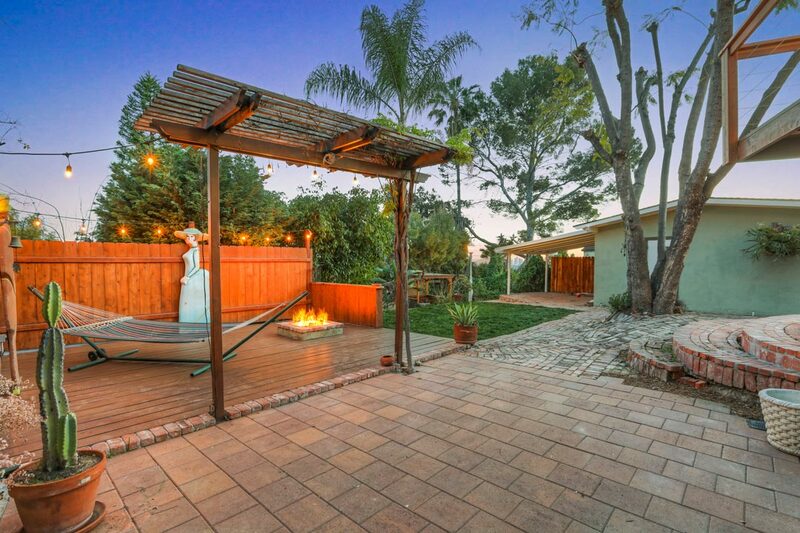 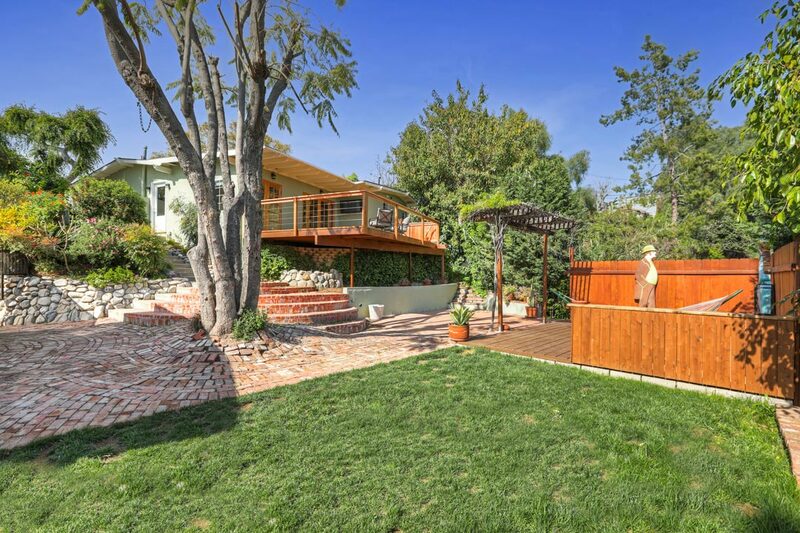 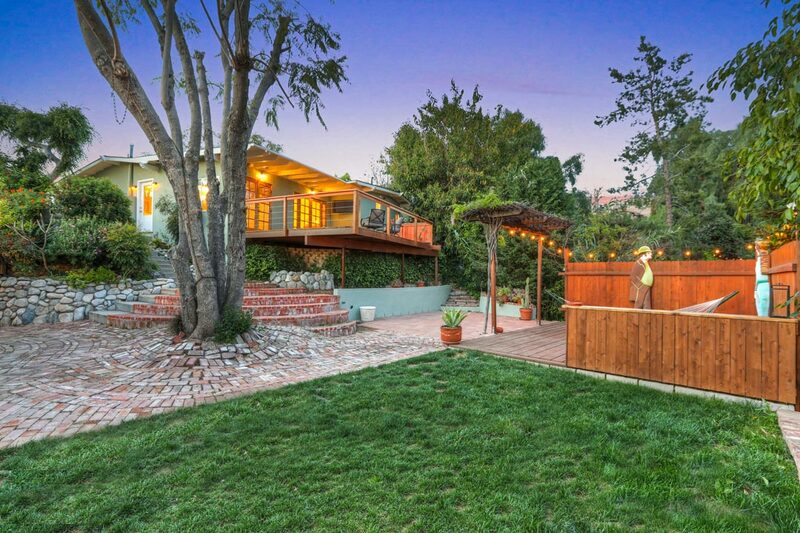 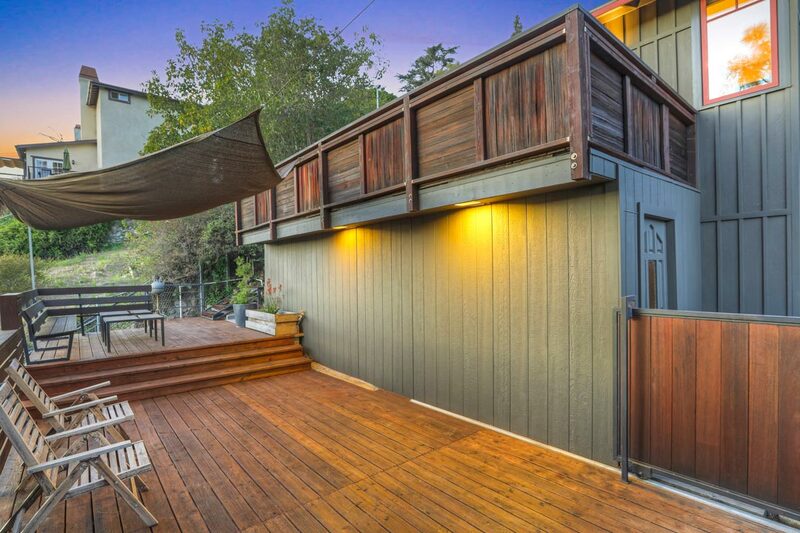 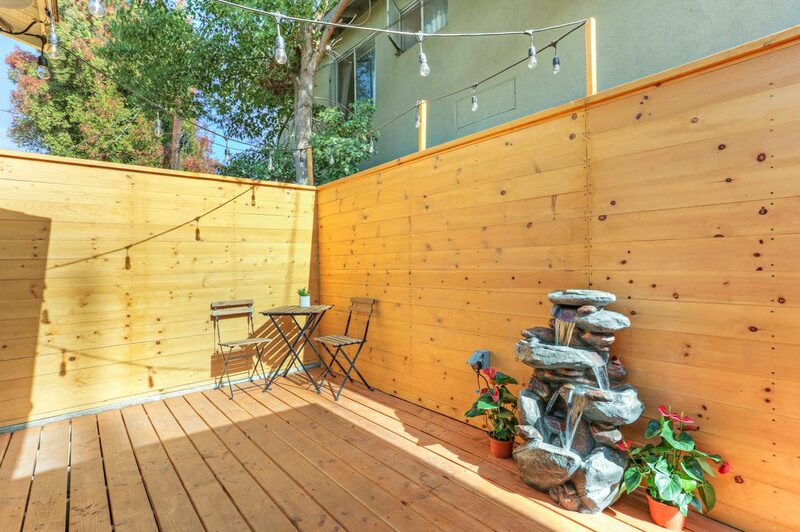 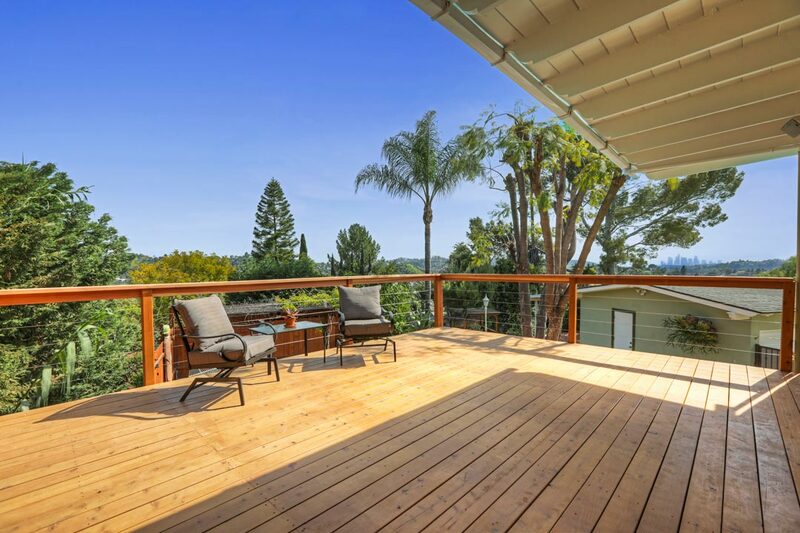 A private, gated yard combined with new wood decking and park-like landscaping creates an ideal outdoor environment for entertaining under the stars. 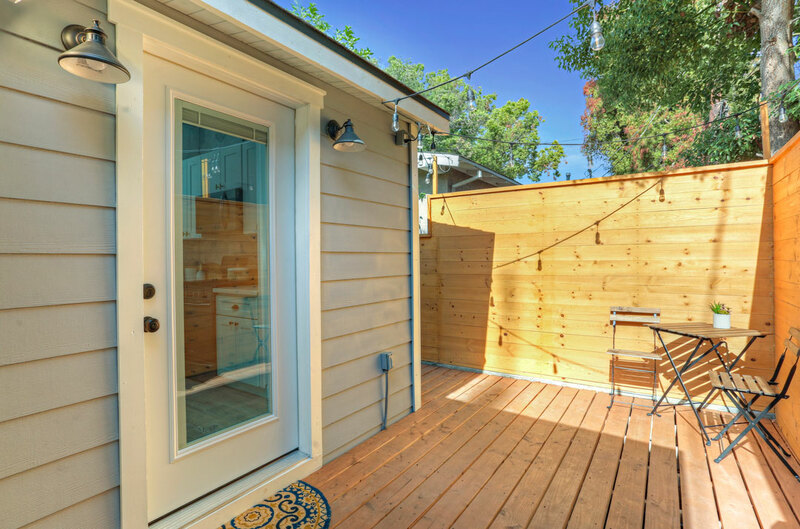 System upgrades include a “cool” roof, plumbing, electrical, central heat + a/c, Nest thermostat, USB outlets and Ring cameras. 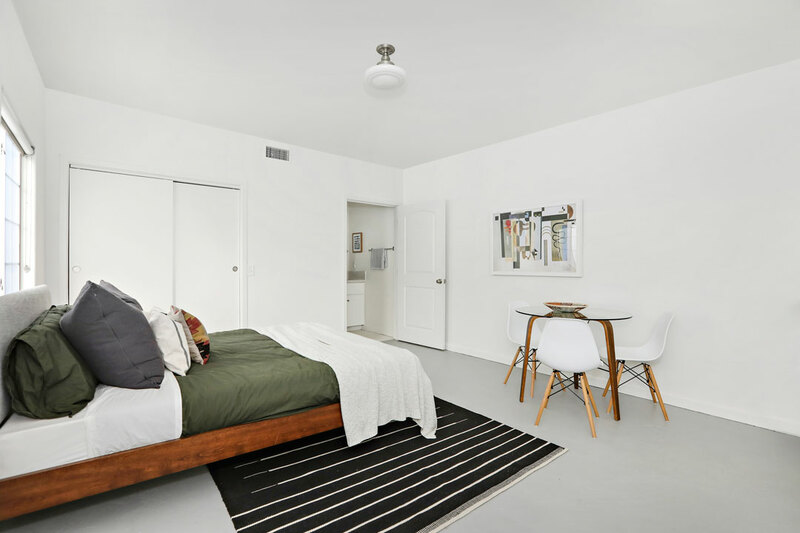 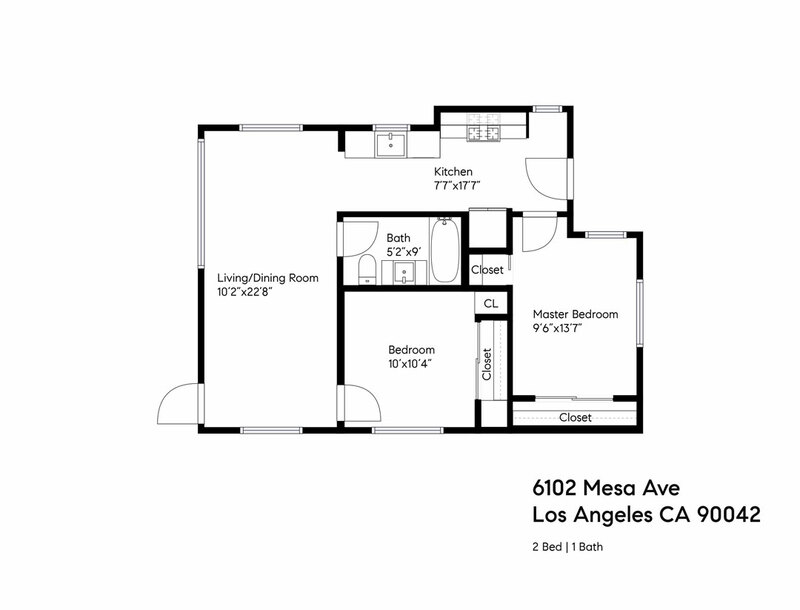 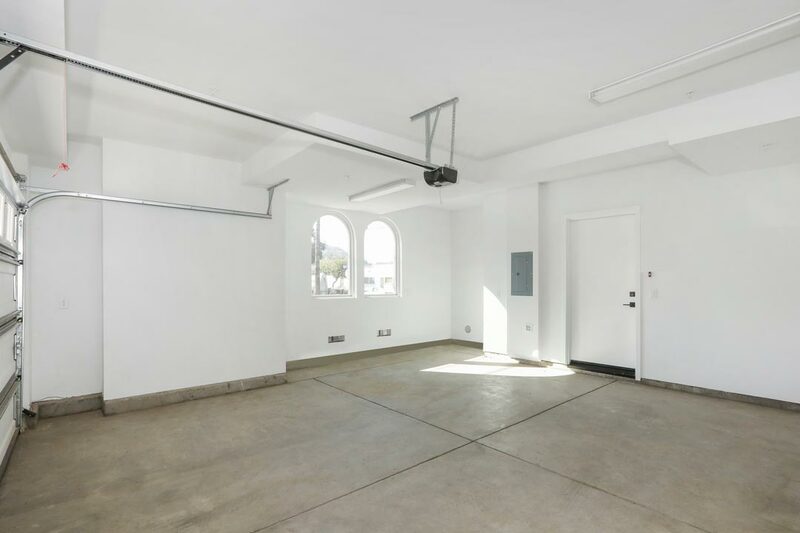 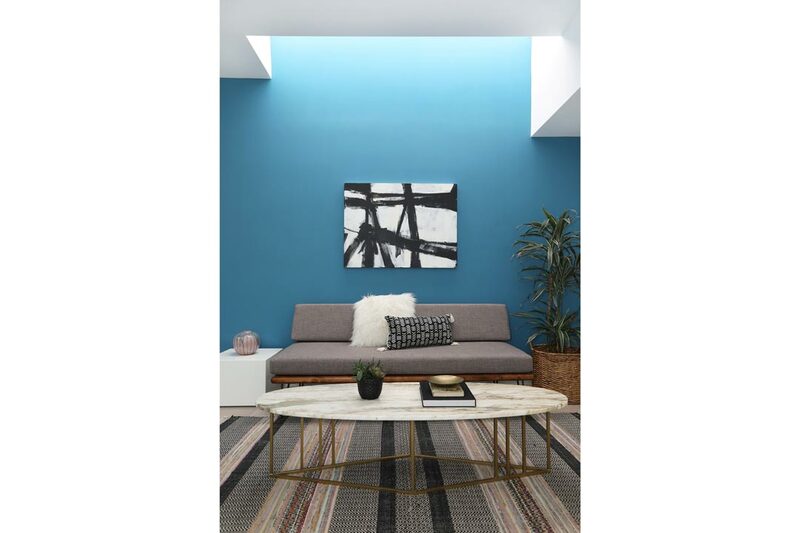 Located near trendy dining and nightlife options along York & Figueroa, mere blocks from the Metro Gold Line.